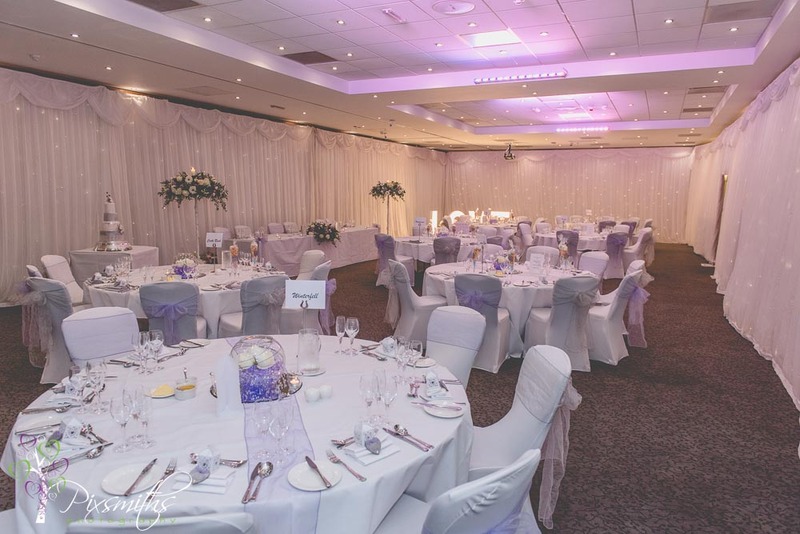 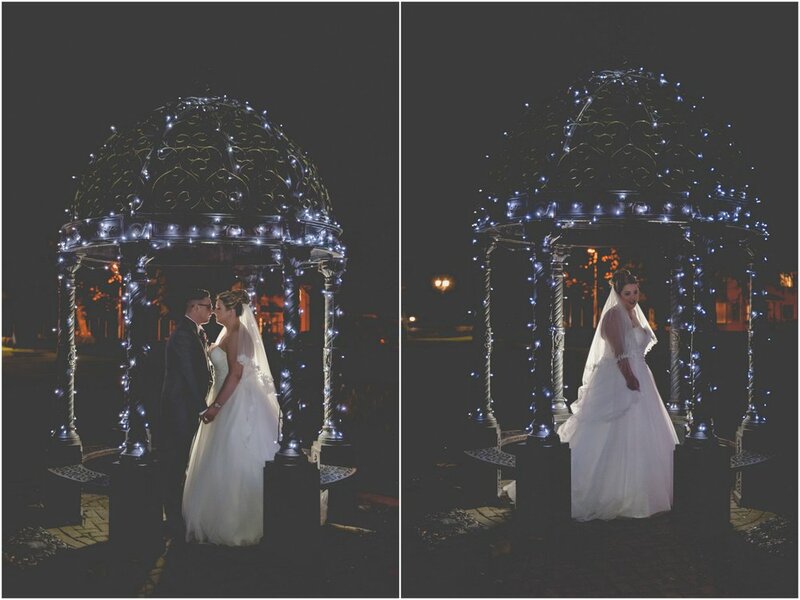 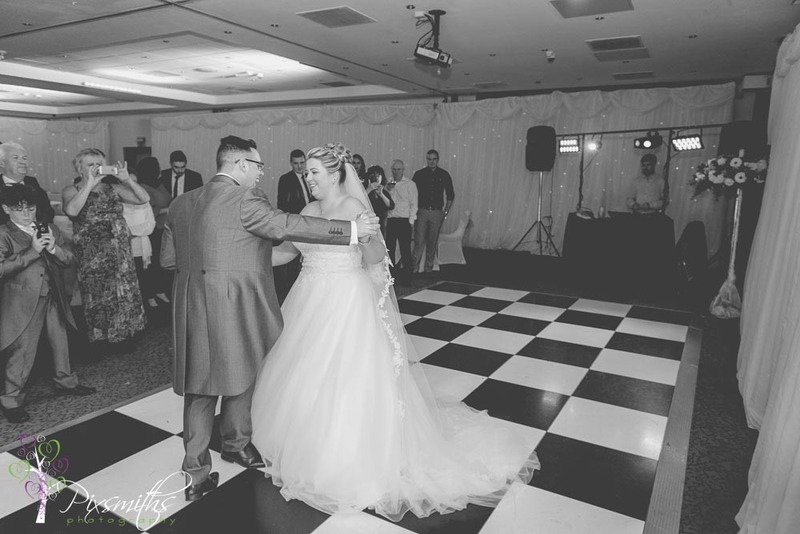 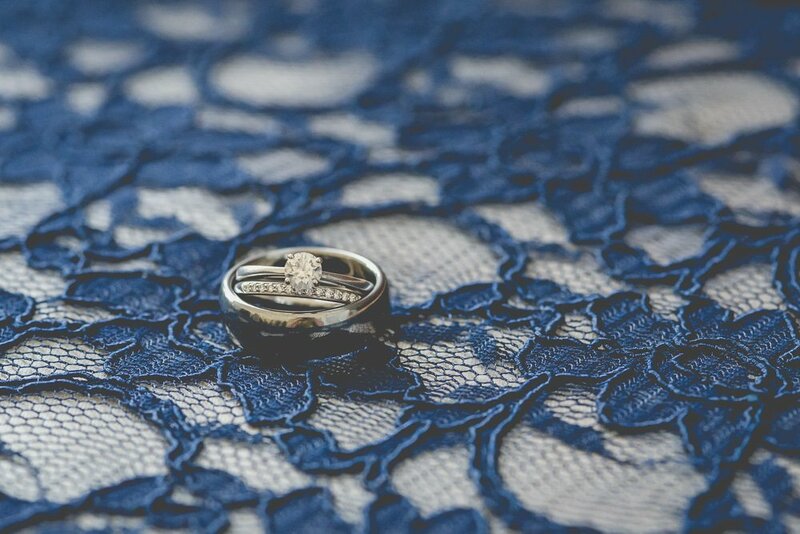 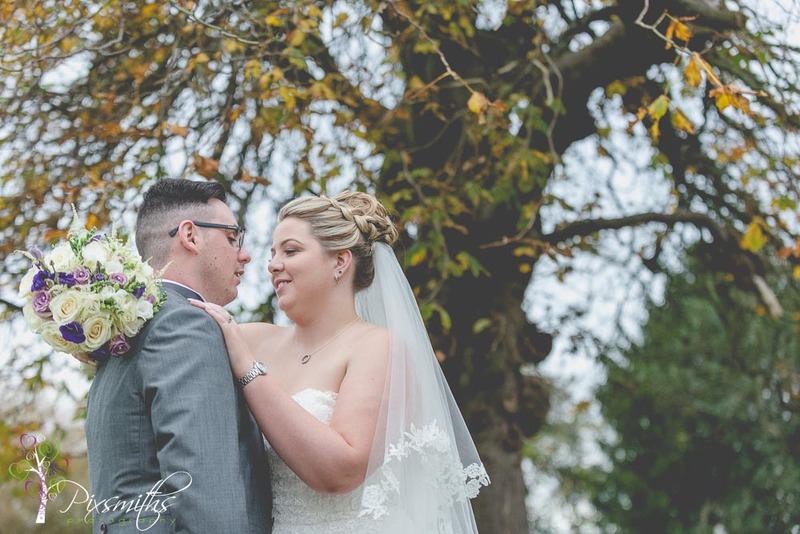 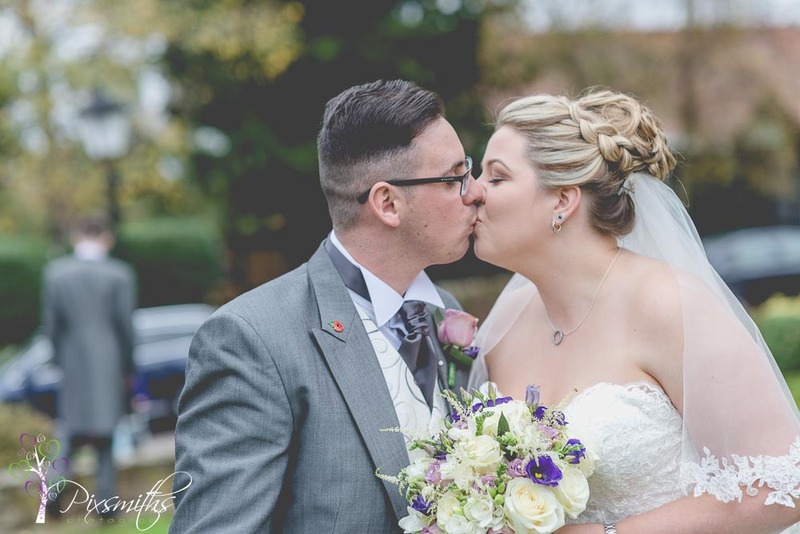 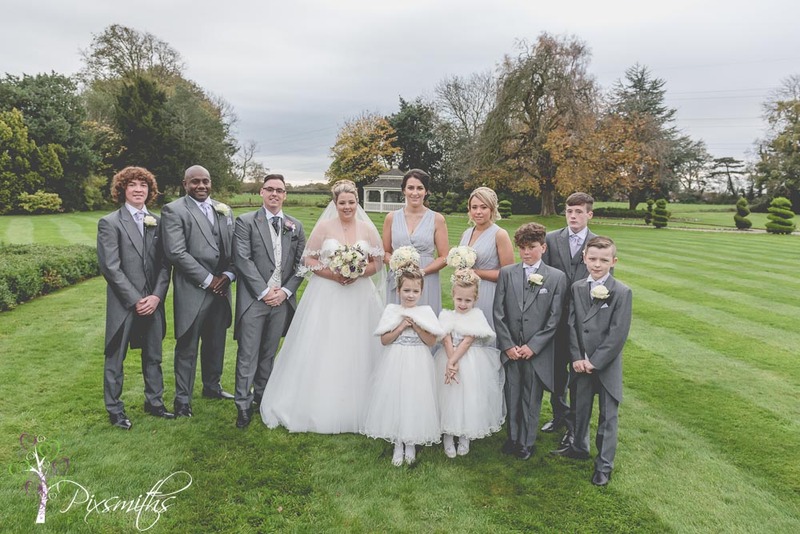 How appropriate for Remembrance Day is this blog post of a winter wedding at Thornton Hall Hotel with Jake and Sophie. 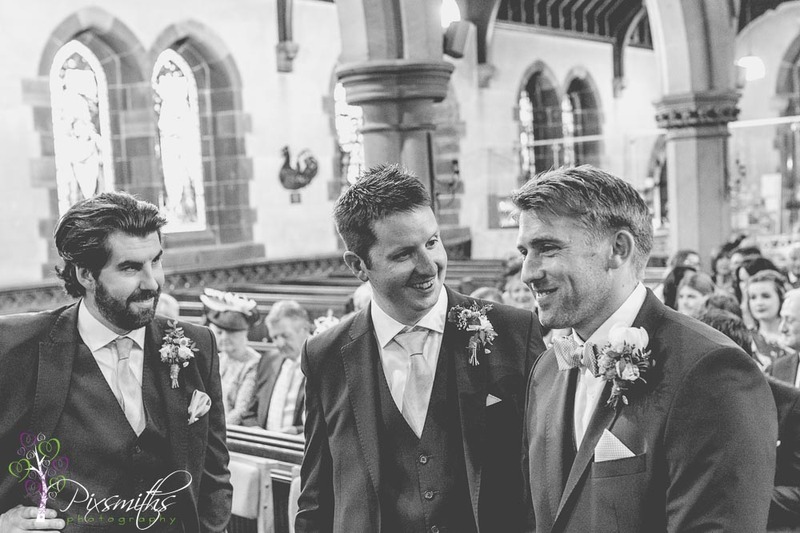 Jake served in the British Army in Afghanistan sadly several of his mates are no longer around to celebrate his wedding day. 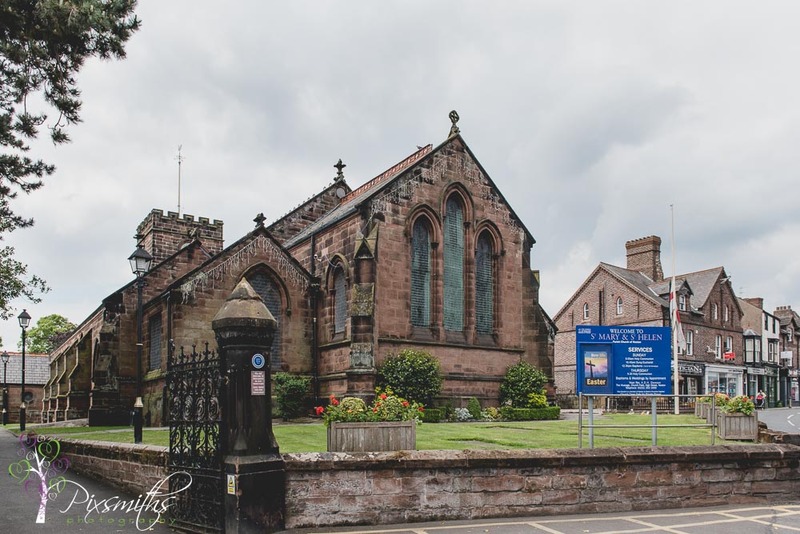 On this day of remembrance we pause and remember all those who lost their lives serving for their country. 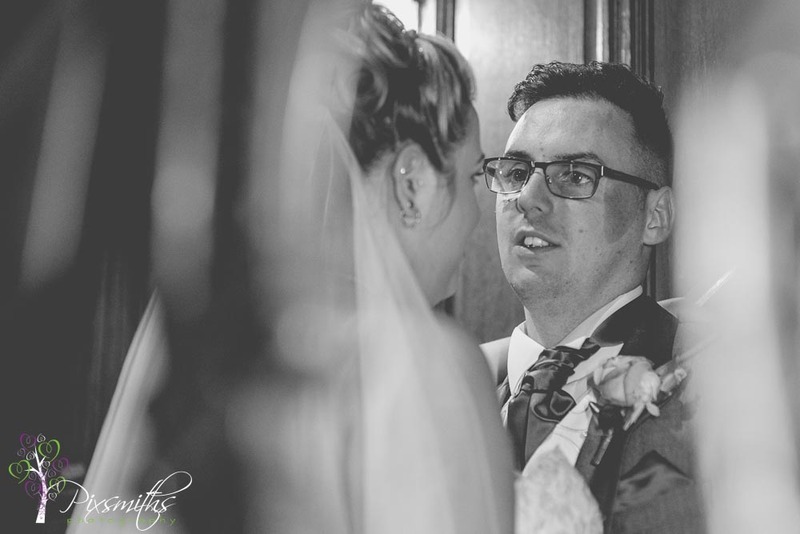 A wedding day Jake nearly never had too..he and his best man were shot up in blasts in Afghanistan and have been slowly recuperating..a recent operation was just a few months ago. 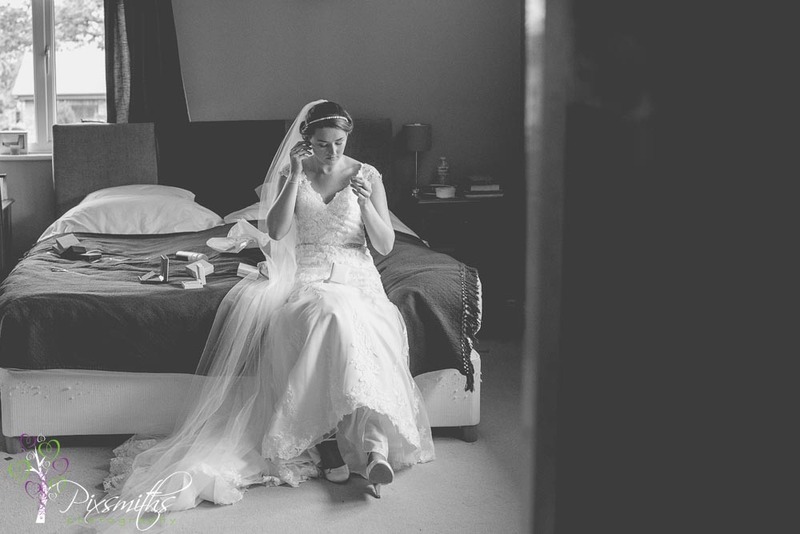 Must be every girlfriends nightmare to receive such news from the war. 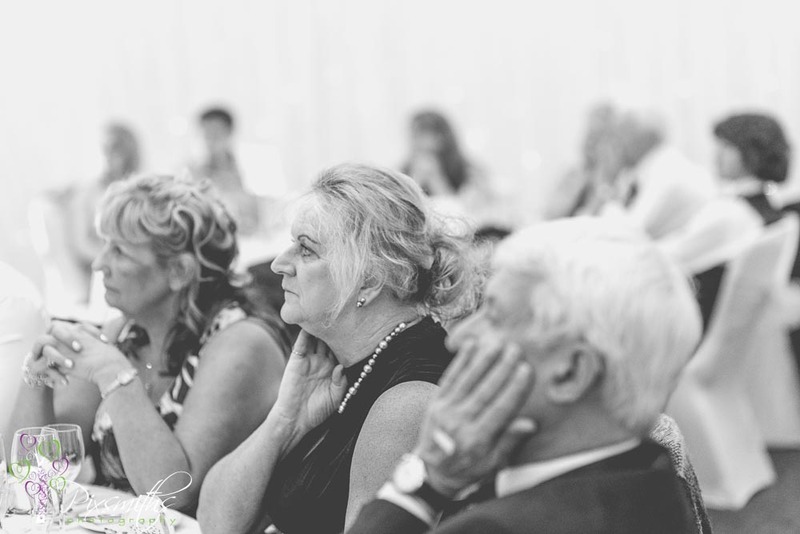 can only imagine the emotions and thoughts that went through their minds, not knowing what the future might hold. 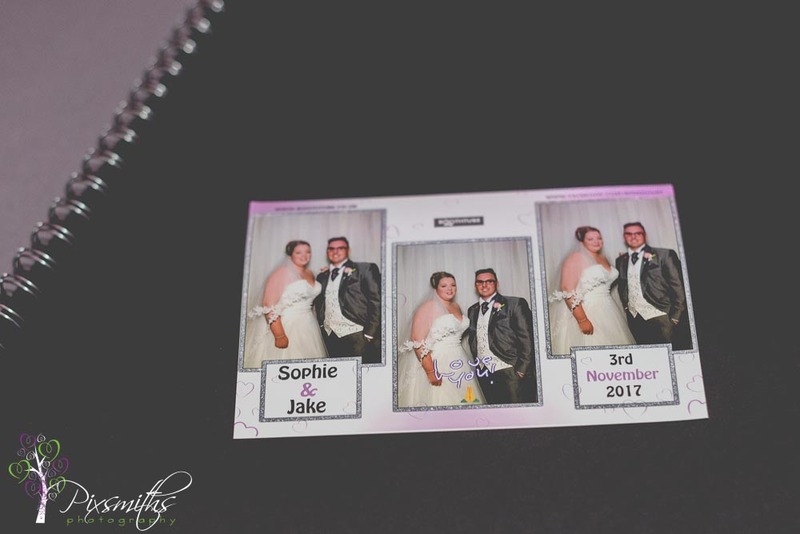 Sophie determinedly and devotedly looked after Jake, virtually becoming his carer over night. 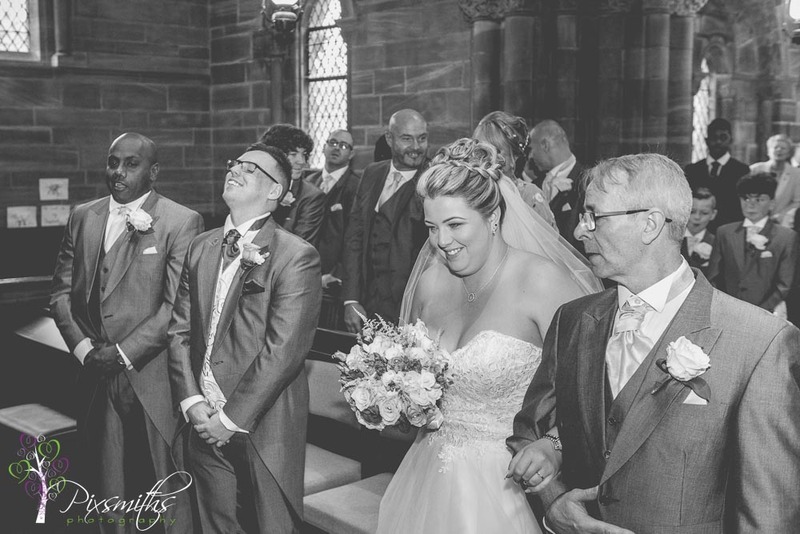 I’m sure that must have aided his recovery, so to see them healthy and happy on their wedding day was truly a blessing. 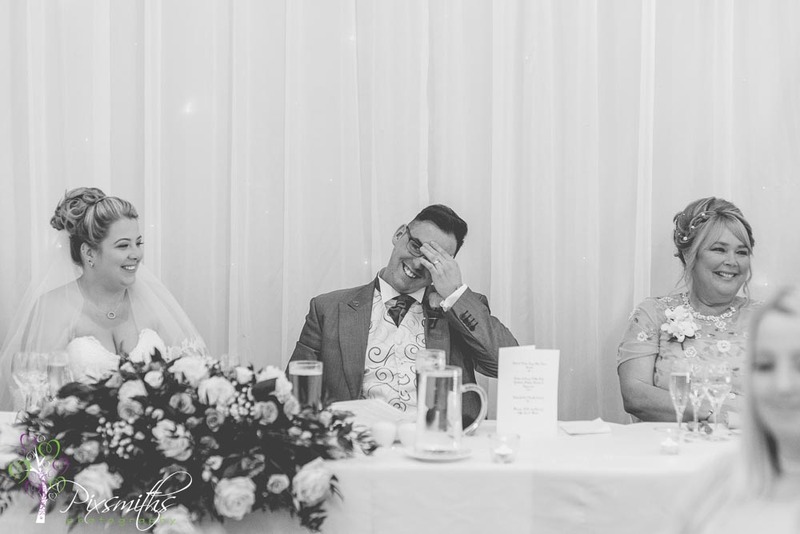 I got quite teary eyed hearing their story in the speeches before the wedding breakfast. 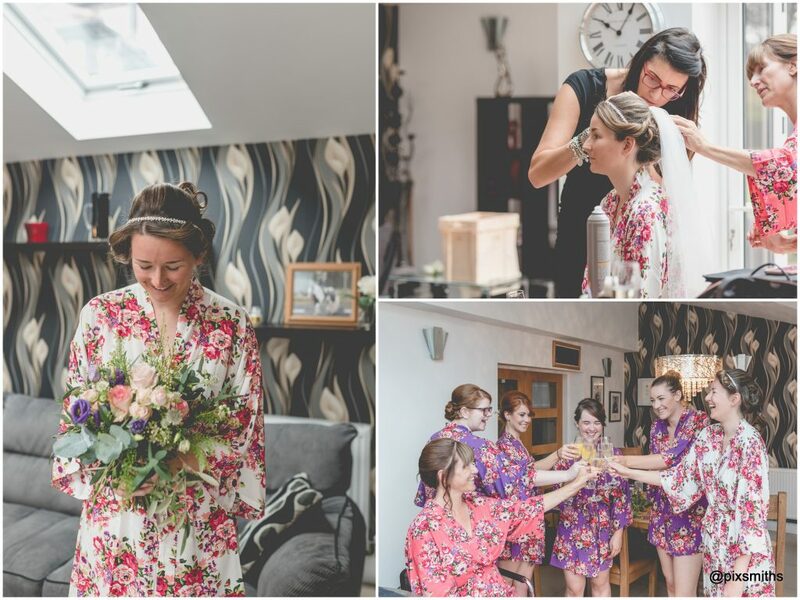 Detail shots were captured at Sophie’s parents home whilst Sophie and her maids were in Liverpool for hair and makeup pampering. 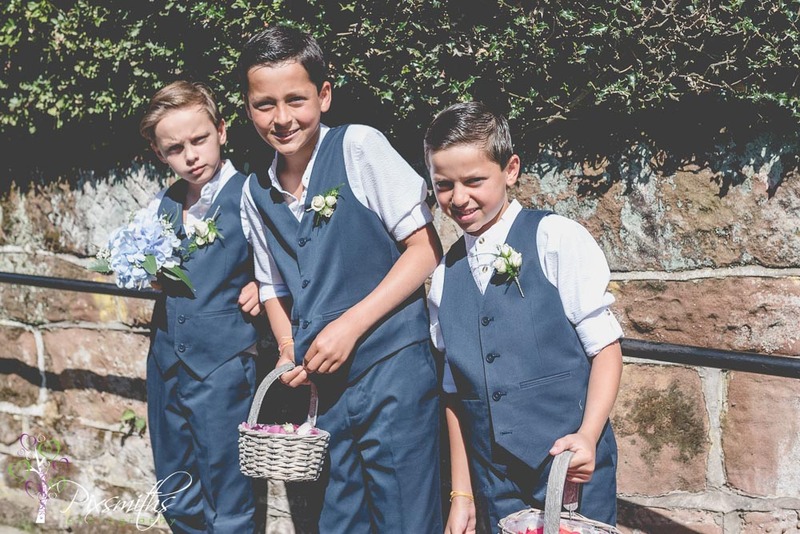 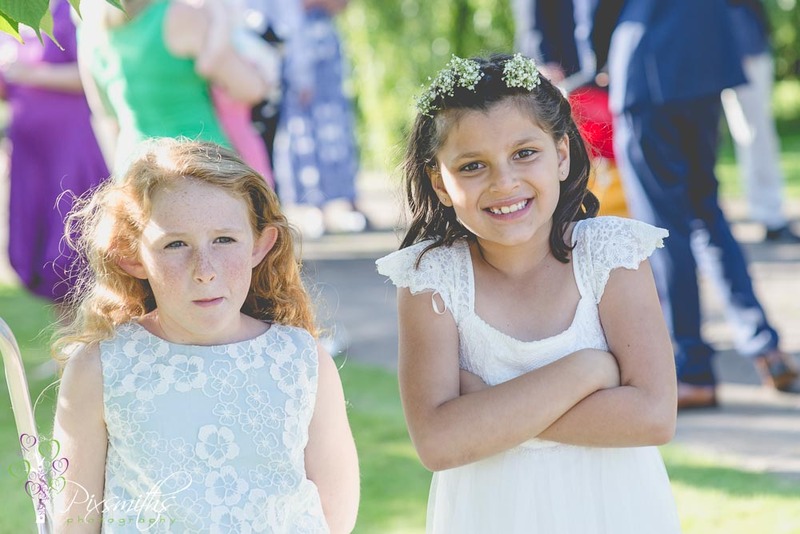 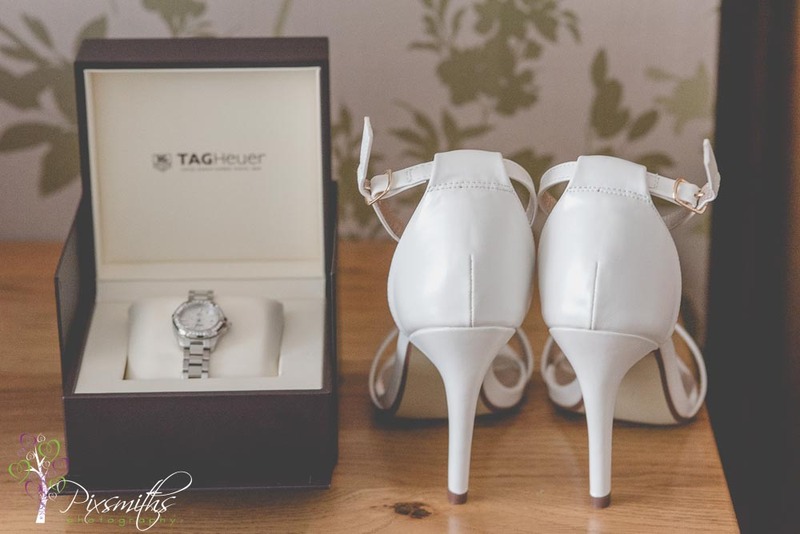 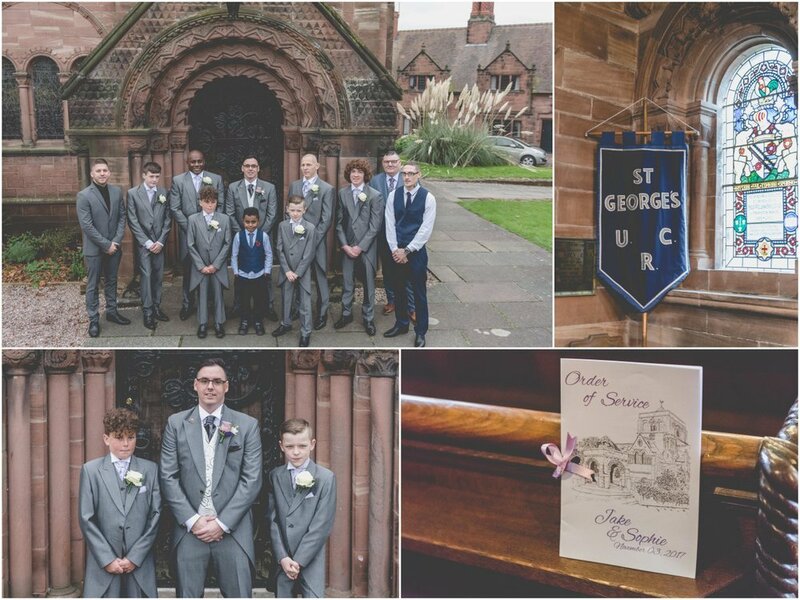 I was glad to cover the getting ready details when the girls arrived back, whilst Dave went off to St George’s in Thornton Hough to meet the guys prior to the ceremony. 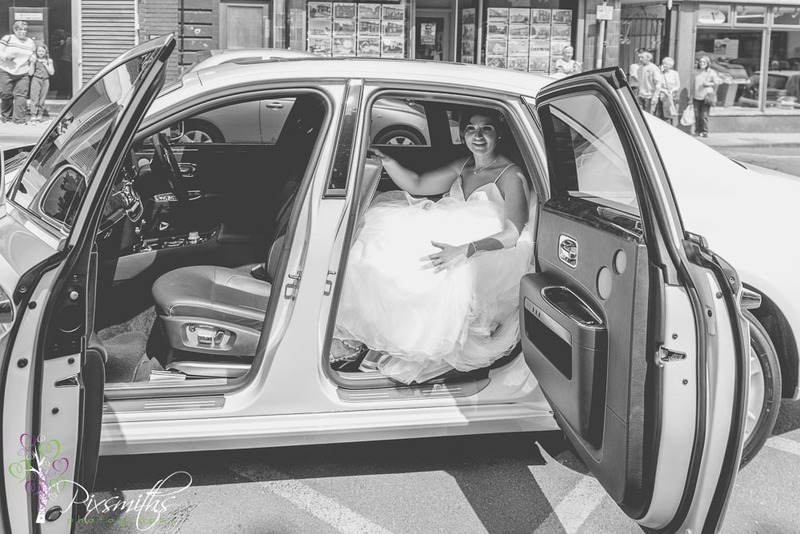 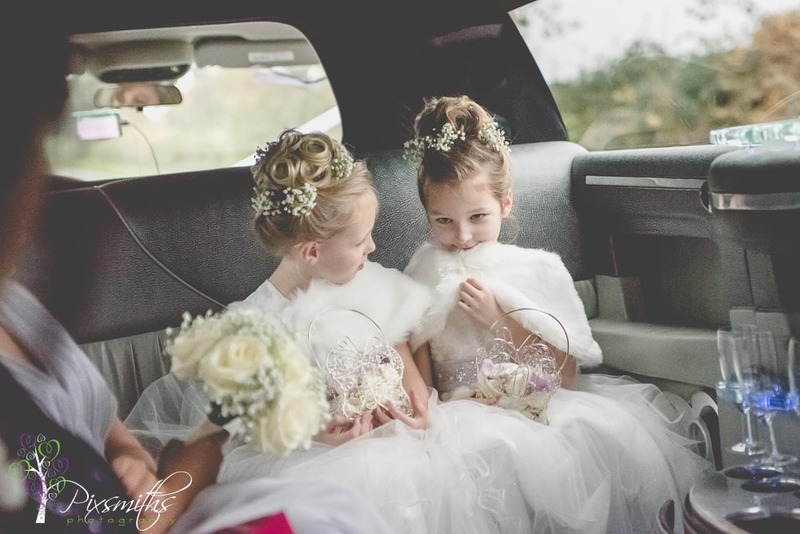 Ha I got to ride in the limo with the bridesmaids too – ther was plenty of room! 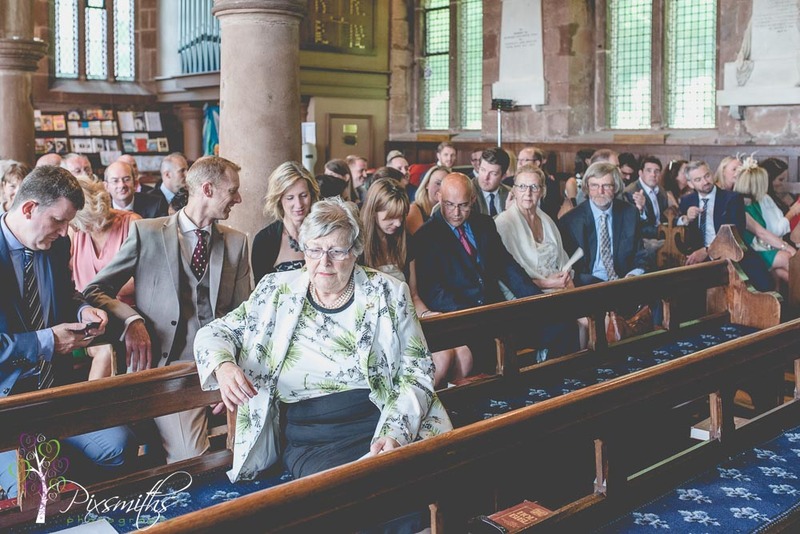 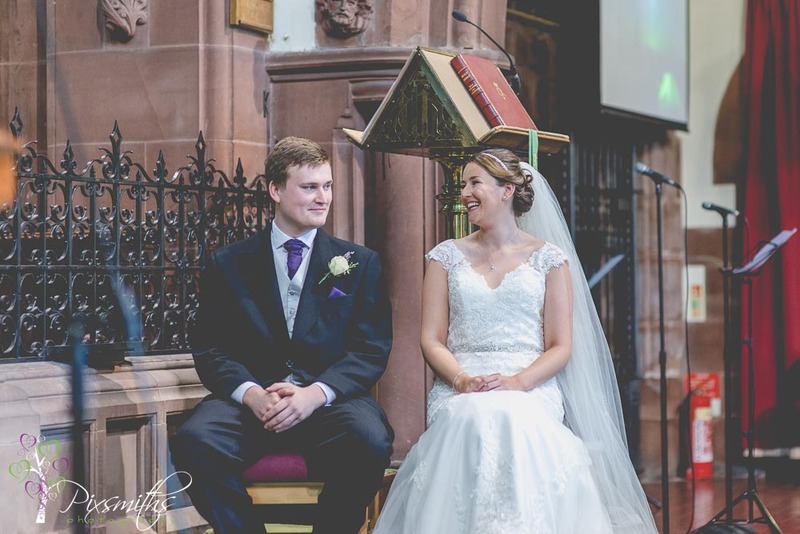 It was a lovely touch to see some of the congregation attend the ceremony, meant a lot to Sophie and Jake who enjoy attending the services here. 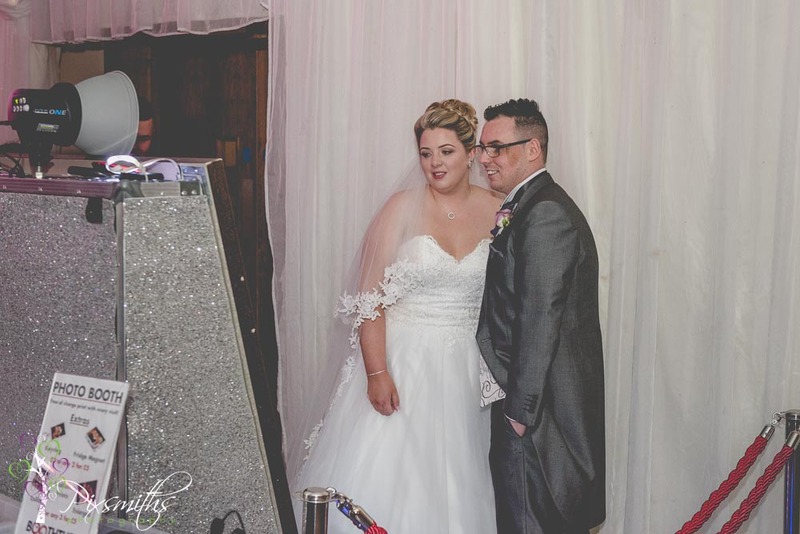 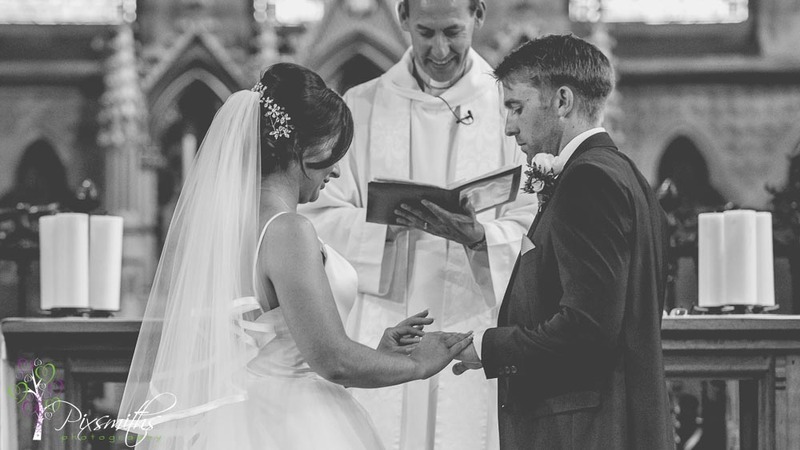 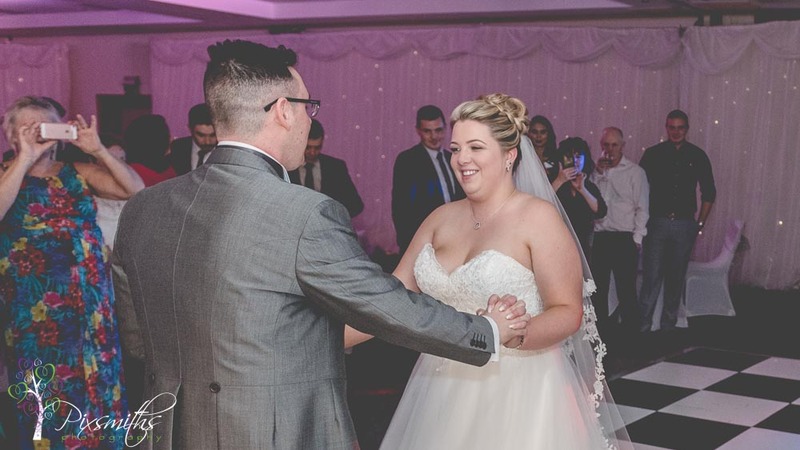 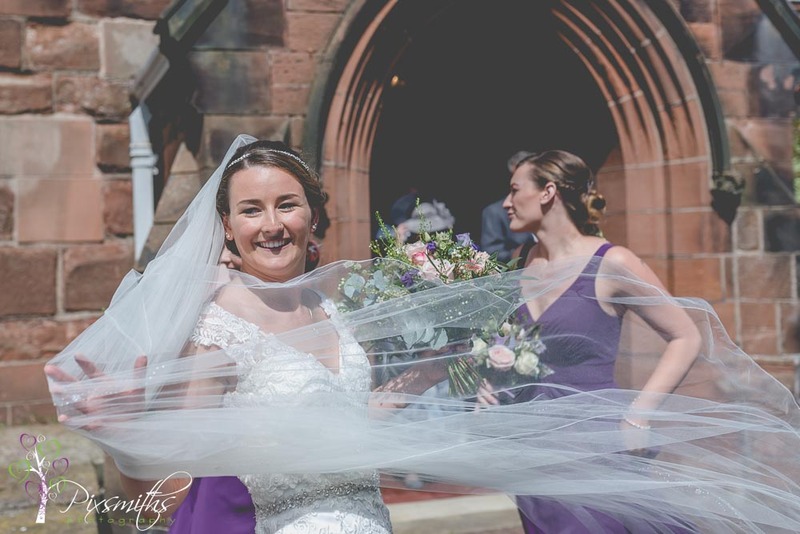 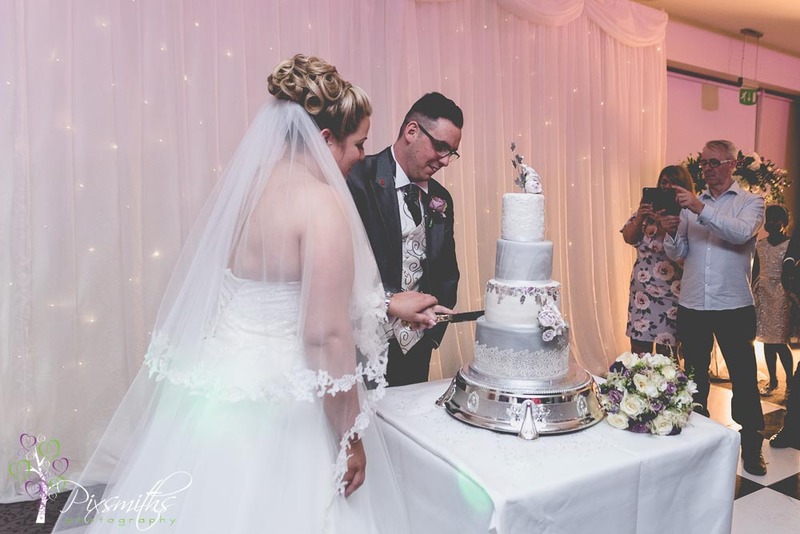 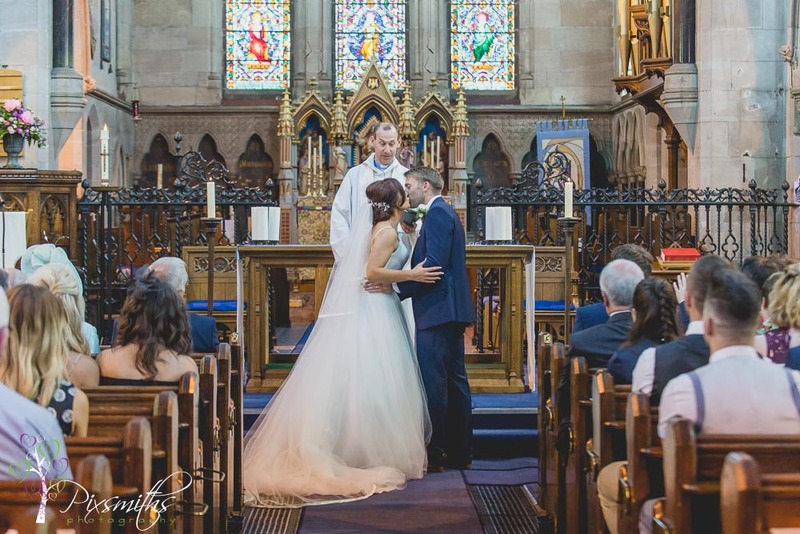 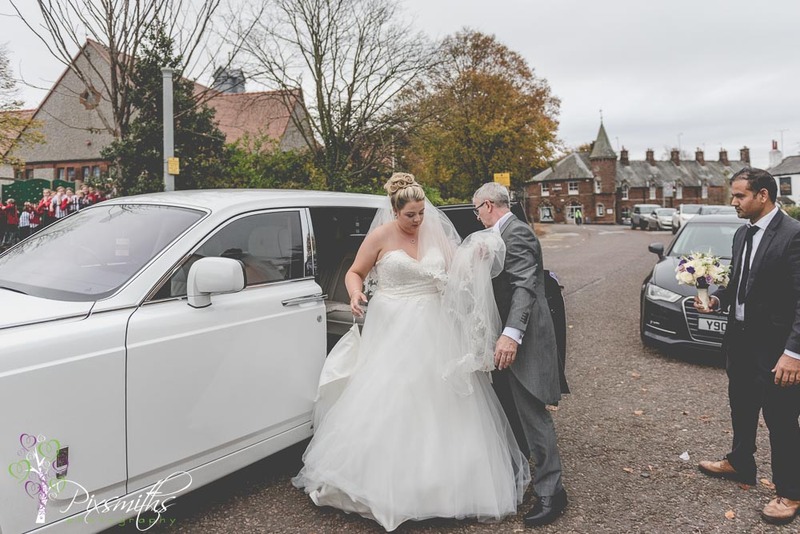 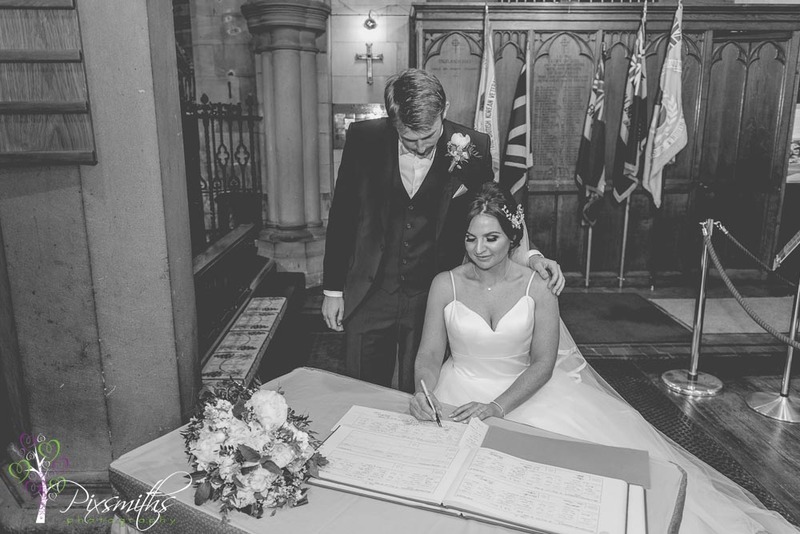 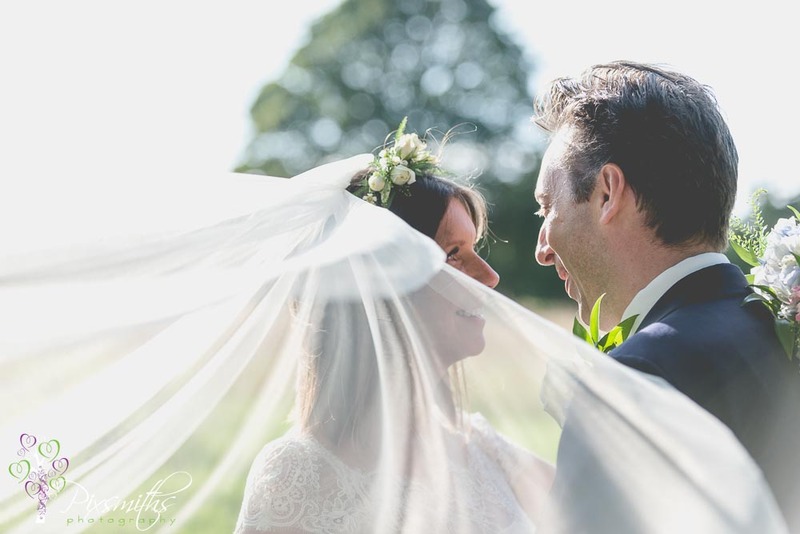 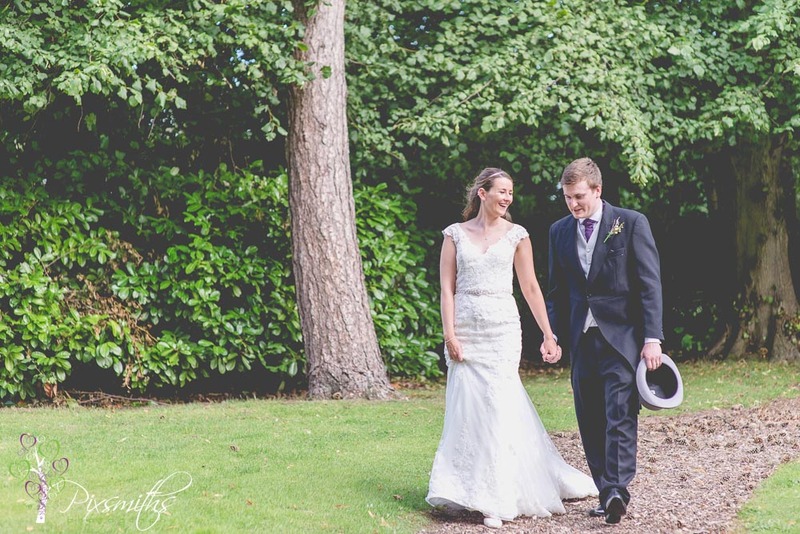 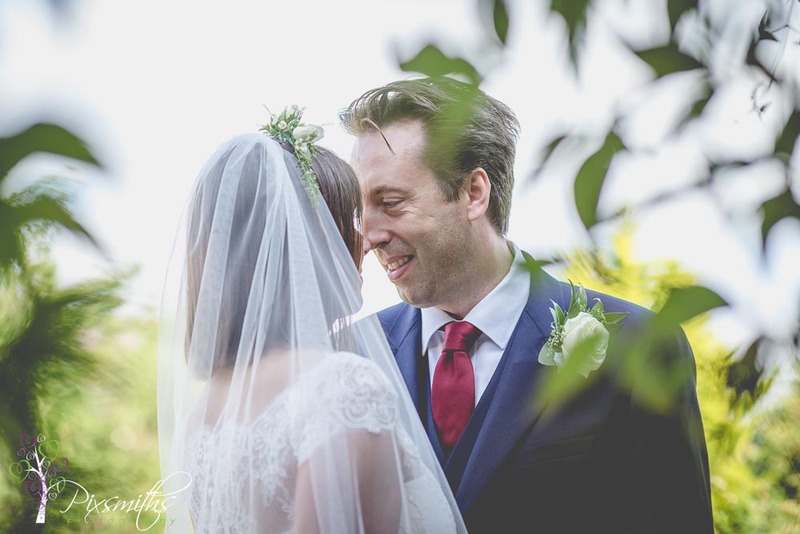 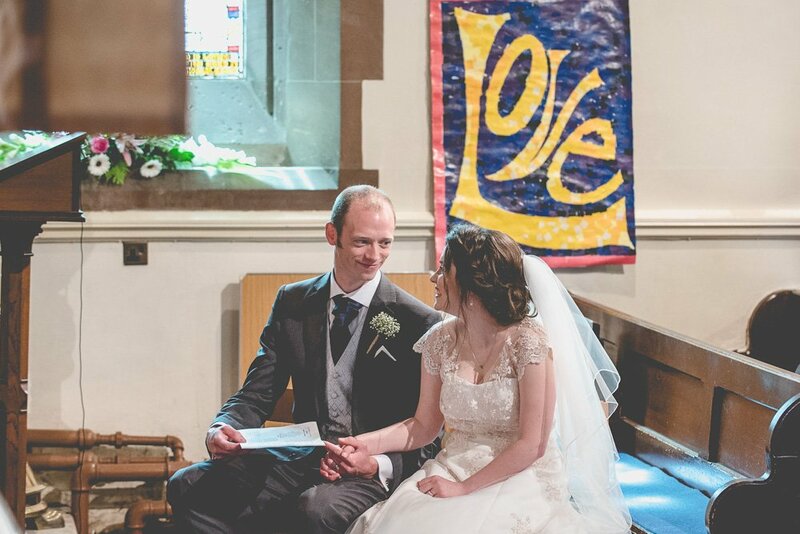 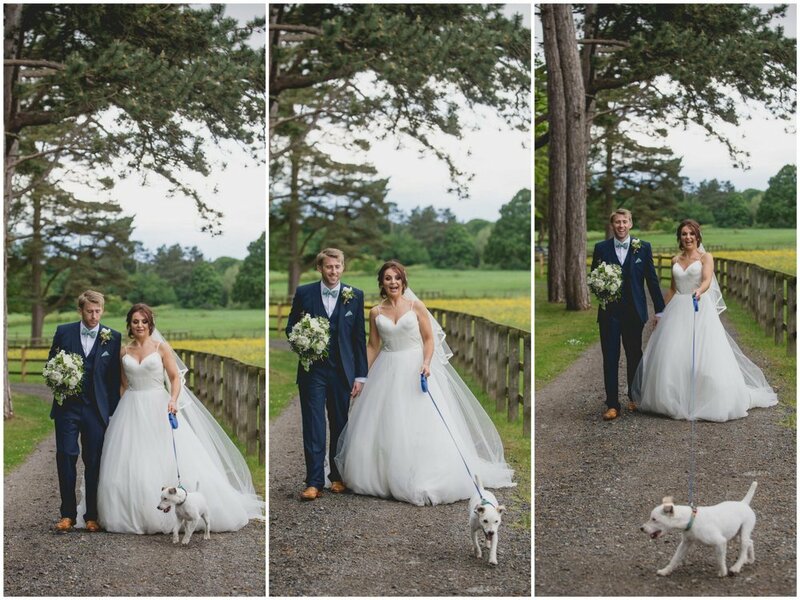 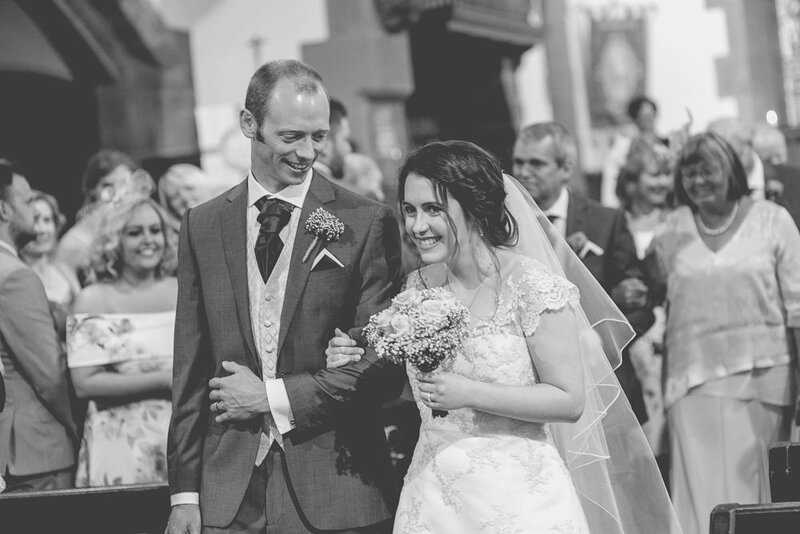 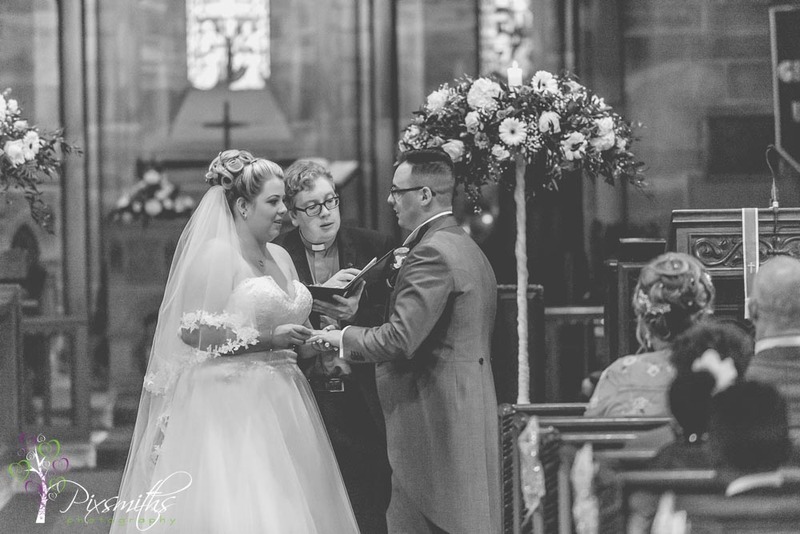 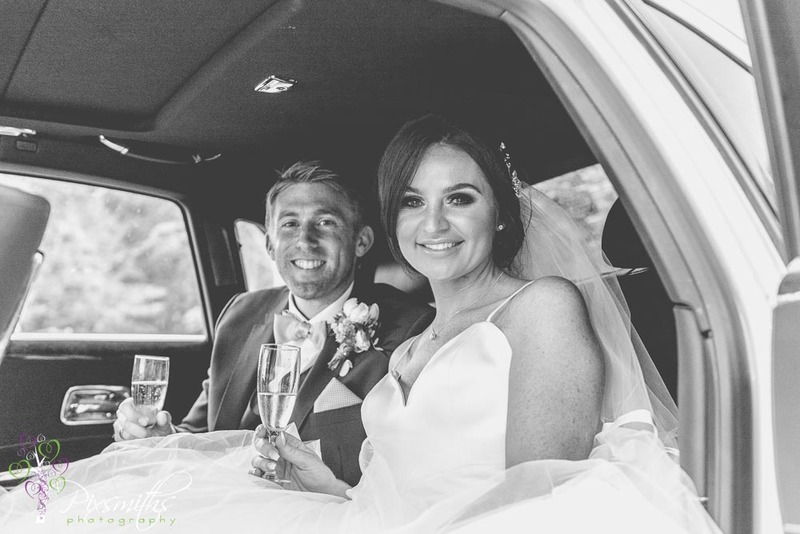 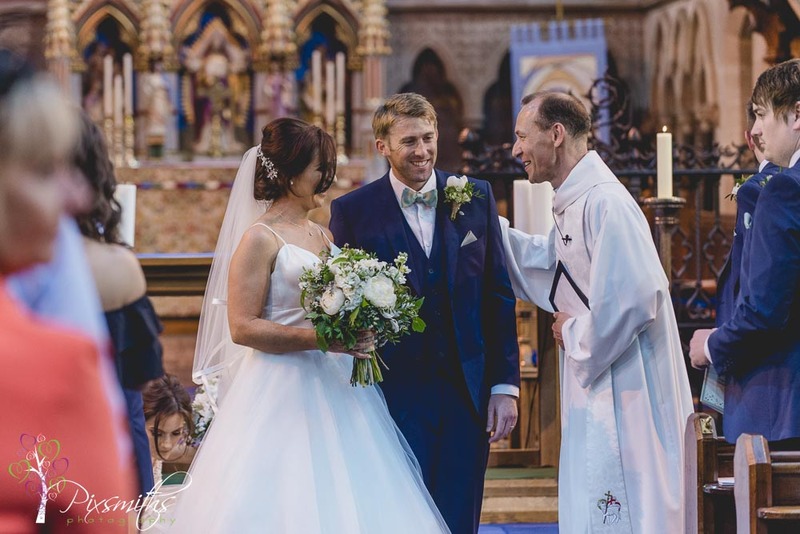 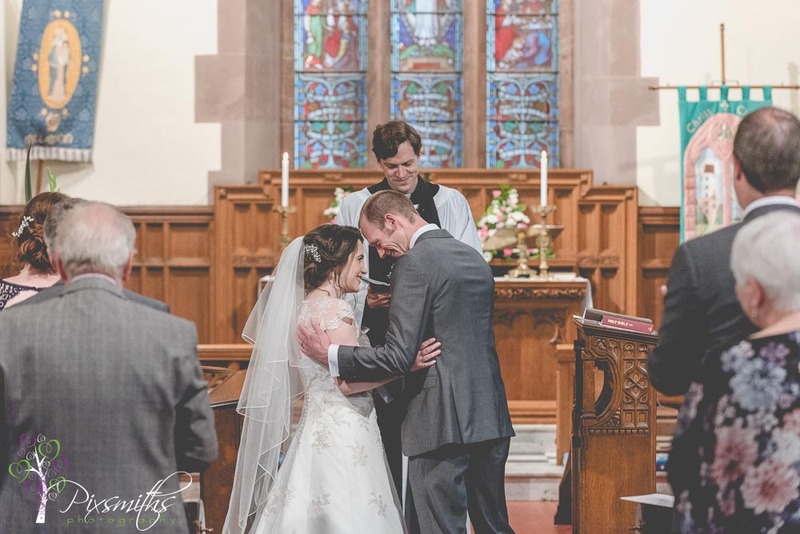 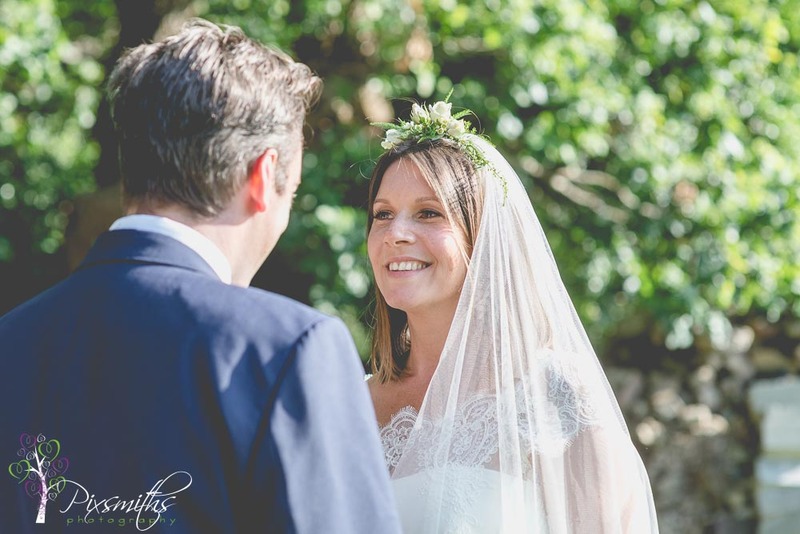 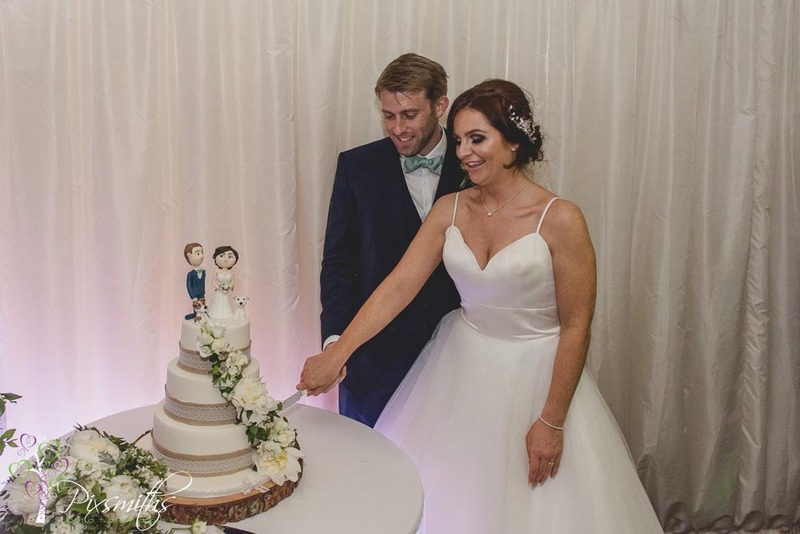 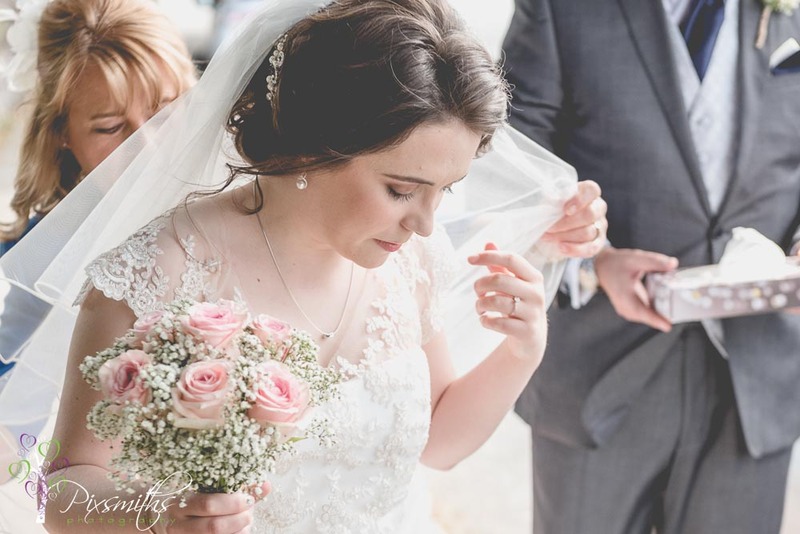 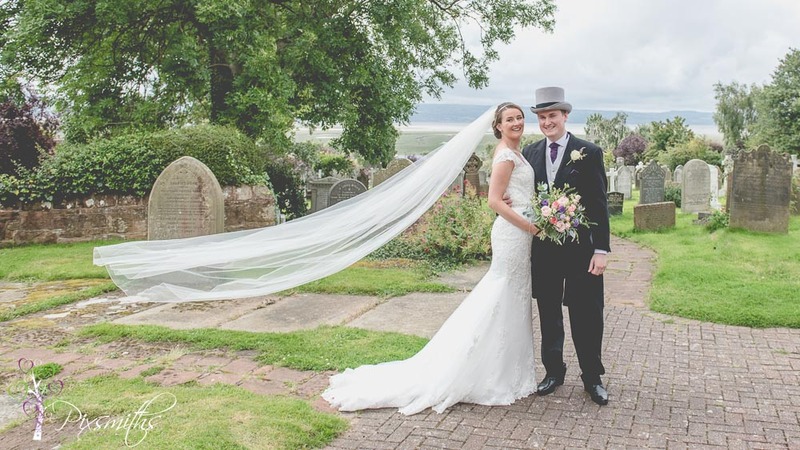 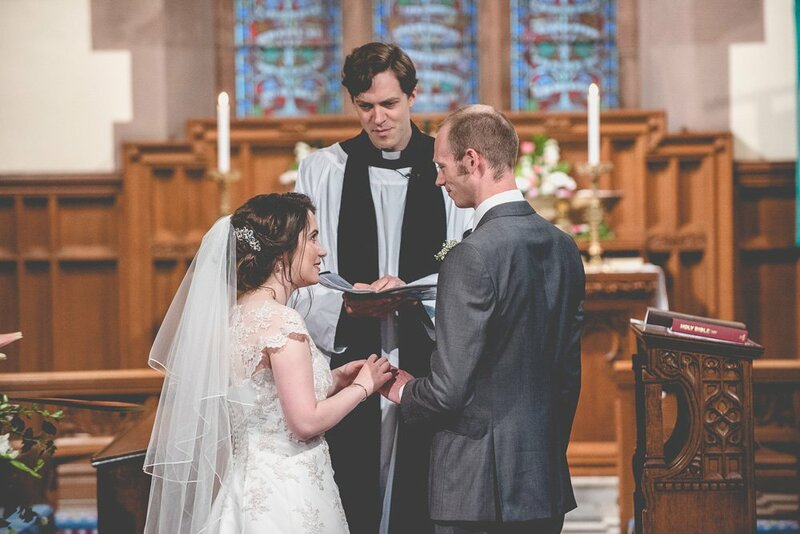 Sophie looked amazing in her Stella York dress from Cherish the Bride with its accompanying lace edged cathedral length veil. 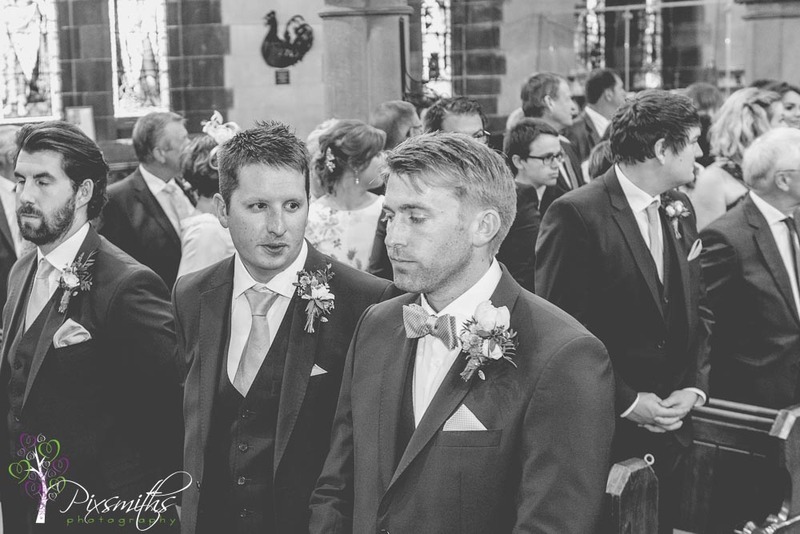 Not sure who was more nervous Jake with his bride being nearly 3o mins late or the minister doing only his third wedding! 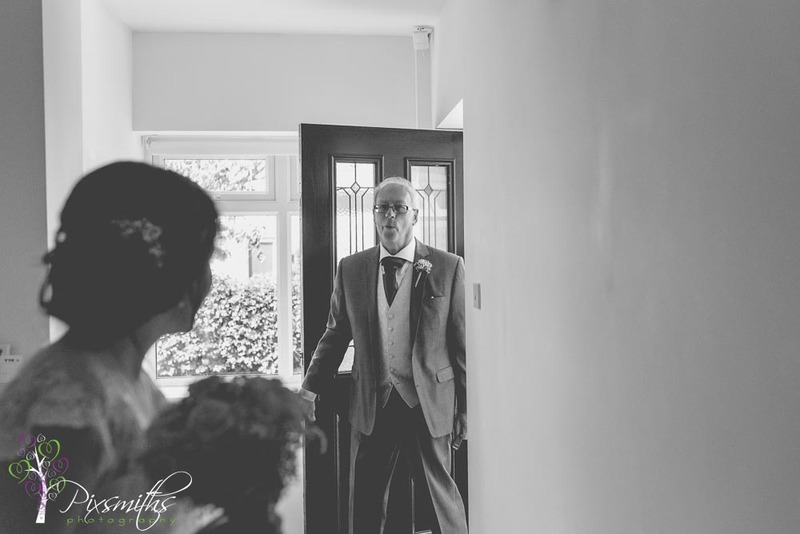 Barely a hour to before speeches, we whizzed through a few family formals and bride and groom portraits, phew that was quick but we made it! 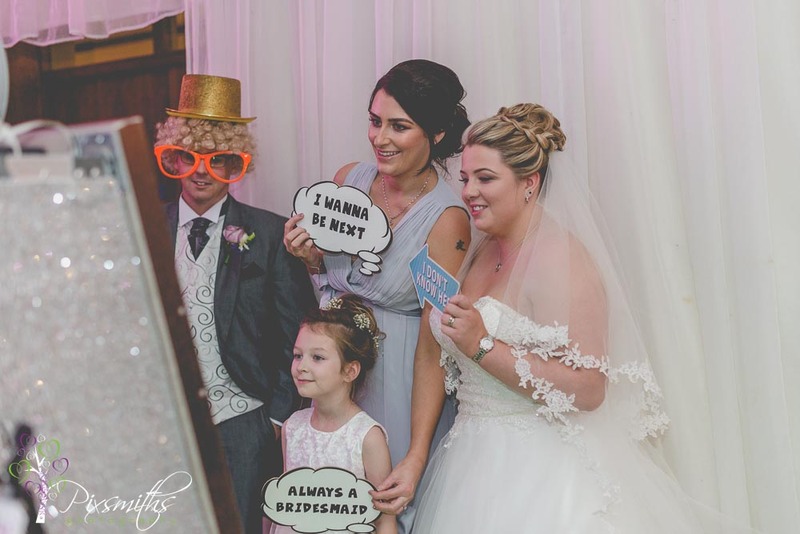 Much fun was had in the photobooth and we got a few more shots using the hotel features after the meal using extra lighting that is needed for winter weddings. 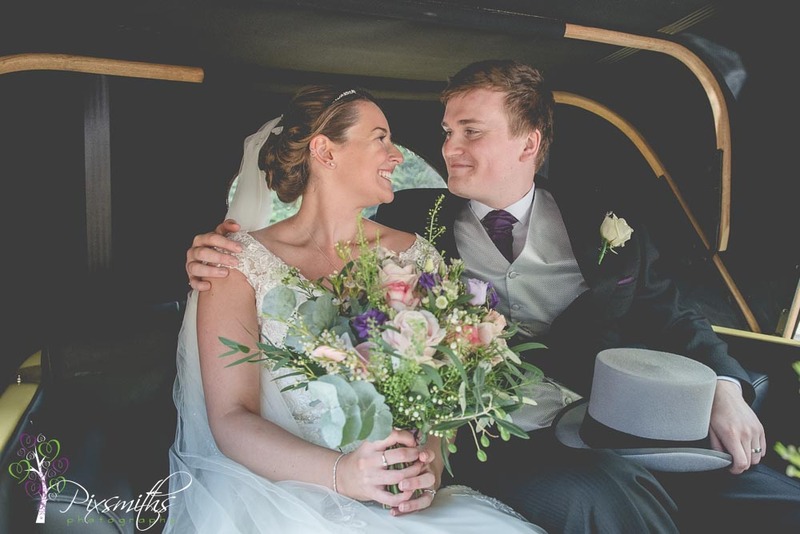 Jake and Sophie it was a real privilege to cover your wonderful day and we wish you much happiness and health for the future. 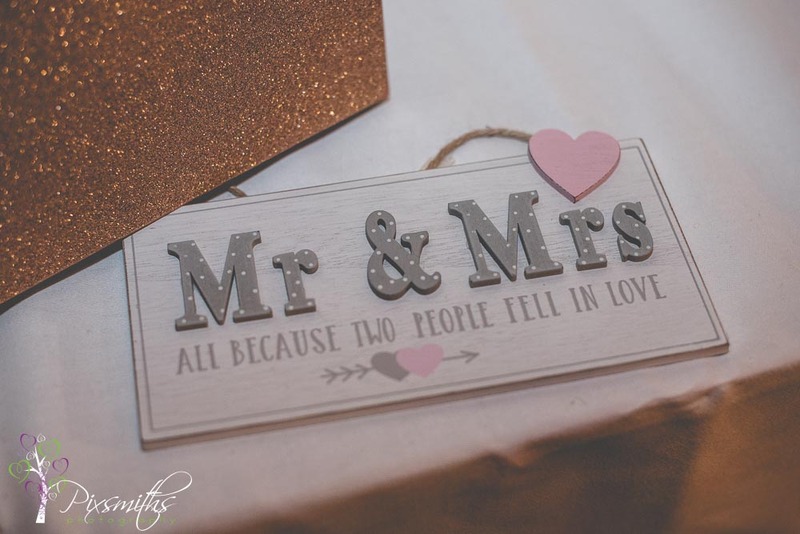 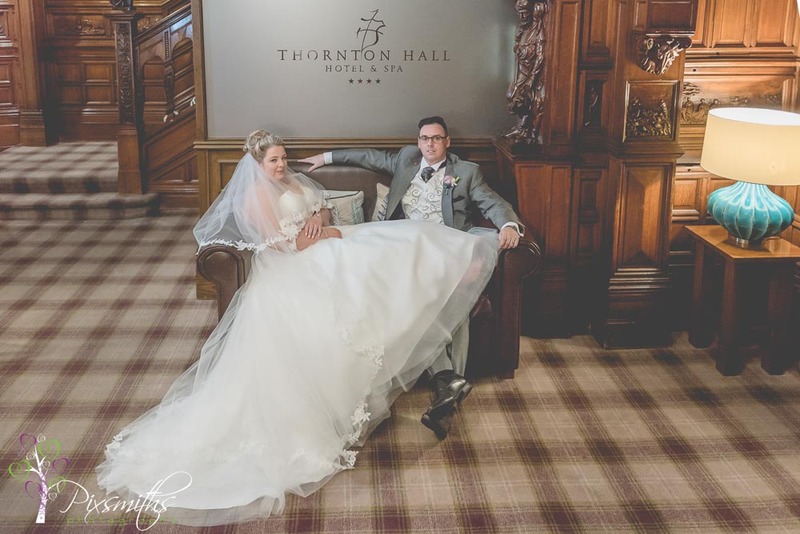 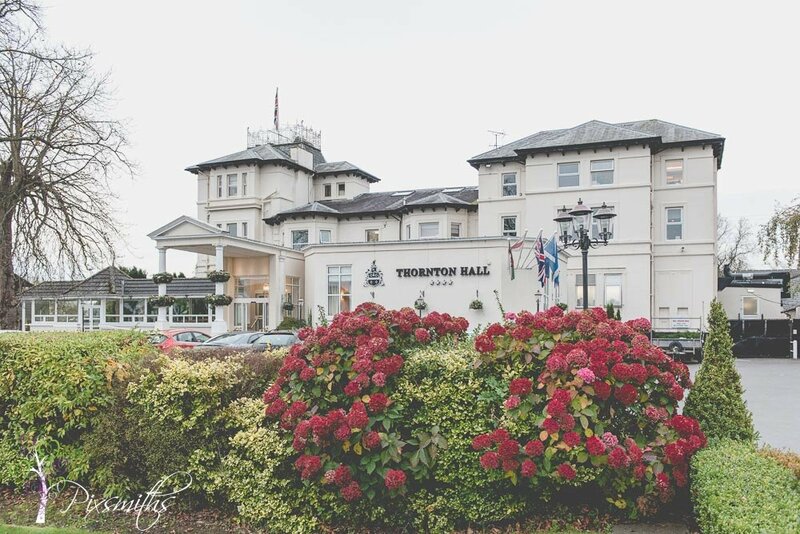 if you are looking for a photographer or two for a winter weddign at Thornton Hall..or any other time of the year please do get in touch and fill out our inquiry form for a quote. 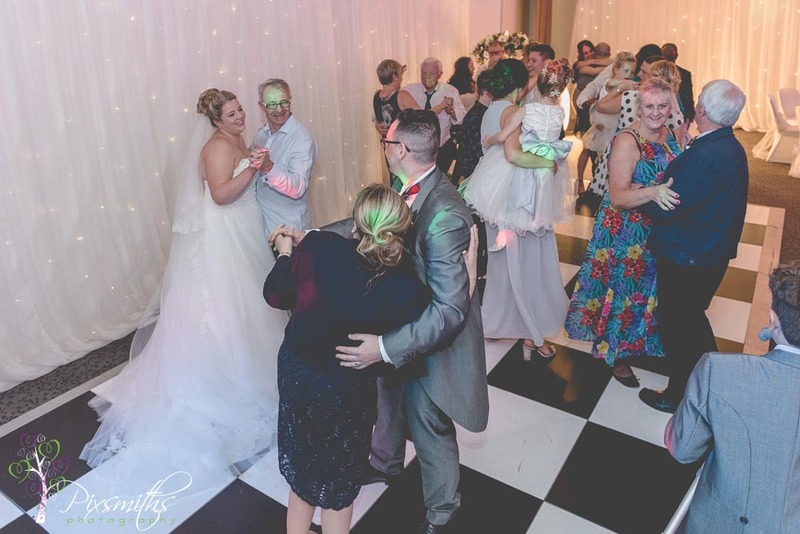 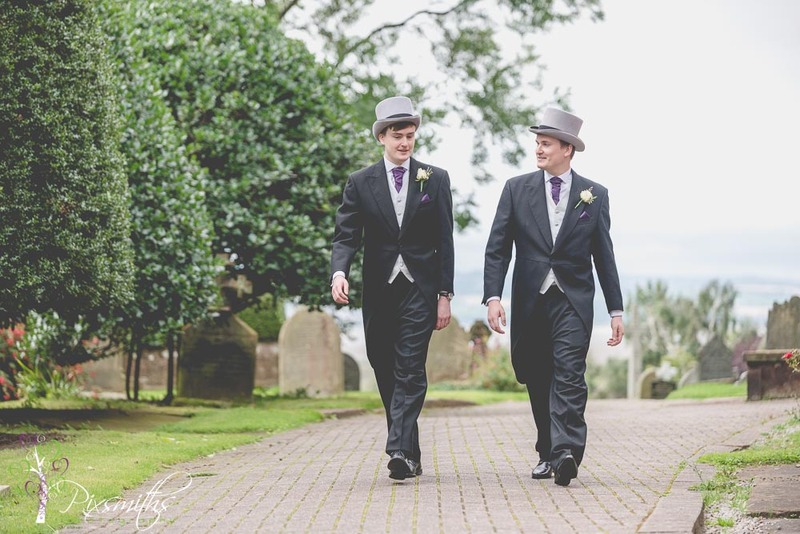 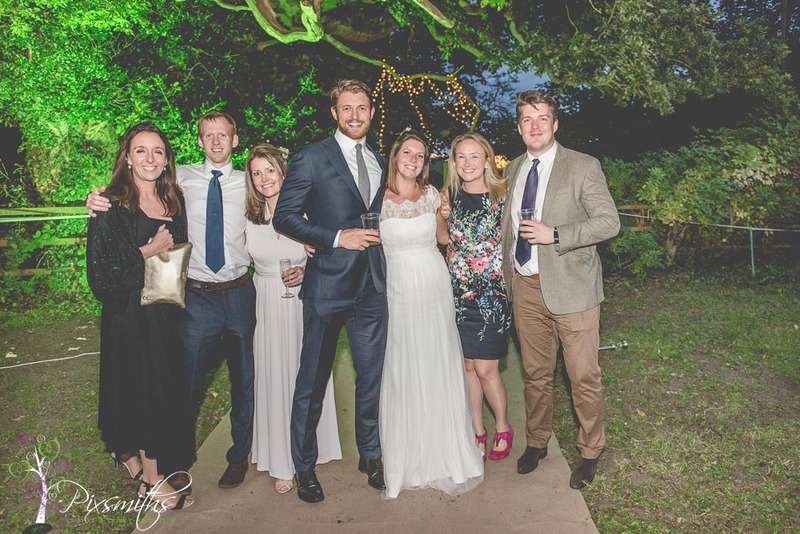 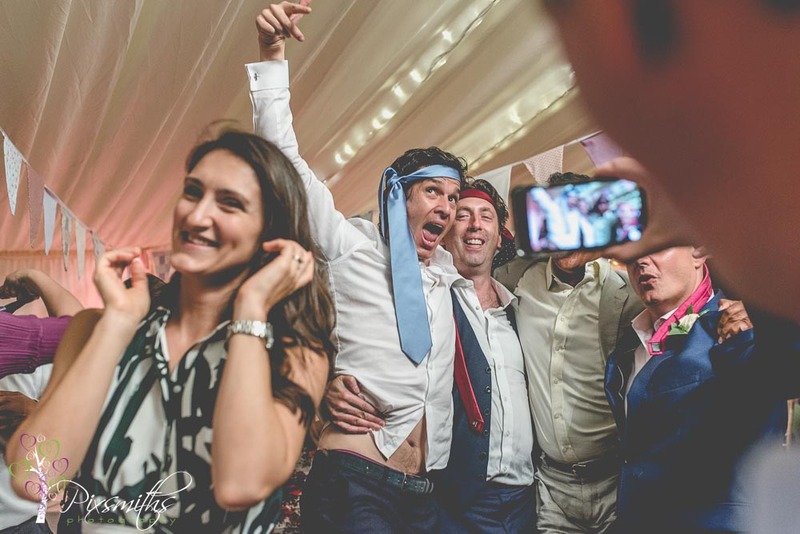 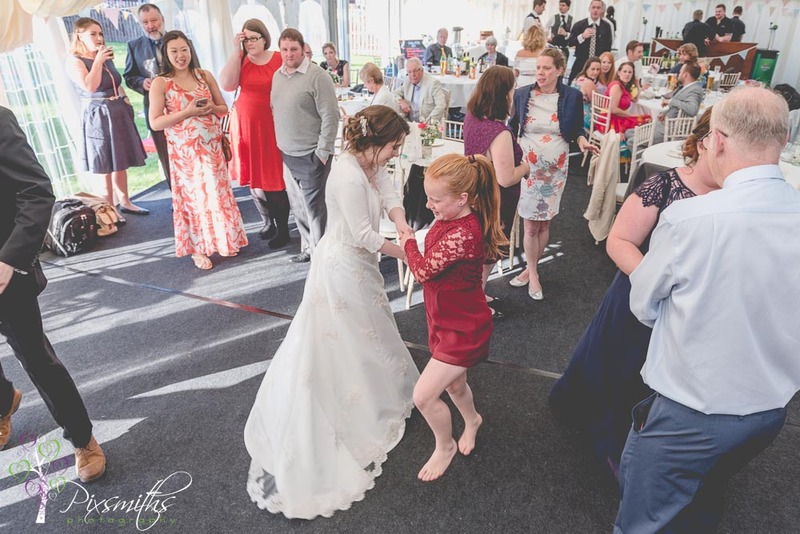 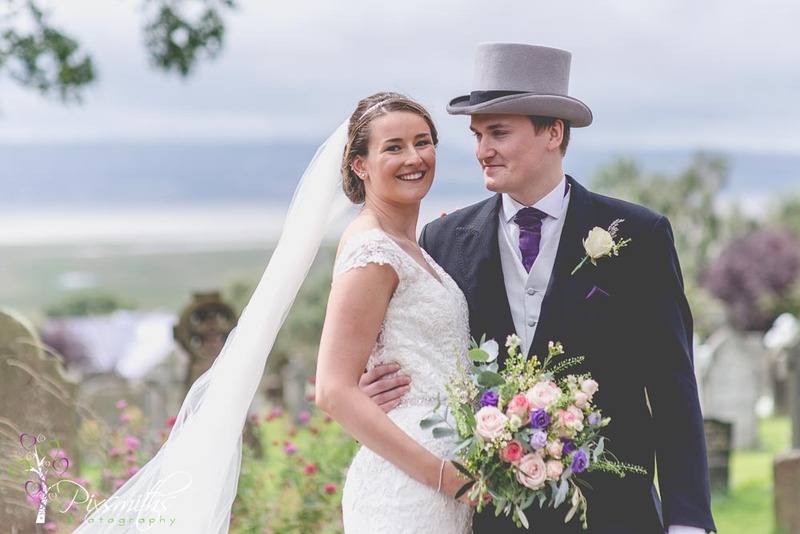 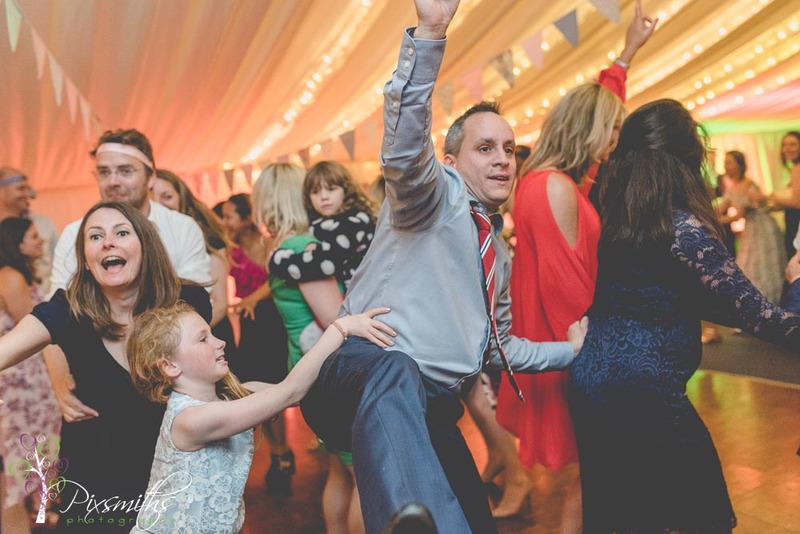 We had previously covered the Cheshire marquee wedding of Lydia’s sister Hannah and Andrew about 3 years ago… the fancy dress wedding of the Zegg’s! 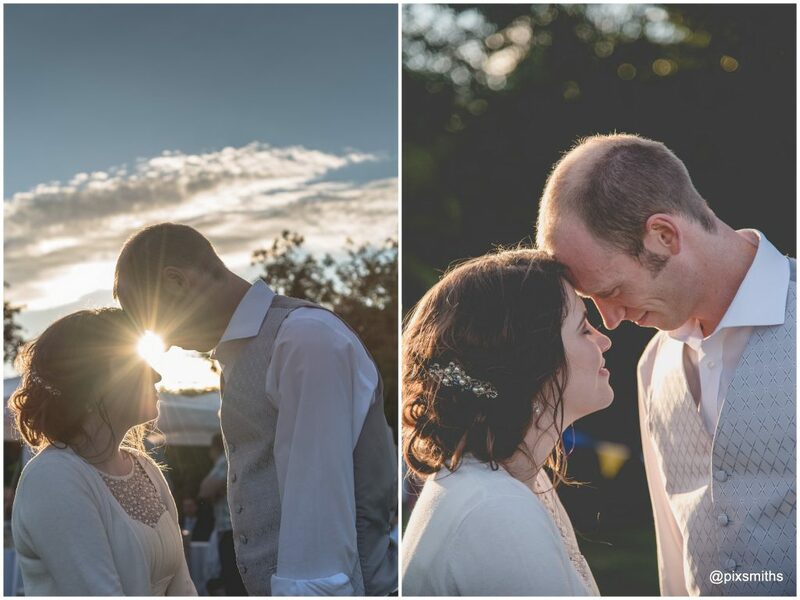 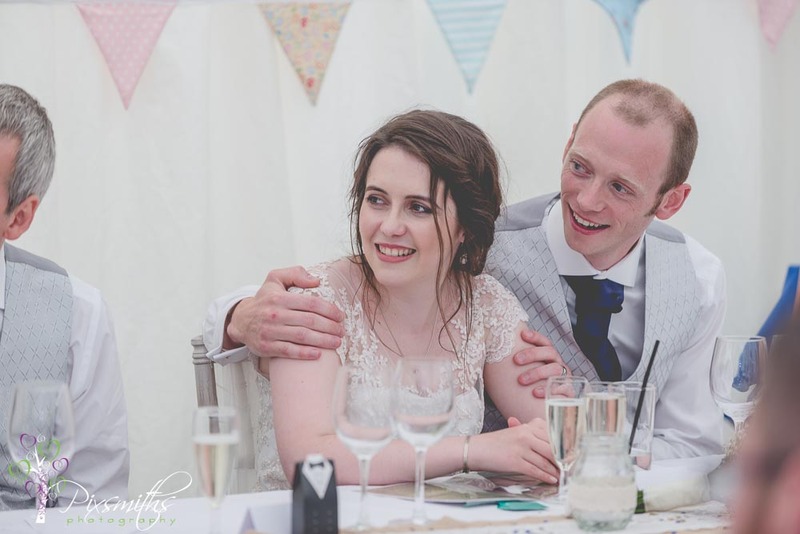 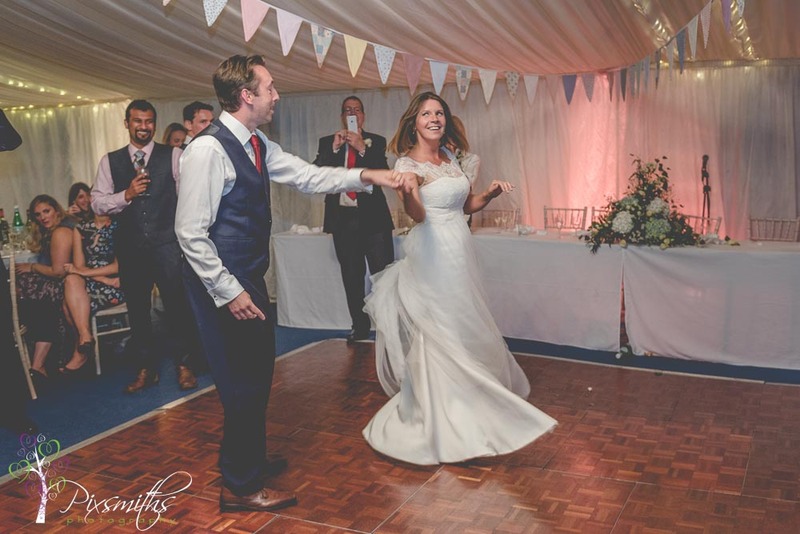 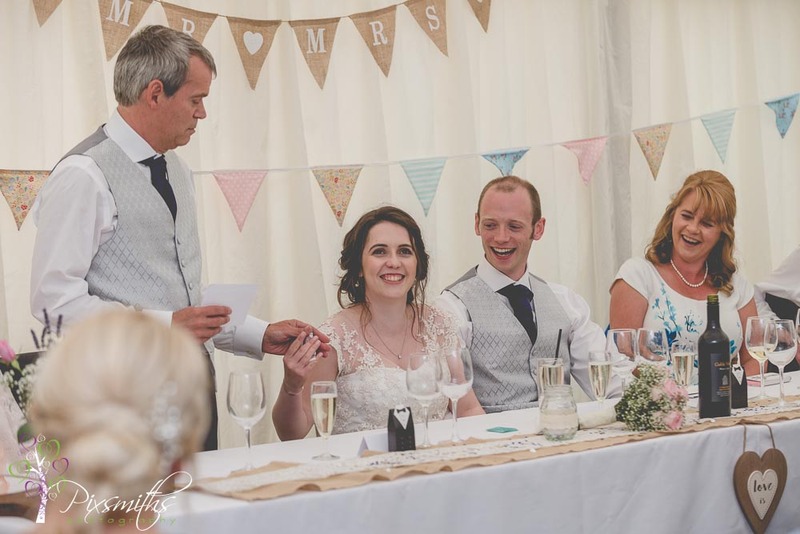 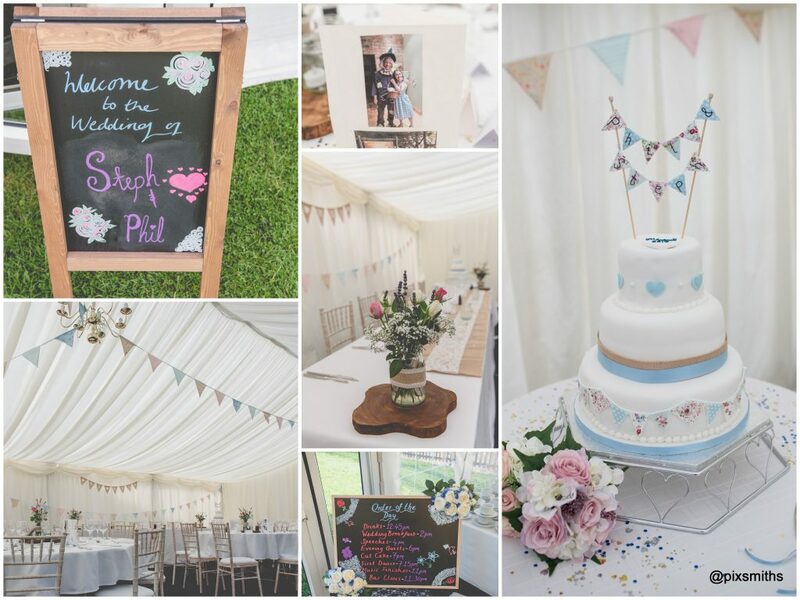 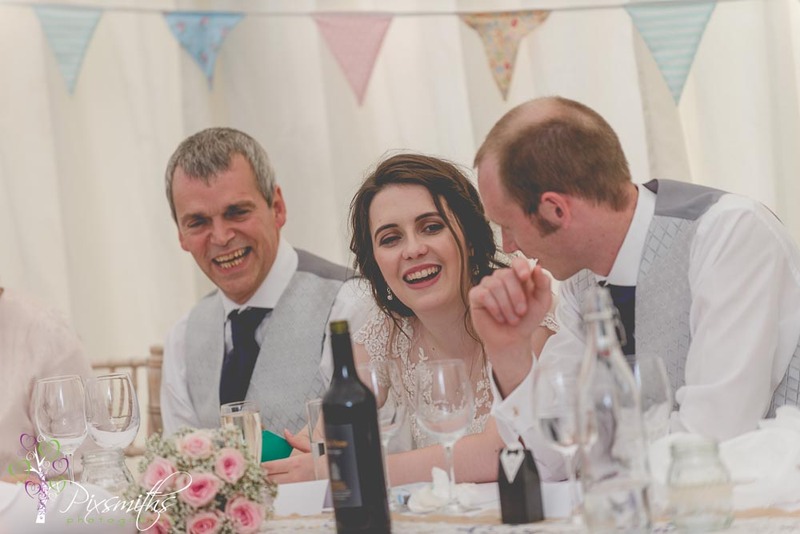 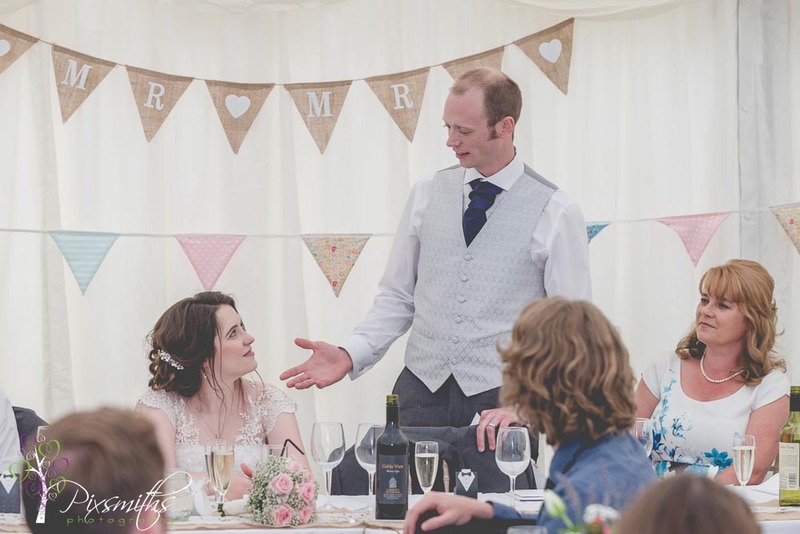 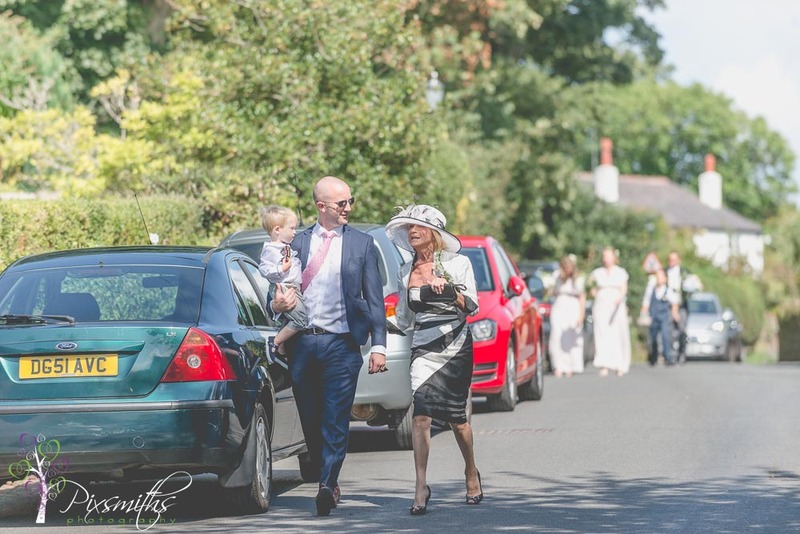 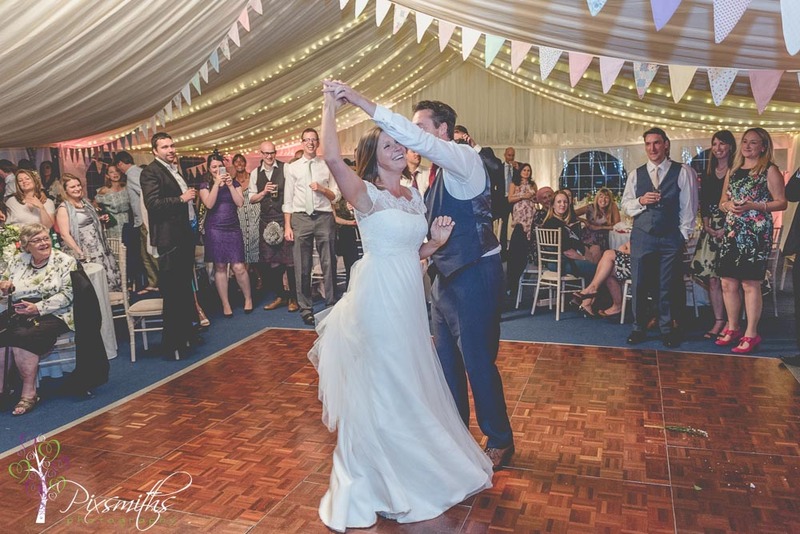 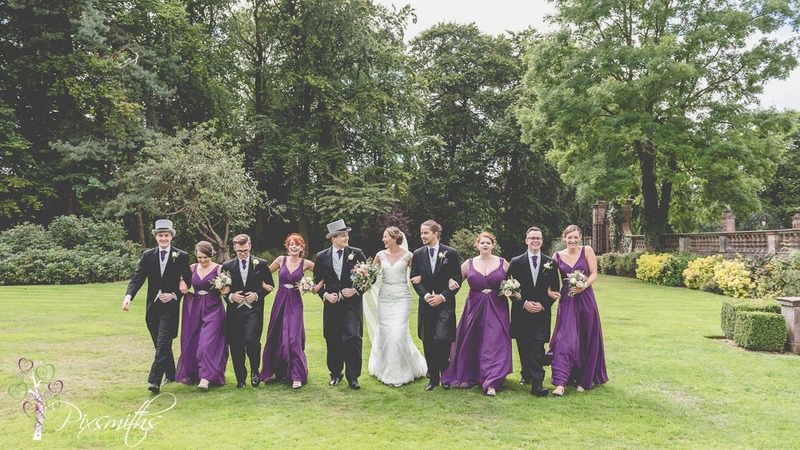 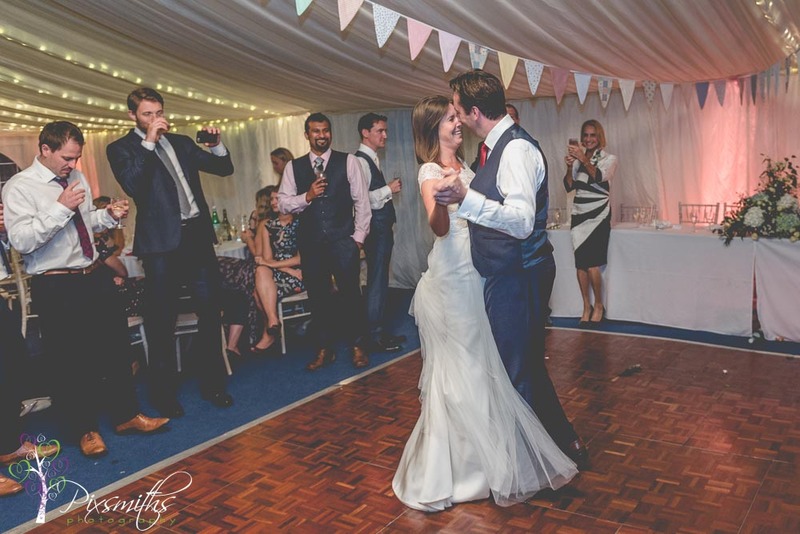 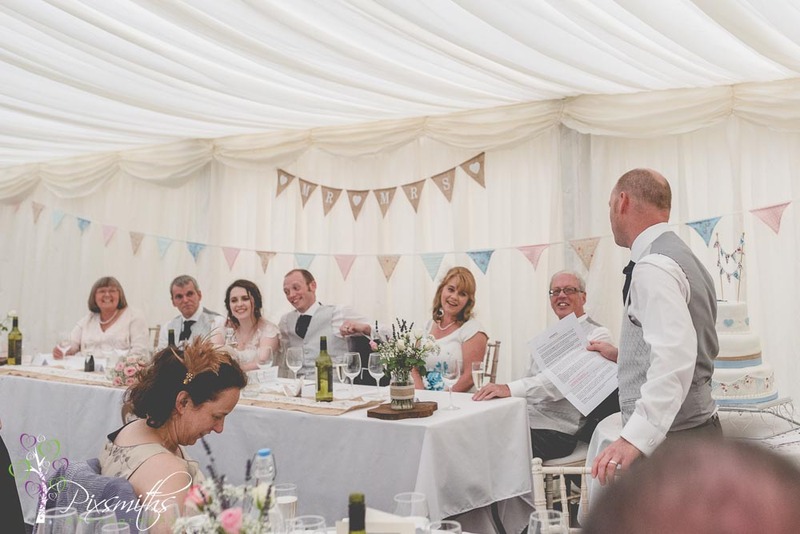 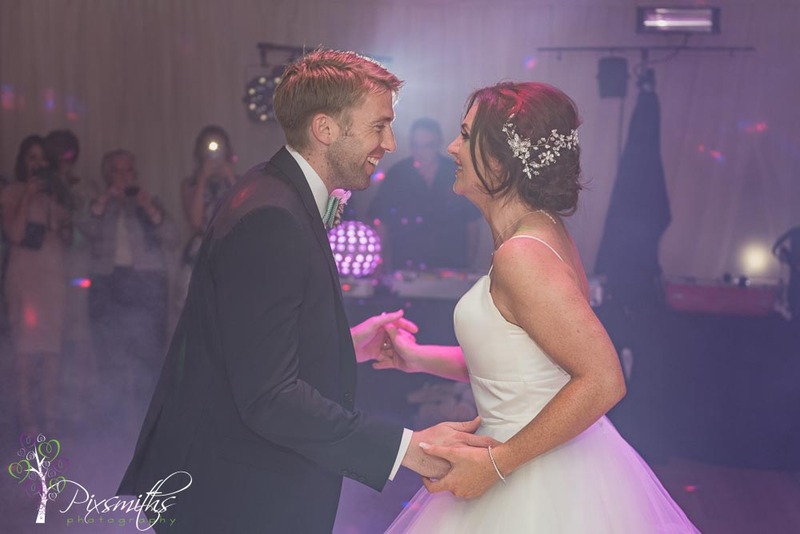 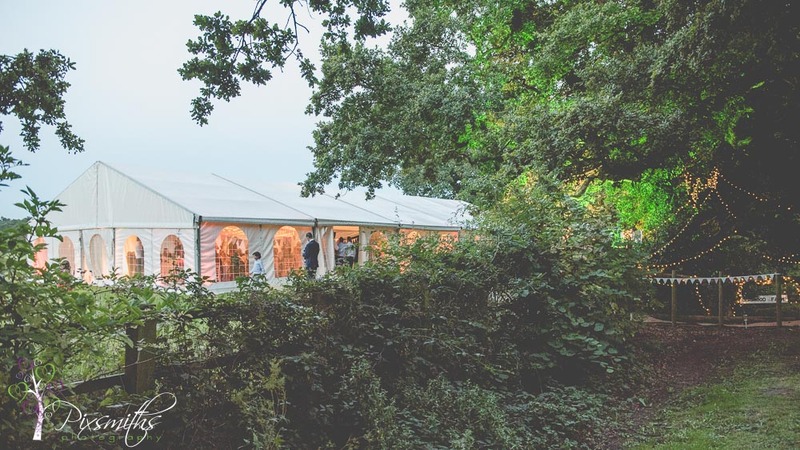 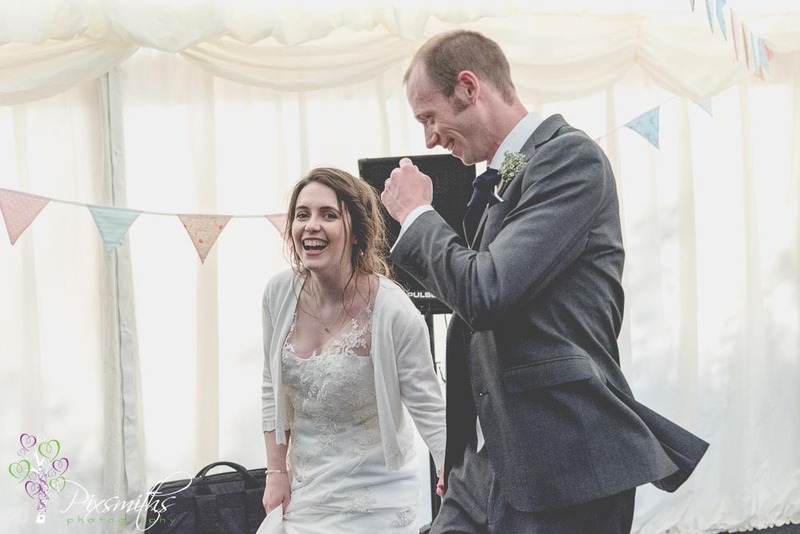 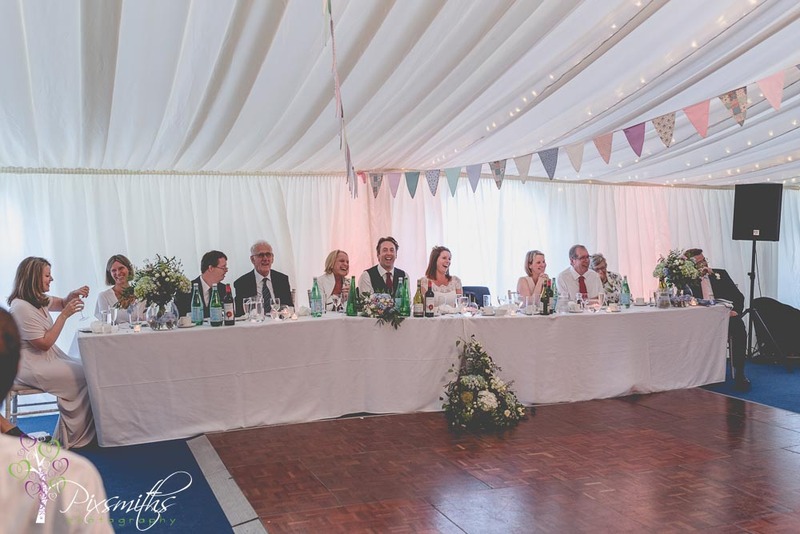 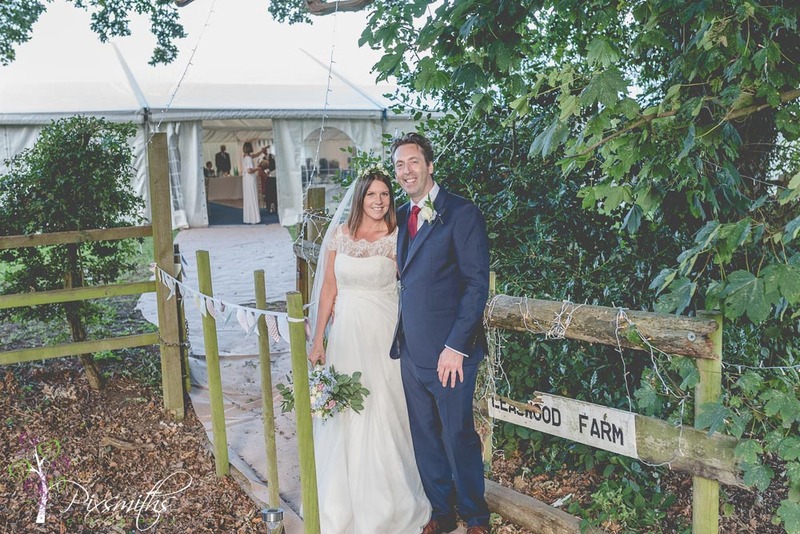 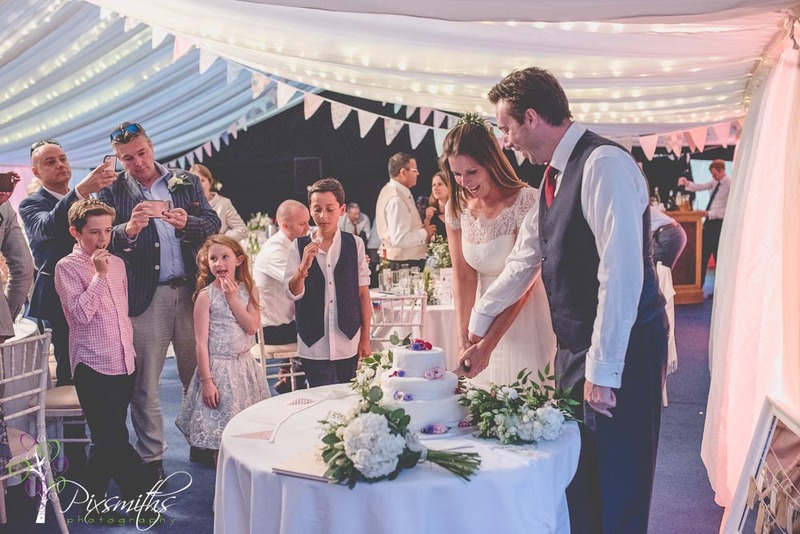 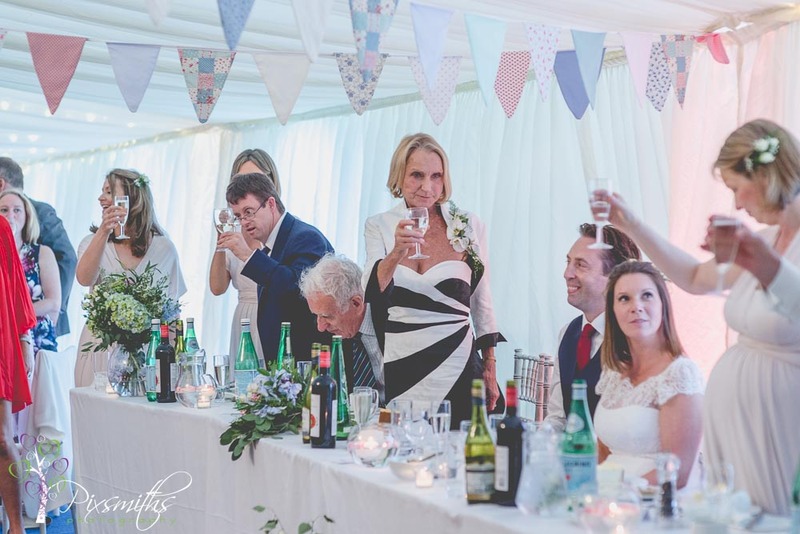 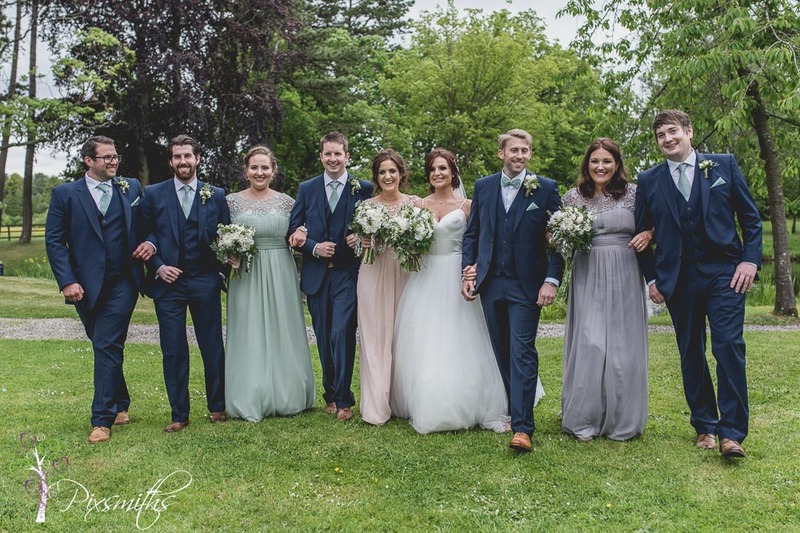 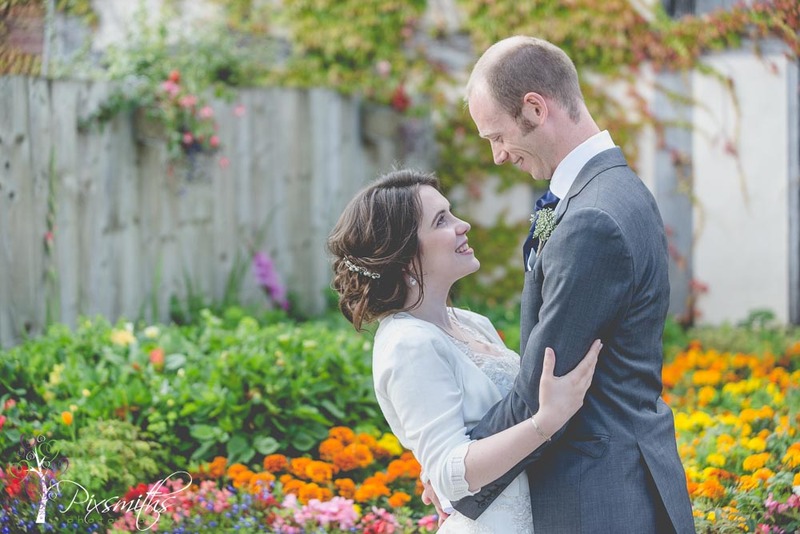 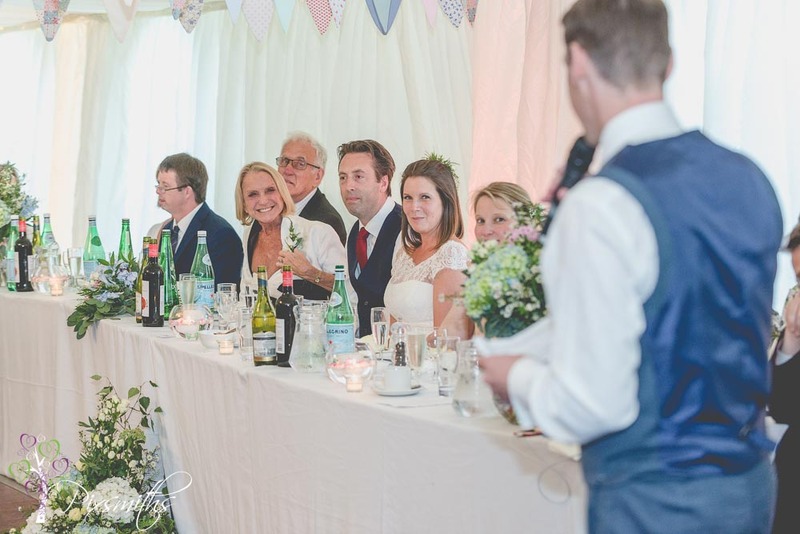 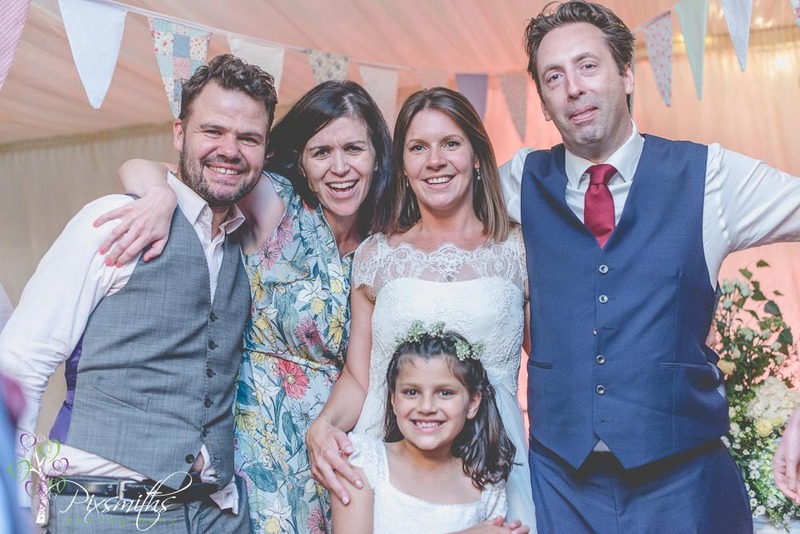 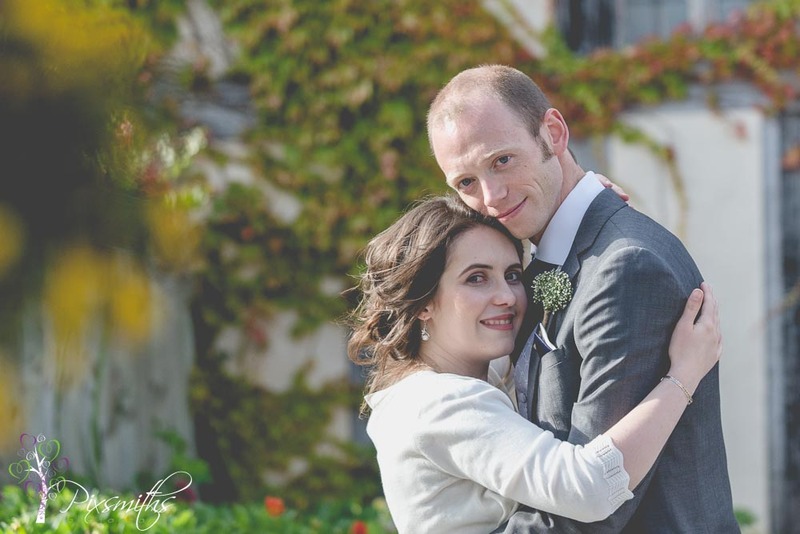 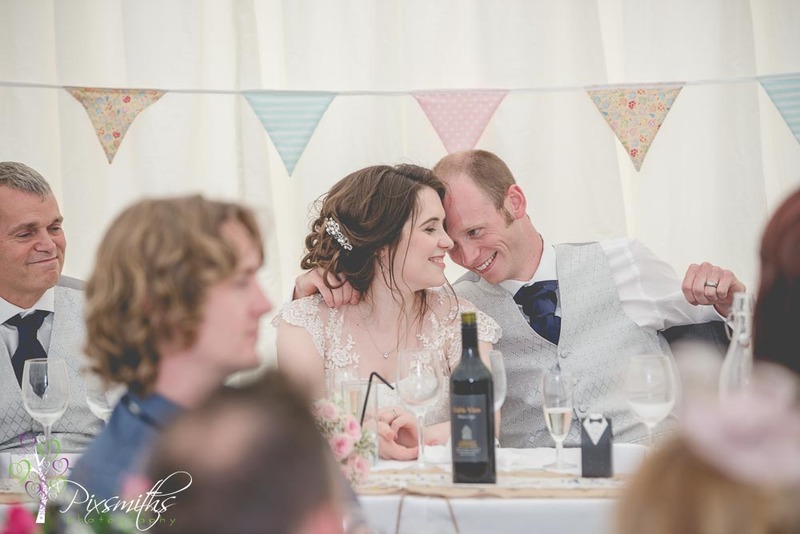 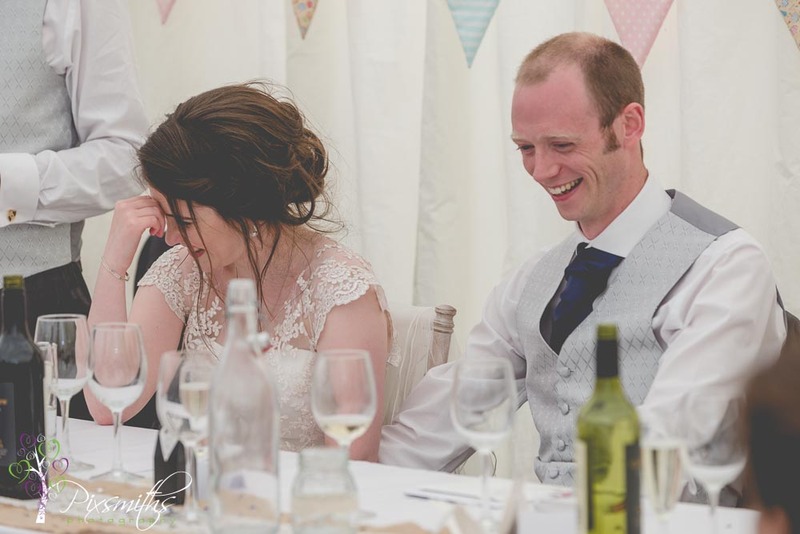 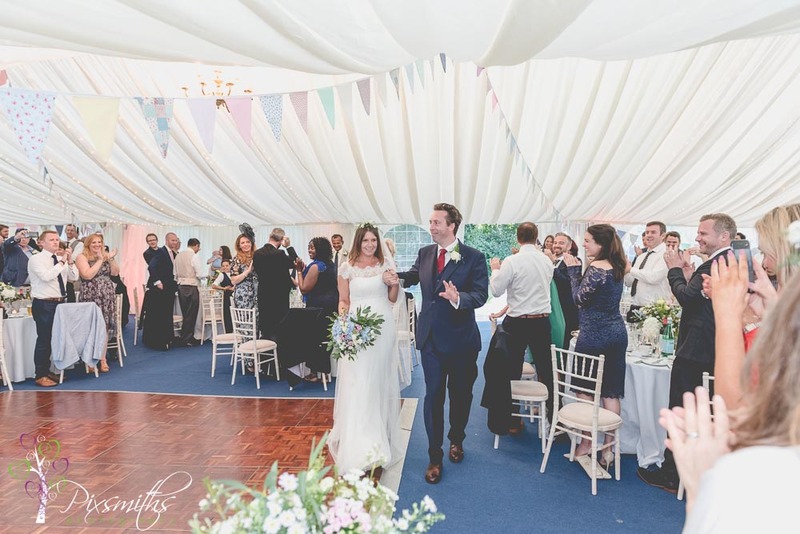 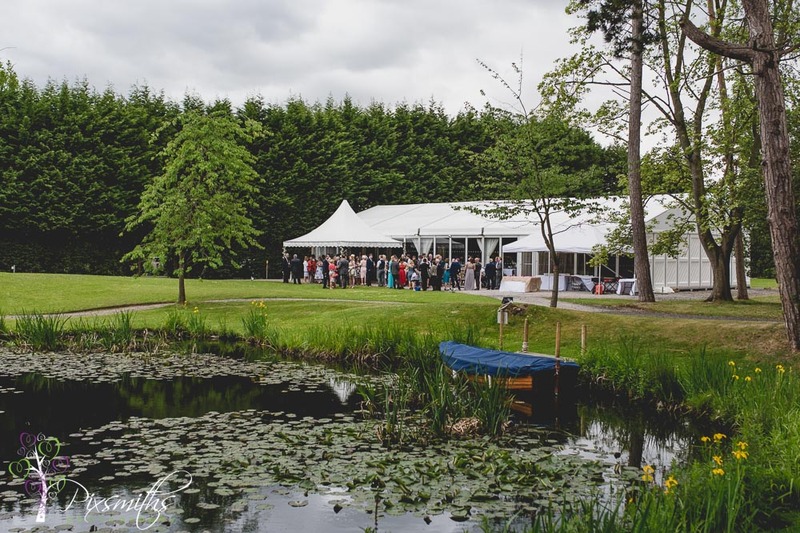 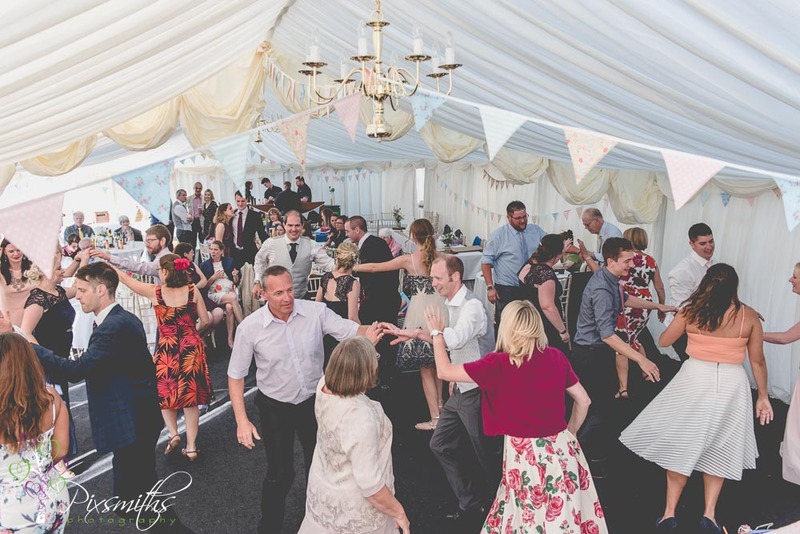 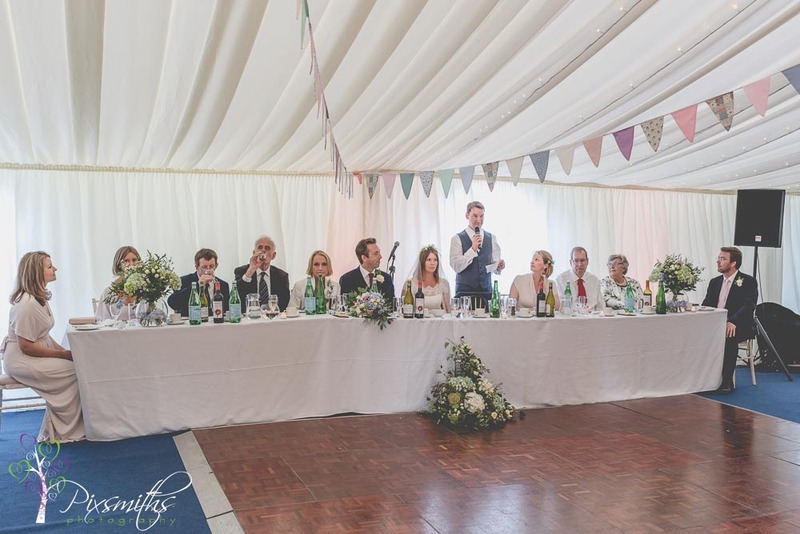 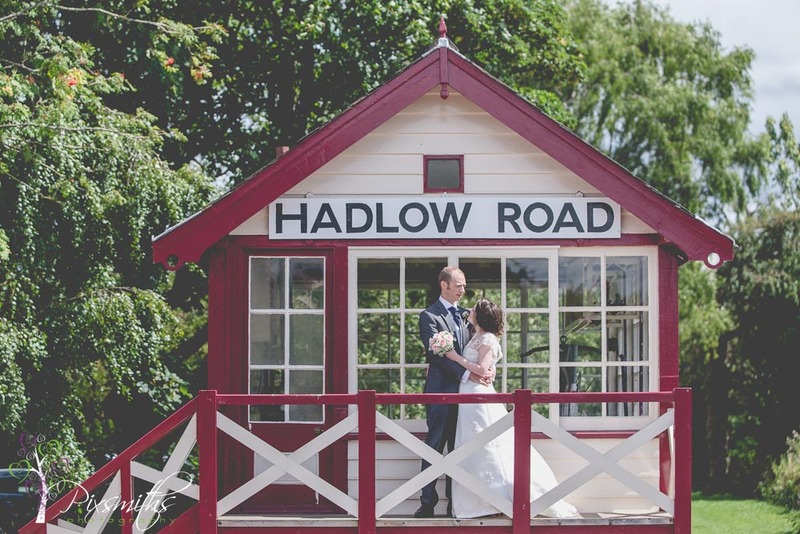 So we were delighted to cover Lydia and Peter’s home Marquee wedding. 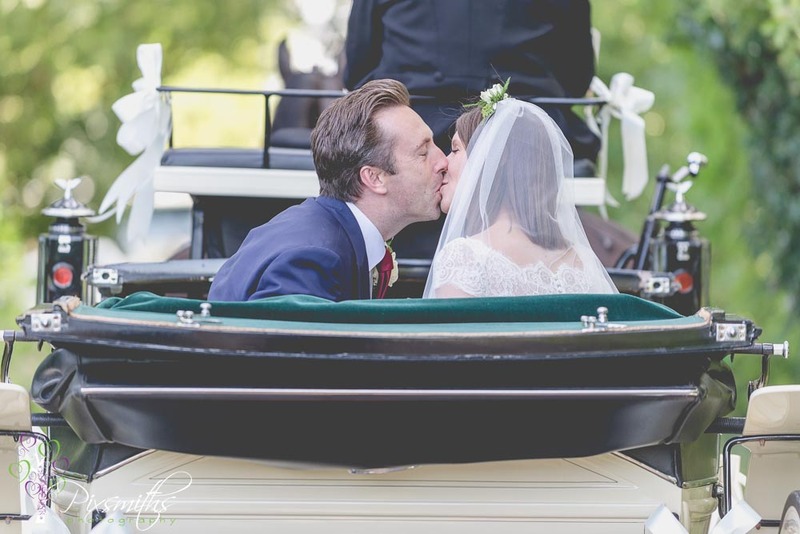 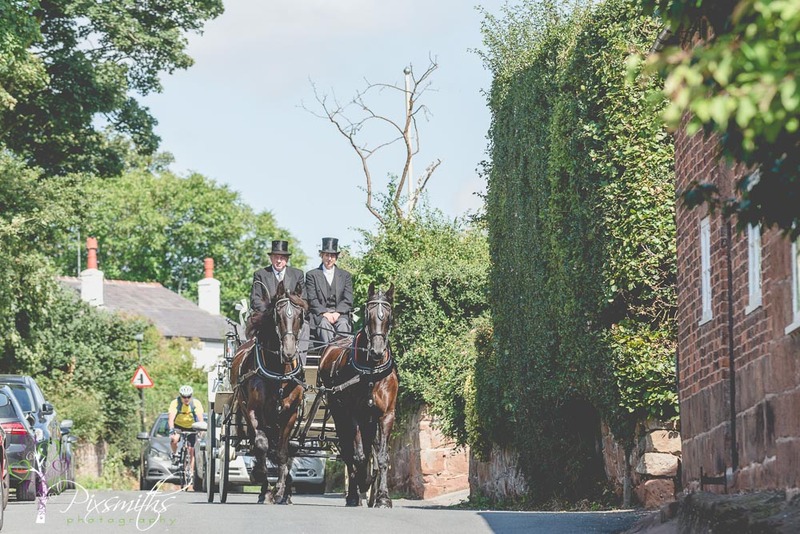 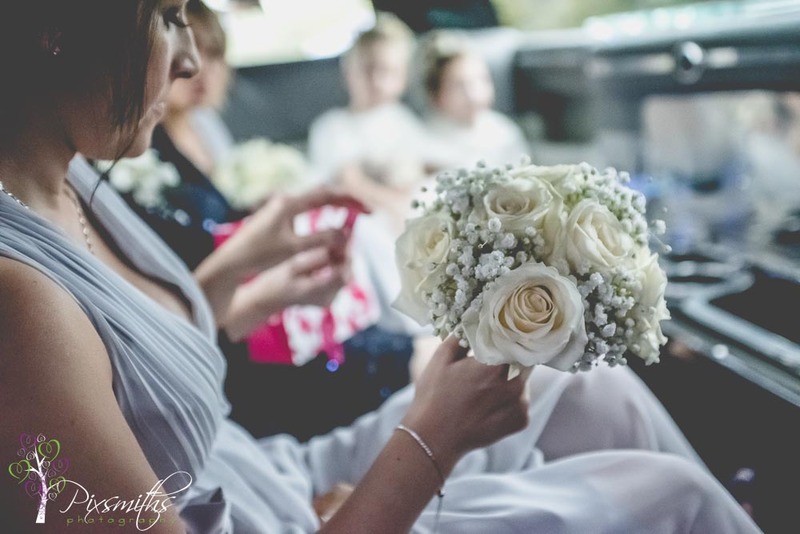 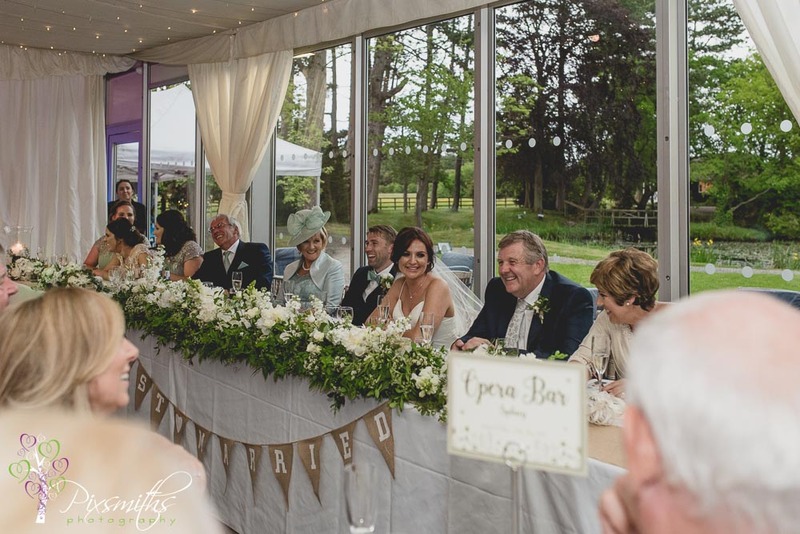 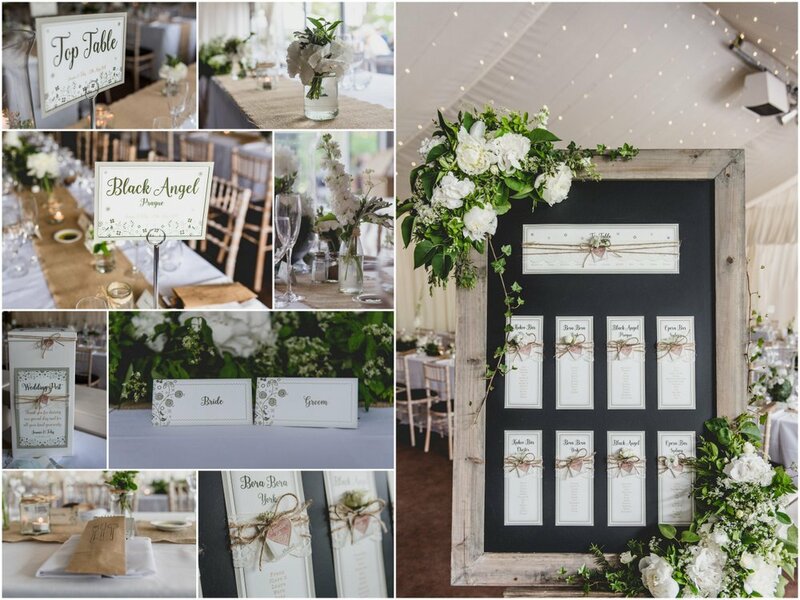 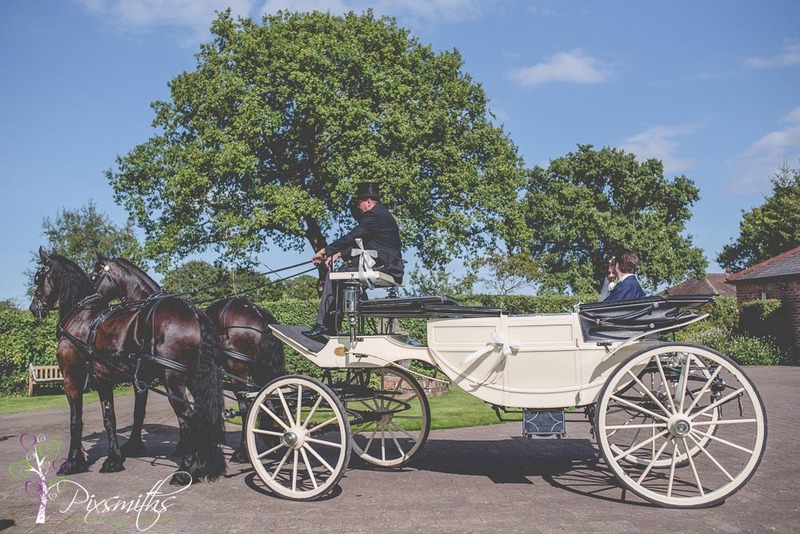 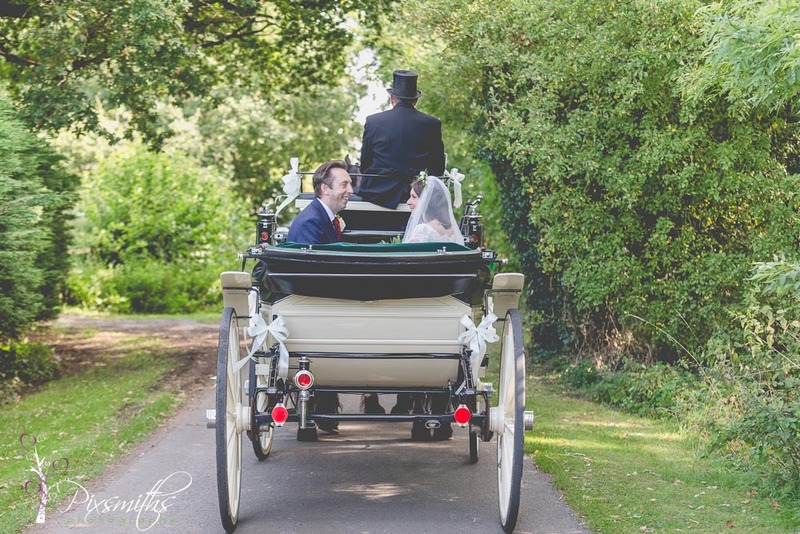 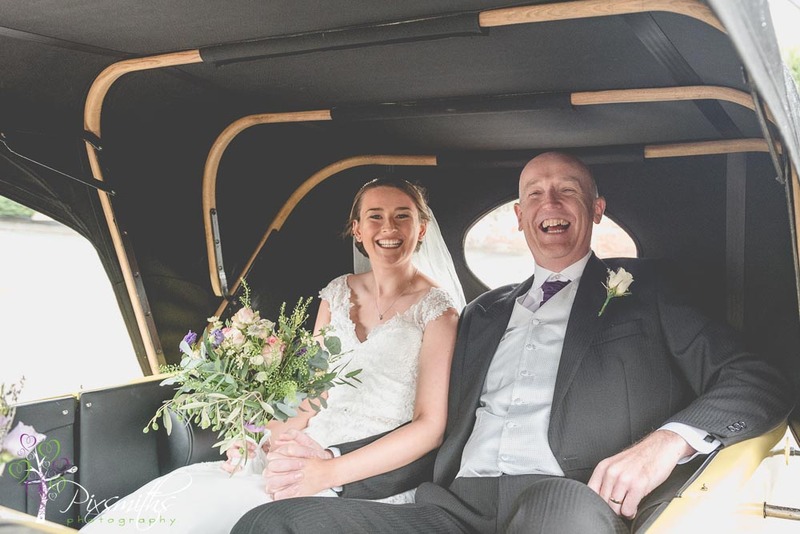 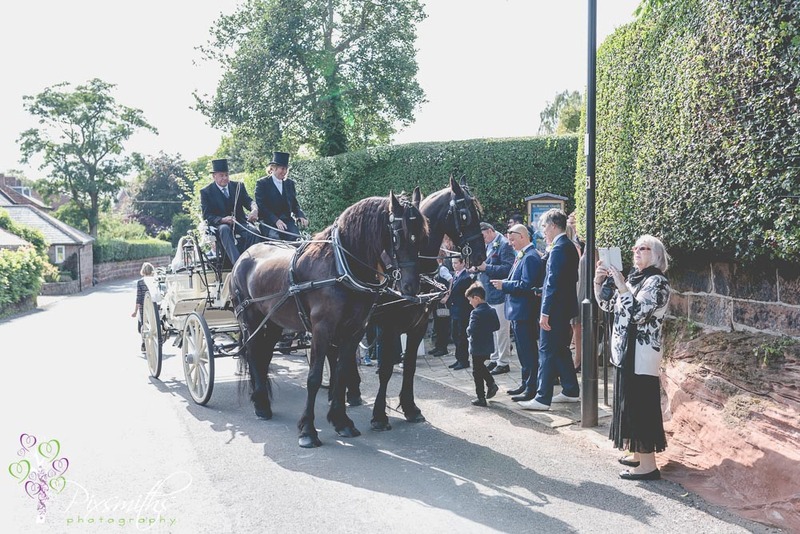 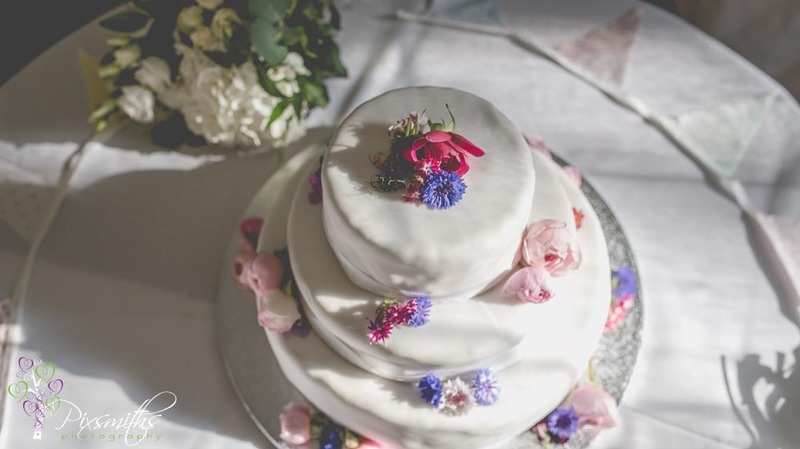 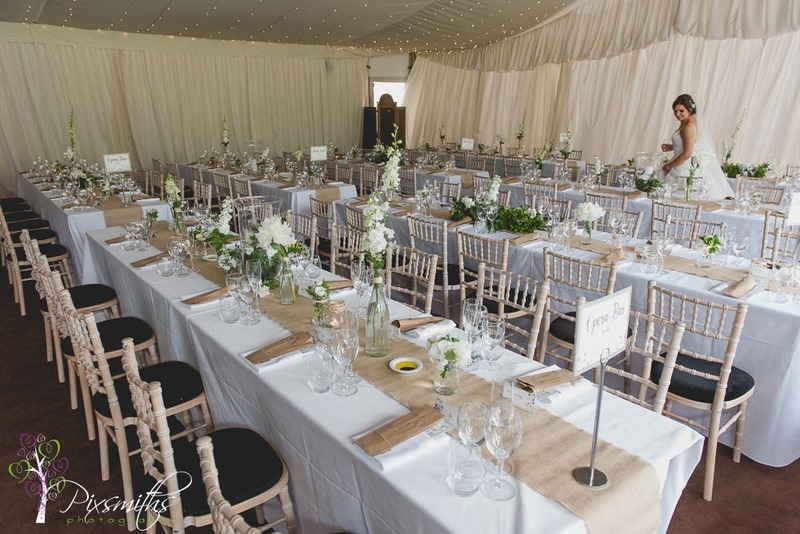 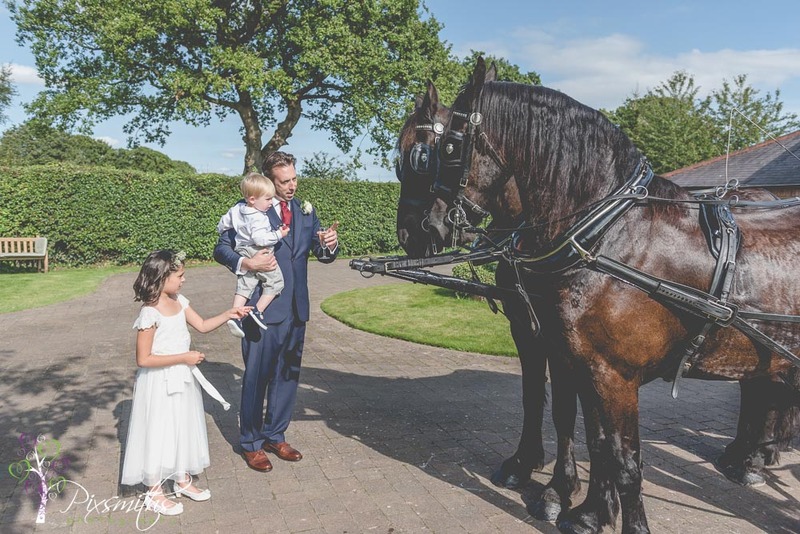 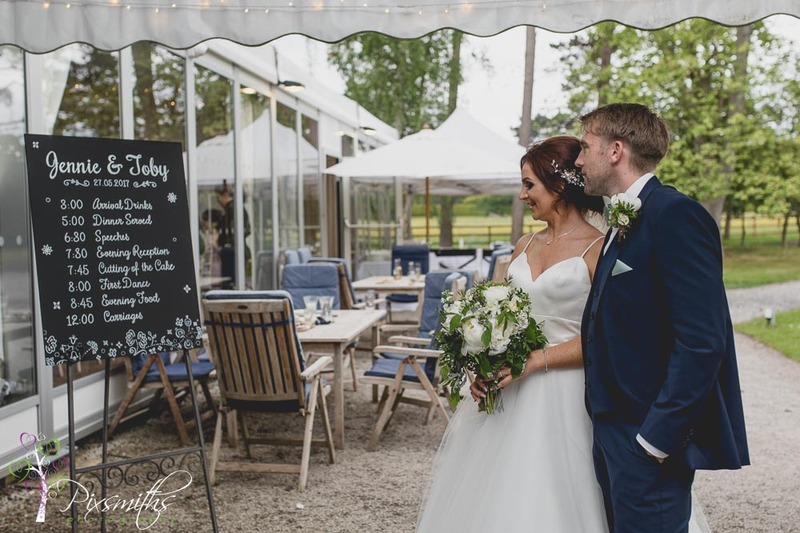 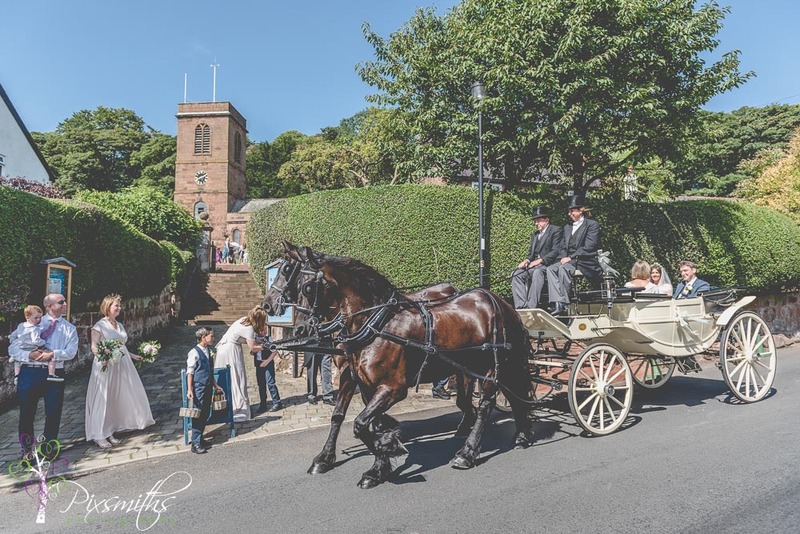 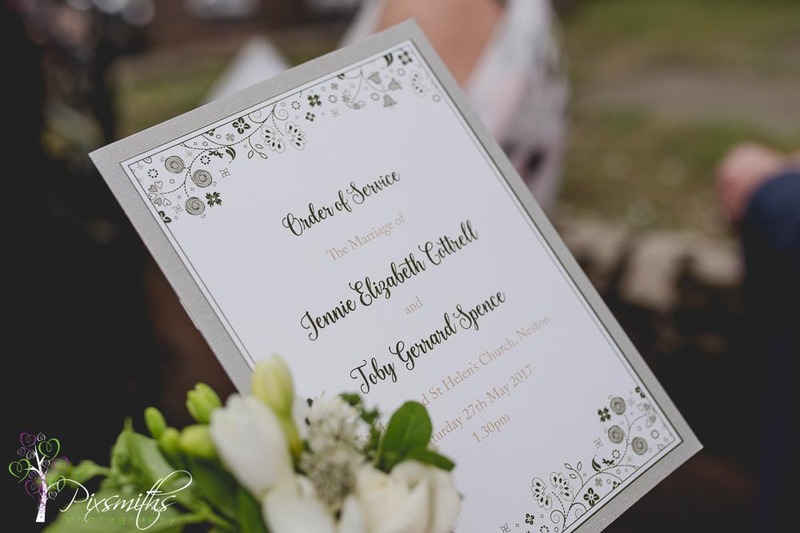 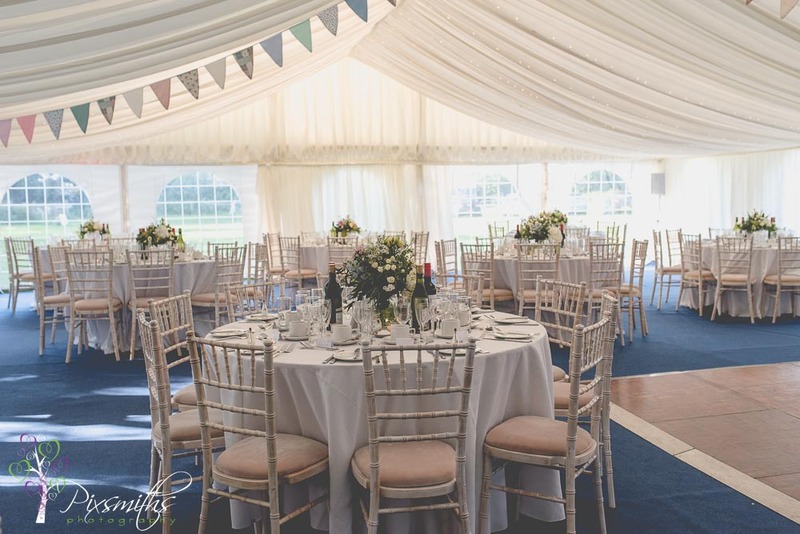 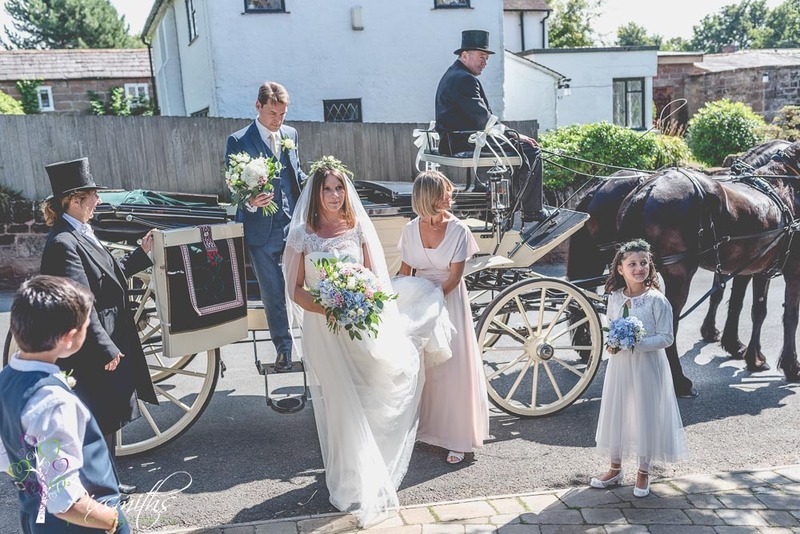 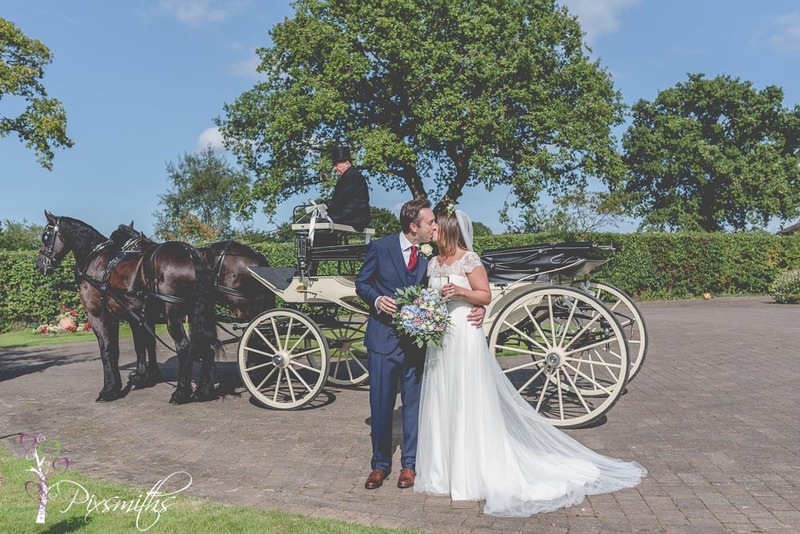 On paper it looked a very similar wedding – same home preps, horse and carriage ride down to their local country church at Burton and back for the Cheshire marquee wedding reception. 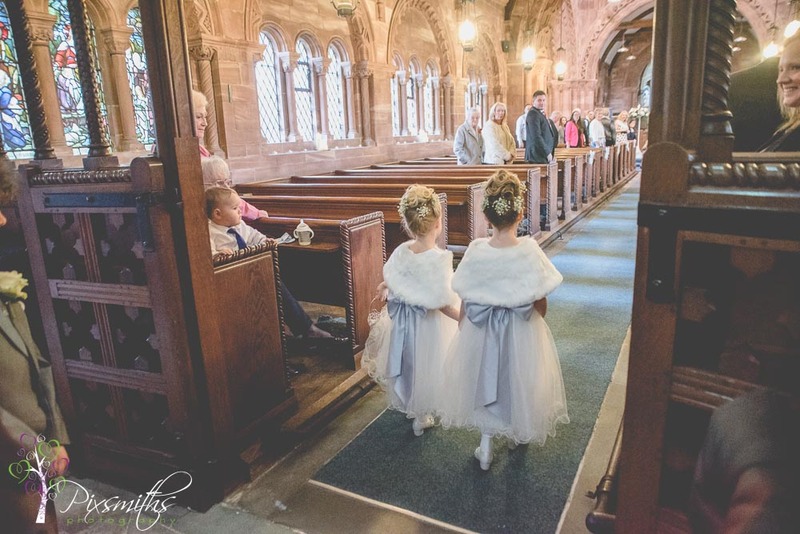 Sisters however are chalk and cheese so it keeps things interesting and proves that weddings at same venues can have a different vibe and style. 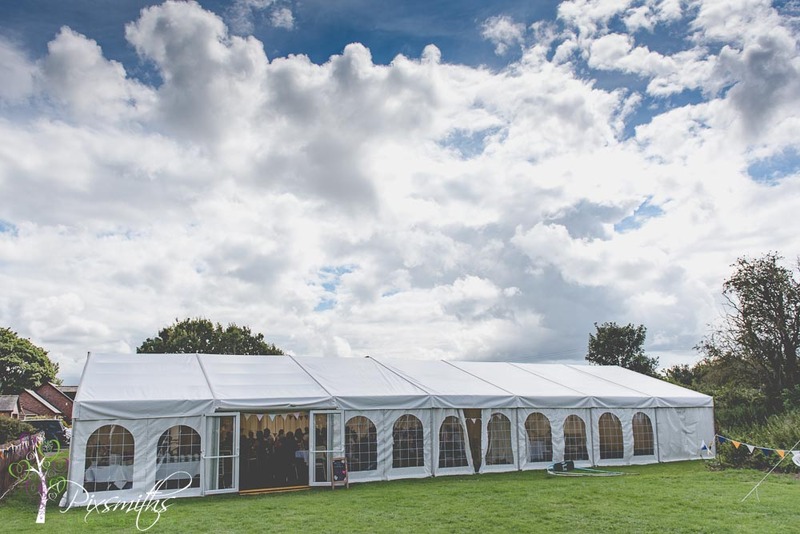 So we arrived at preps and not surprisingly both Lydia and Hannah were getting the marquee tables decorated, table plans done and cake decorated! 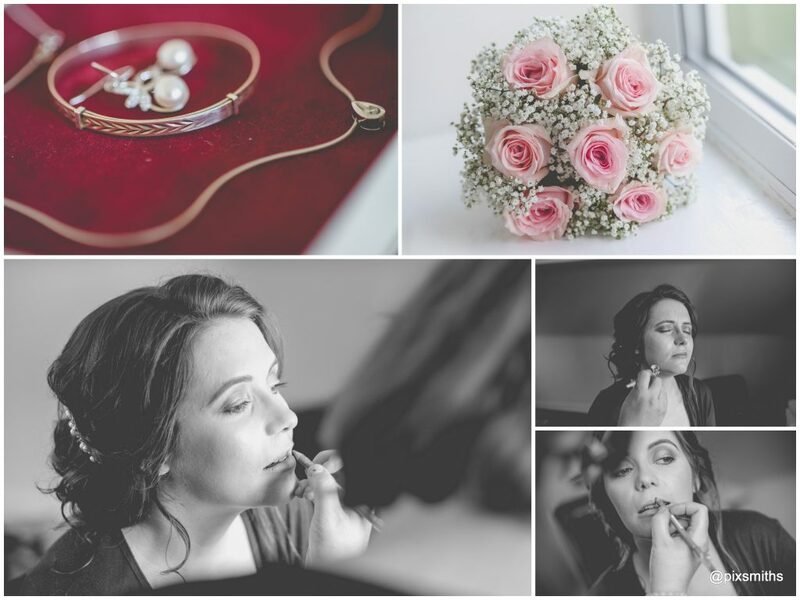 Always a challenge to be do something different with details. 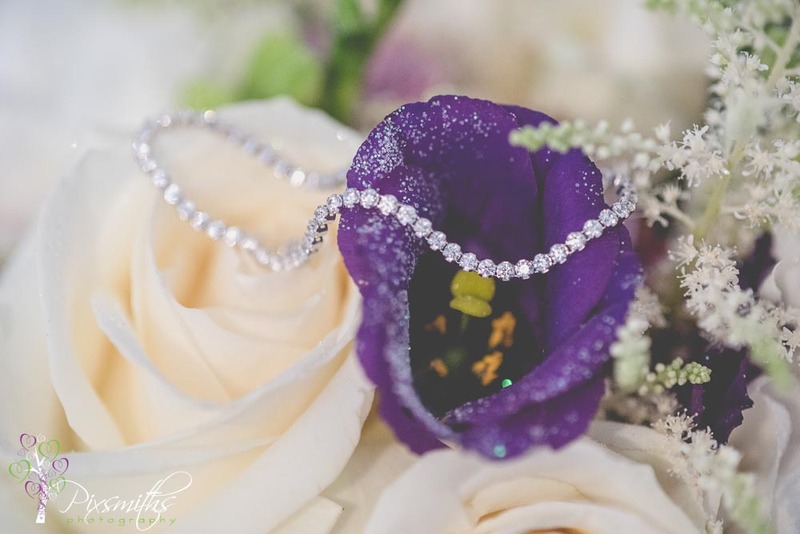 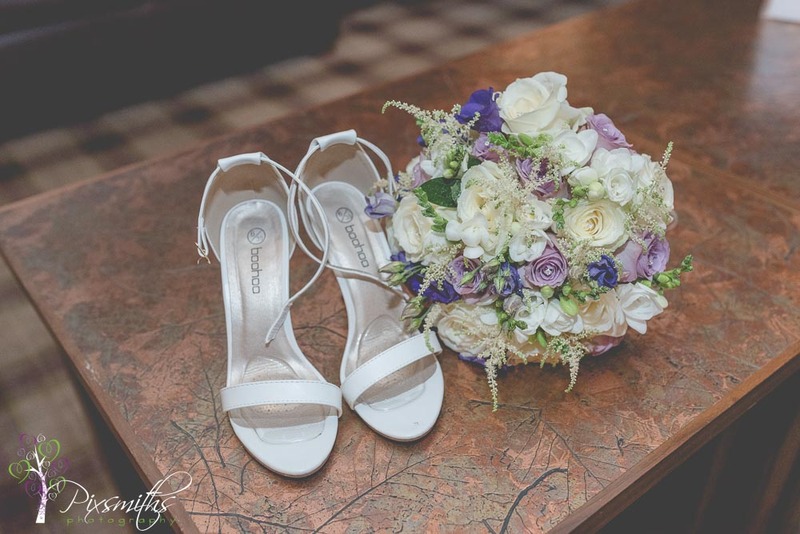 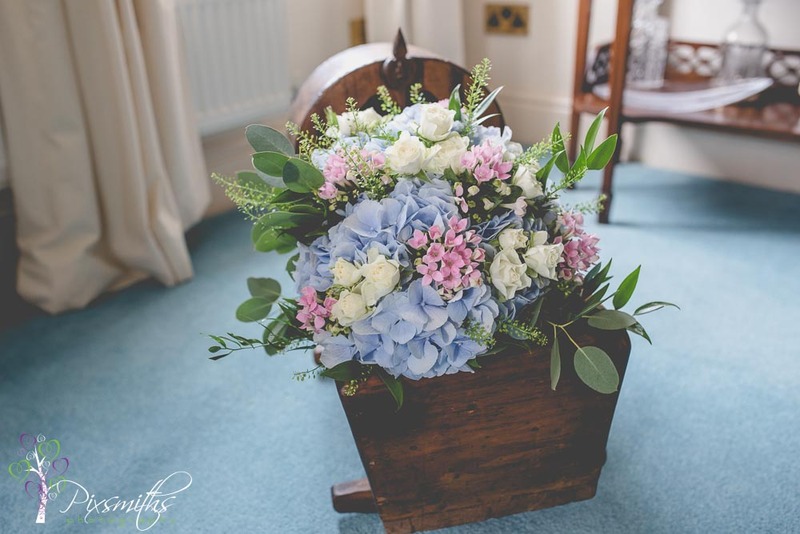 The gorgeous flowers were captured in the nursery chair and baby cradle. 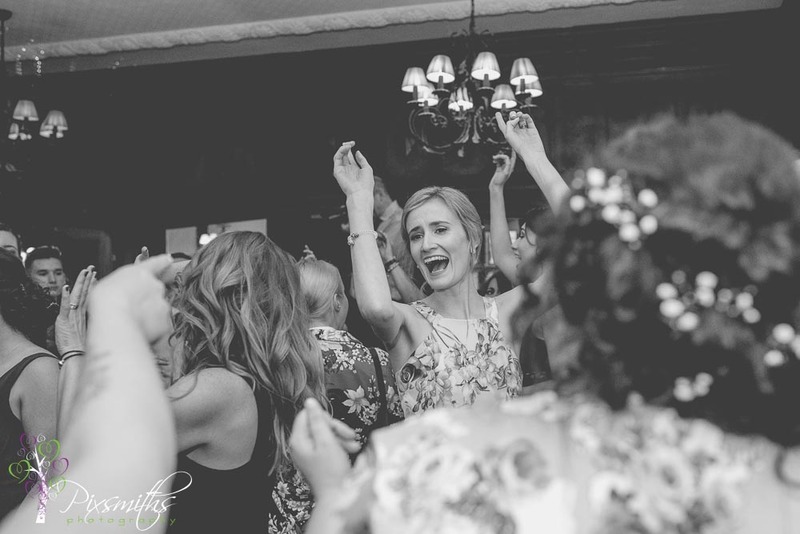 Lydia was really grateful we just go with the flow of what is happening and not to have to pose. 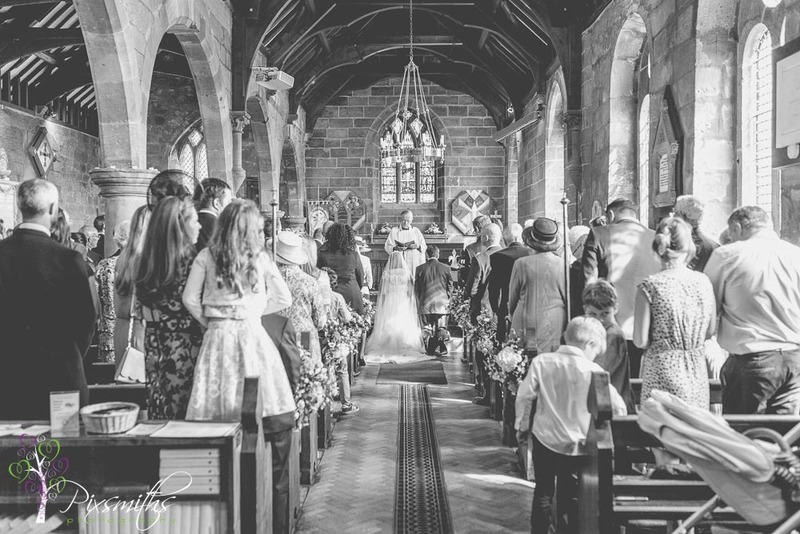 Its was blue skies at the church -one of the hottest August Saturdays, most unusual for a bank holiday too! 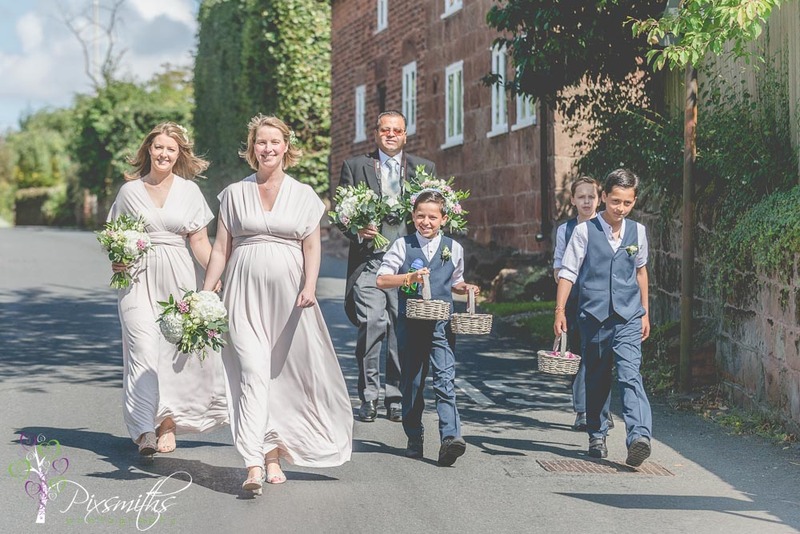 A beautiful country wedding lots of family involved in the bridal party with nephews and nieces and their own two year old. 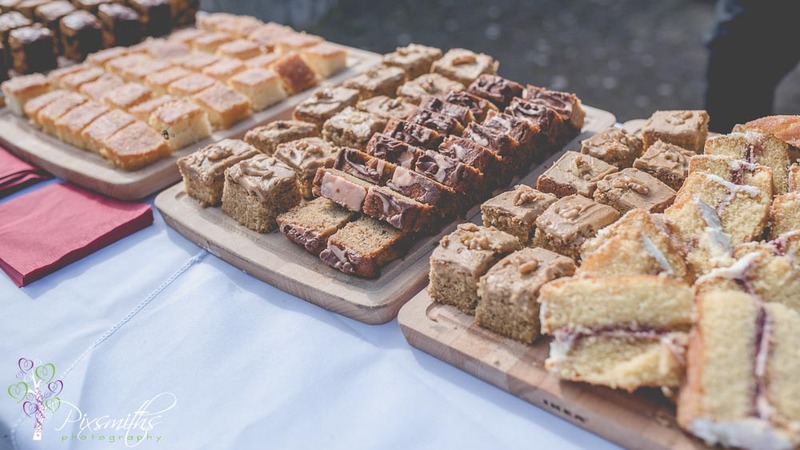 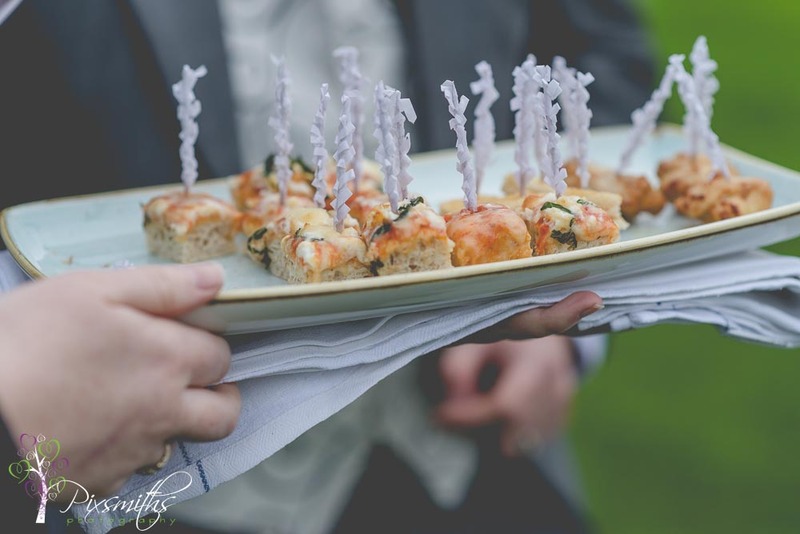 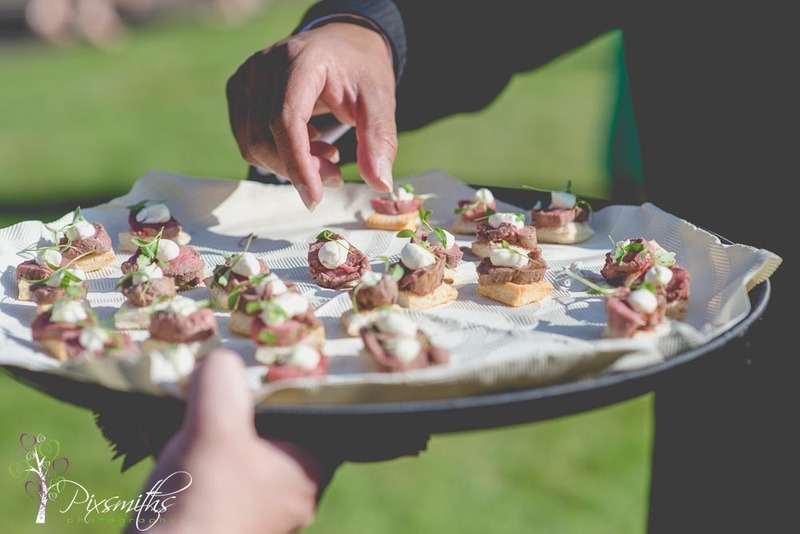 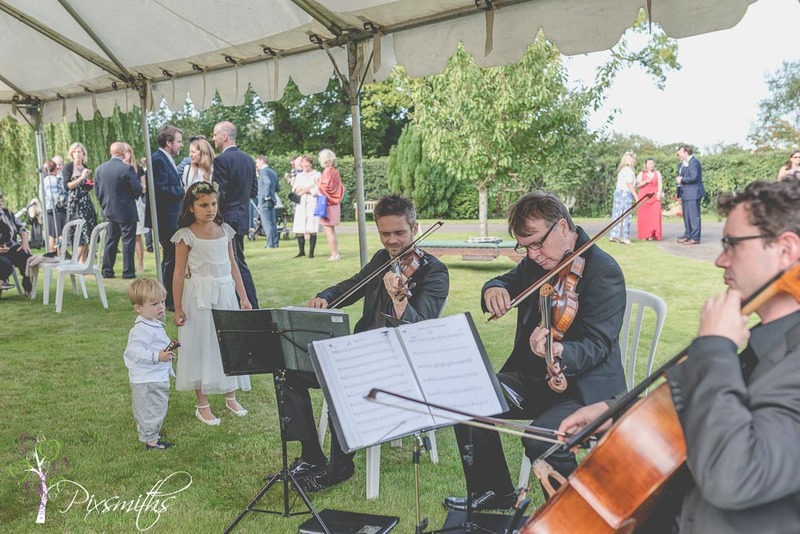 Wonderful home made cakes, prosecco and delicious canapés from Cheekychilli catering ensued on the lawn whilst the string quartet were playing. 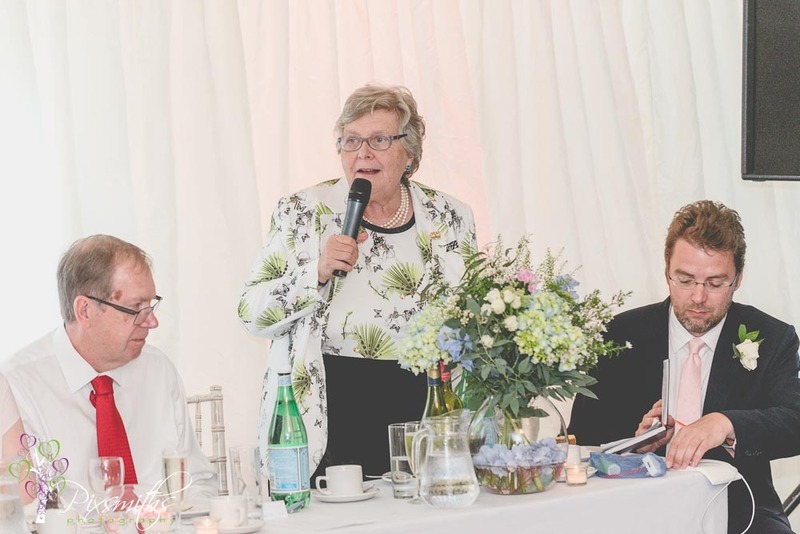 Guests were treated to a delicious meal and then followed the entertaining speeches. 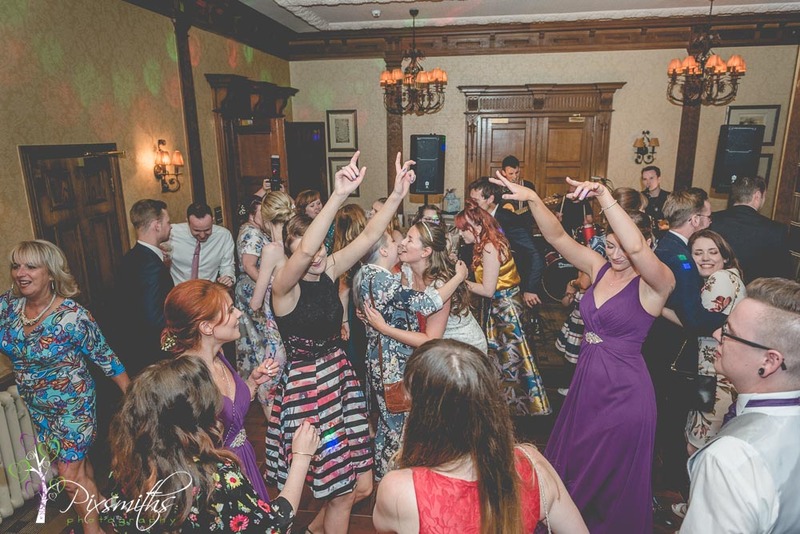 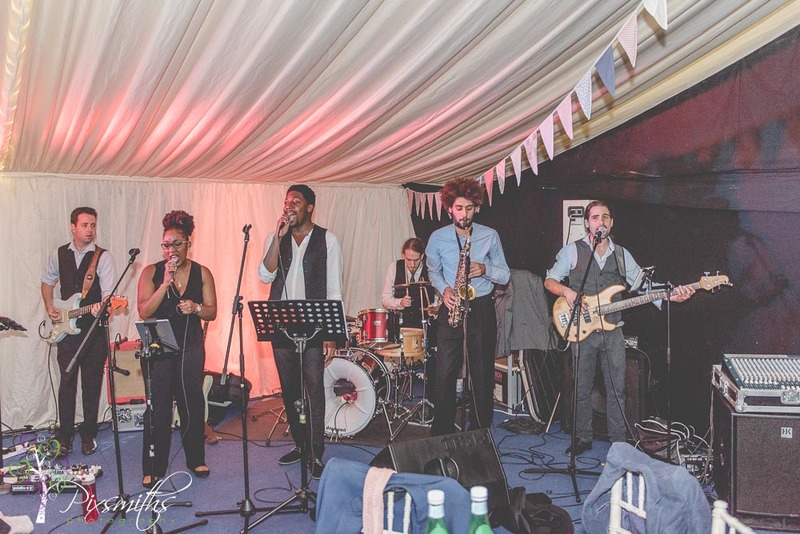 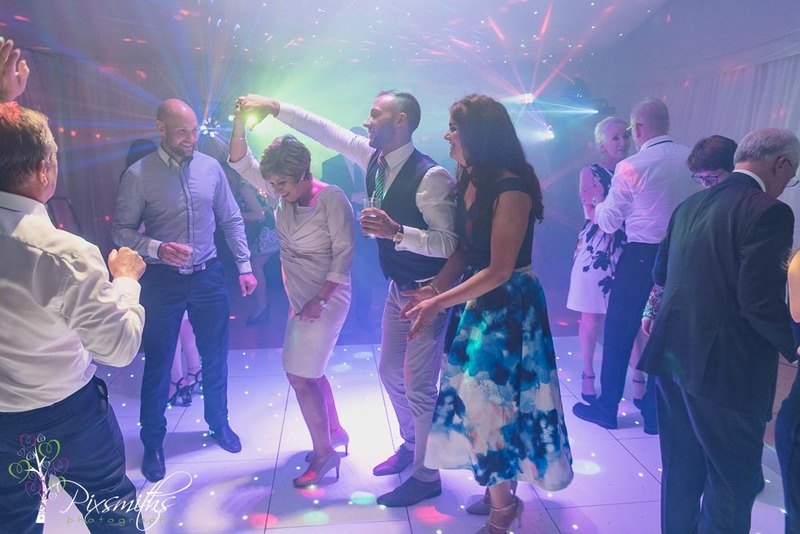 Evening party soon followed and another treat was the Motown Magic band (travelled all the way from Bristol) who were excellent and had the dance floor packed! 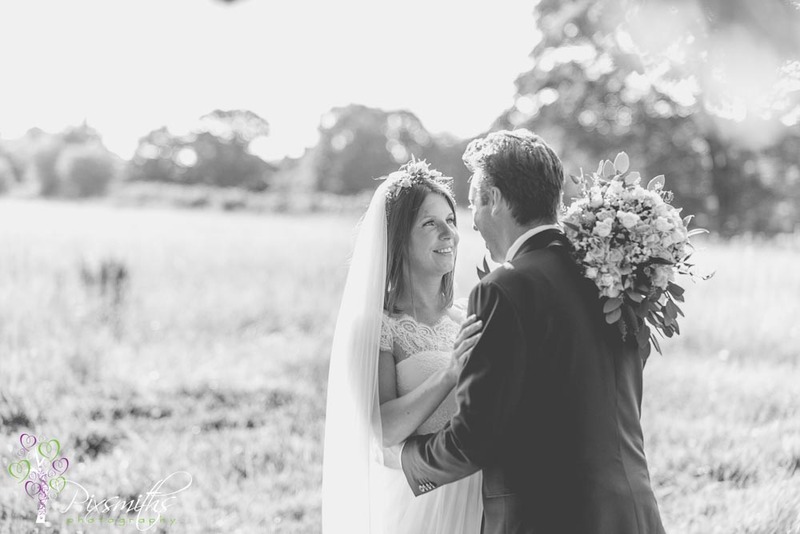 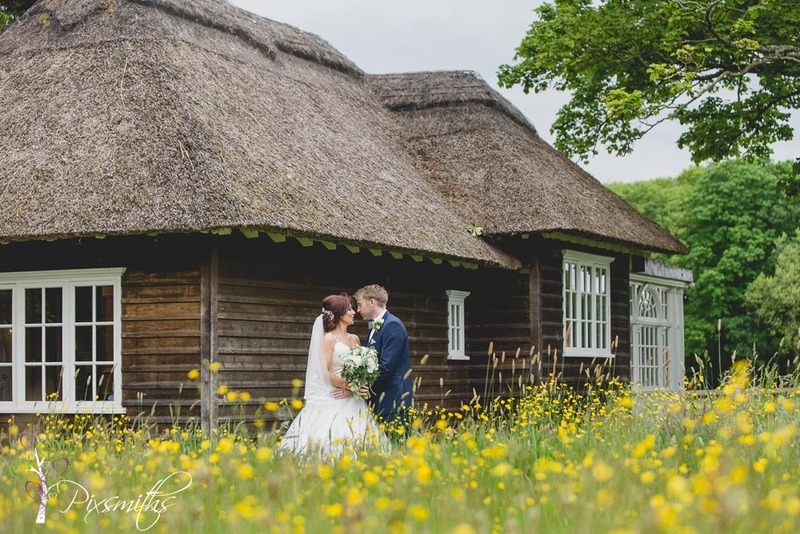 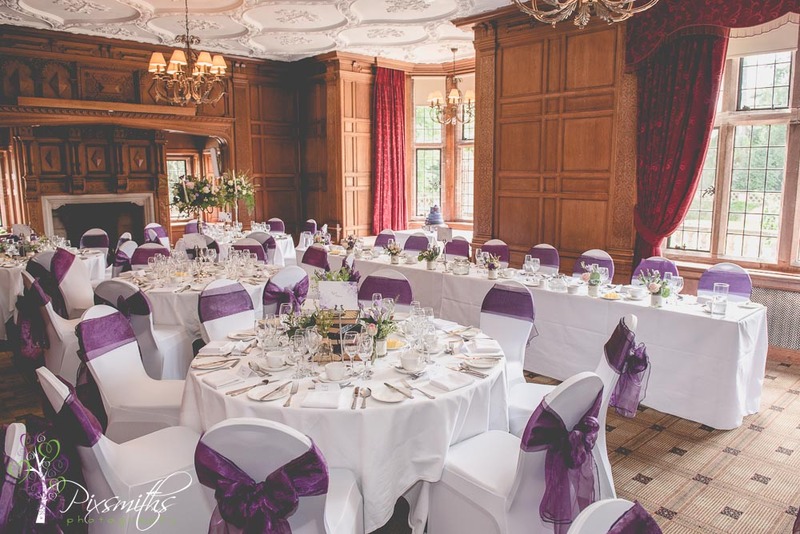 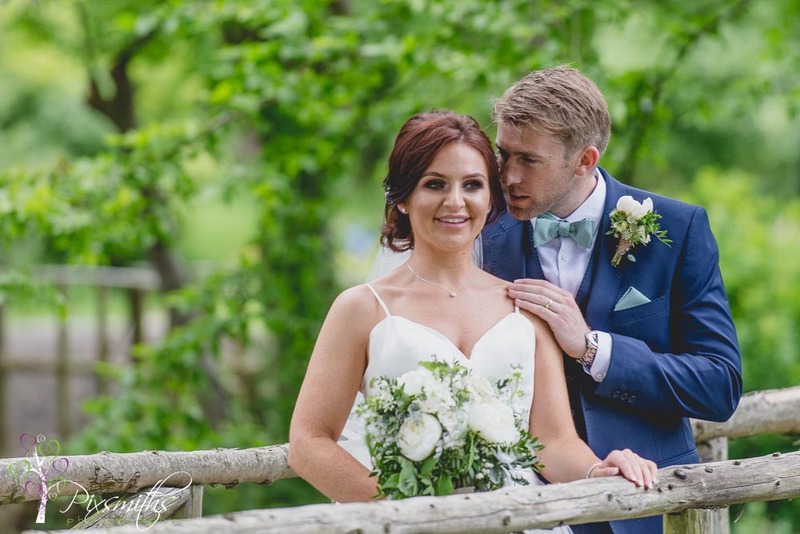 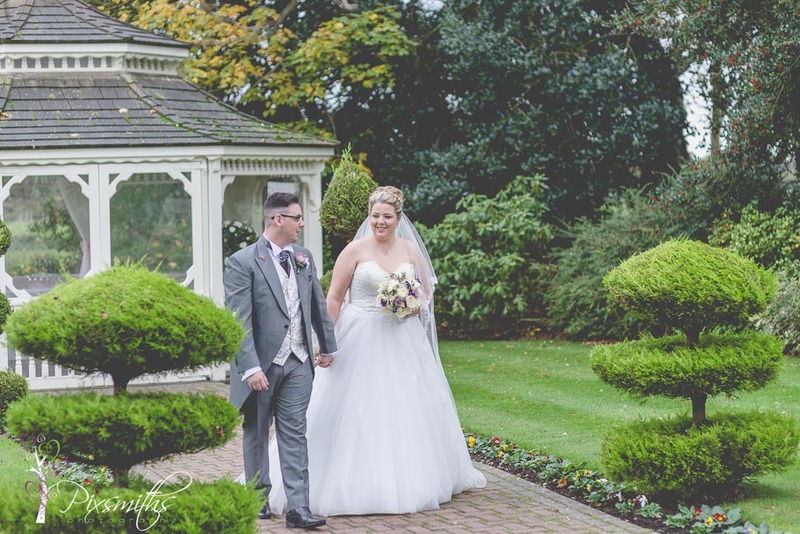 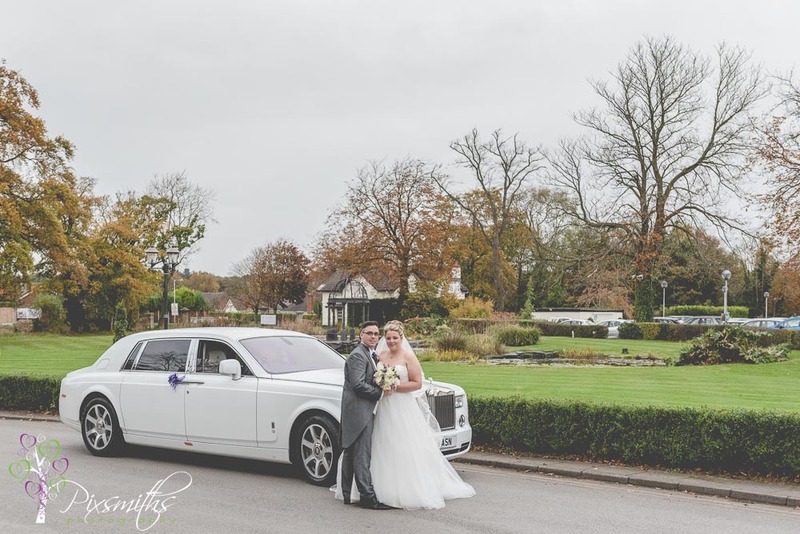 What a gorgeous Inglewood Manor Wedding day! 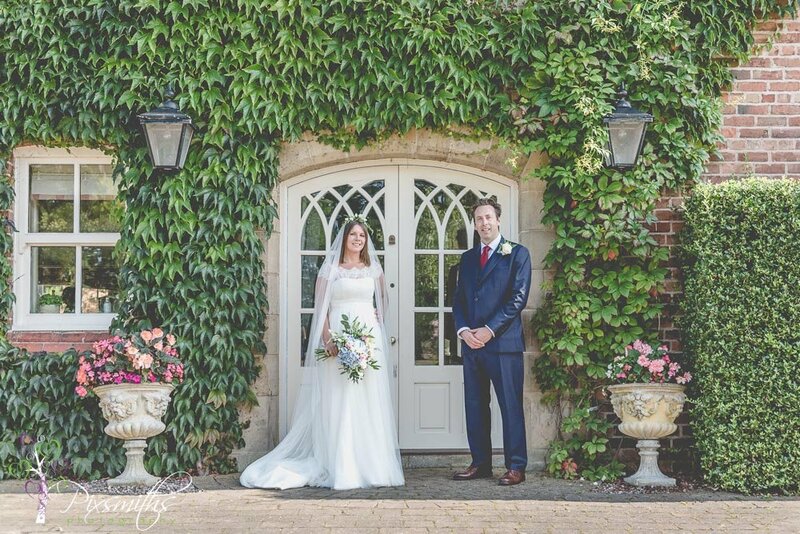 It’s always a delight to be an Inglewood Manor wedding photographer, it really is one of our favourite venues. 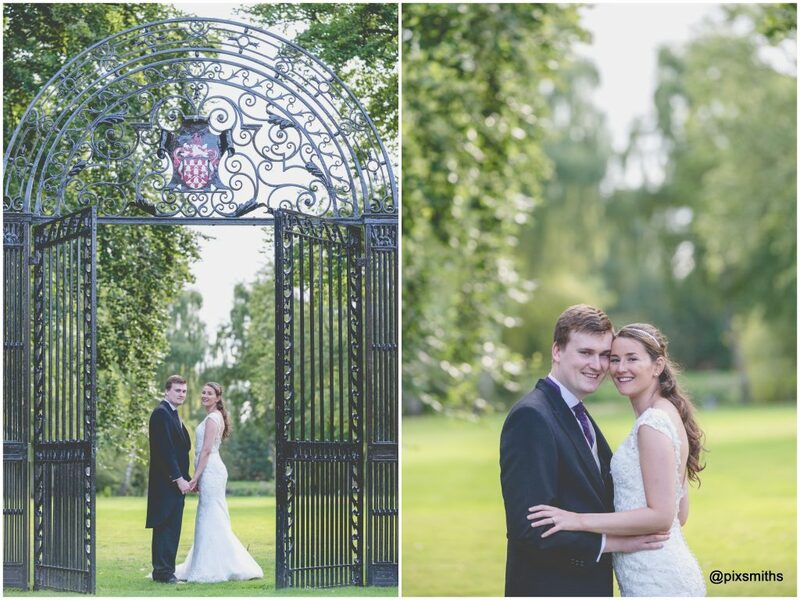 We have photographed here throughout the seasons. 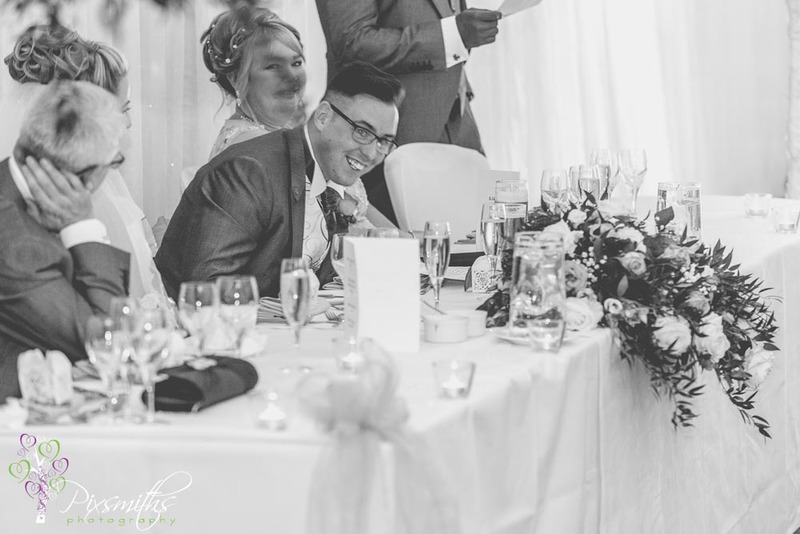 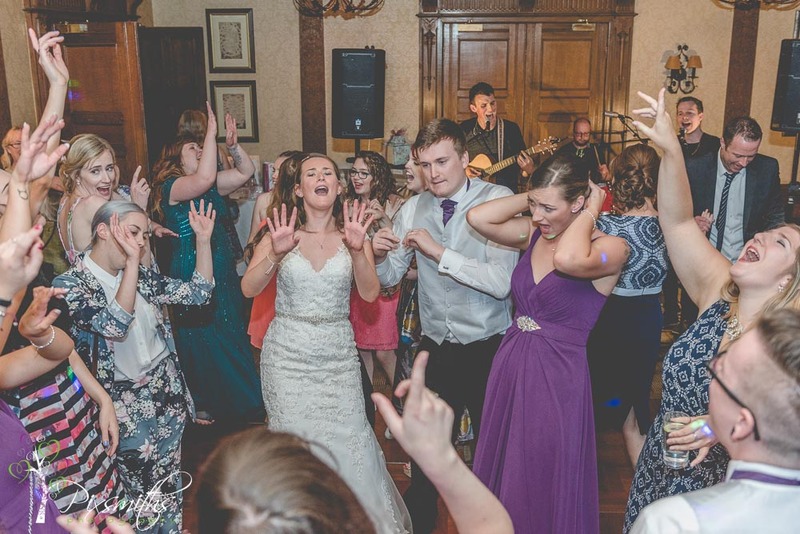 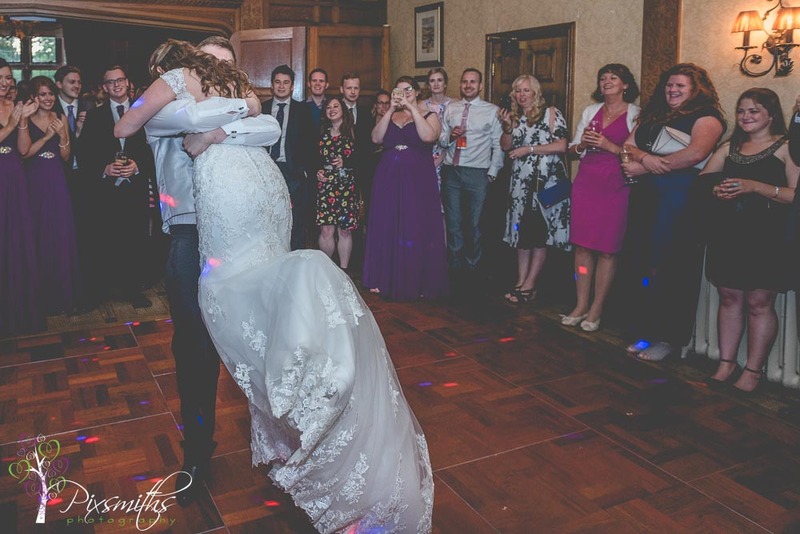 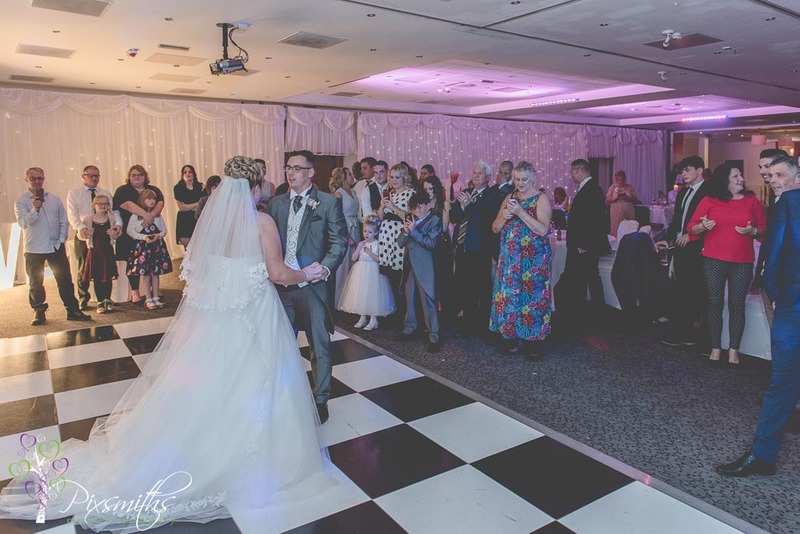 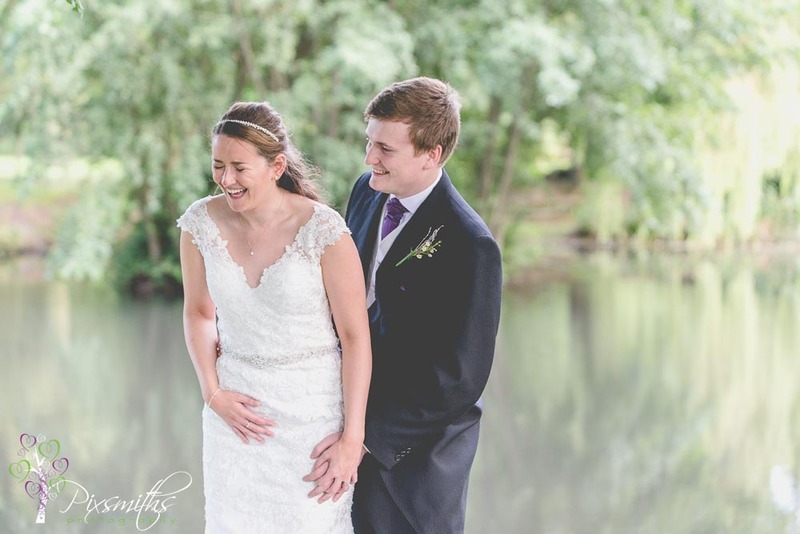 So we were delighted when Em and Josh asked us to cover their wedding day. 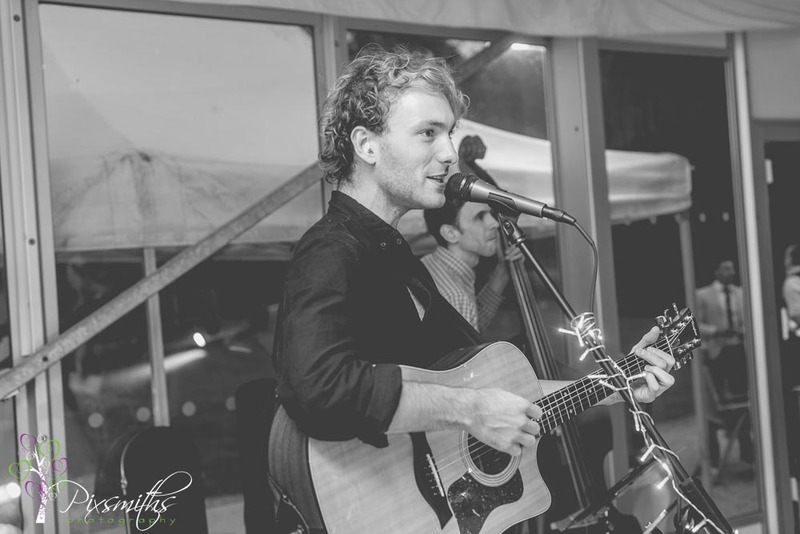 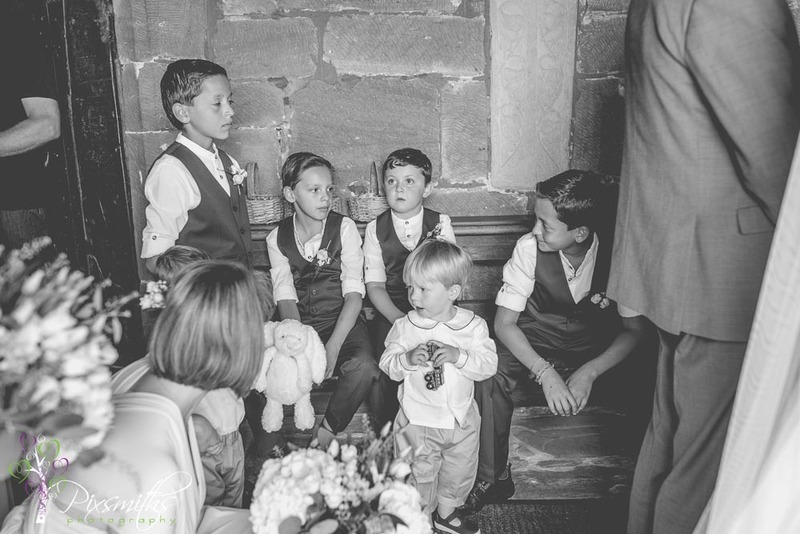 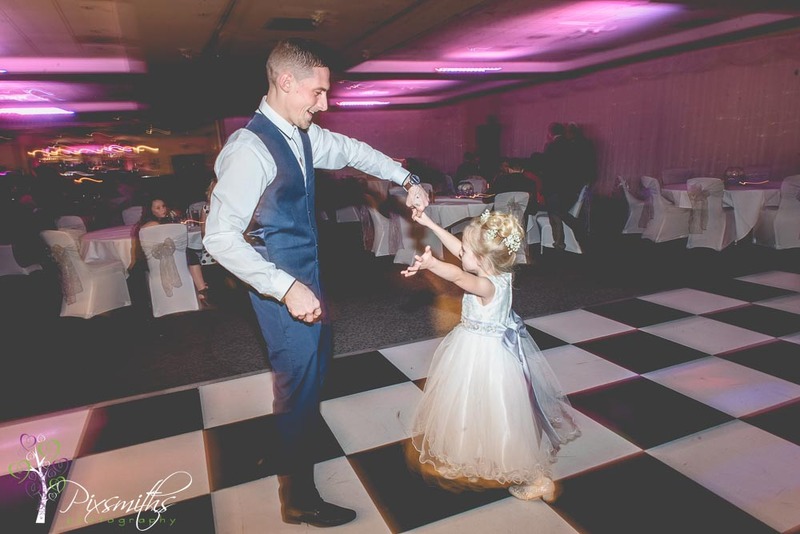 Josh was no stranger to us as we had covered his sisters wedding a few years ago so It was really enjoyable being with the families again. 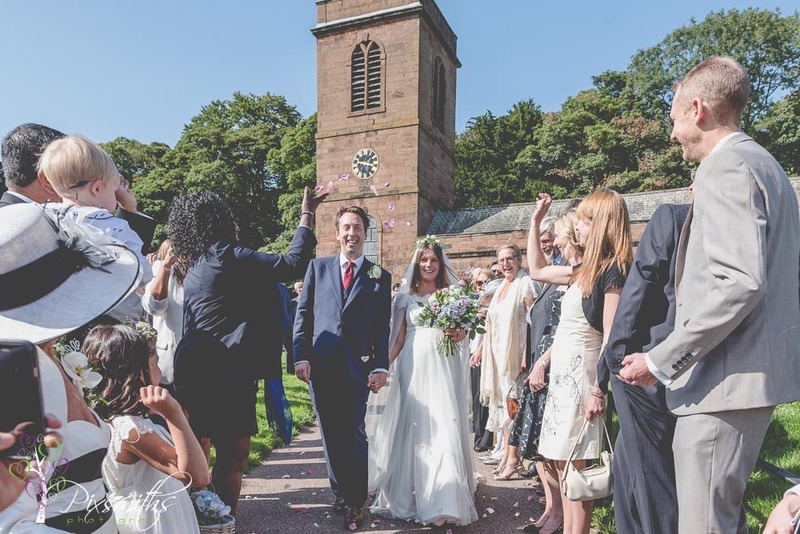 Ah and what a day Em and Josh had for their church wedding at St Peter’s lower Heswall and reception at Inglewood Manor too. 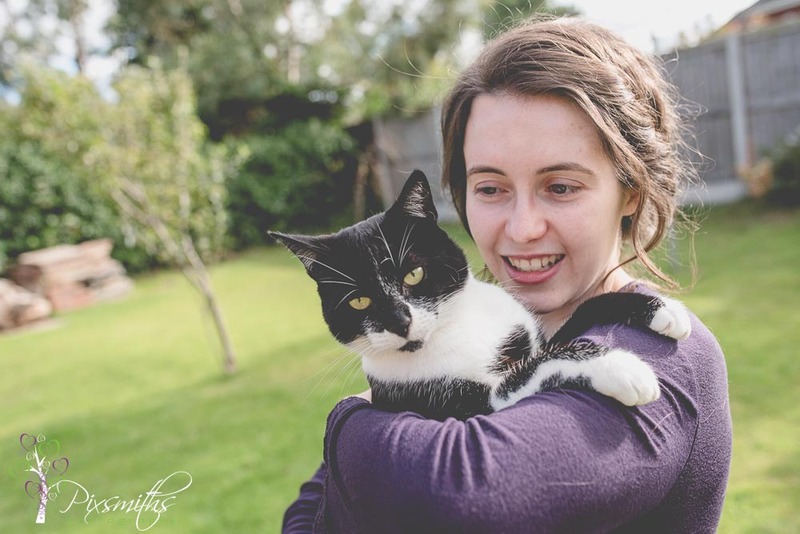 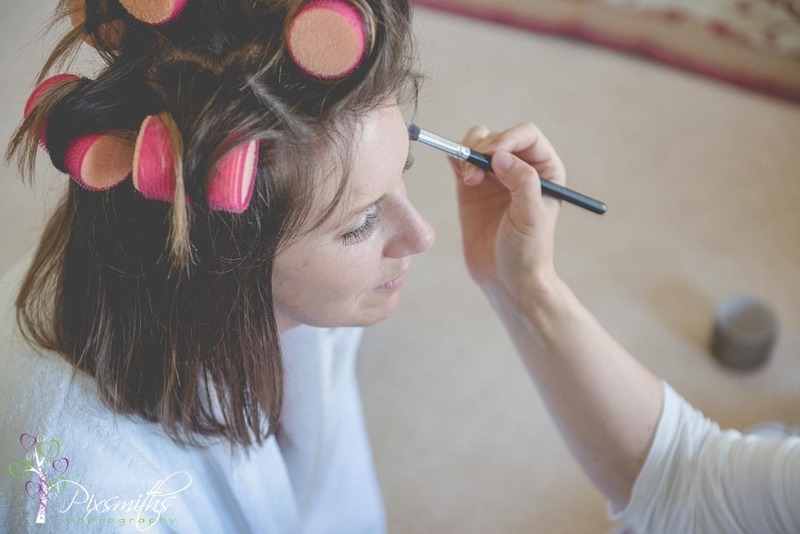 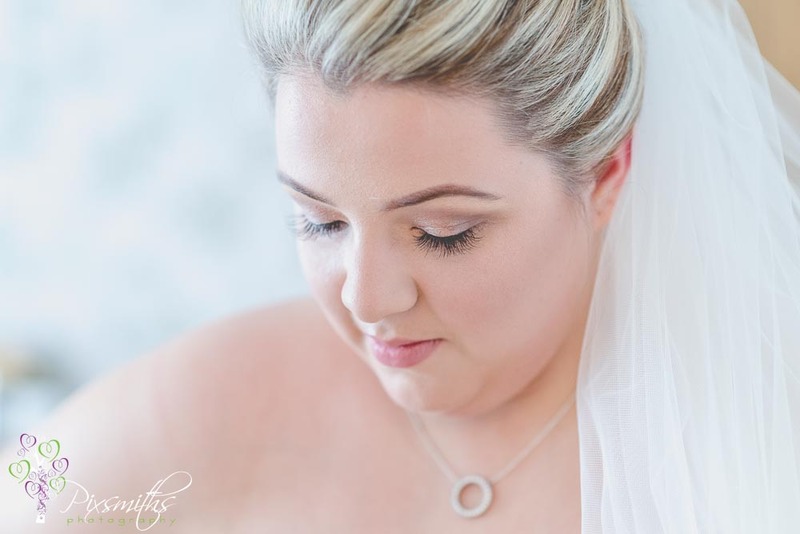 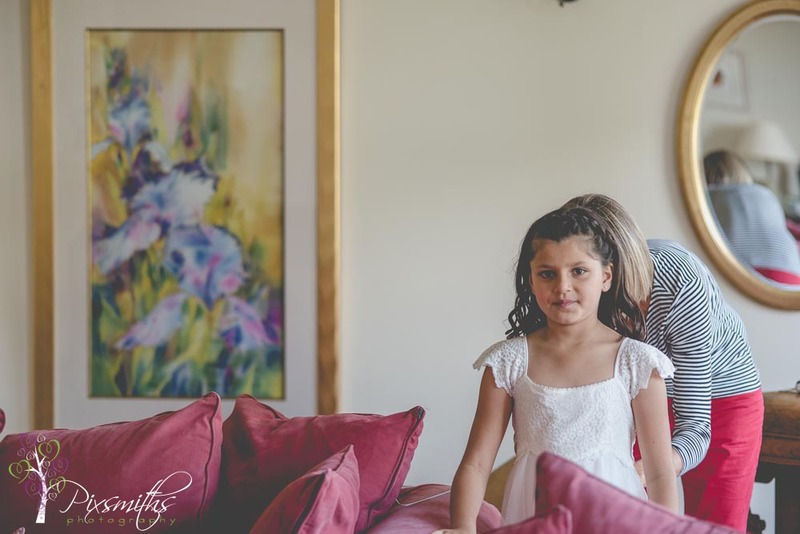 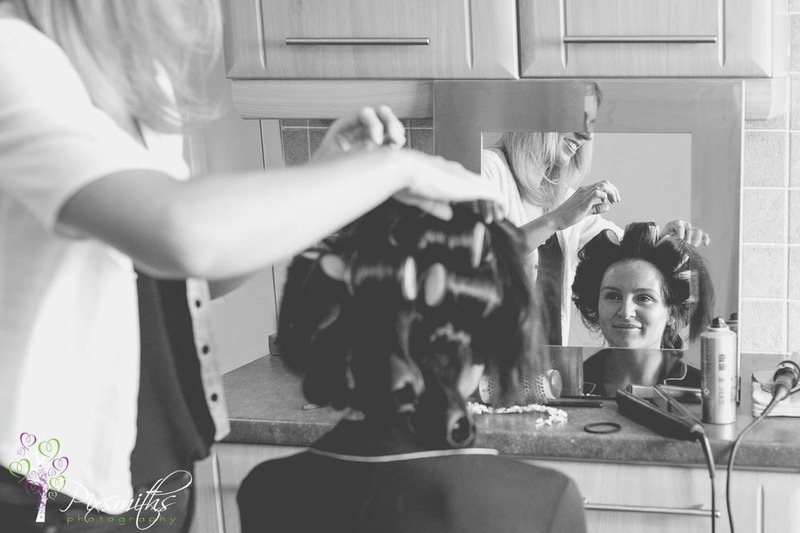 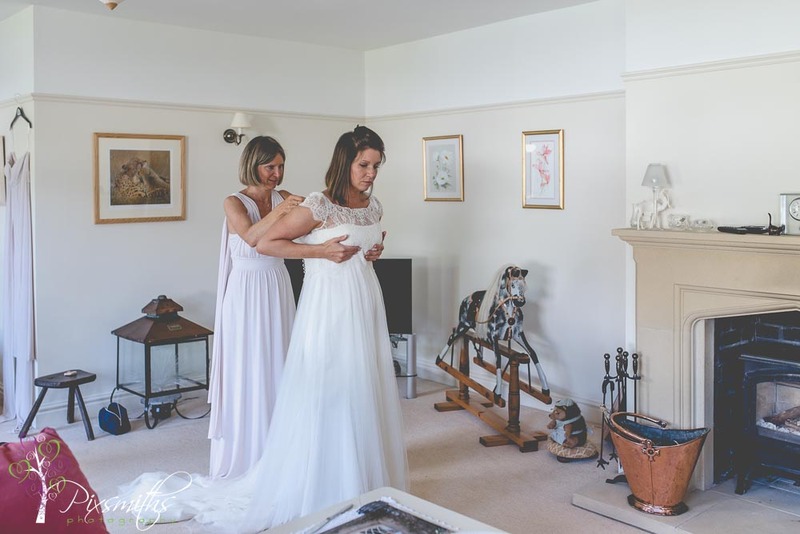 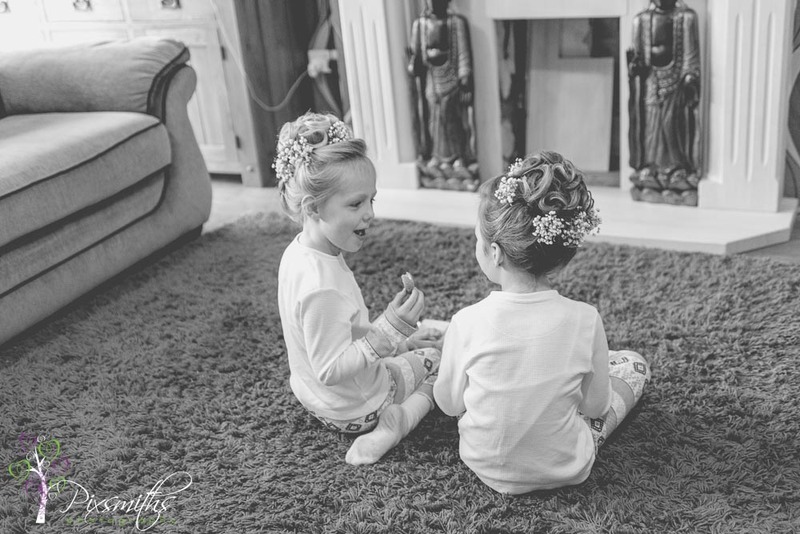 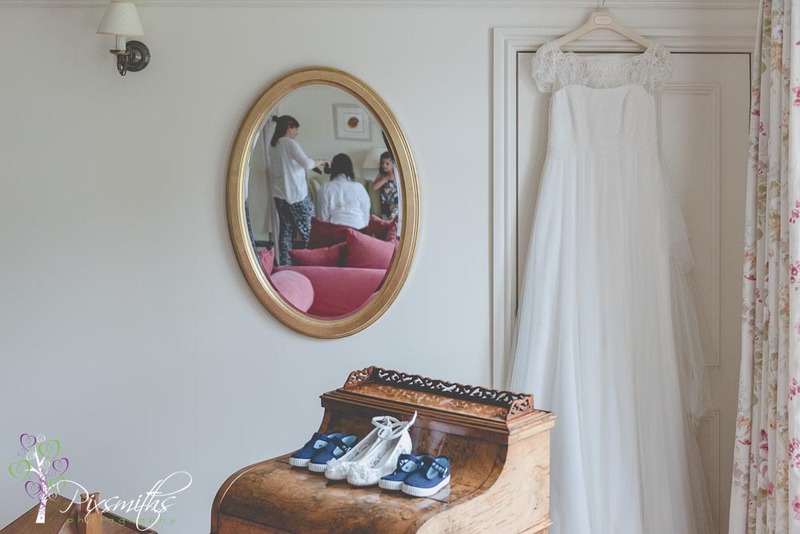 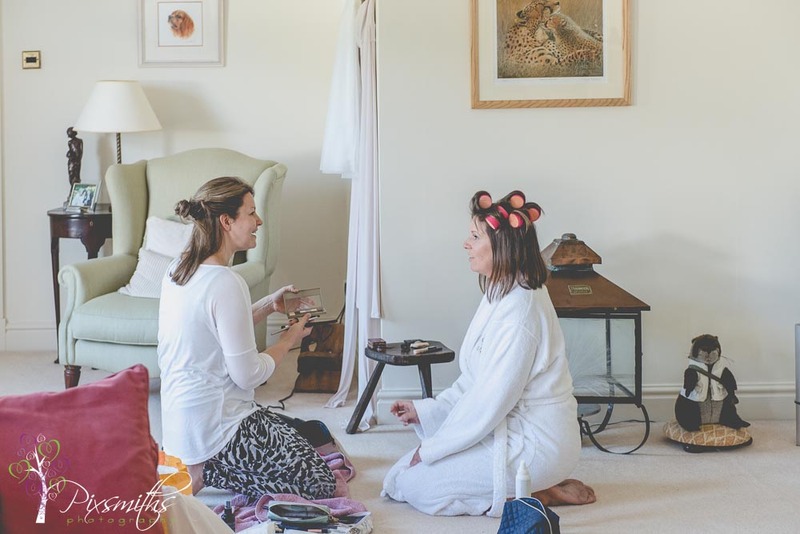 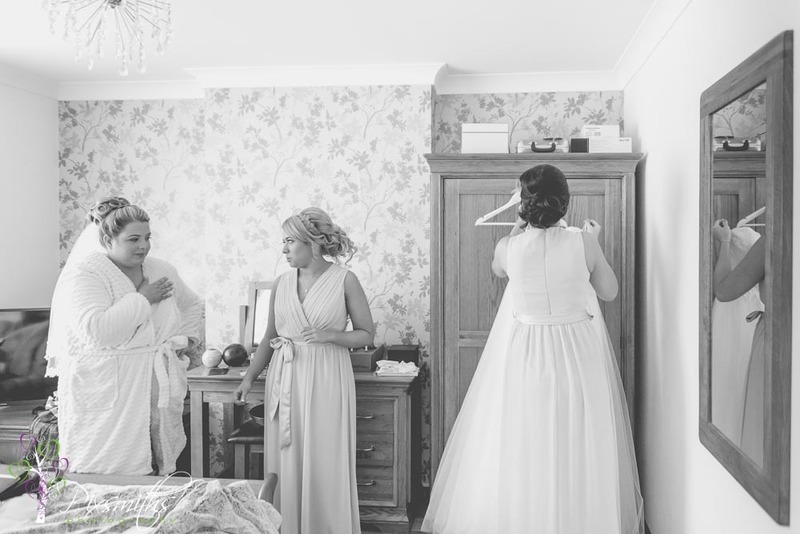 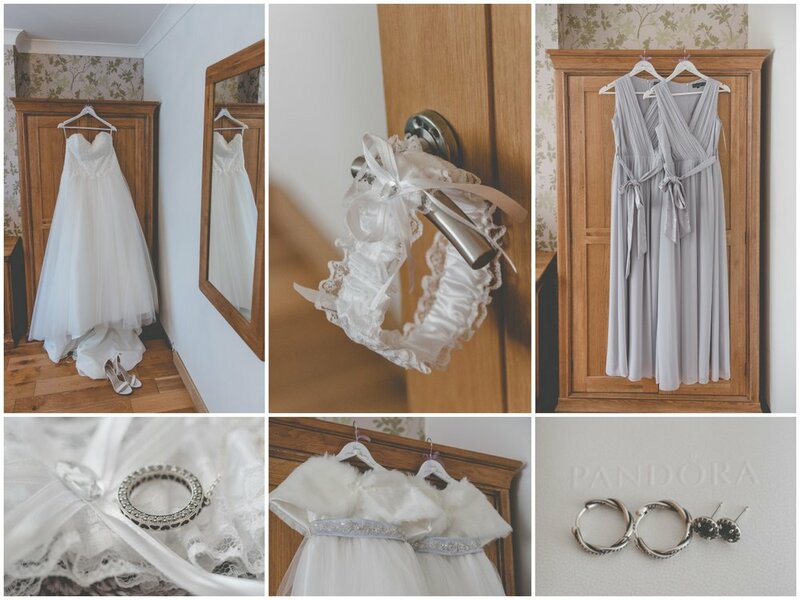 Relaxed bridal preps at Em’s parental home – and a gorgeous home too! 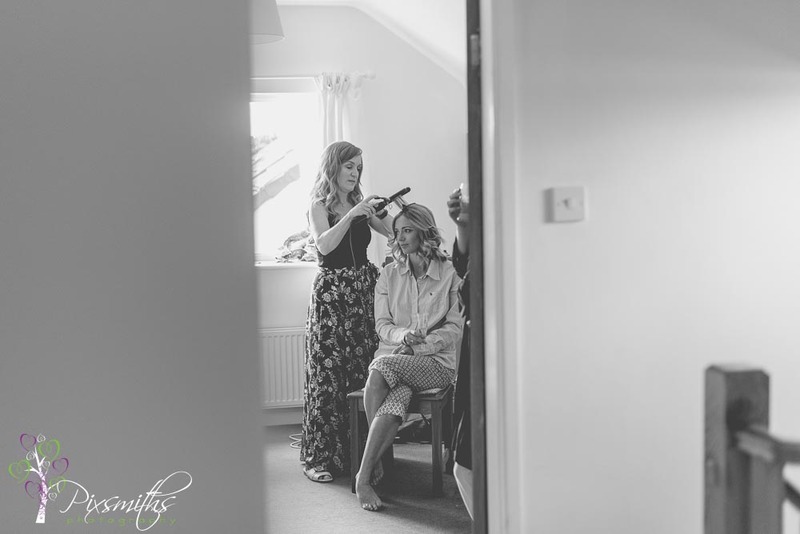 Plenty of space for all the getting ready and details. 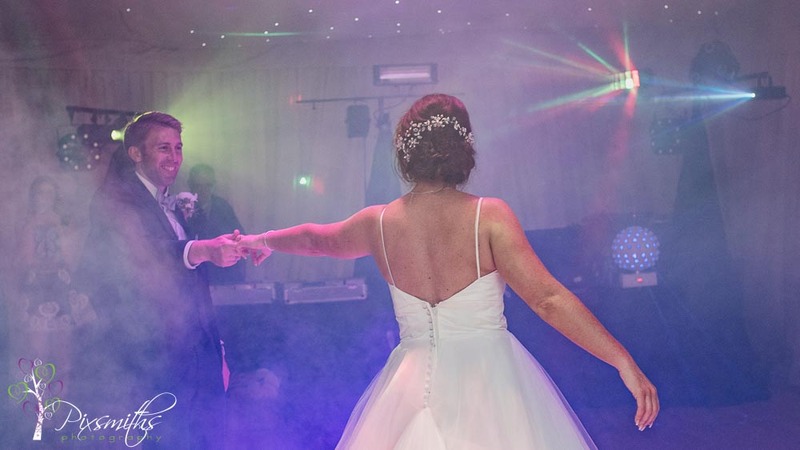 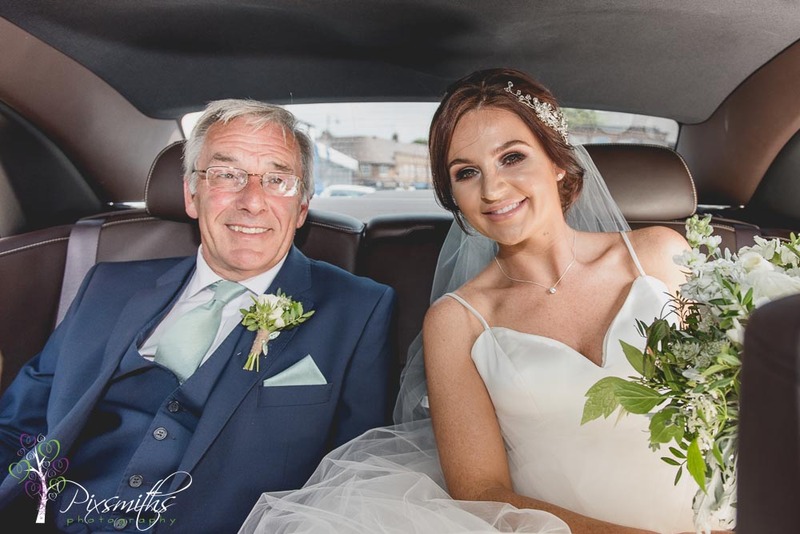 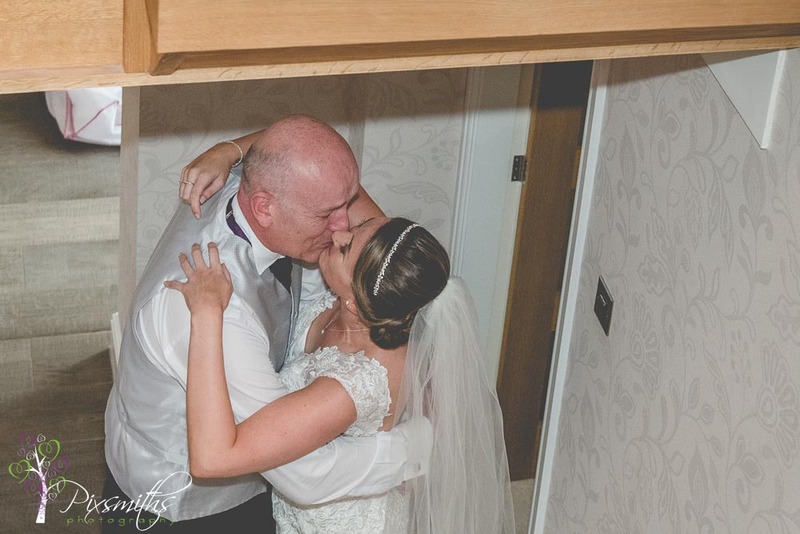 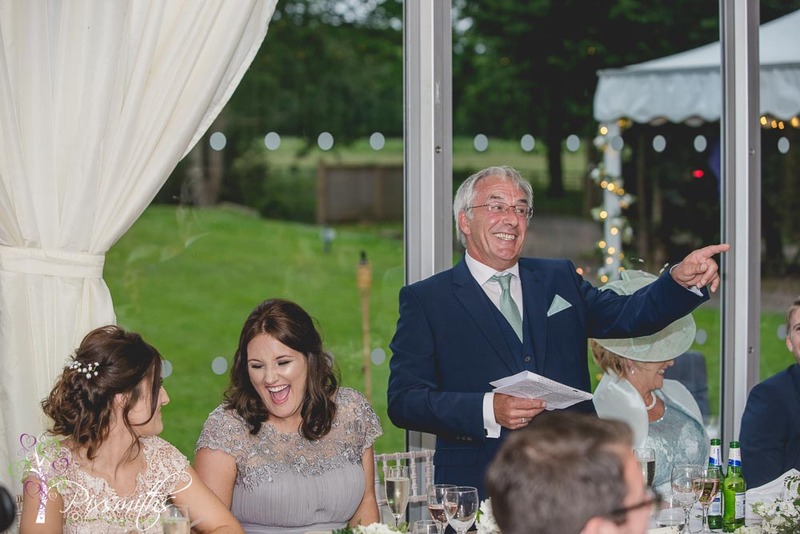 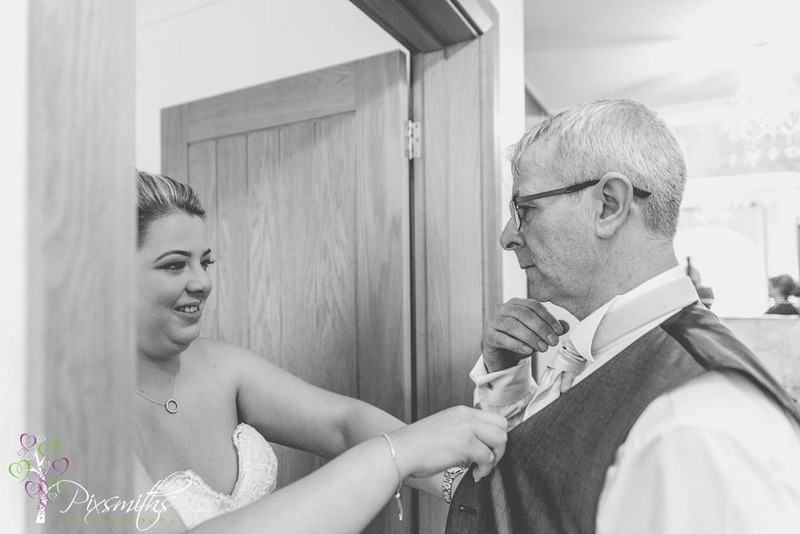 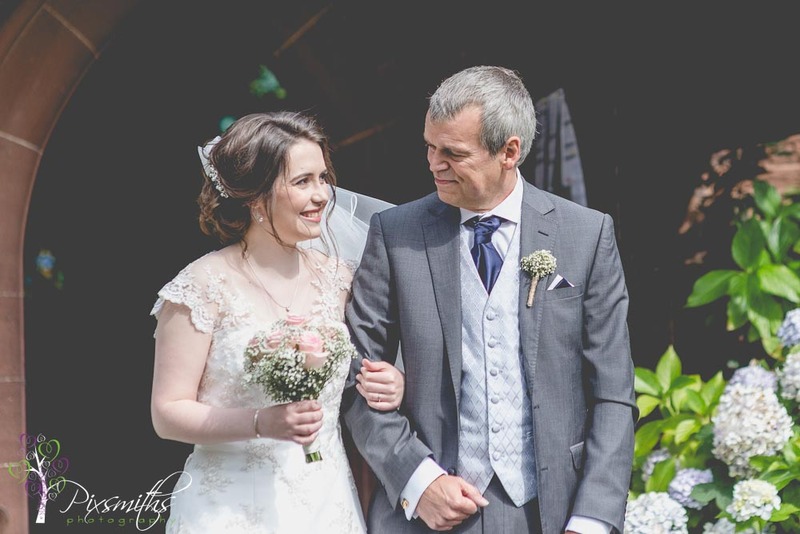 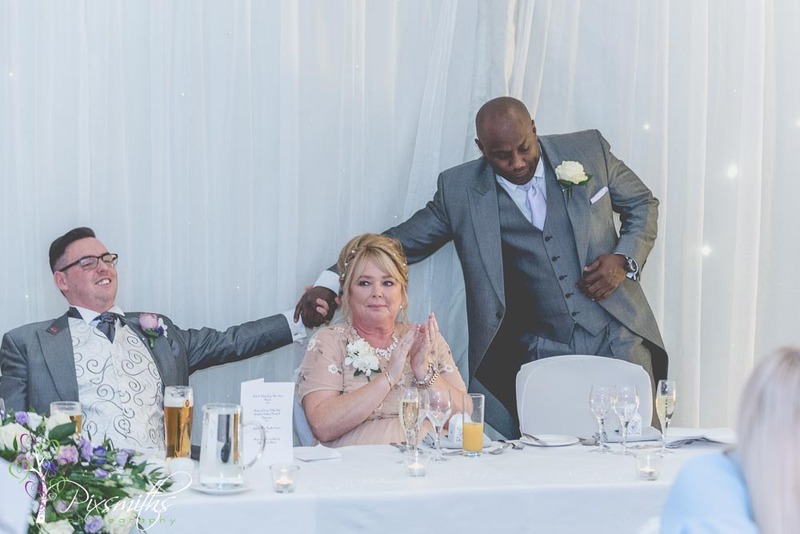 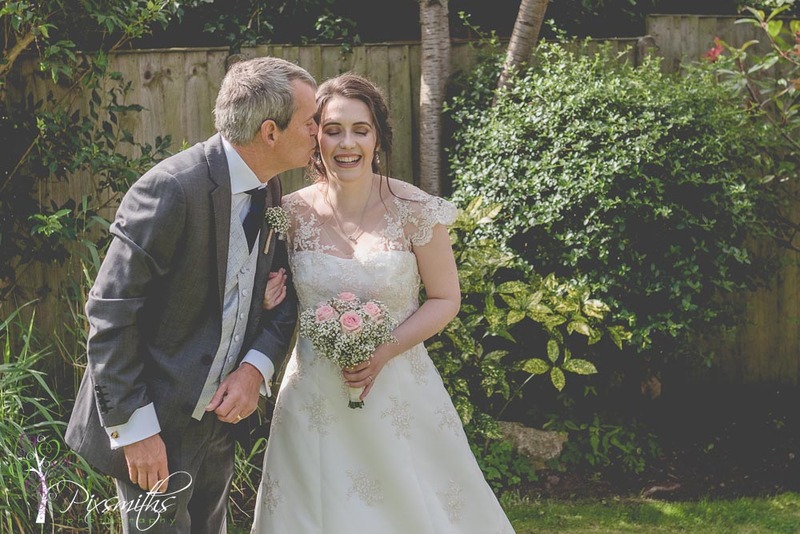 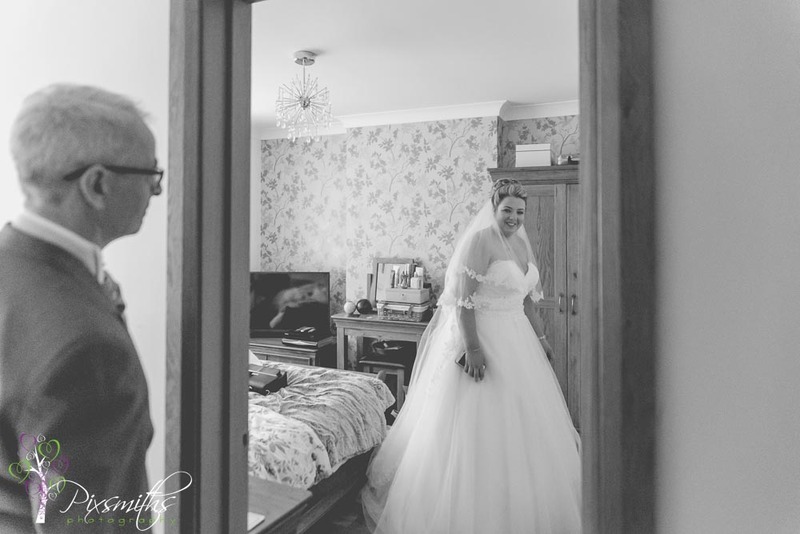 Dad and bride really quite emotional when the reveal happened, tugged at our heart strings! 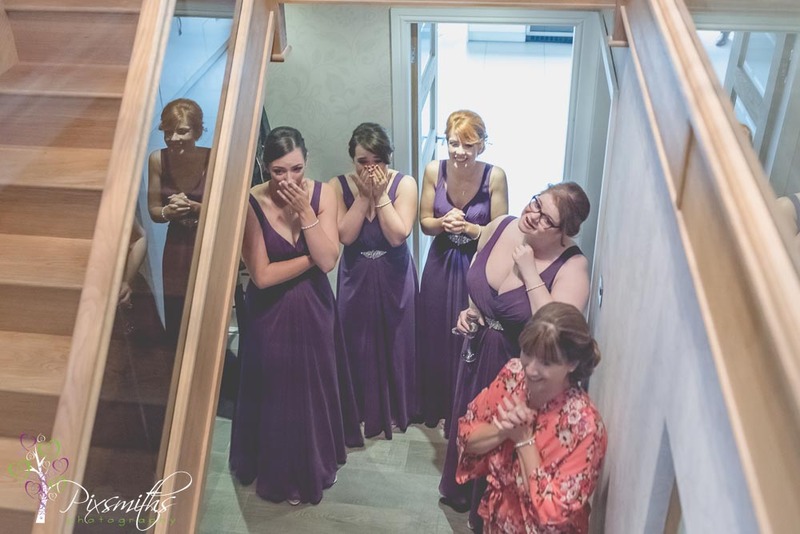 Think the bridesmaids and mum had quite a moment too! 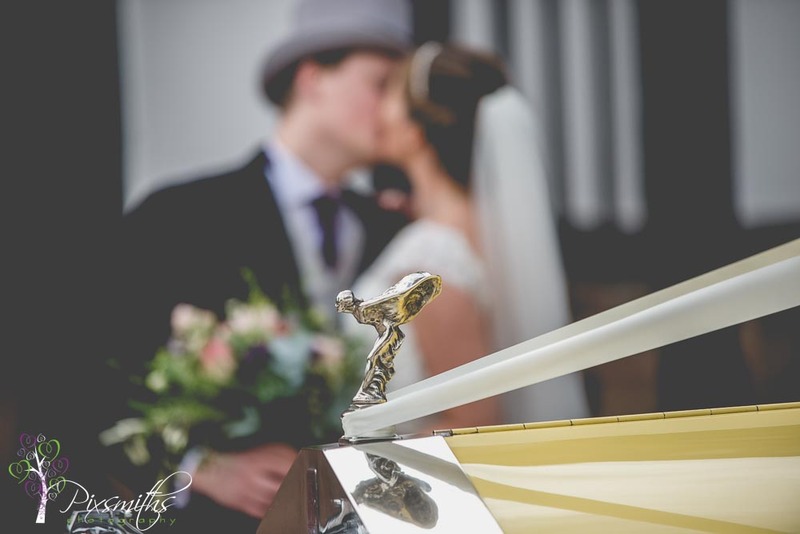 A bit of rain on arrival at St Peter’s in a beautiful yellow Rolls Royce – such a sunny yellow. 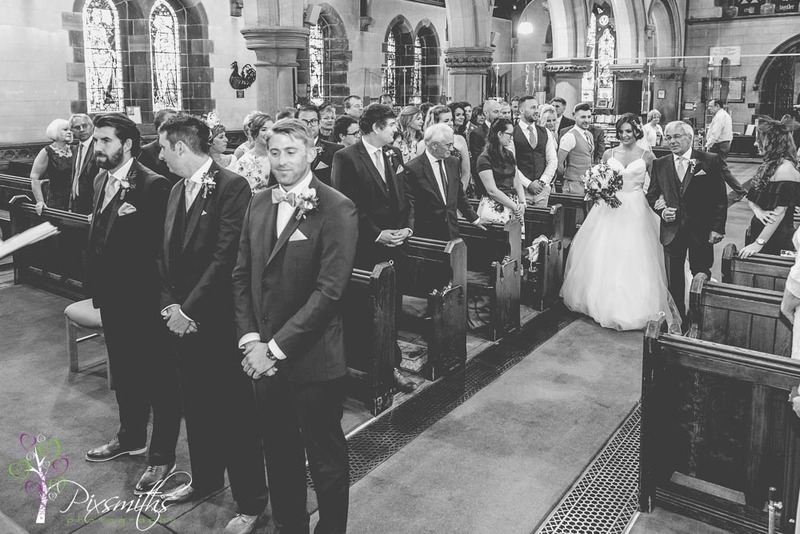 The ceremony was uplifting and joyous with the worship songs and message from their own church pastor. 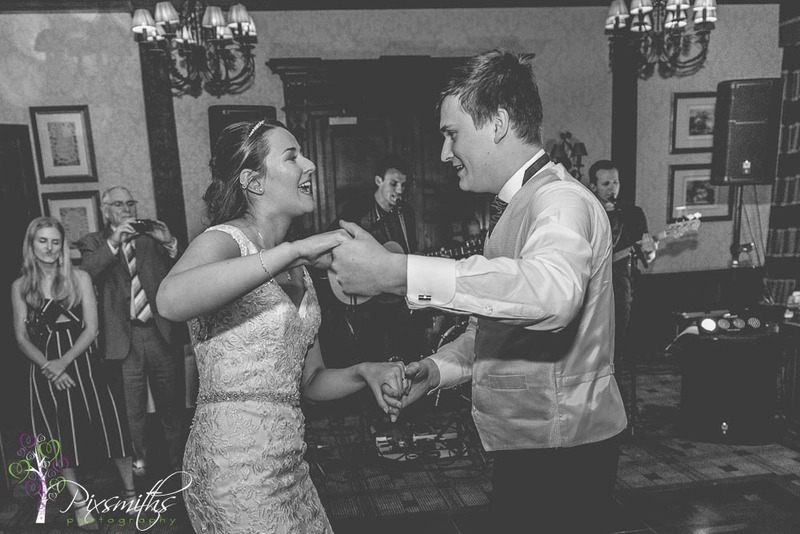 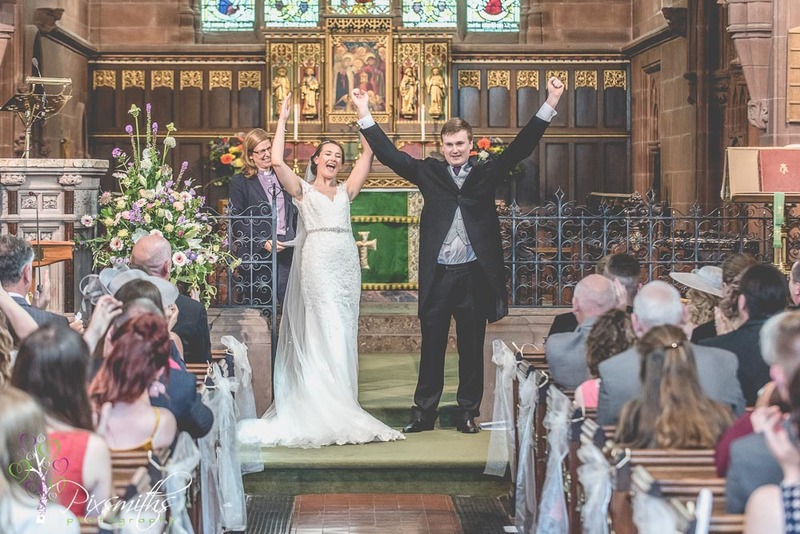 So may humorous moments to capture – not least the cheering and uplifting of arms when pronounced man and wife. 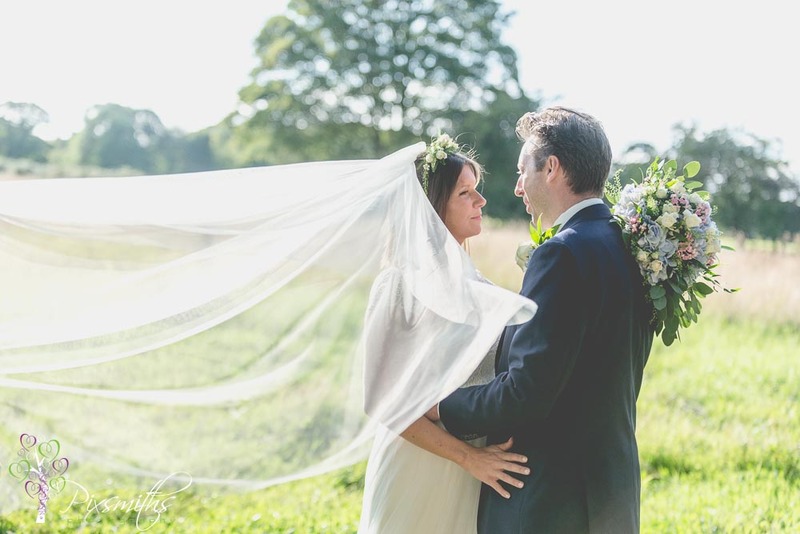 Soon it was out to the sunshine and a light breeze to aid the natural veil shots! 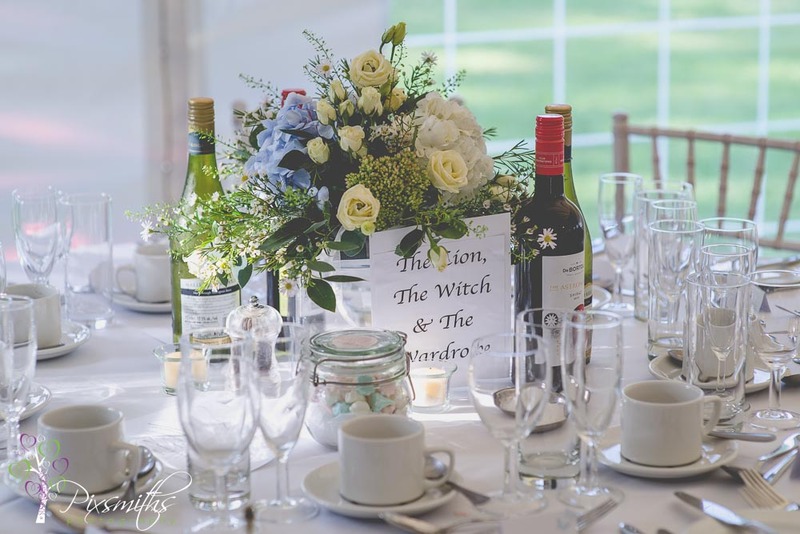 Em is an English teacher and favourite literature provided the theme at Inglewood Manor with the table settings. 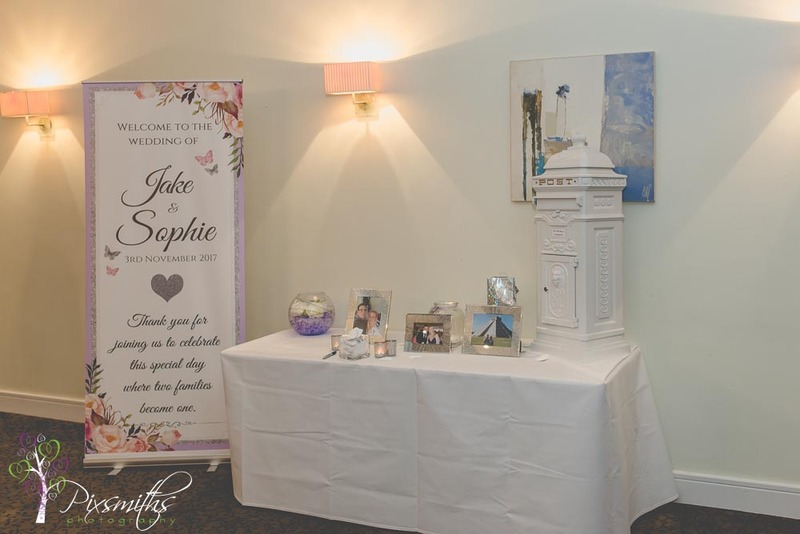 The wording on the stunning cake and favourite quotes strung up on the stair railings outside added to teh theme. 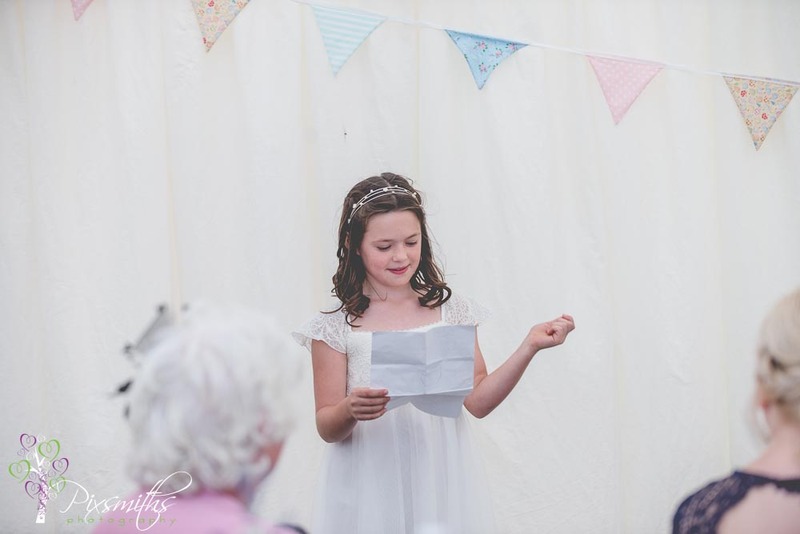 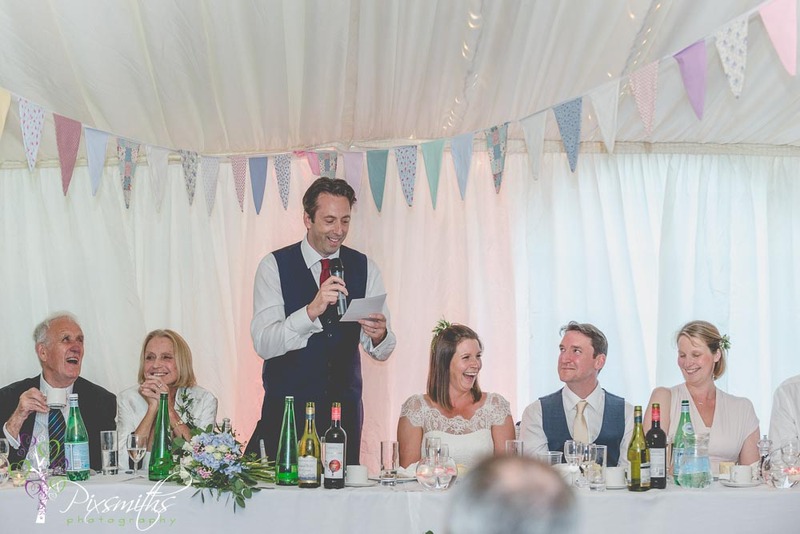 The speeches were really entertaining – especially when Em was asked 3 memory questions, had the guests in stitches! 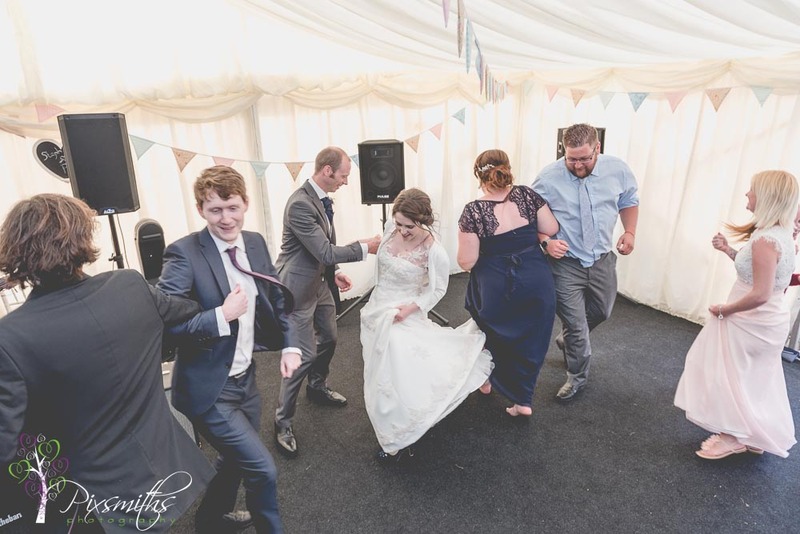 Their band Stanley Park had the dance floor rocking from the off. 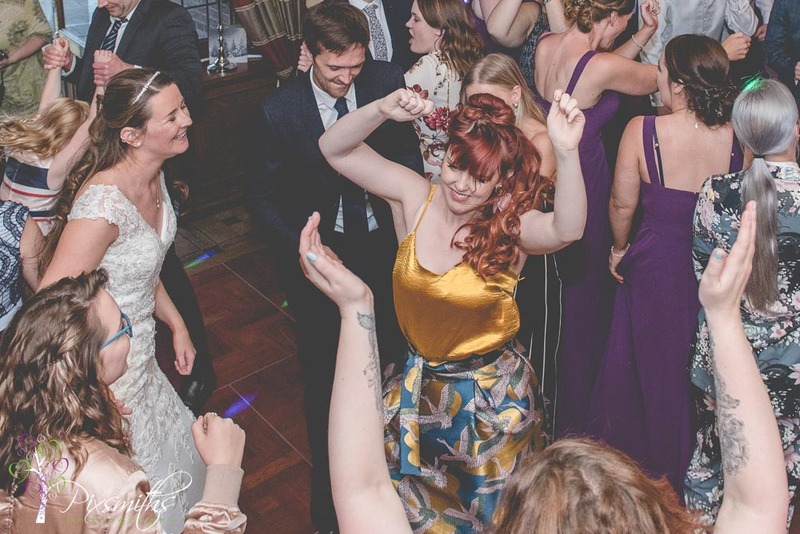 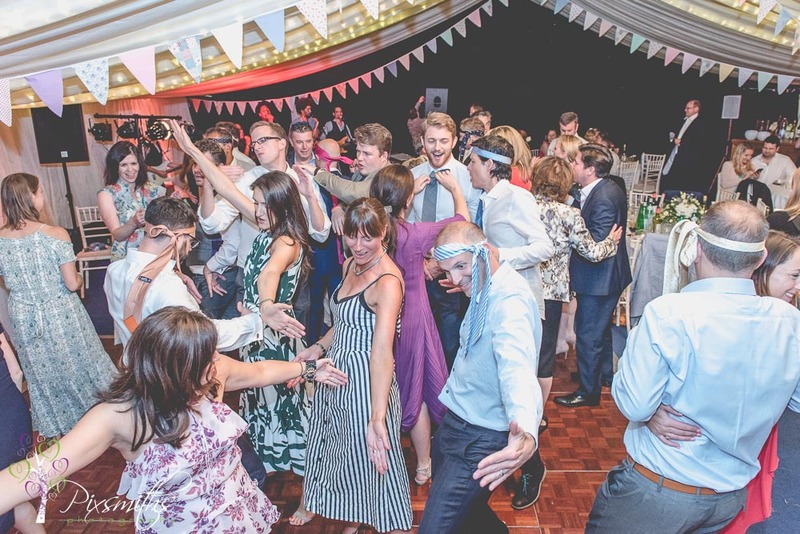 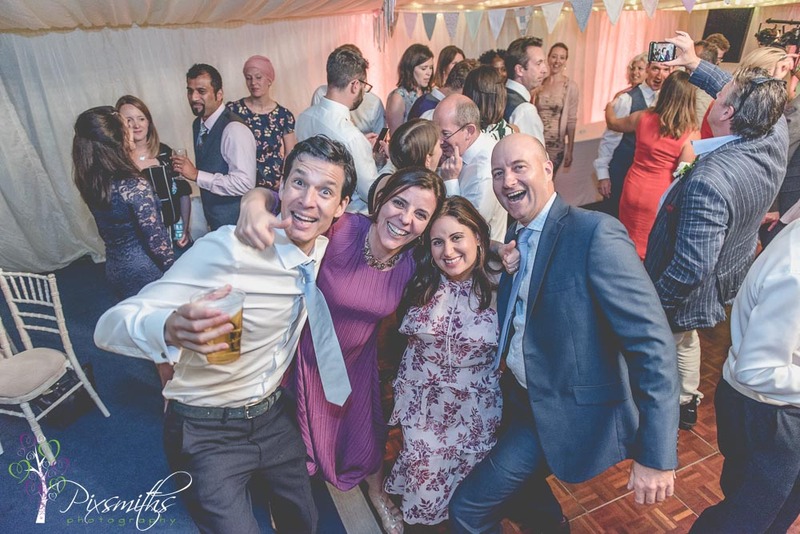 Em and Josh’s friends really enjoy a great party and it certainly was! 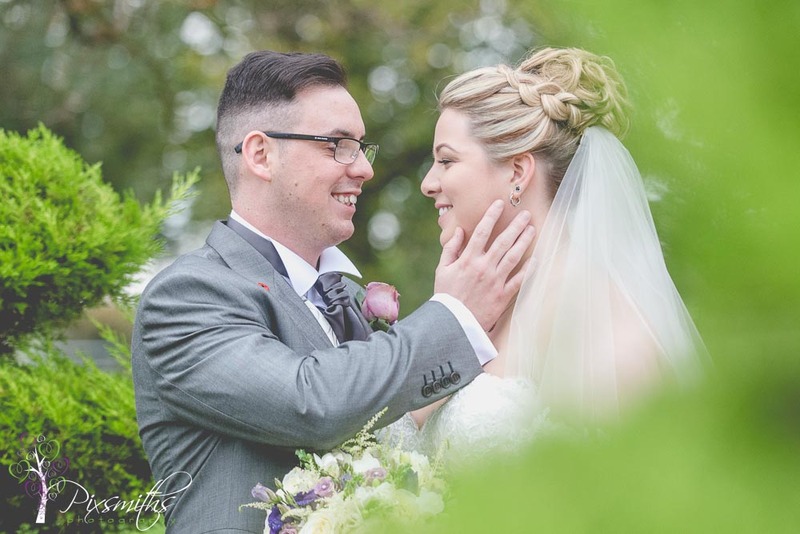 Thank you both for such an amazing day to capture for you Really hope you enjoy these highlights. 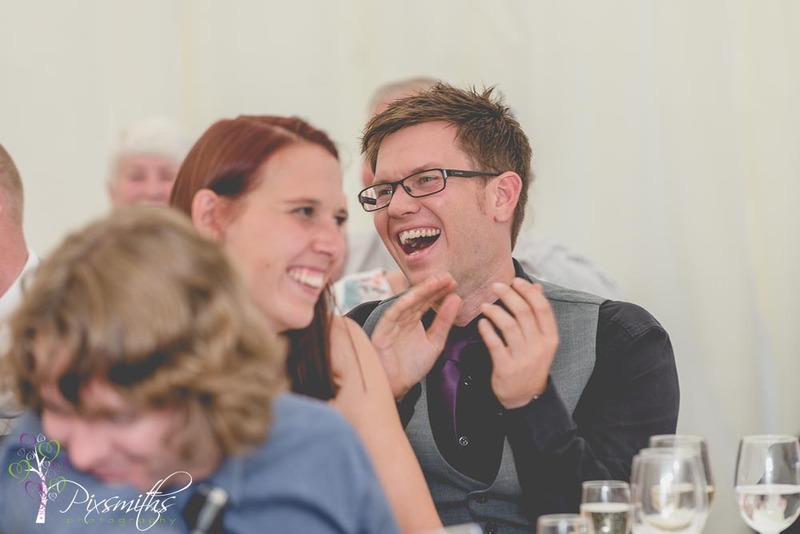 Thank you for all the giggles and joy shared. 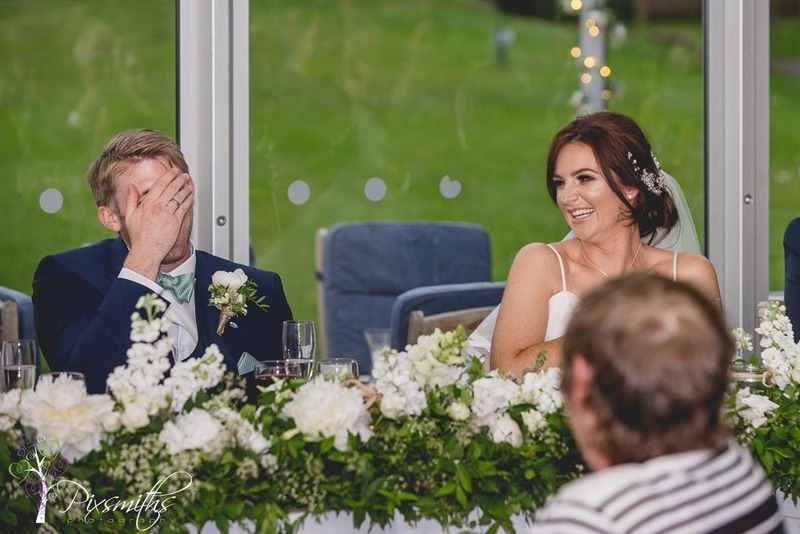 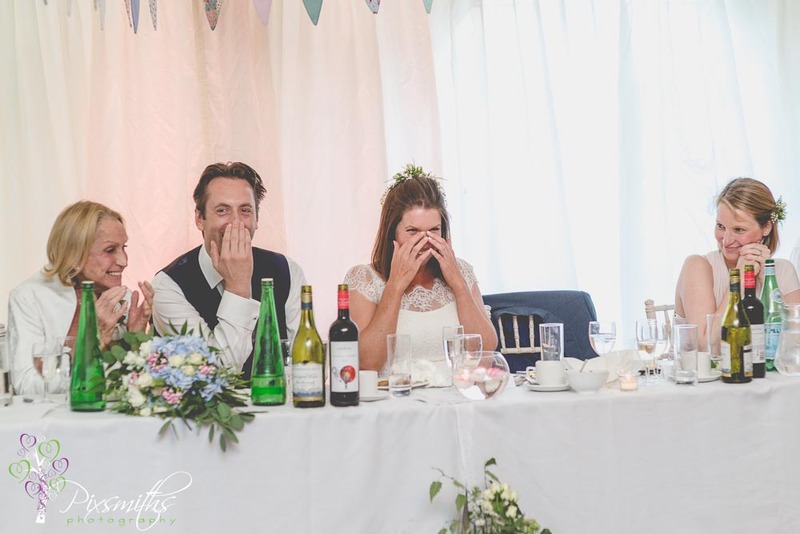 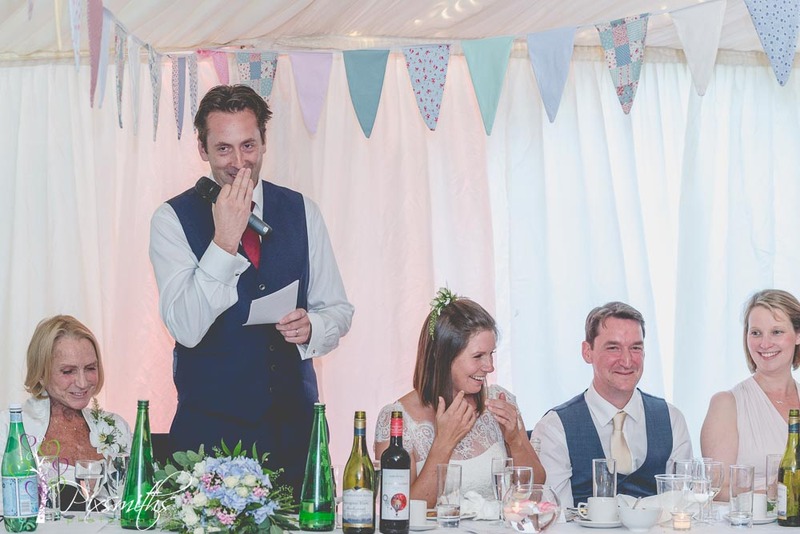 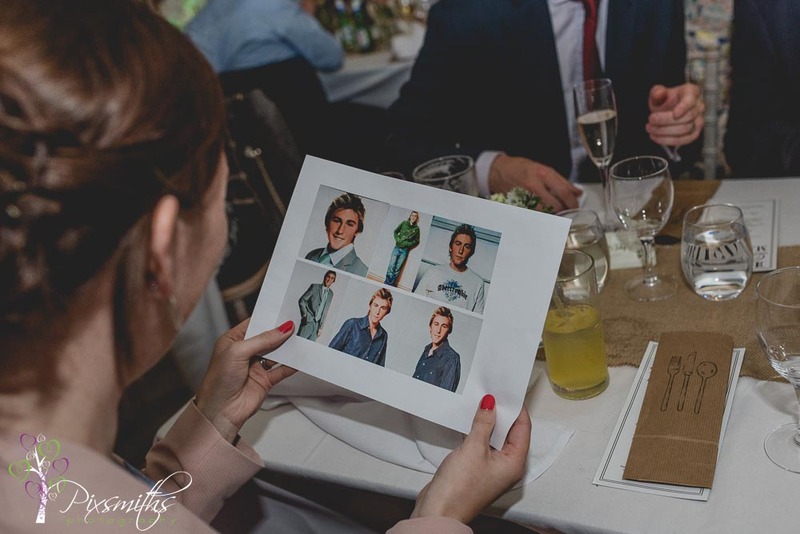 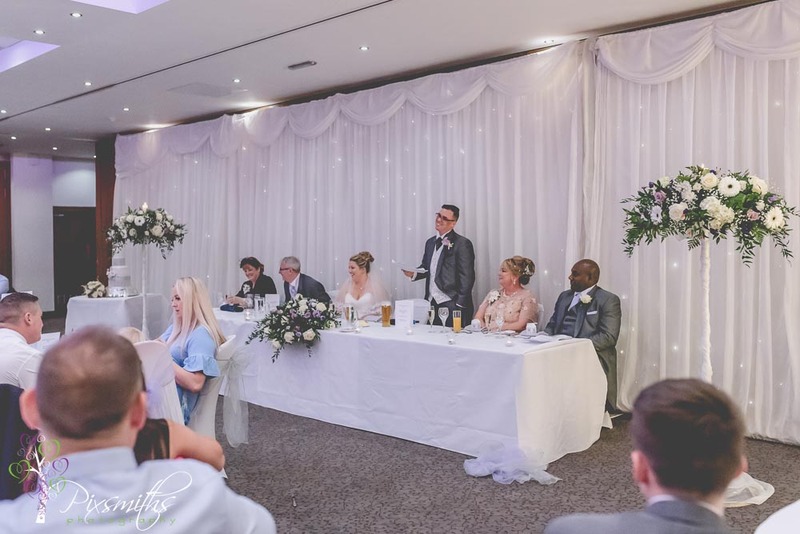 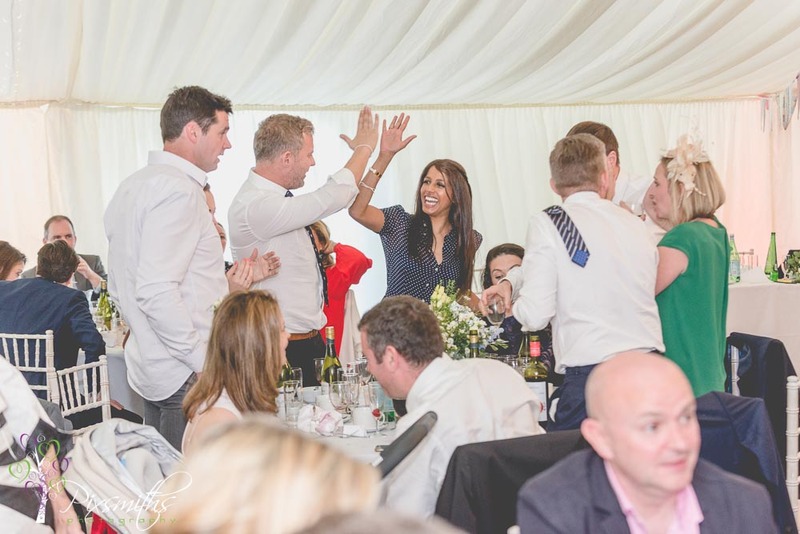 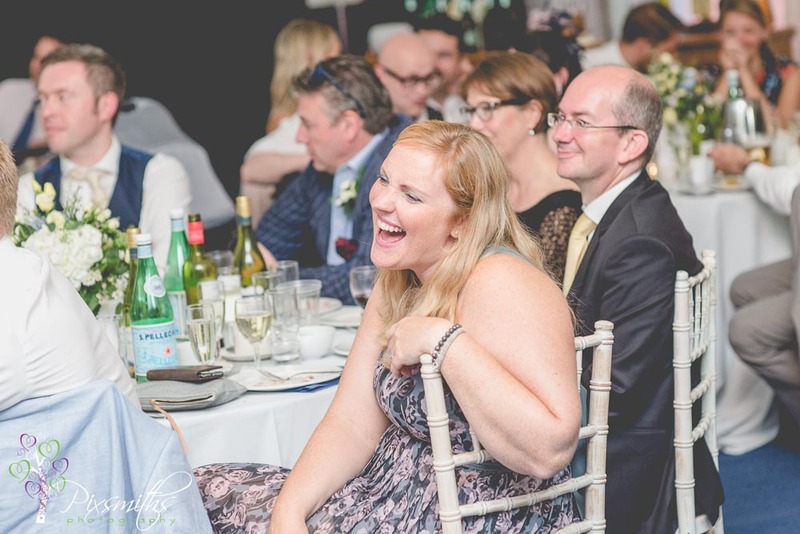 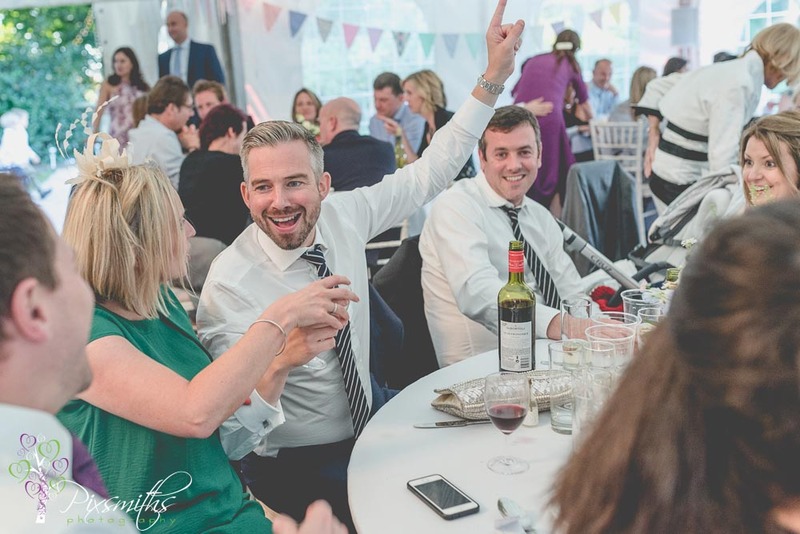 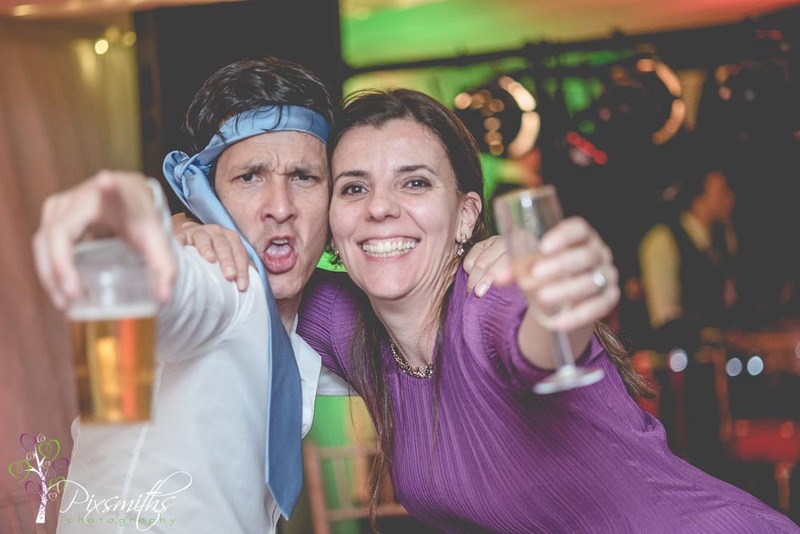 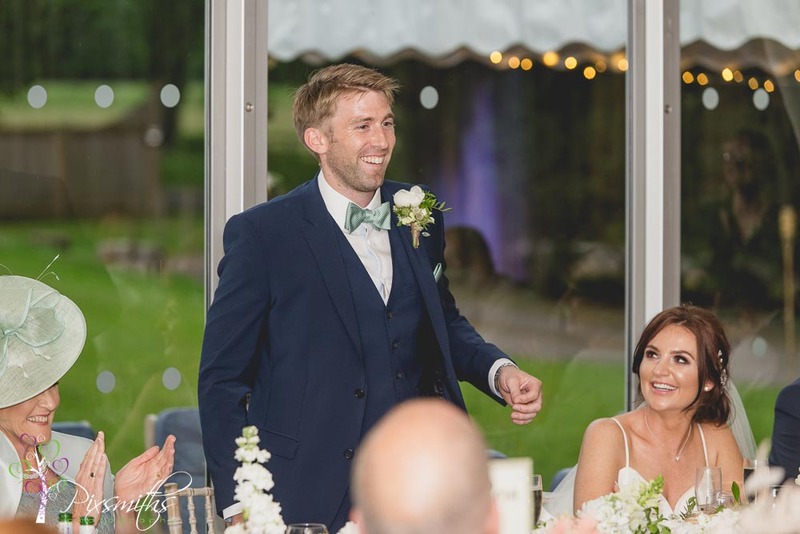 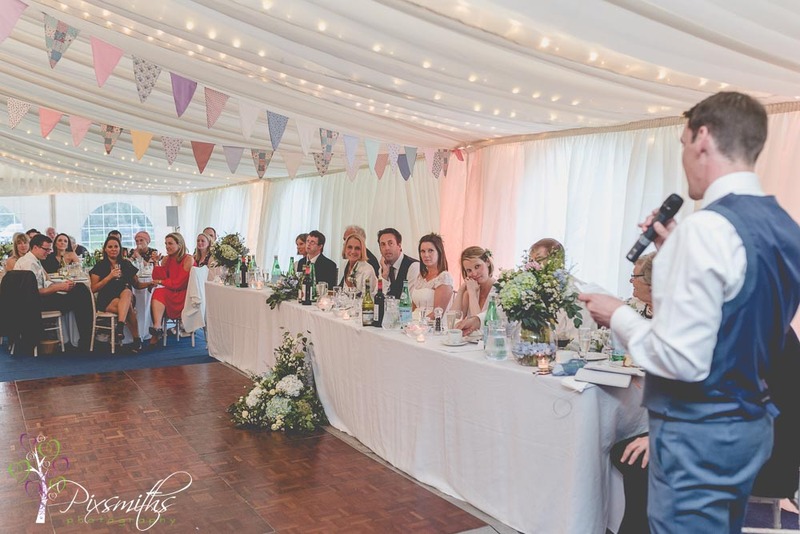 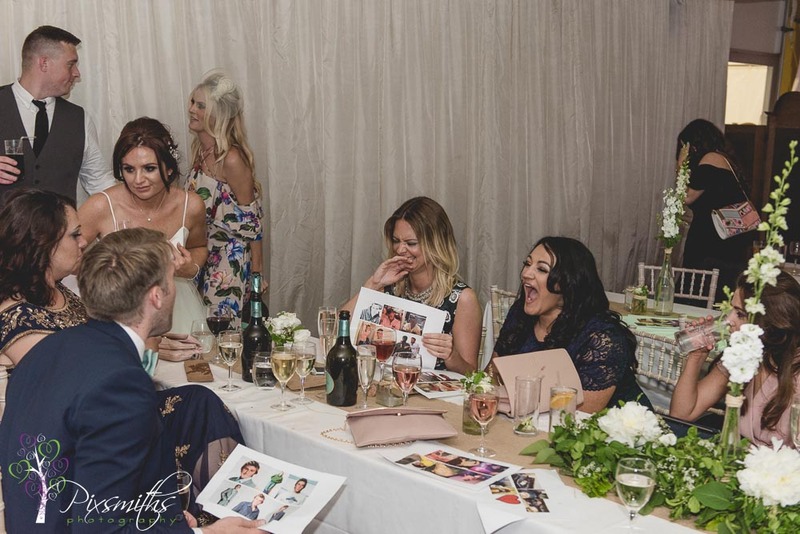 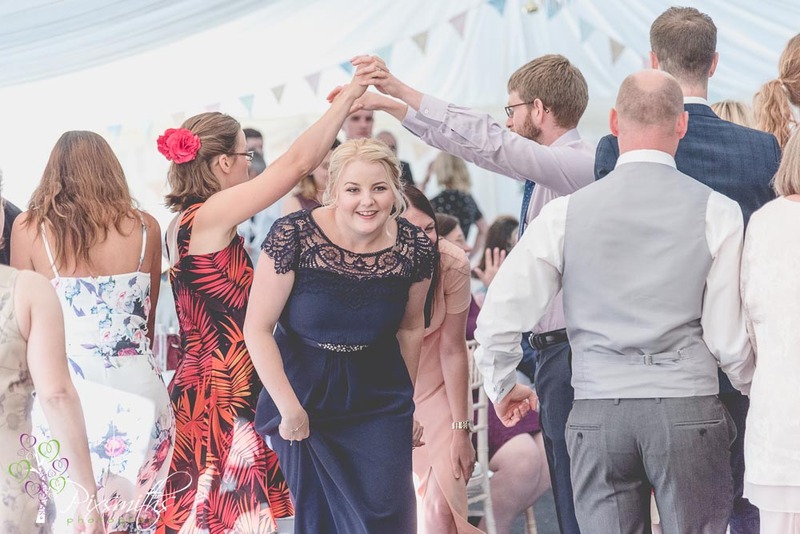 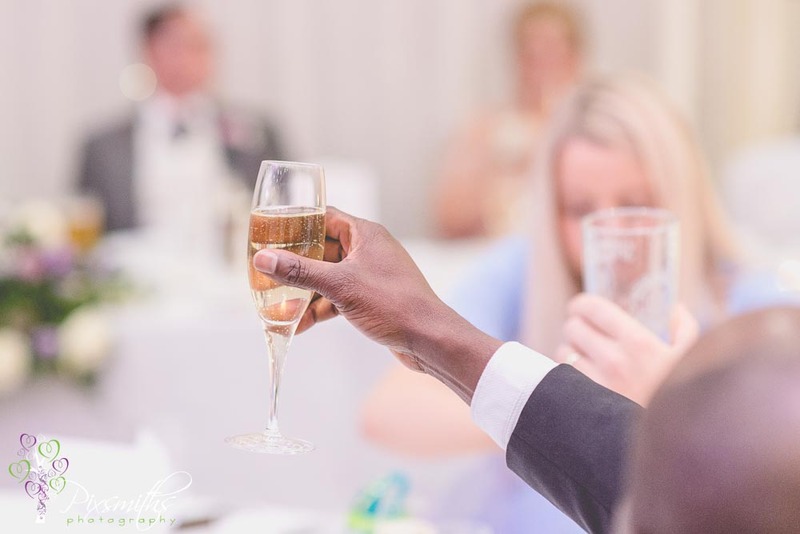 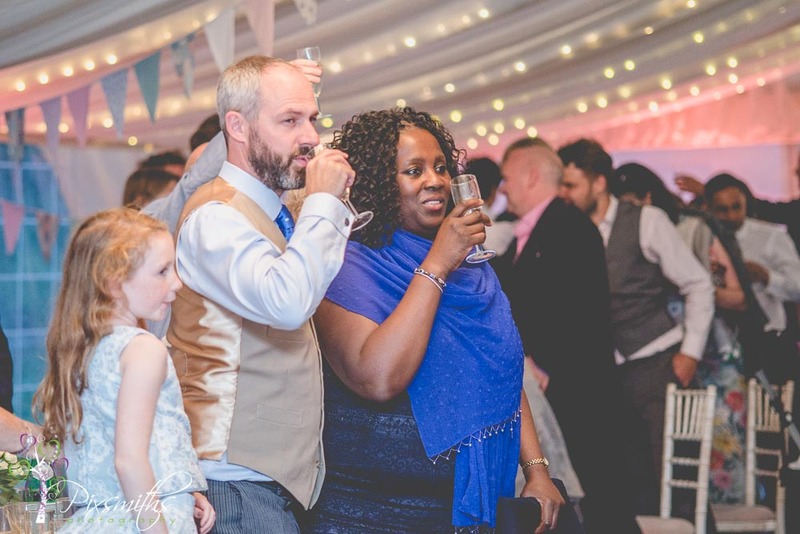 Before guests took their seat they were invited to take a shot – think that helped with the fun atmosphere and certainly a novel form of wedding favours – certainly went down well! 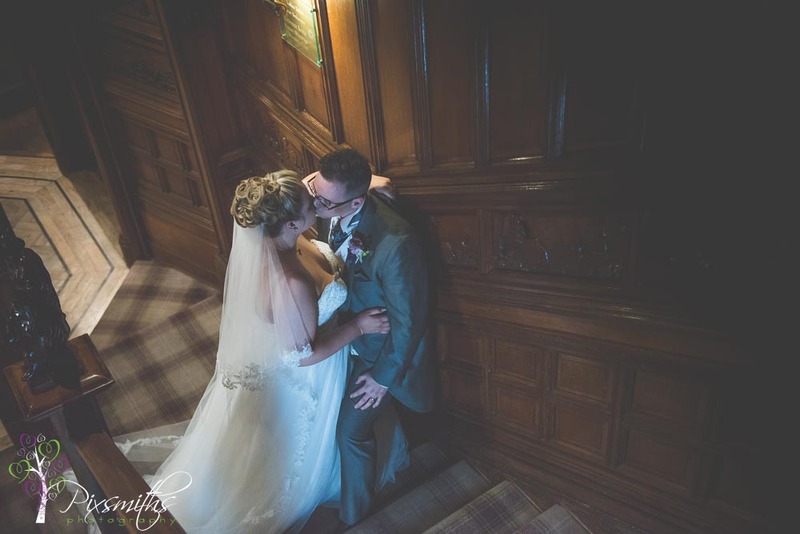 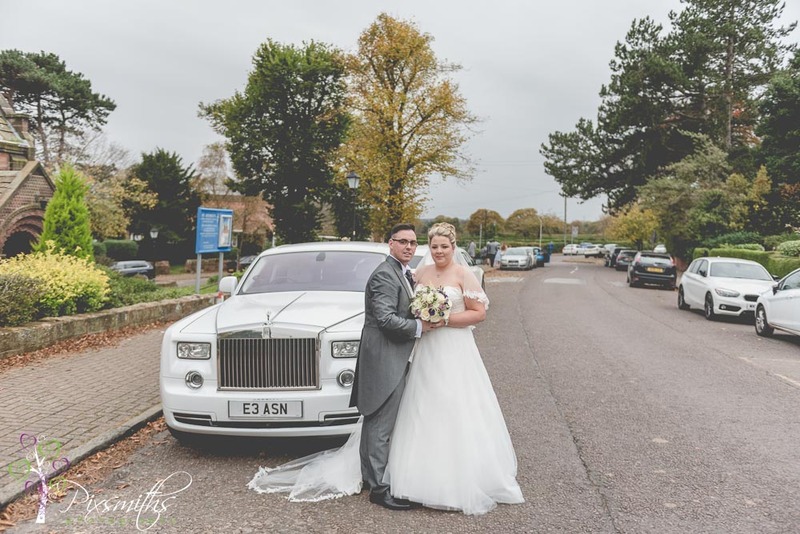 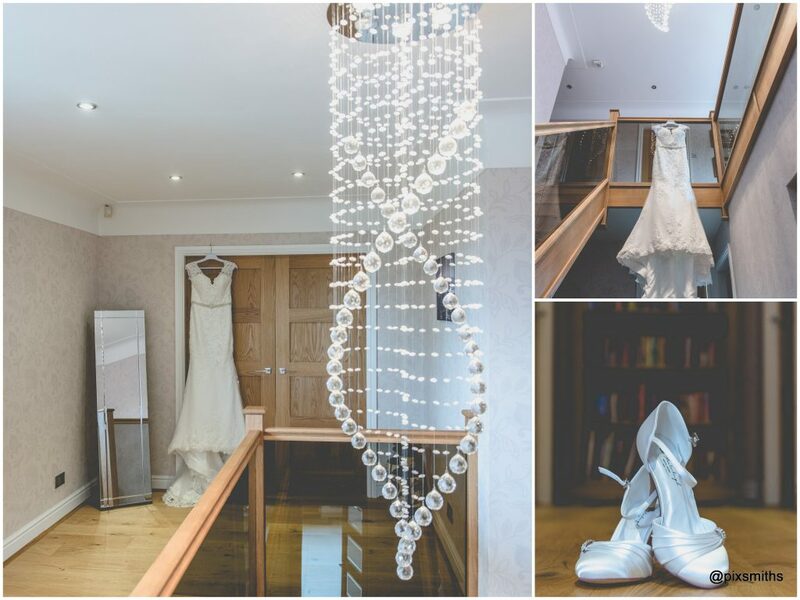 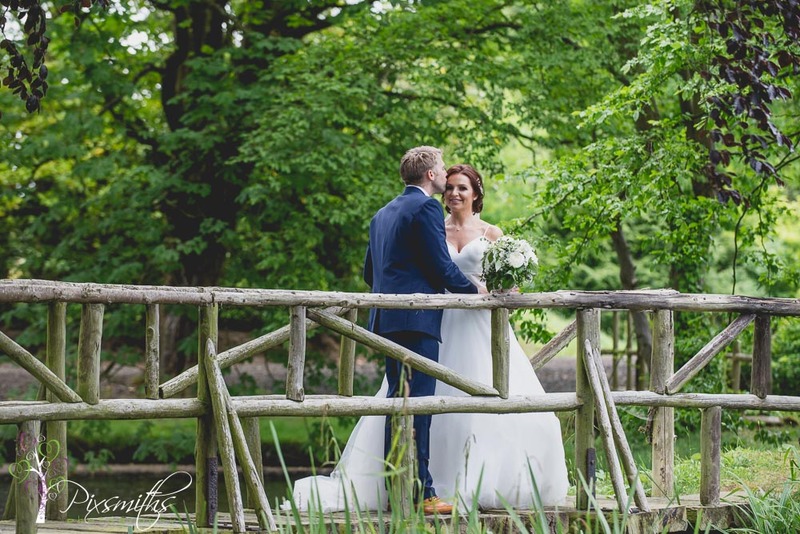 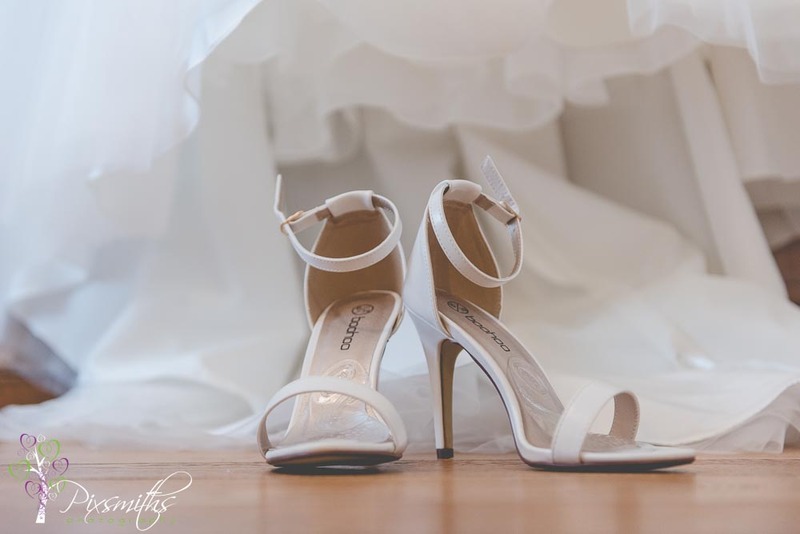 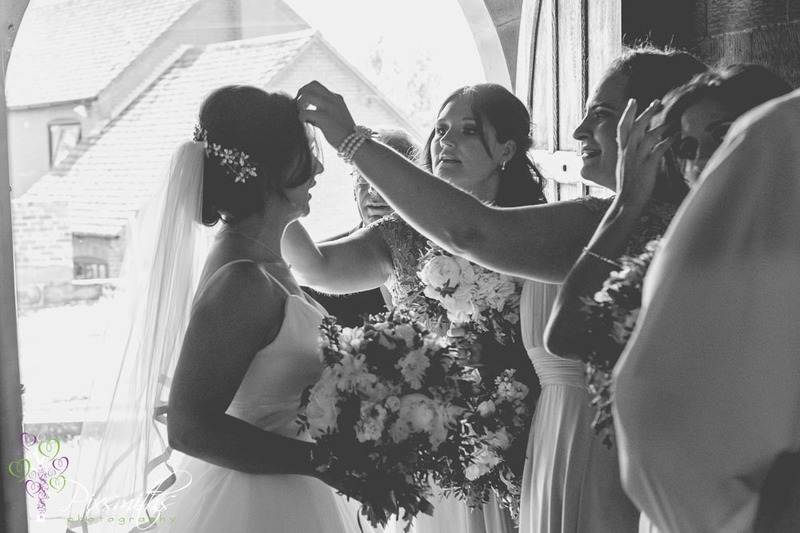 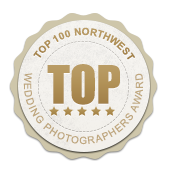 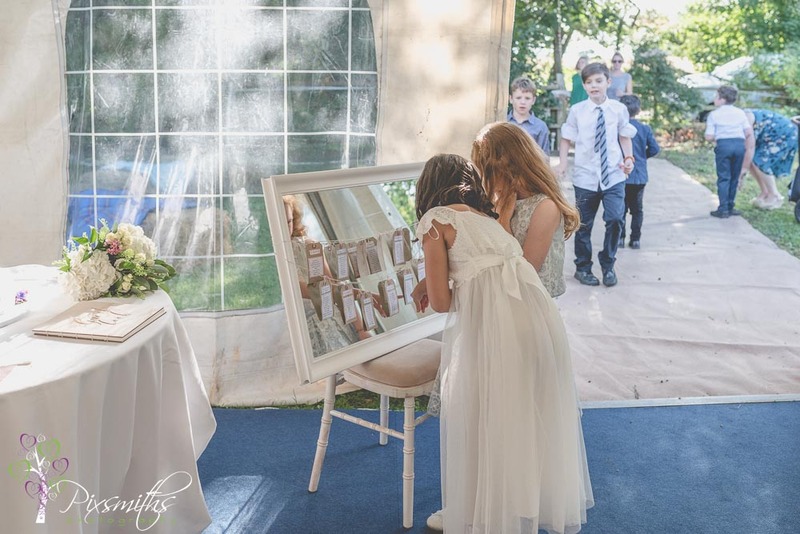 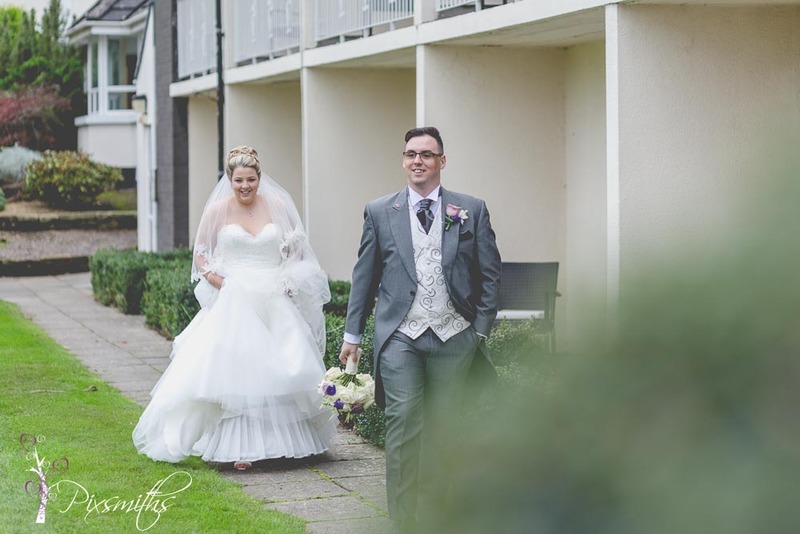 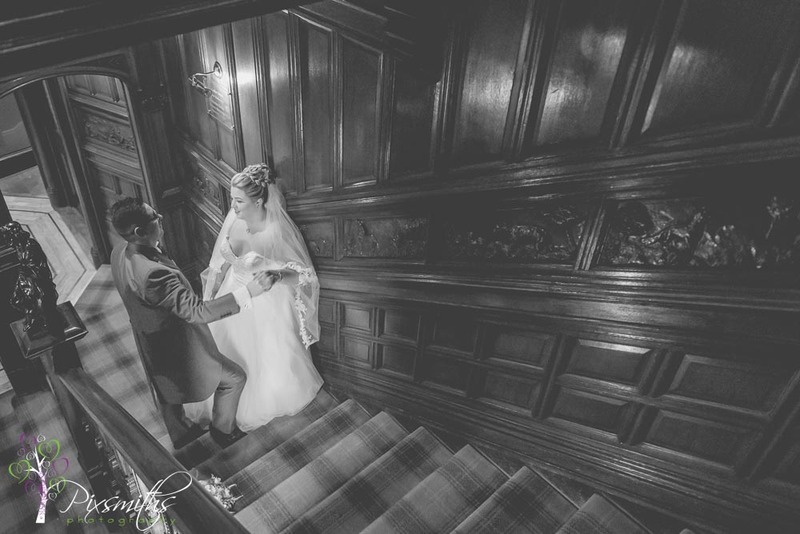 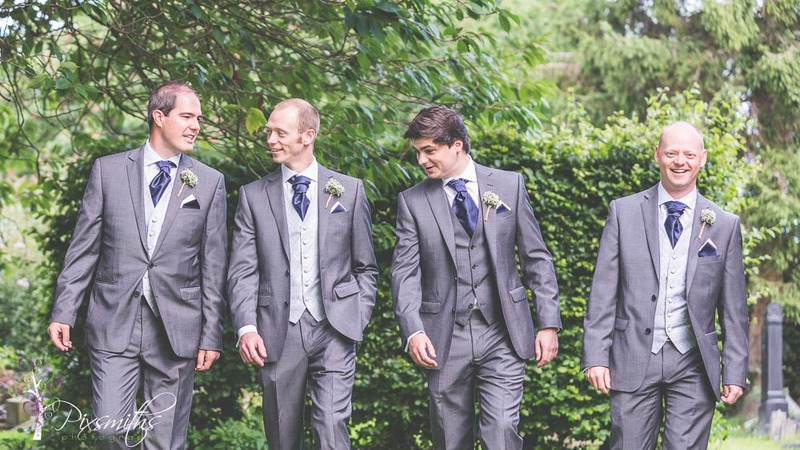 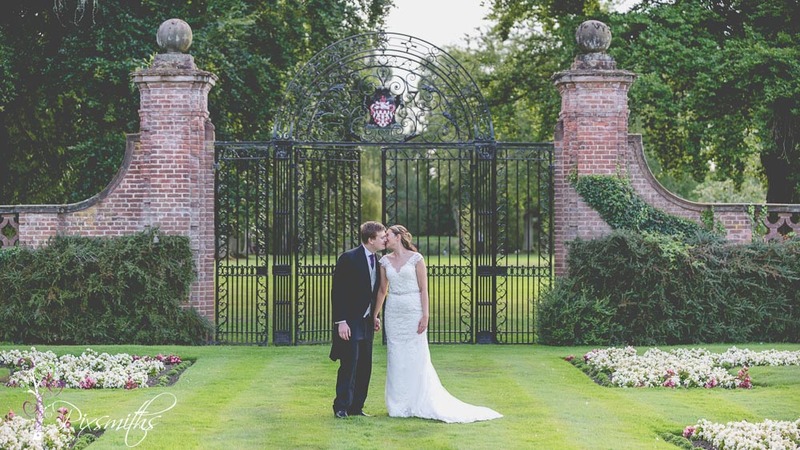 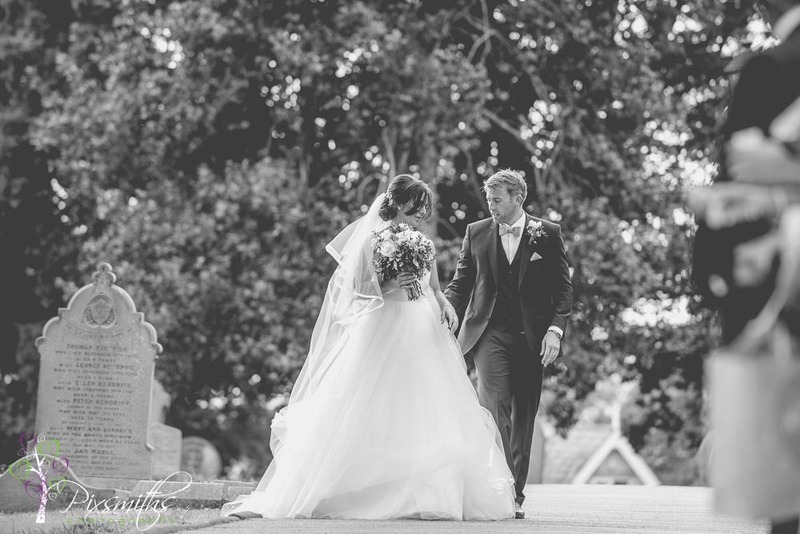 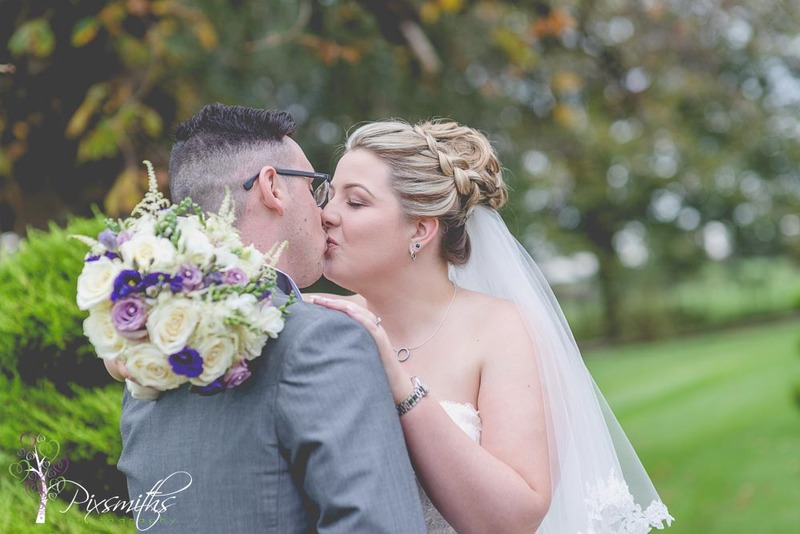 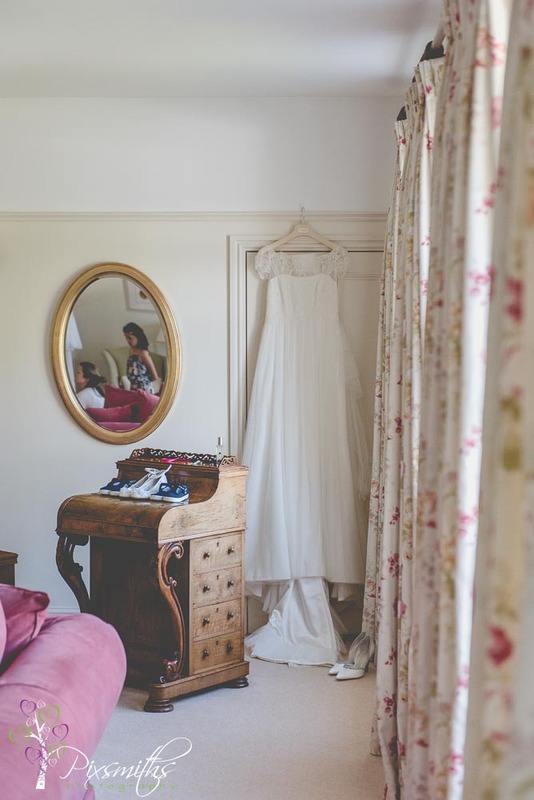 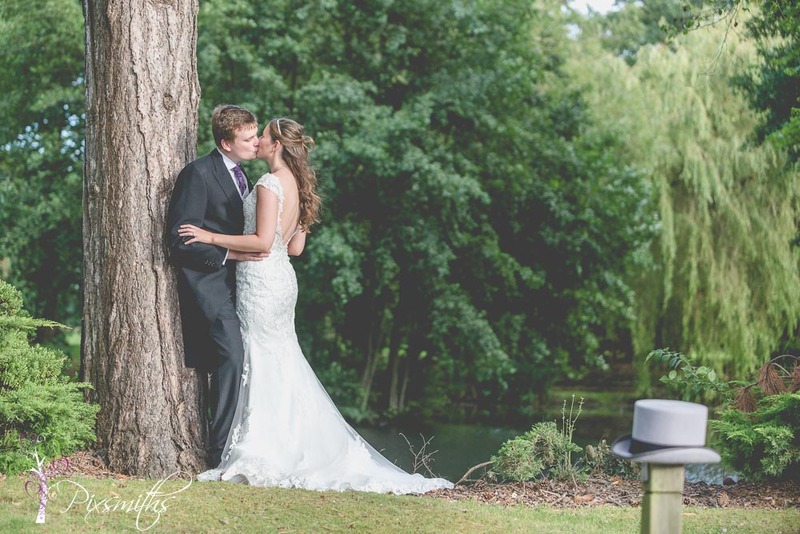 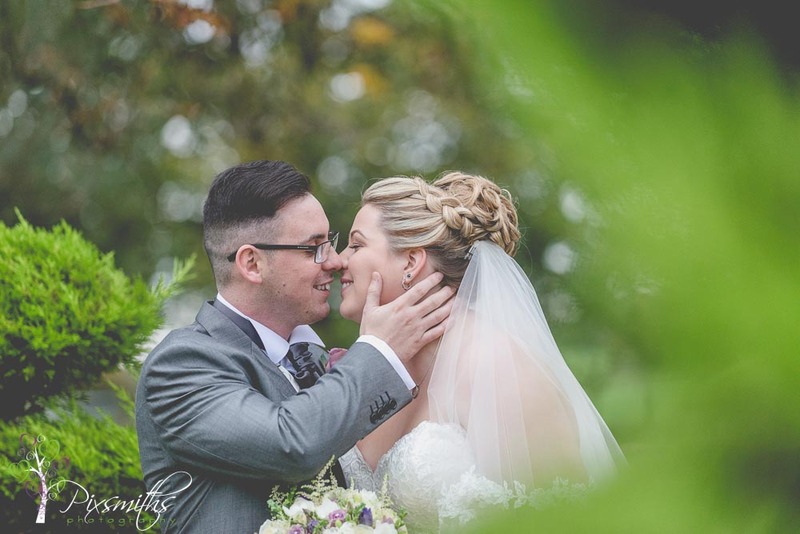 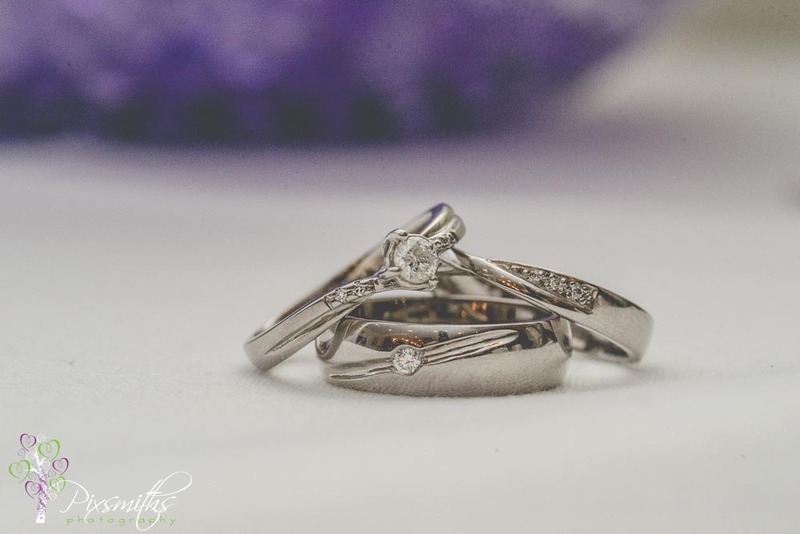 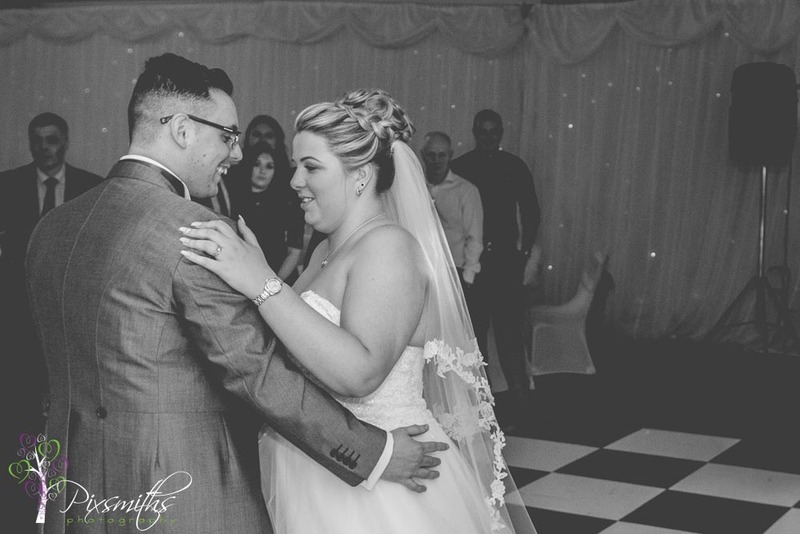 We adore Inglewood Manor Weddings so if you are looking for your Inglewood Manor wedding Photographer we need to chat! 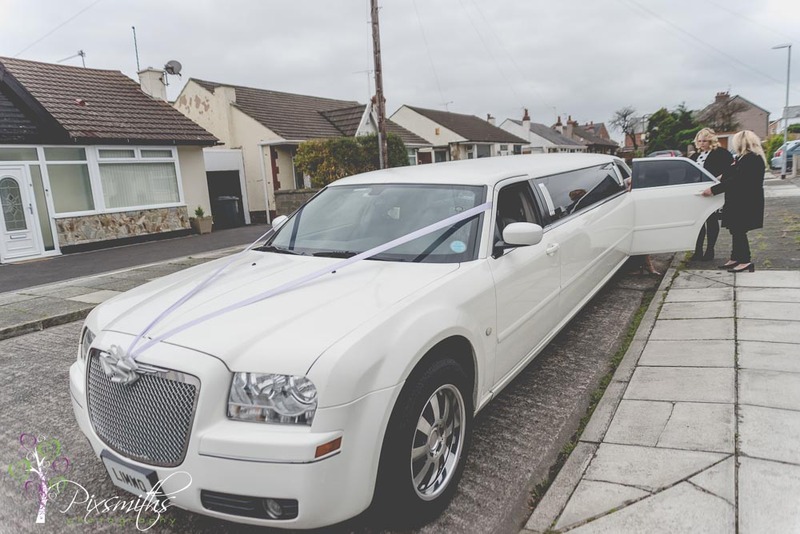 Please drop us a message for a quote. 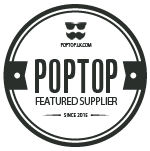 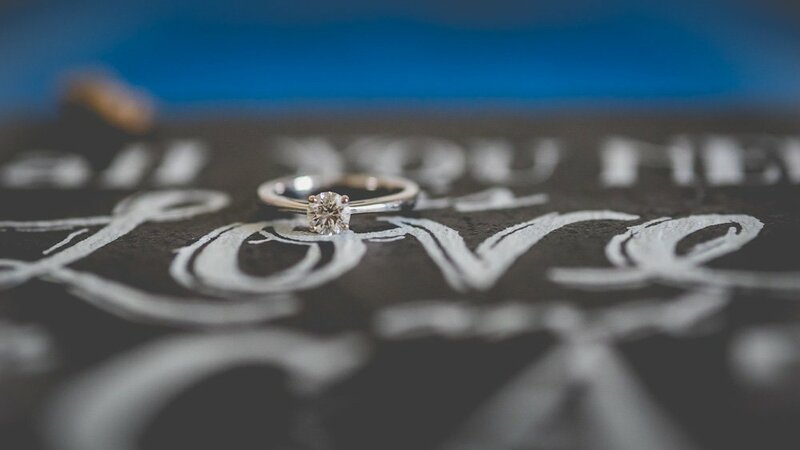 We’d love to hear from you and learn about your plans. 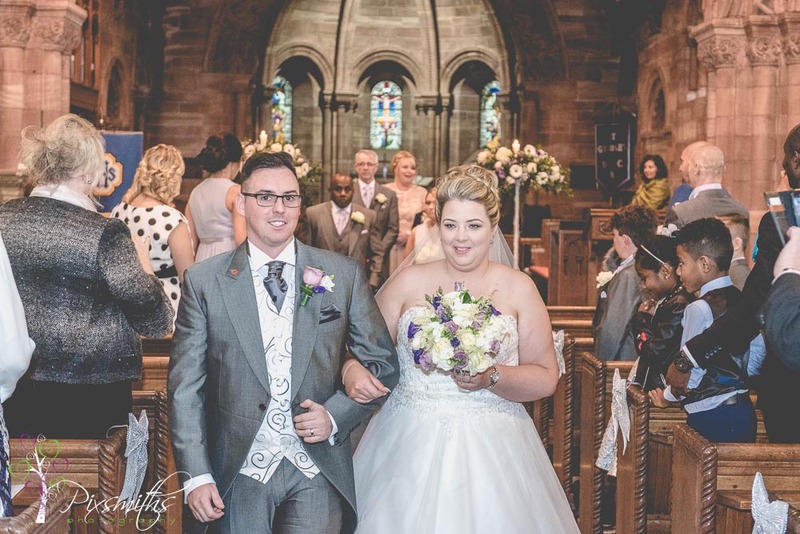 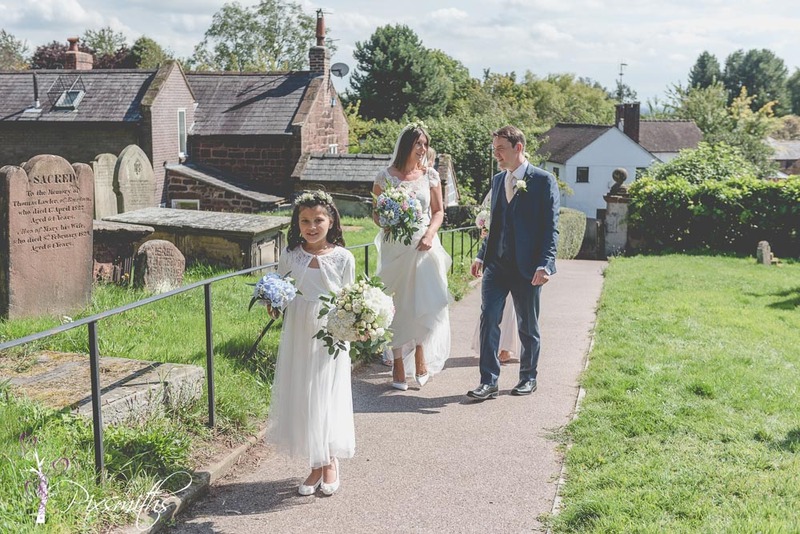 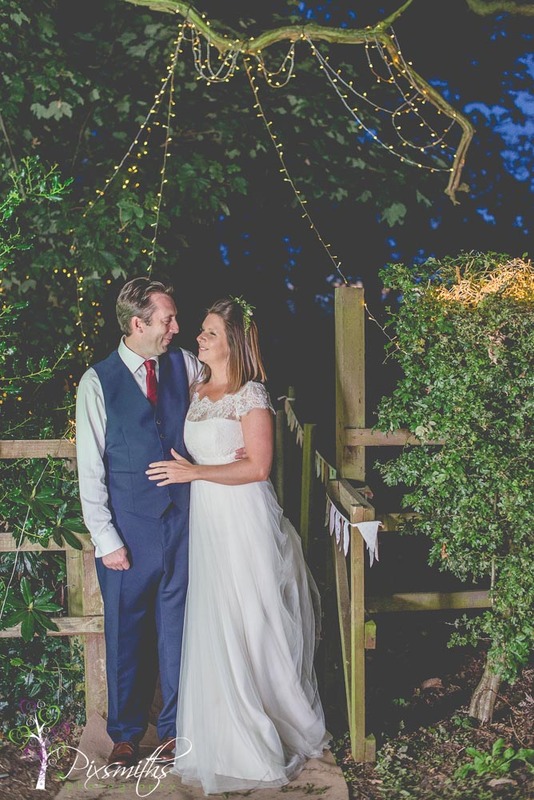 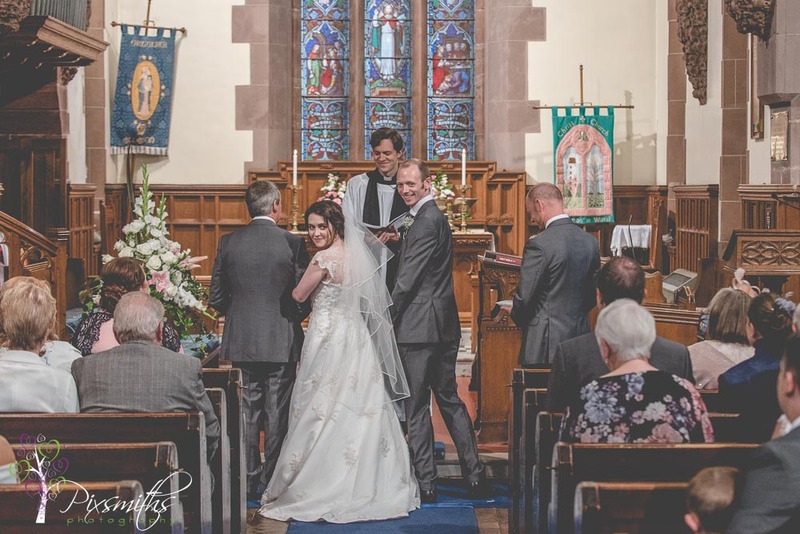 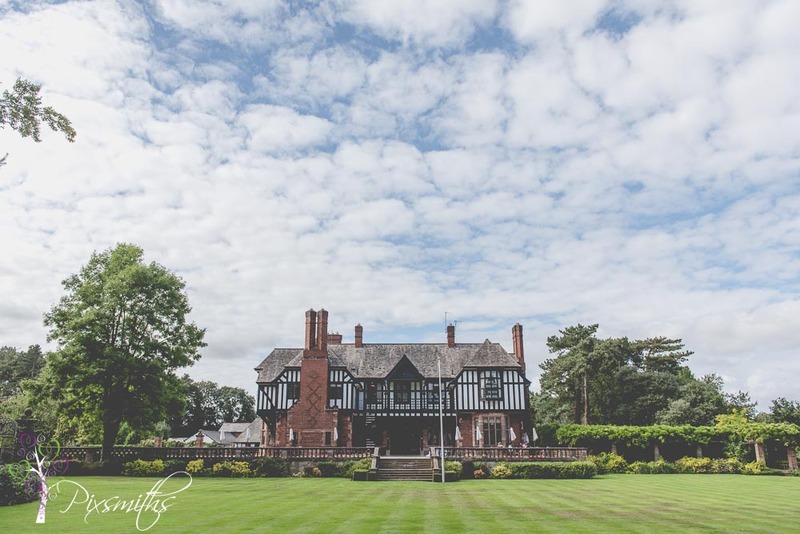 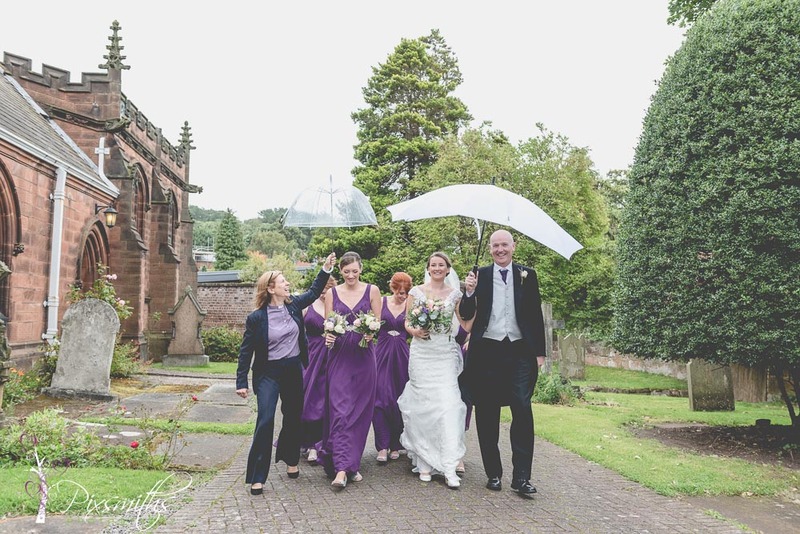 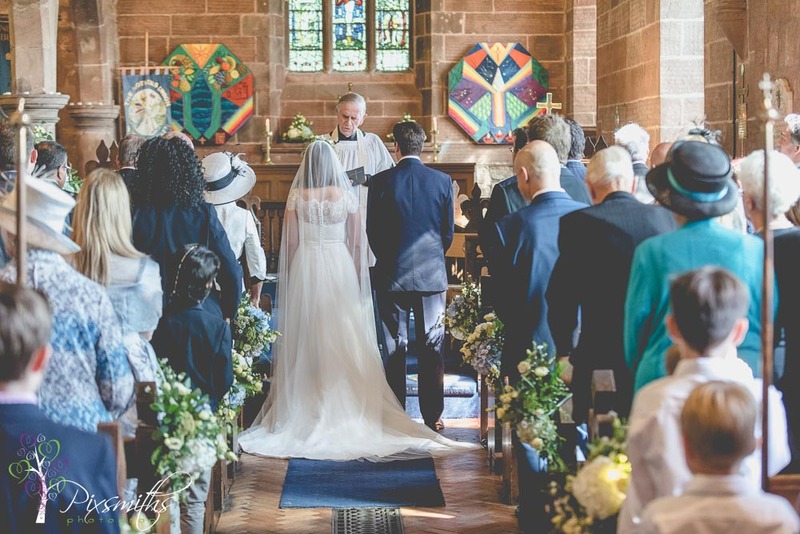 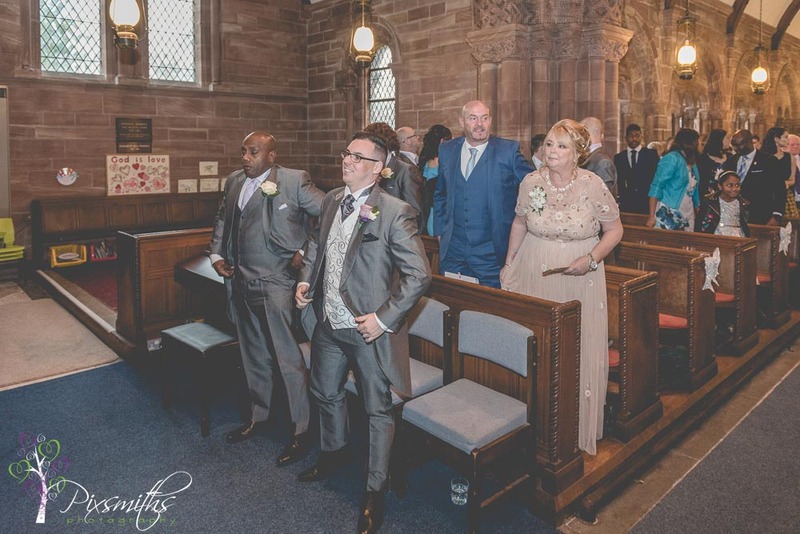 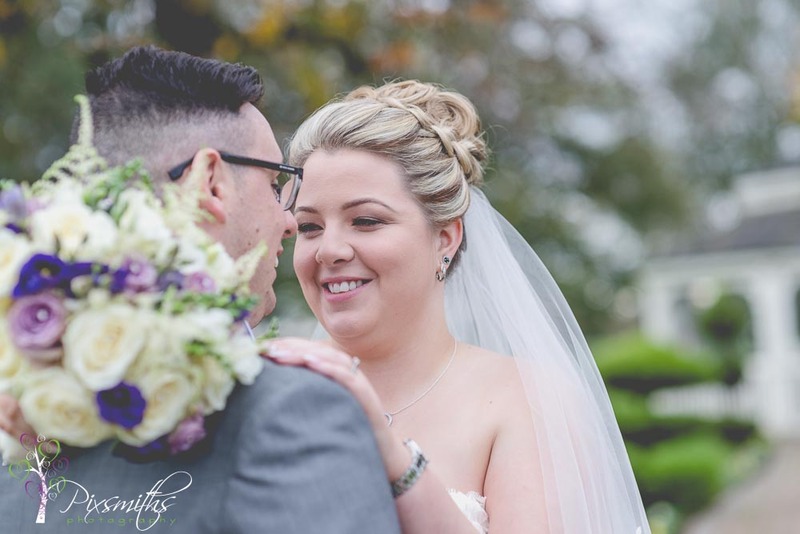 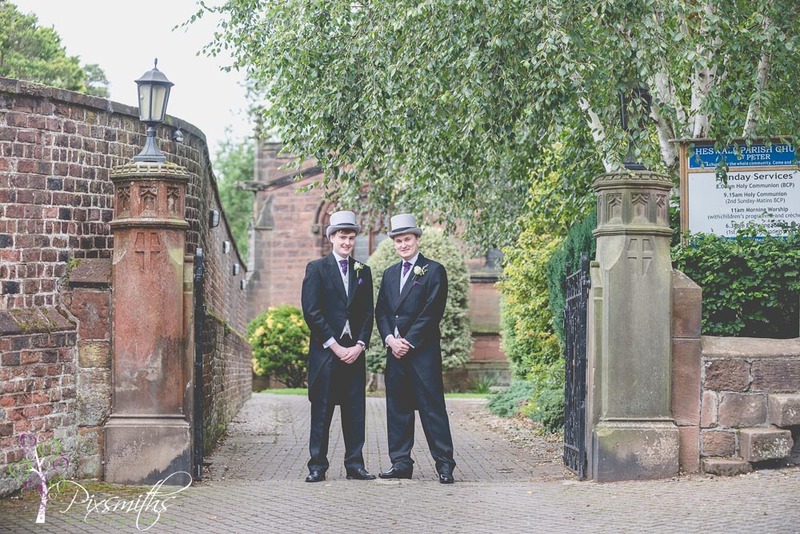 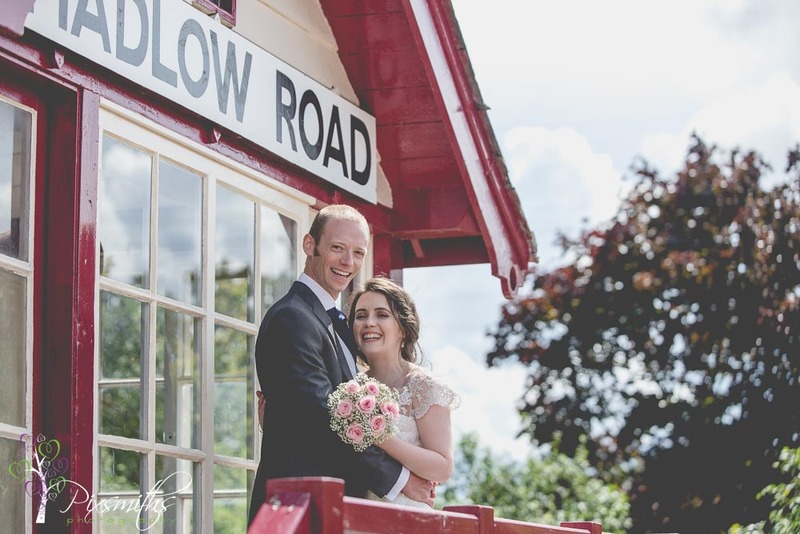 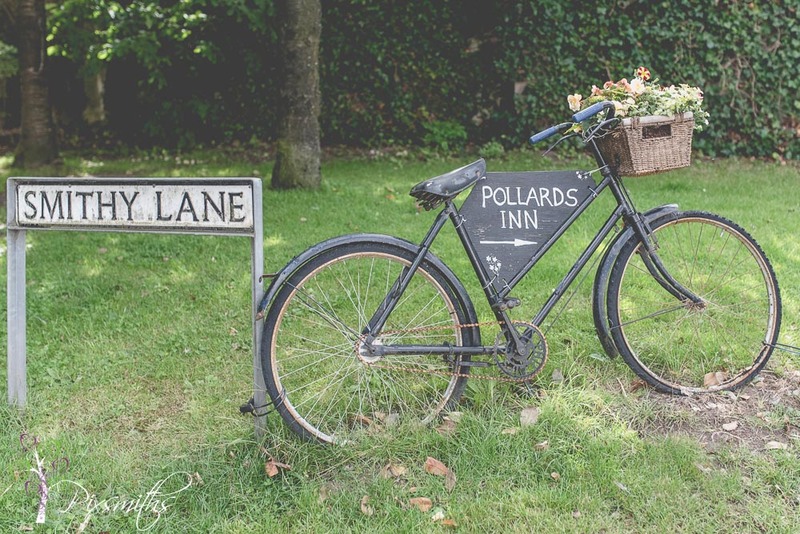 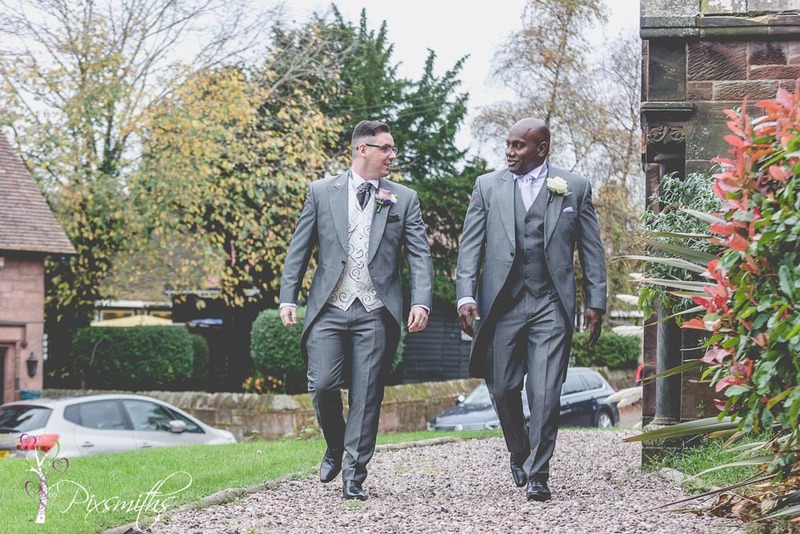 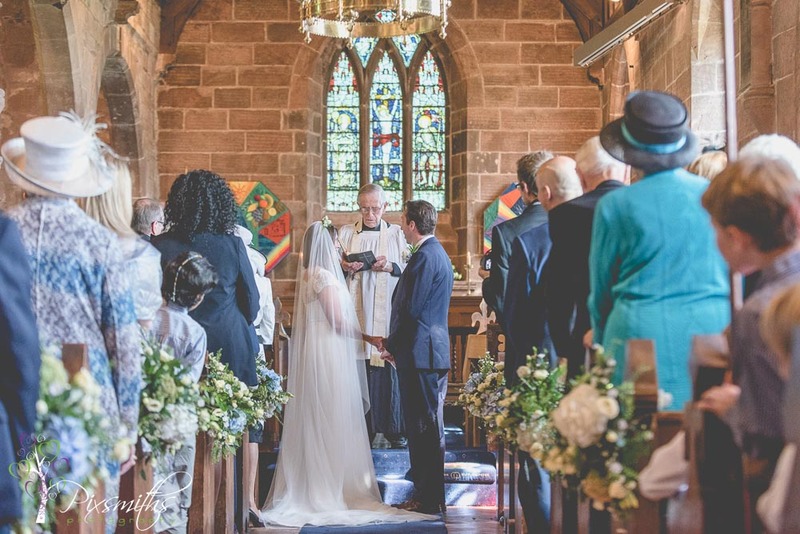 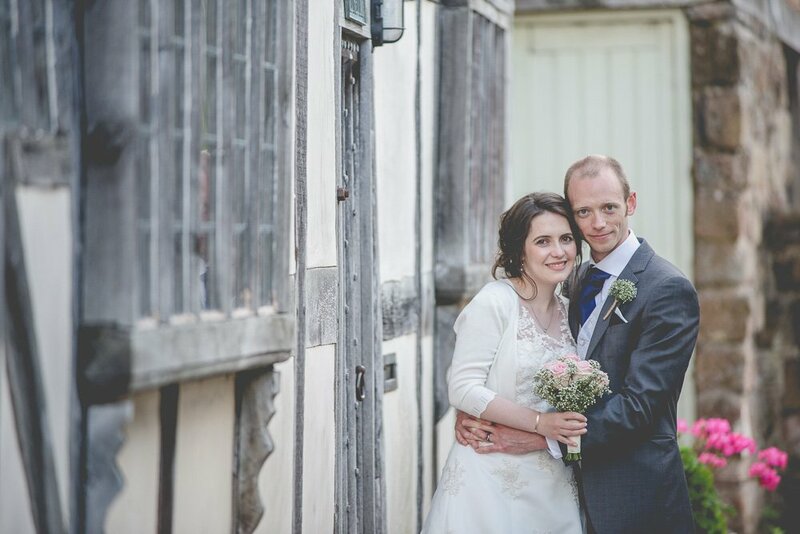 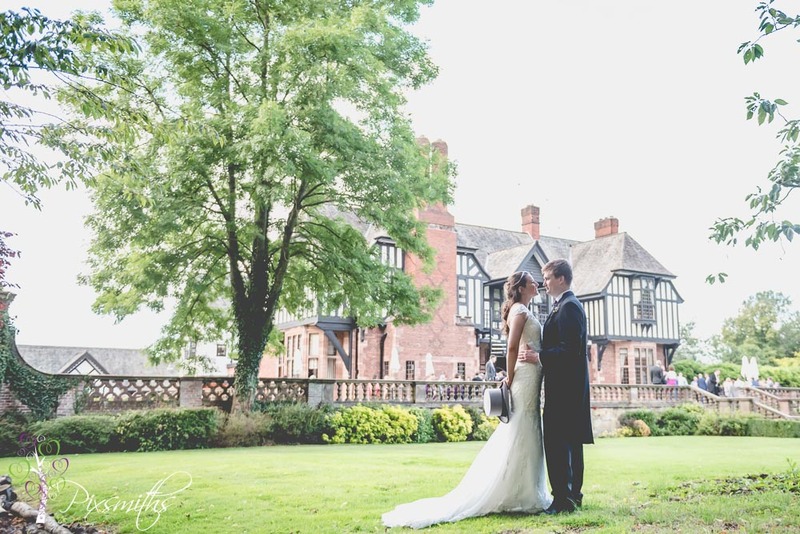 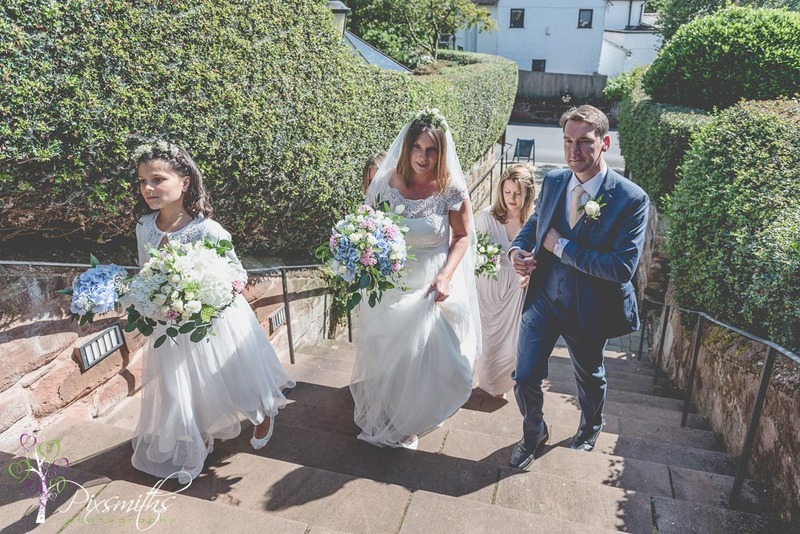 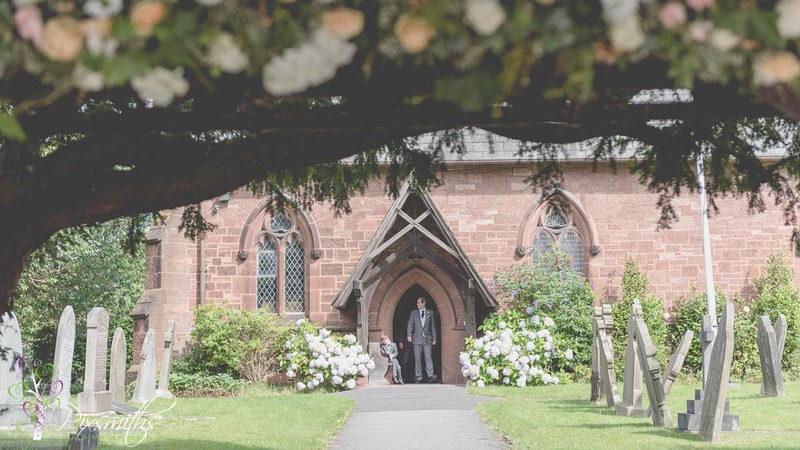 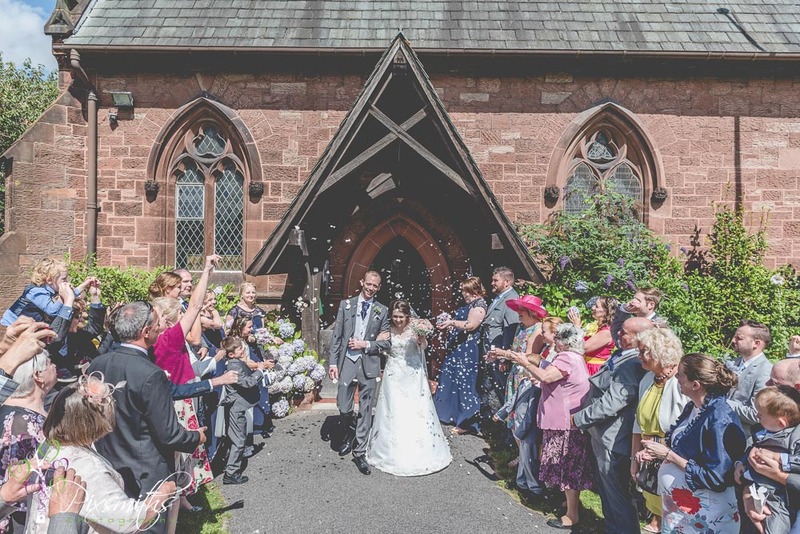 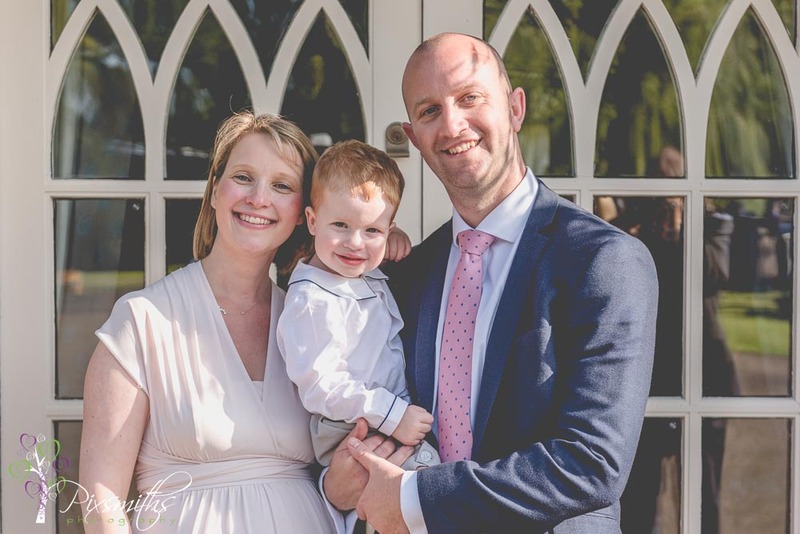 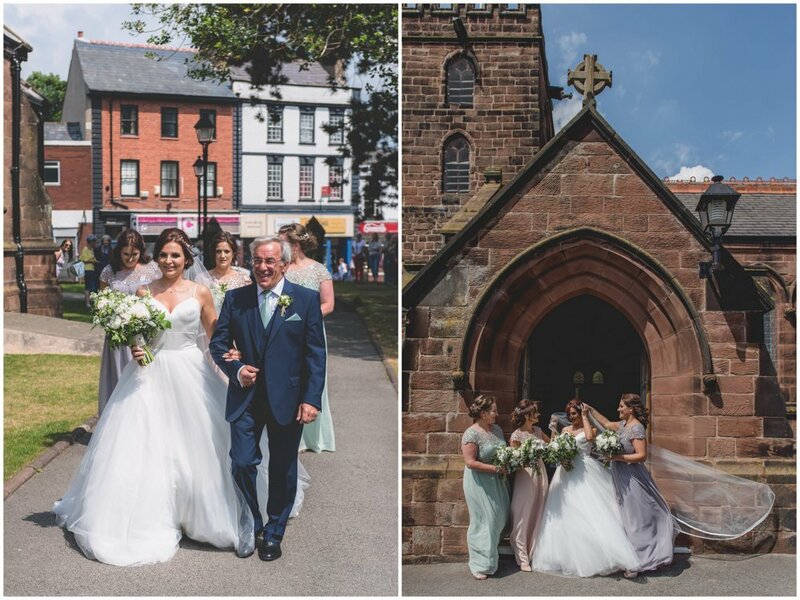 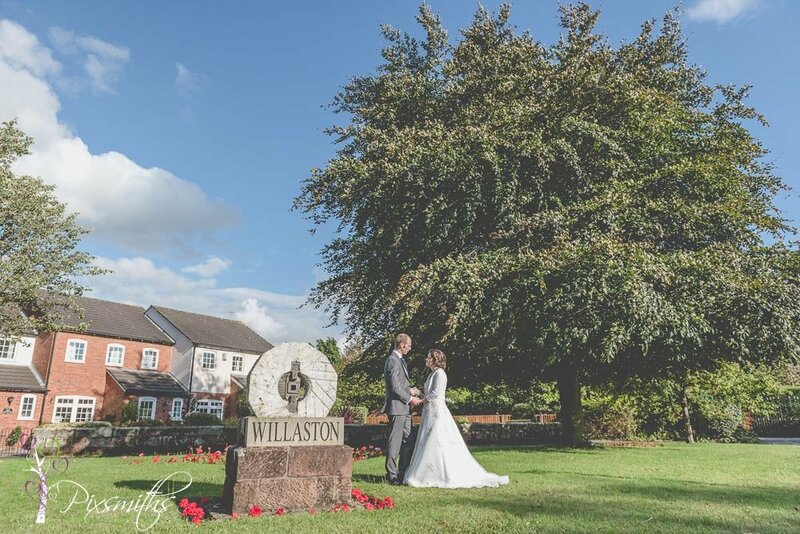 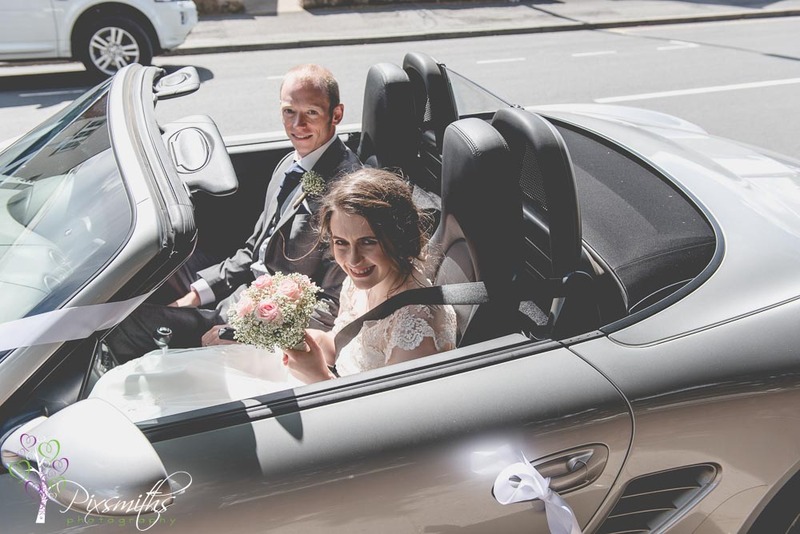 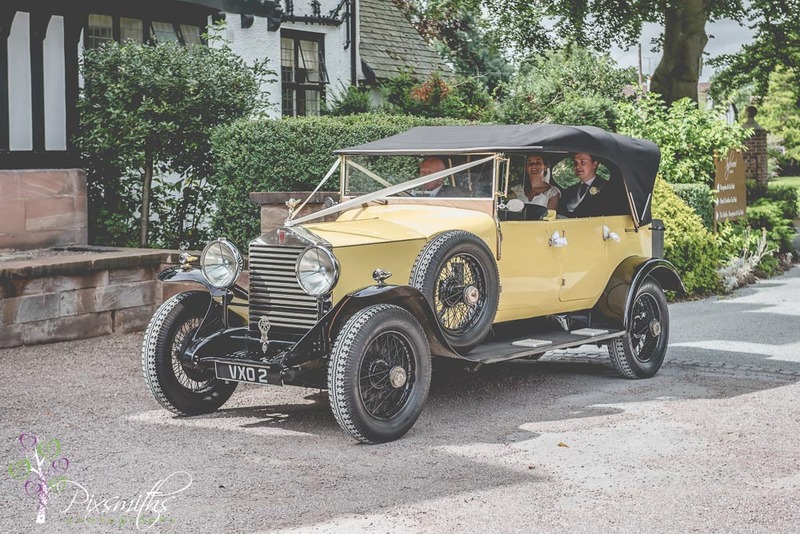 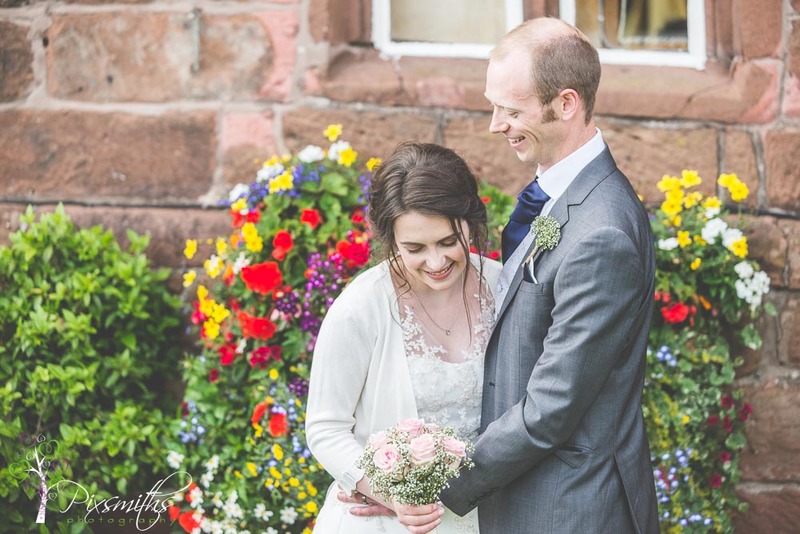 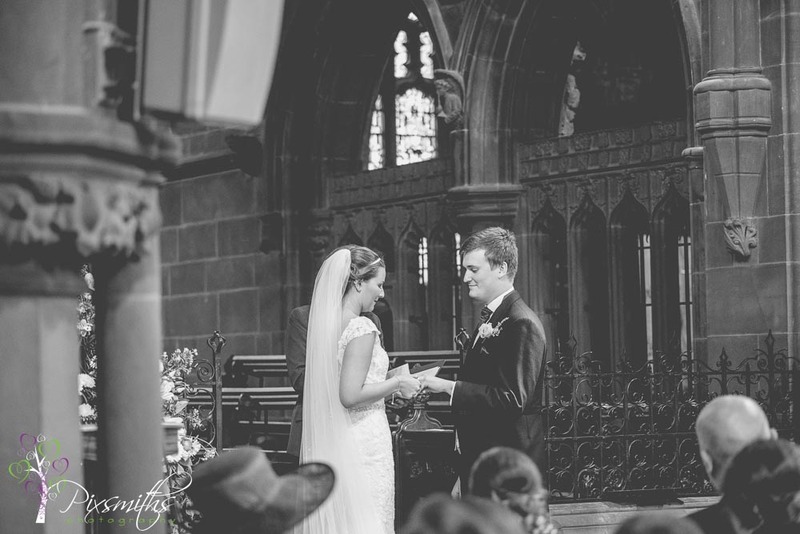 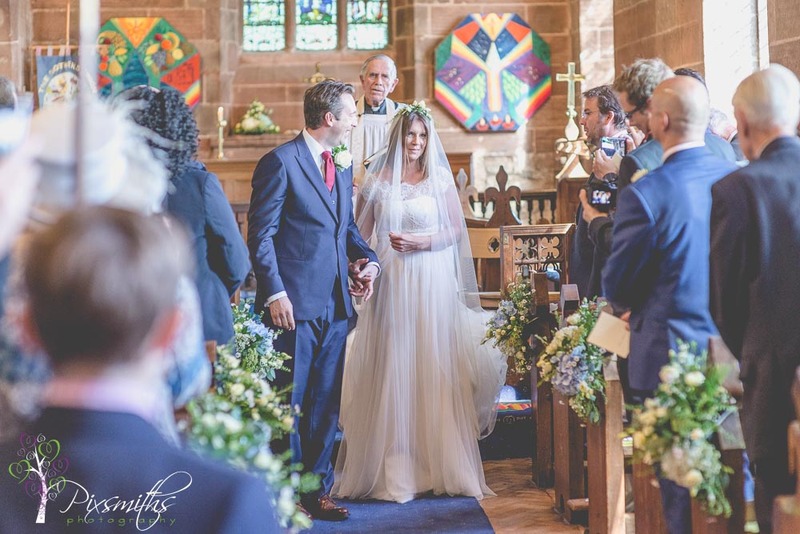 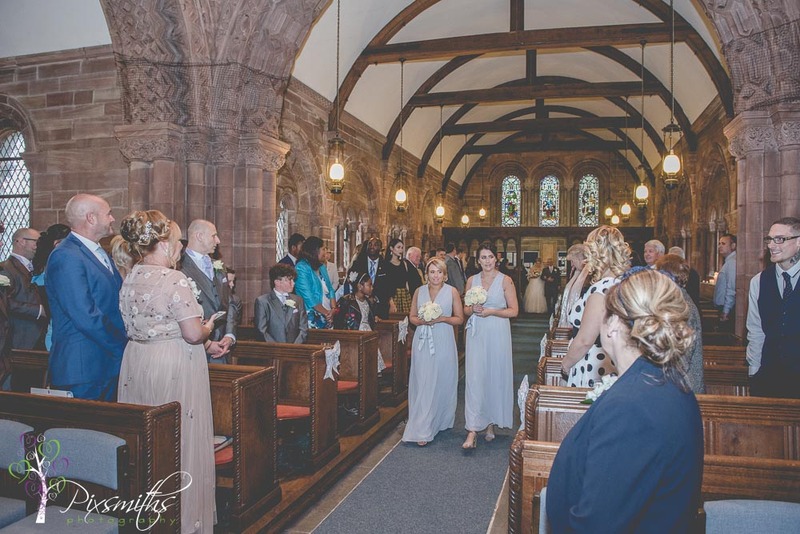 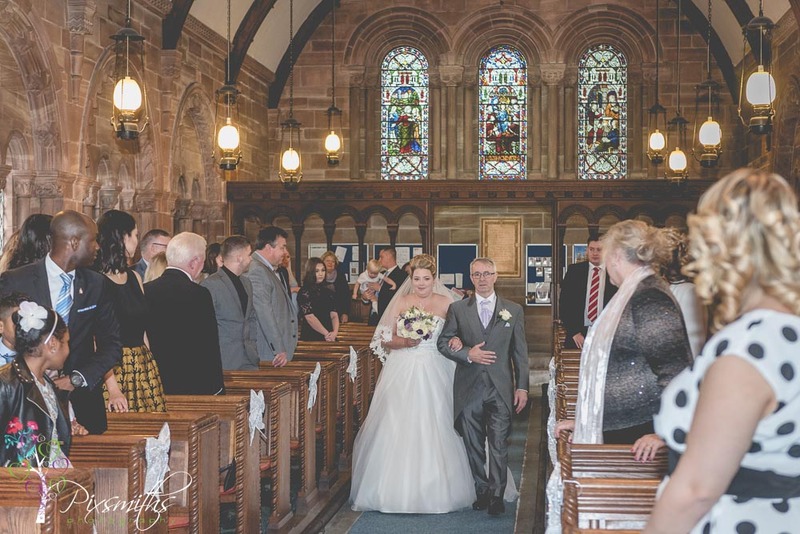 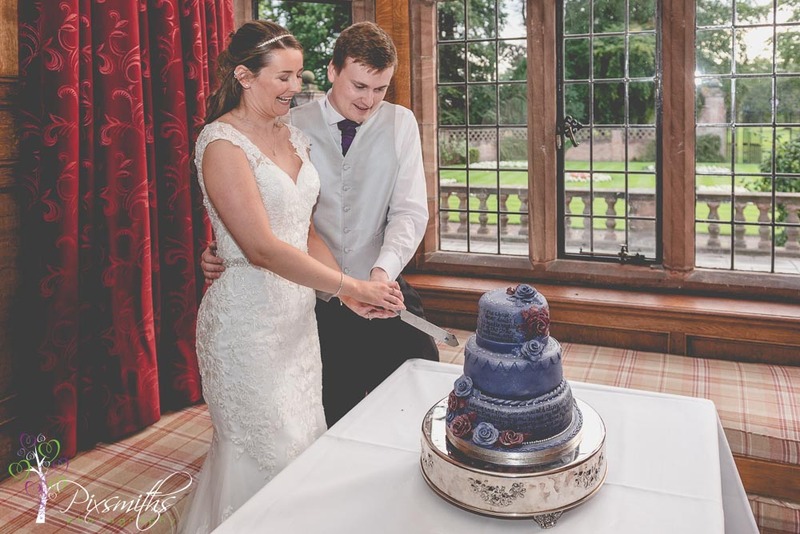 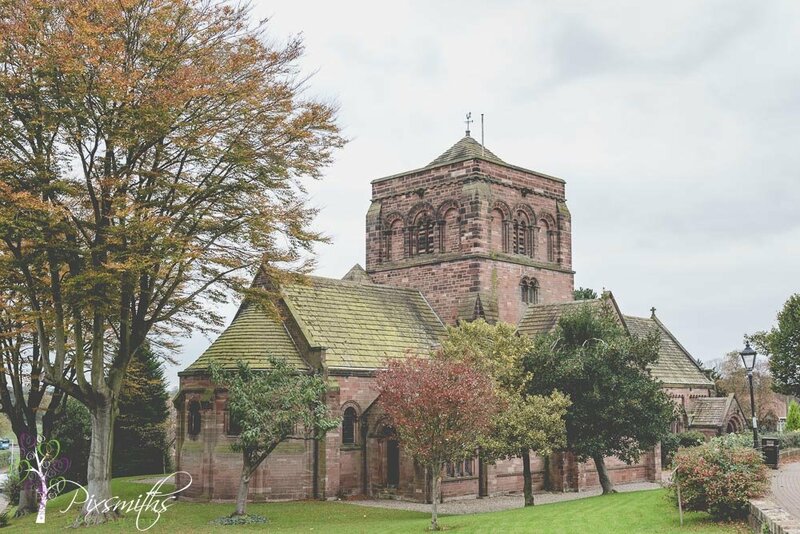 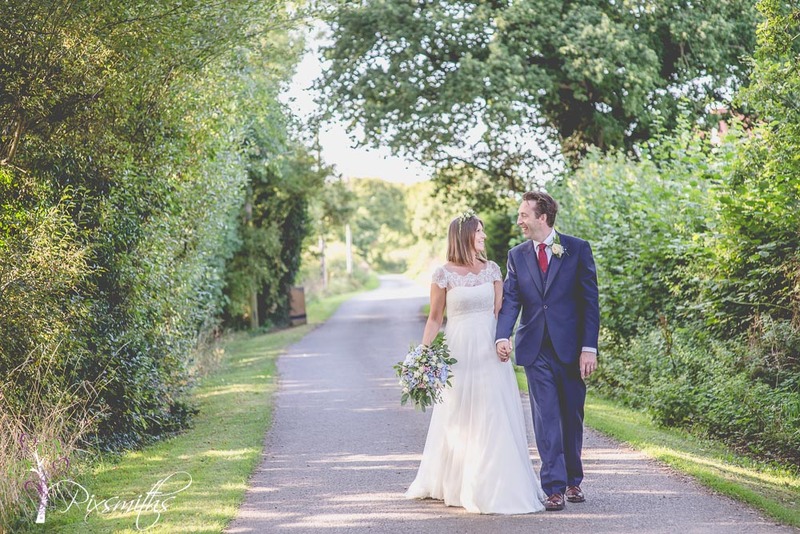 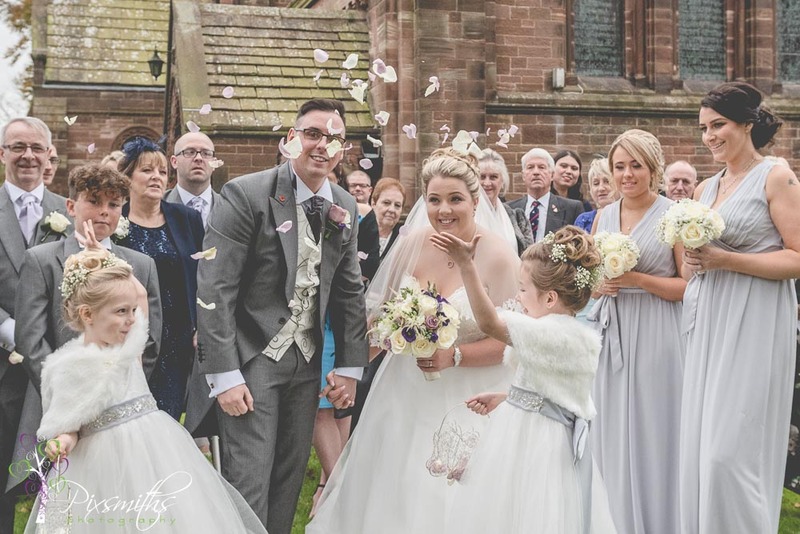 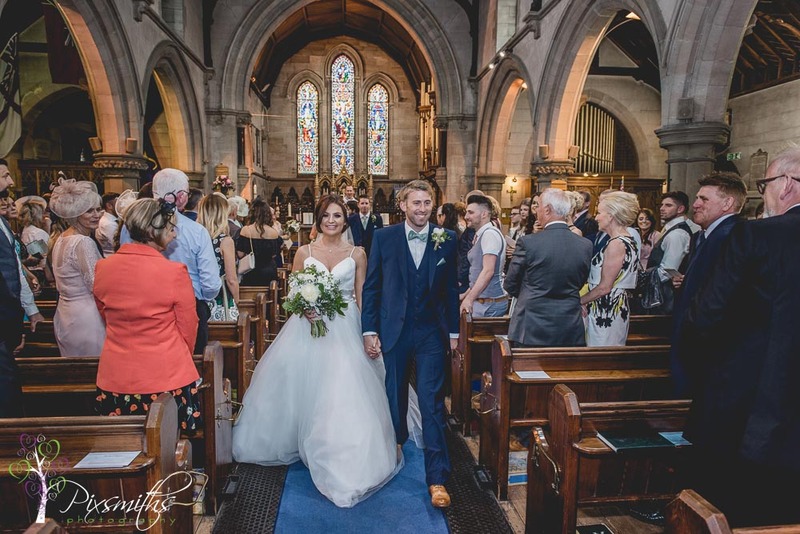 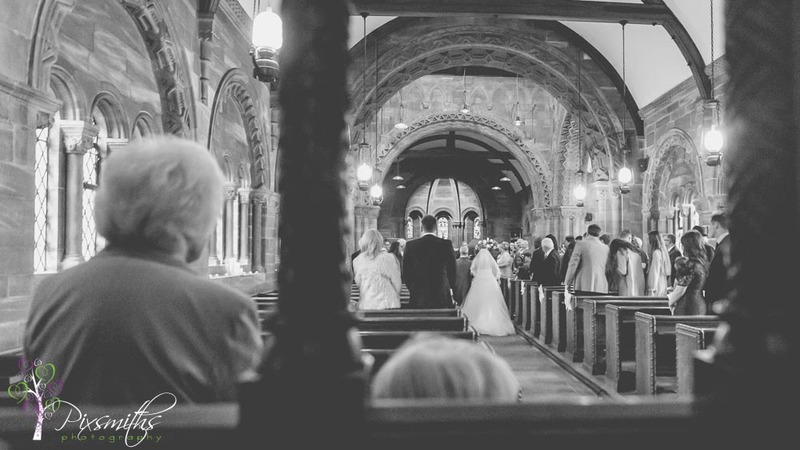 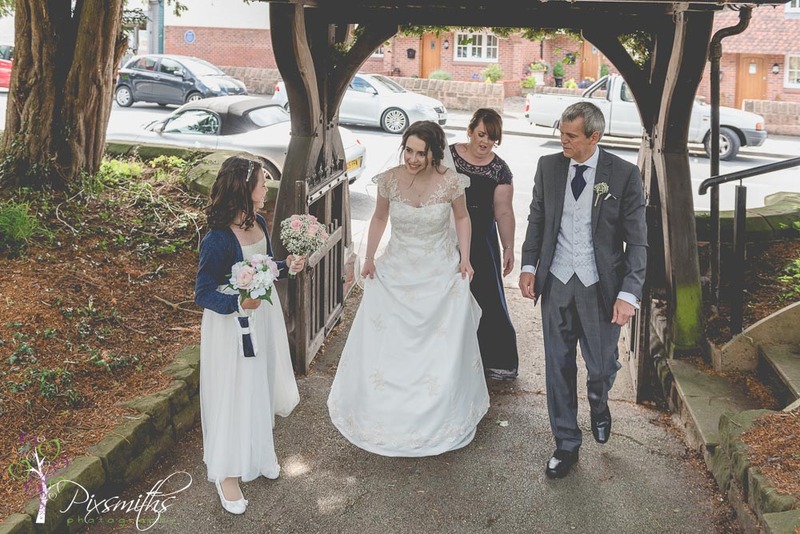 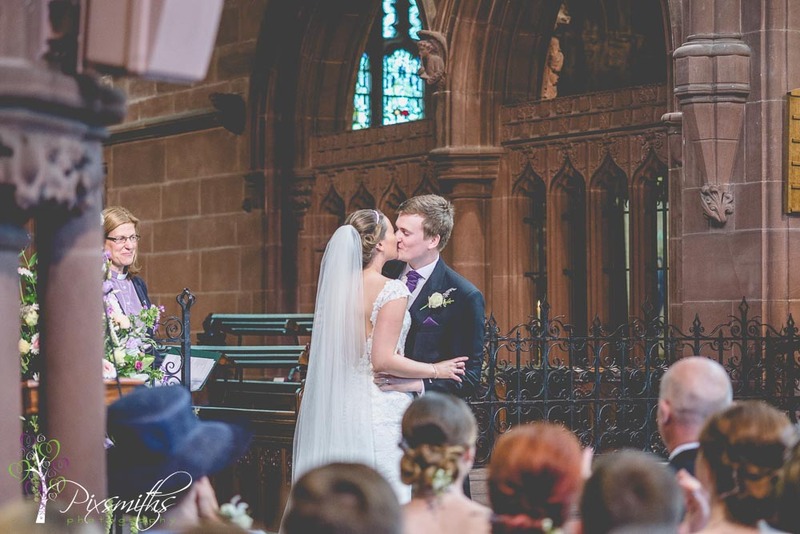 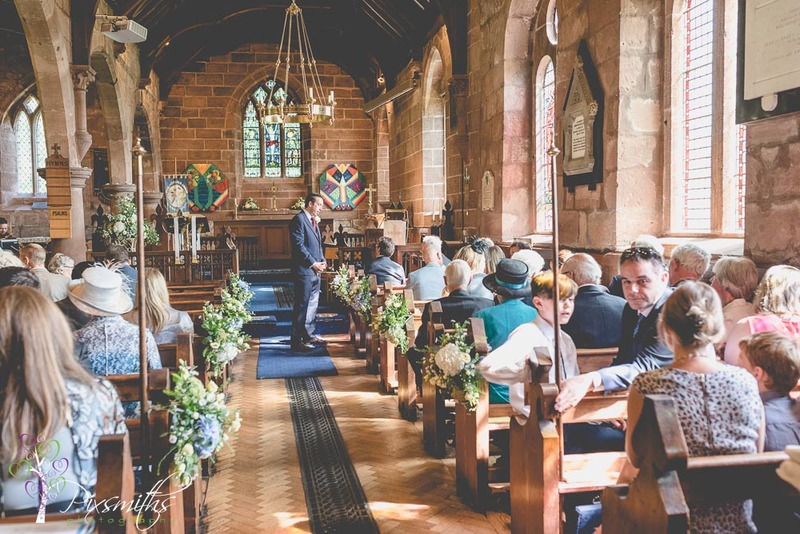 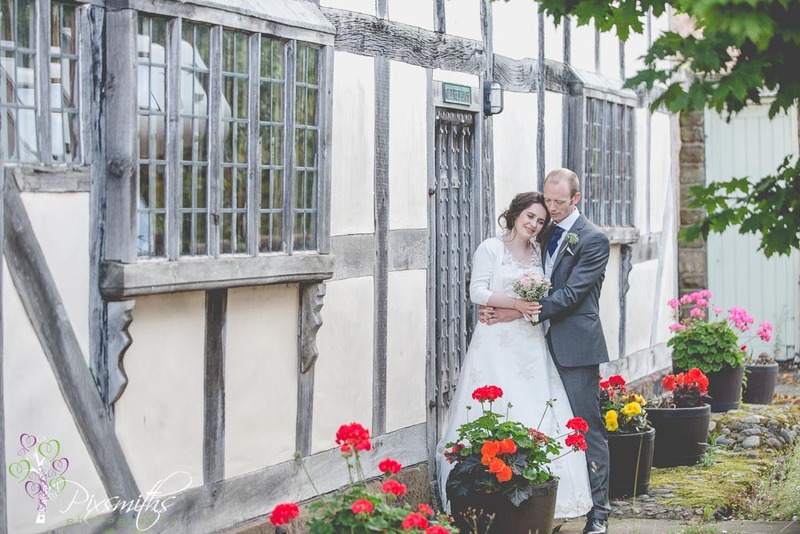 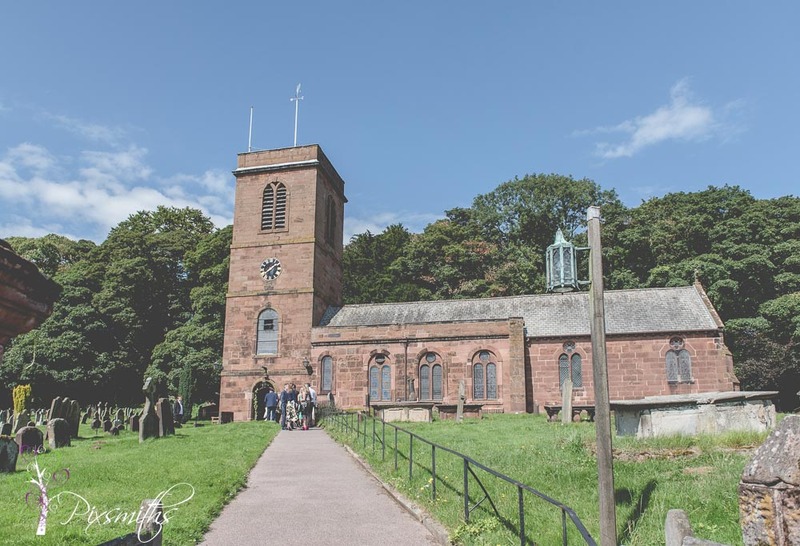 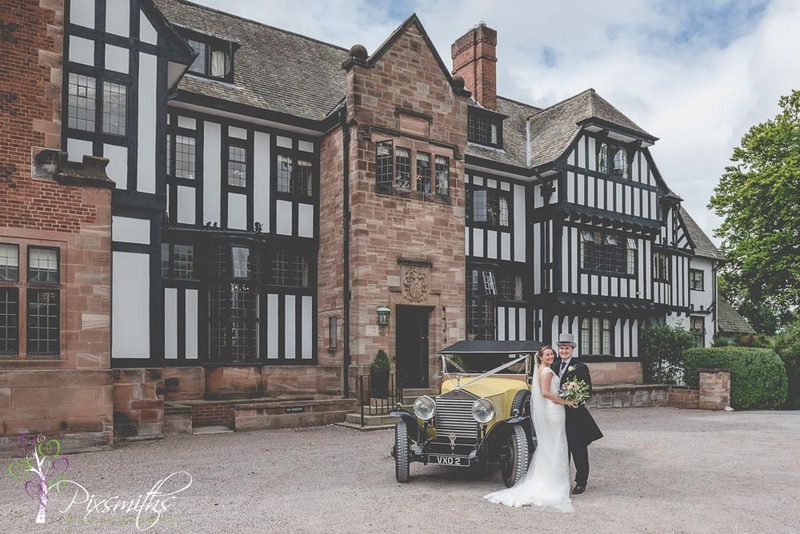 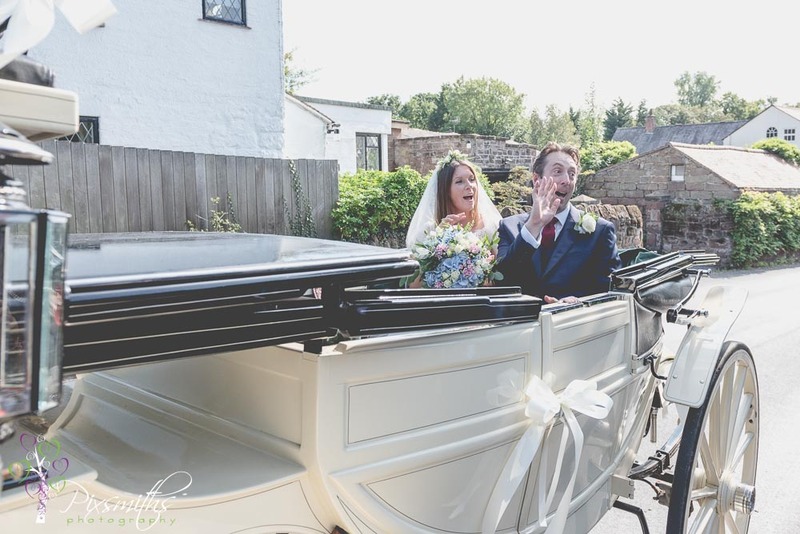 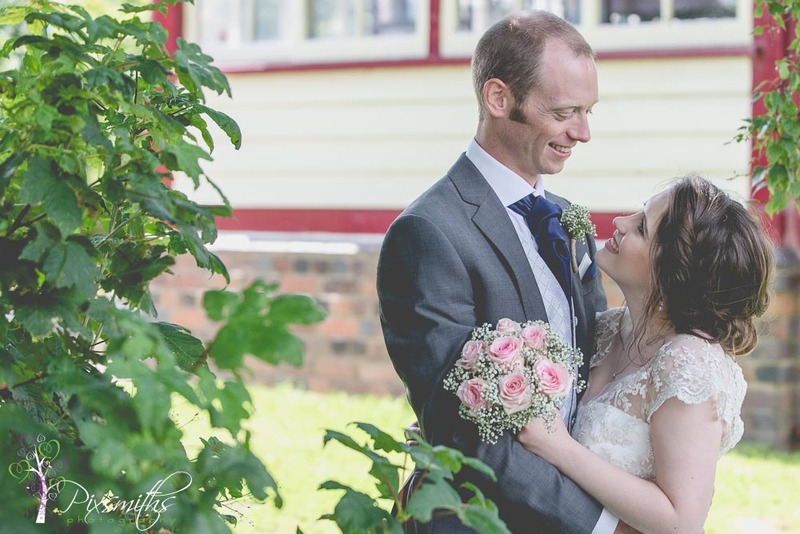 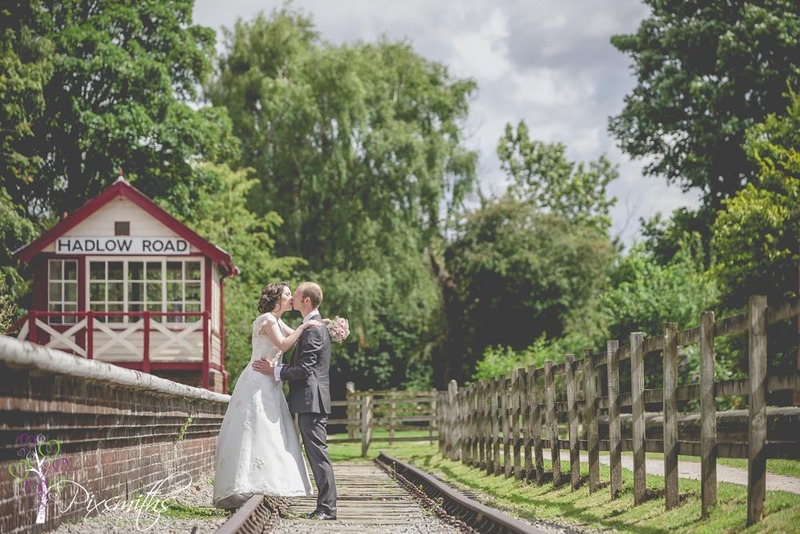 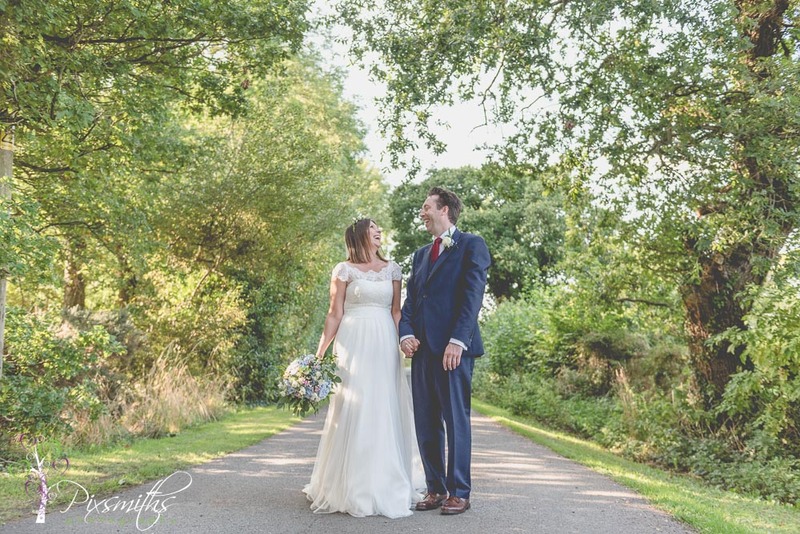 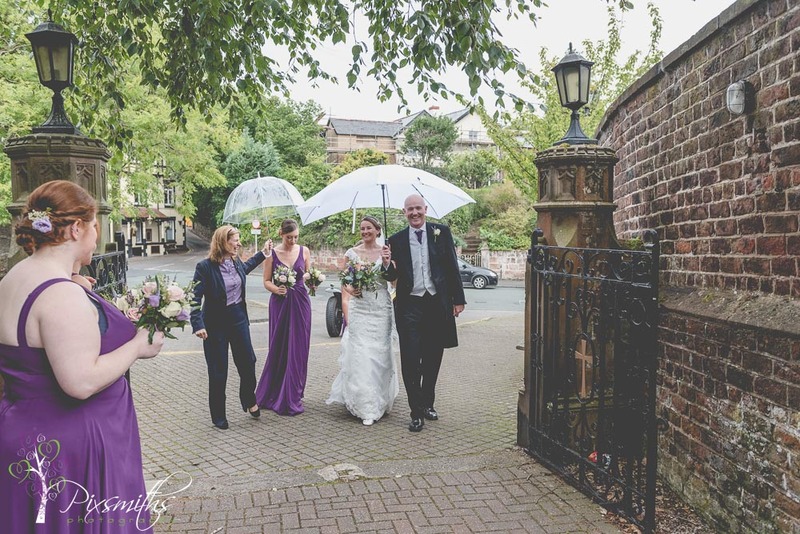 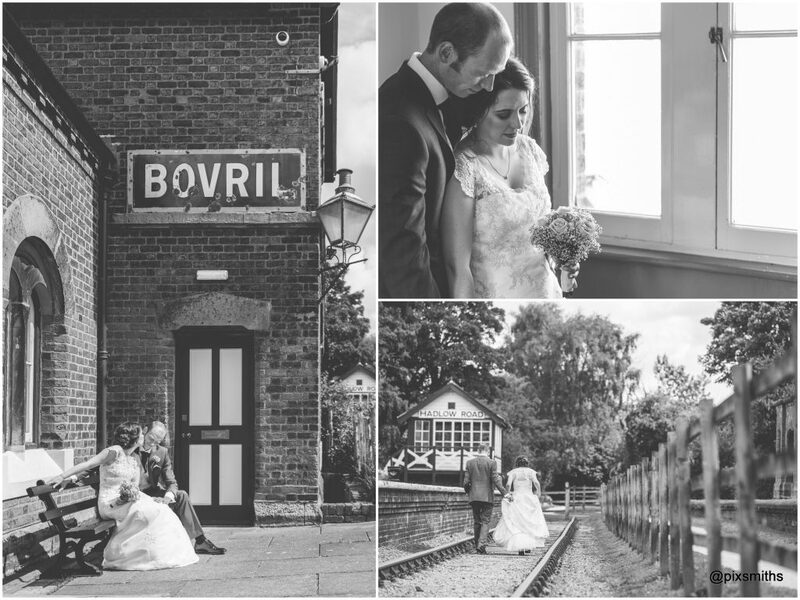 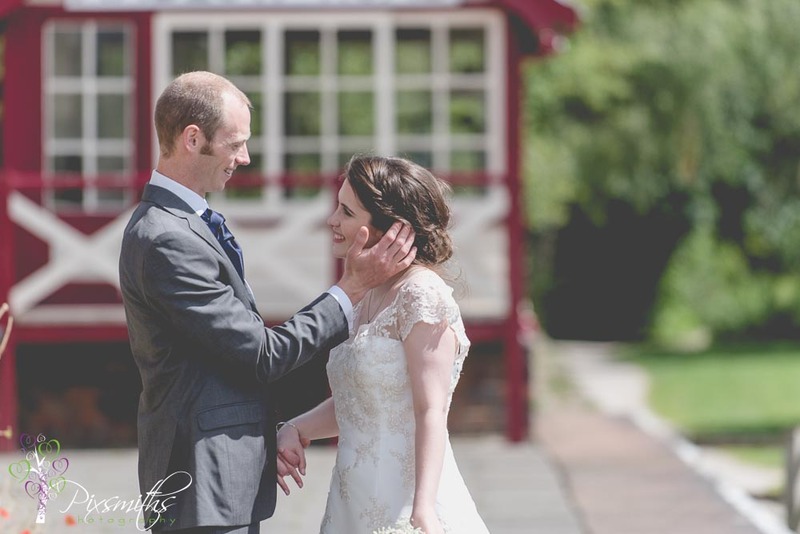 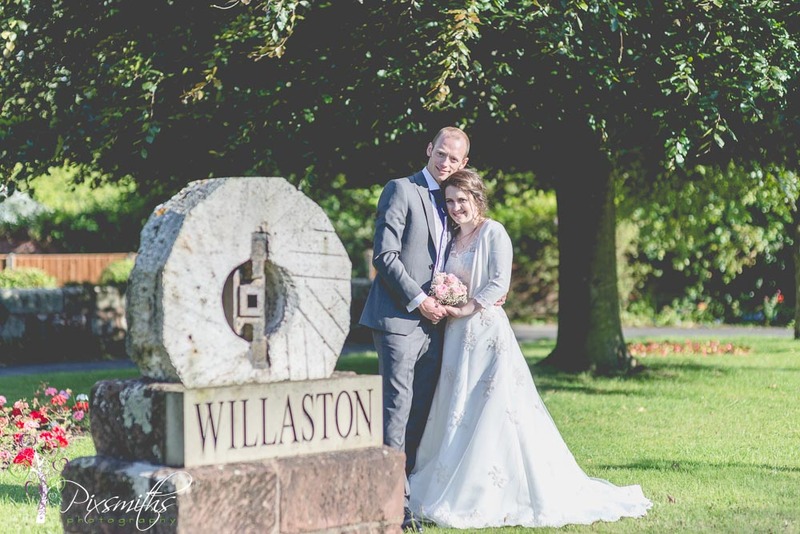 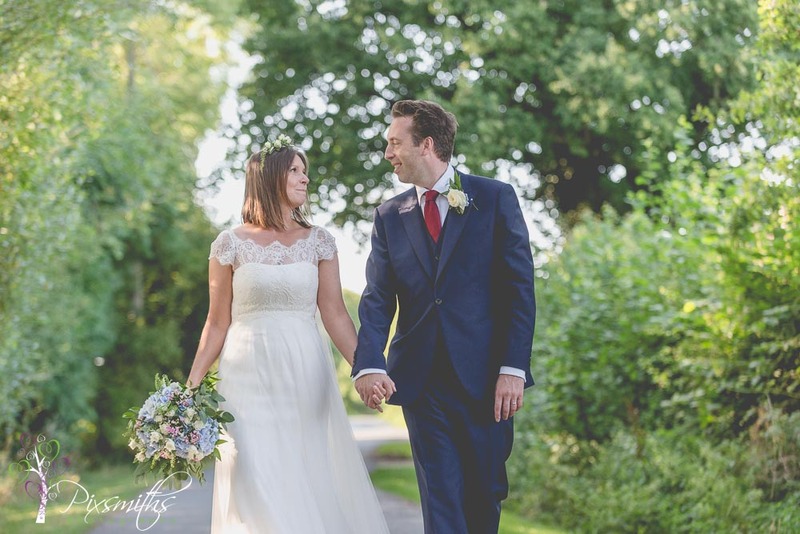 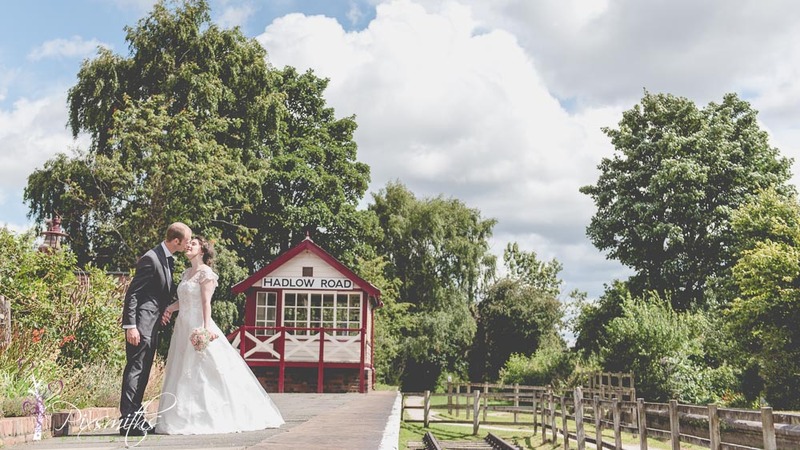 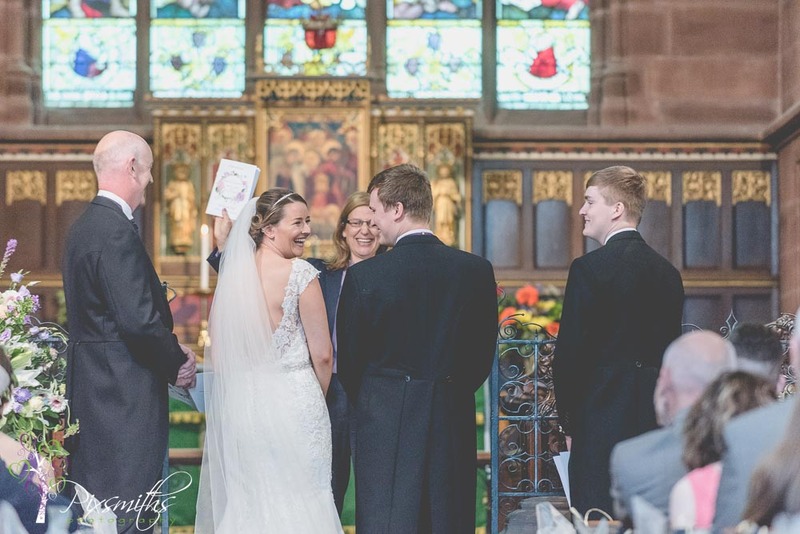 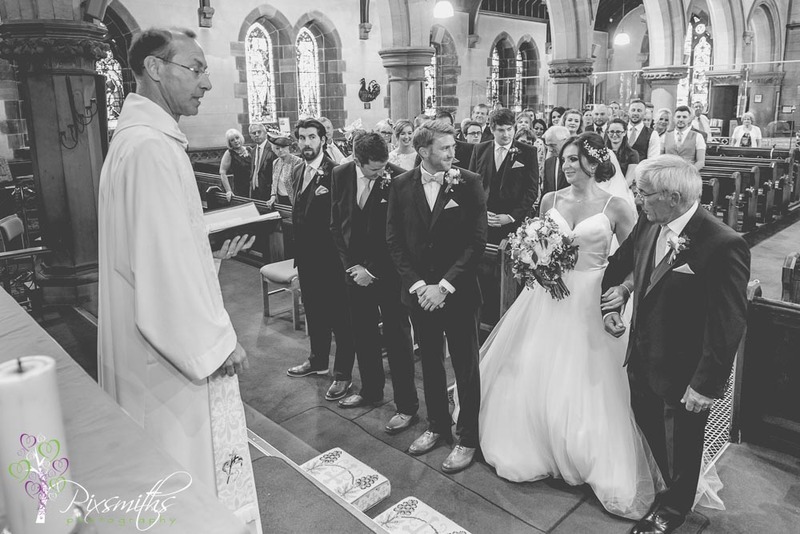 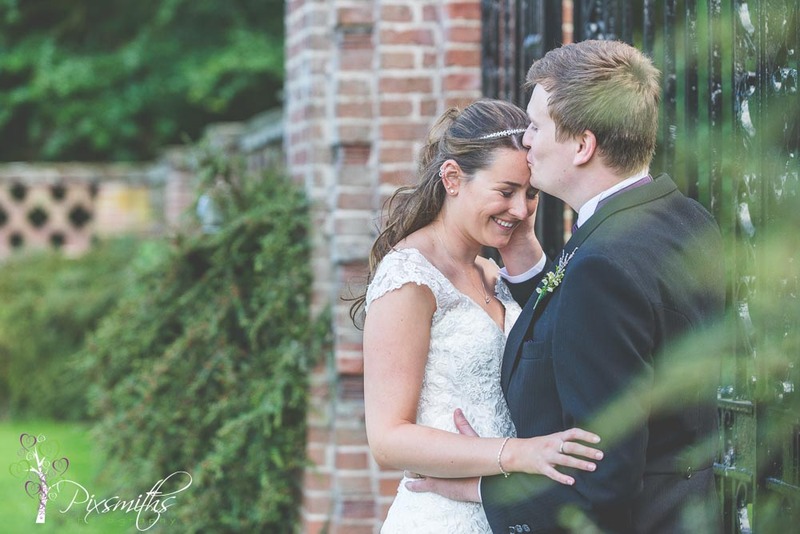 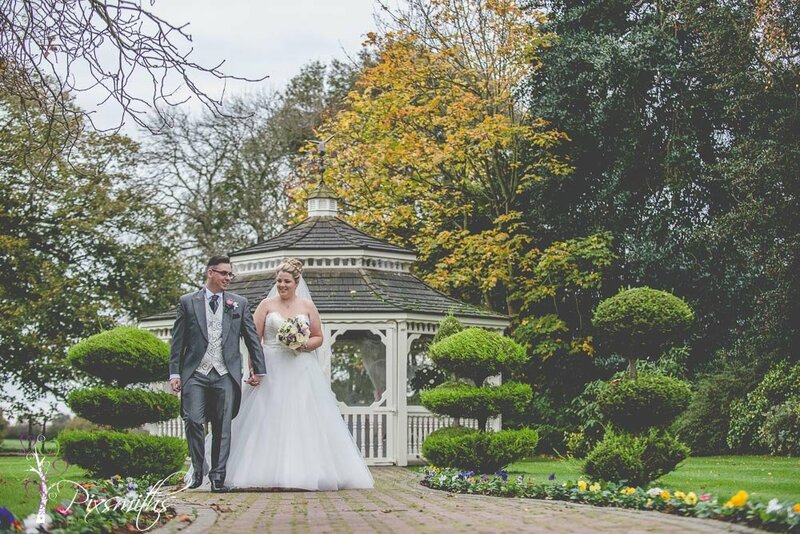 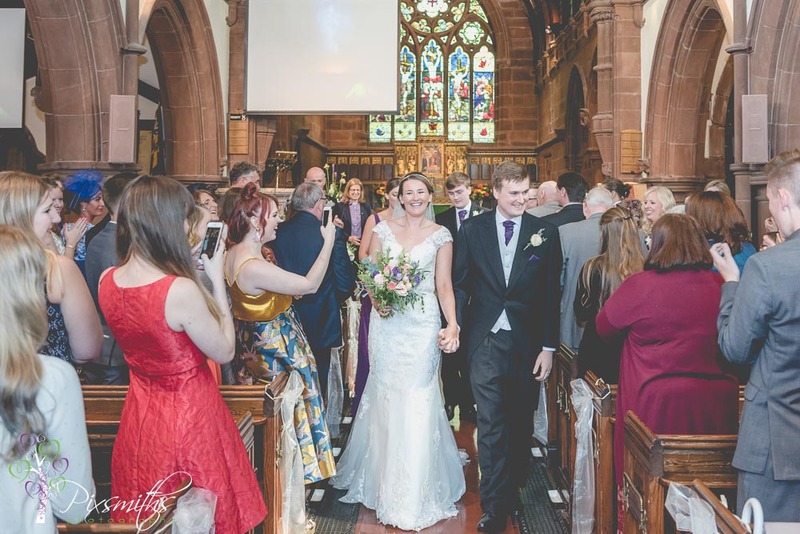 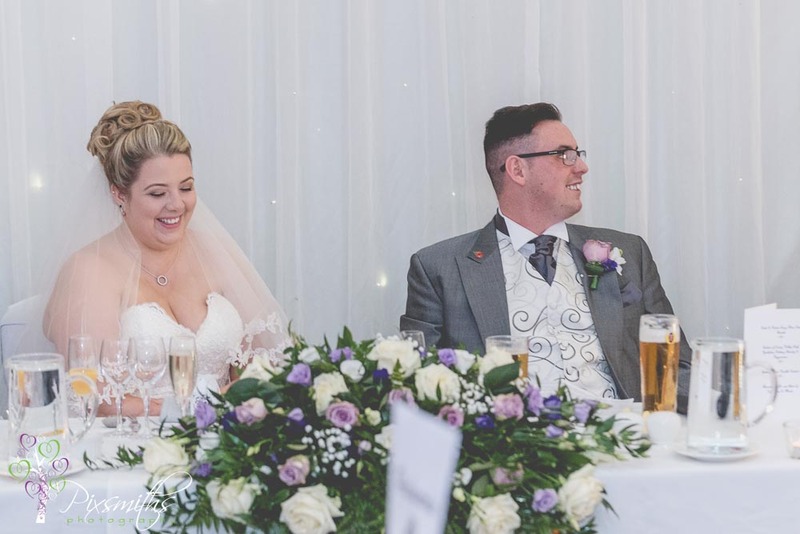 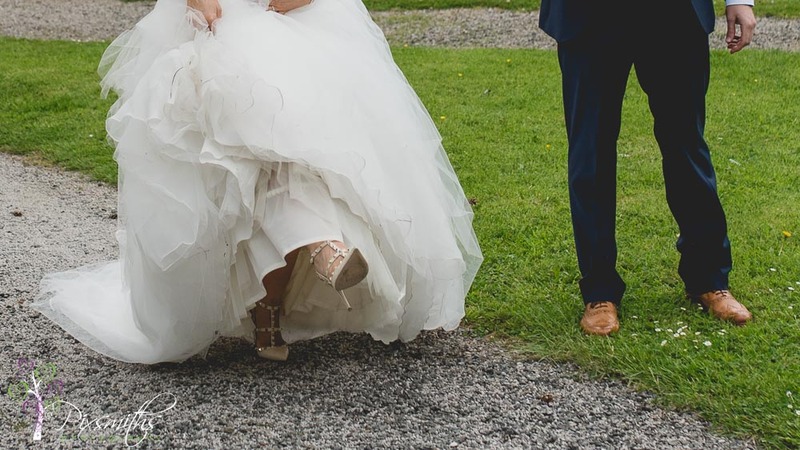 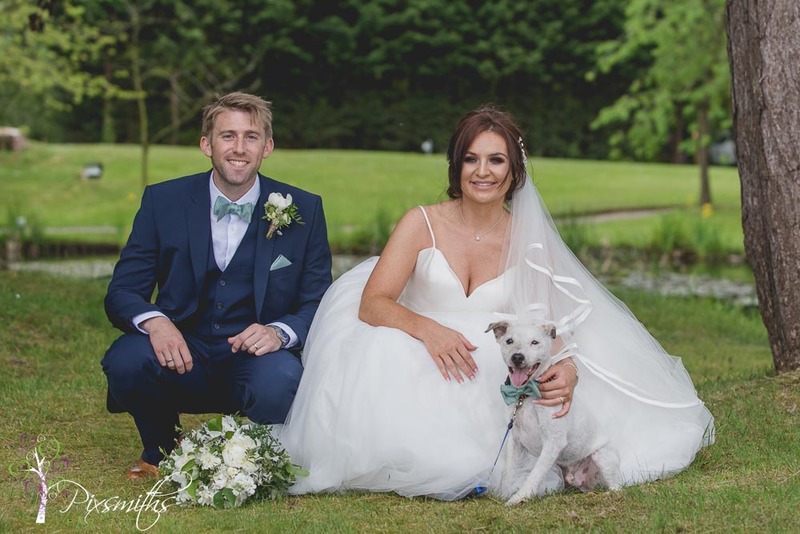 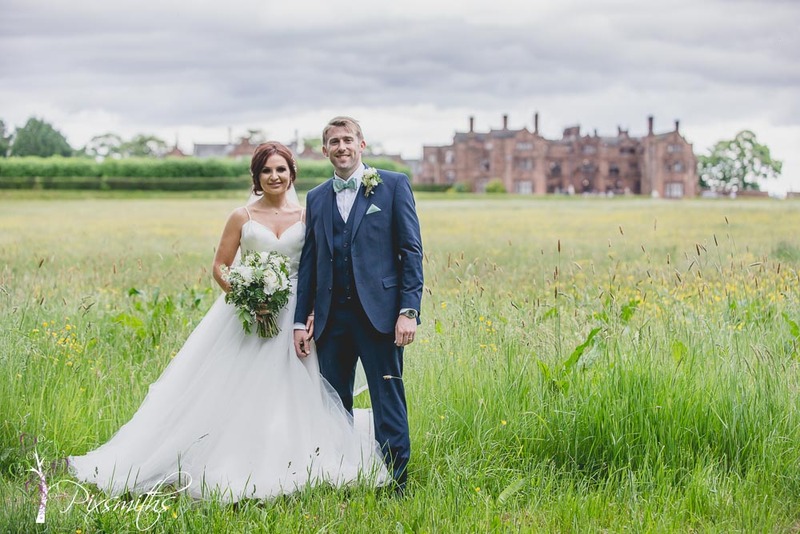 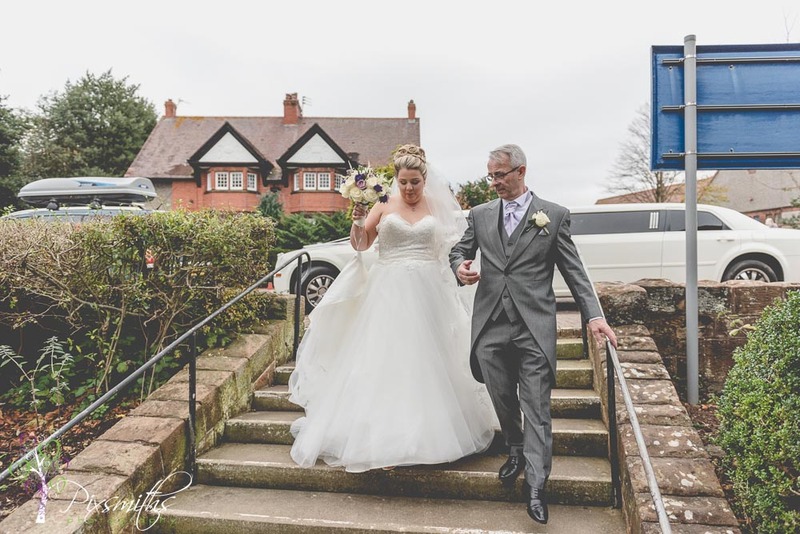 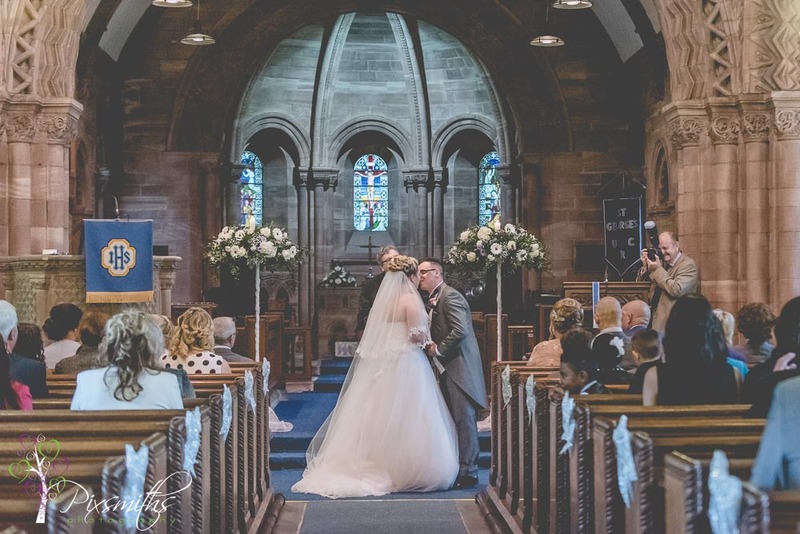 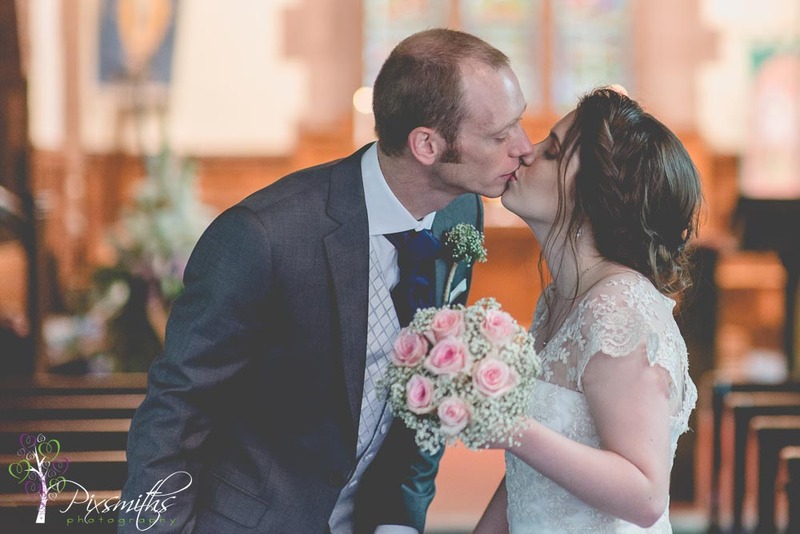 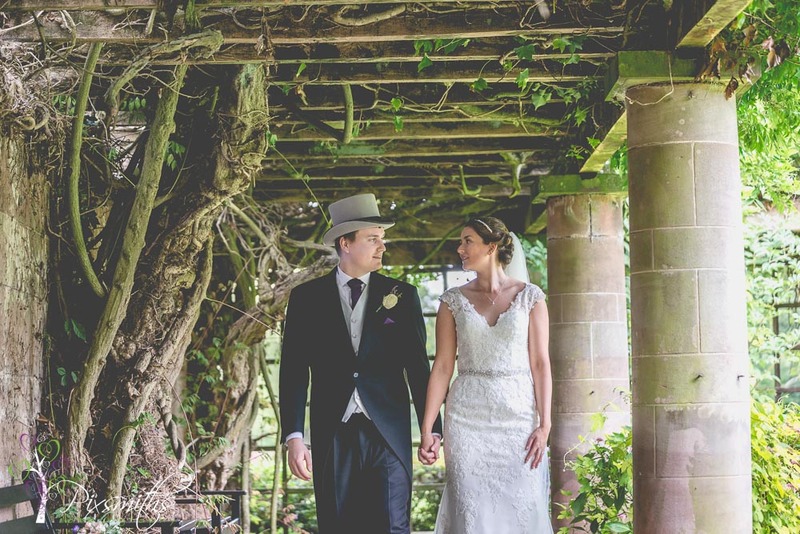 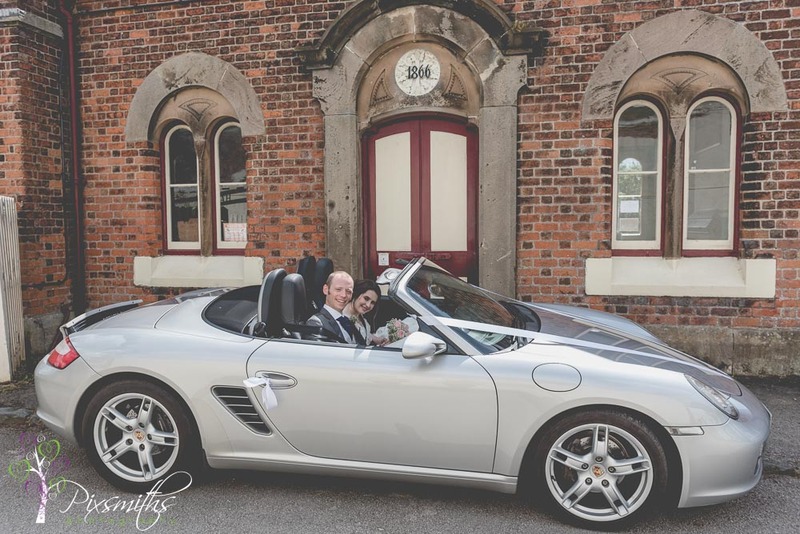 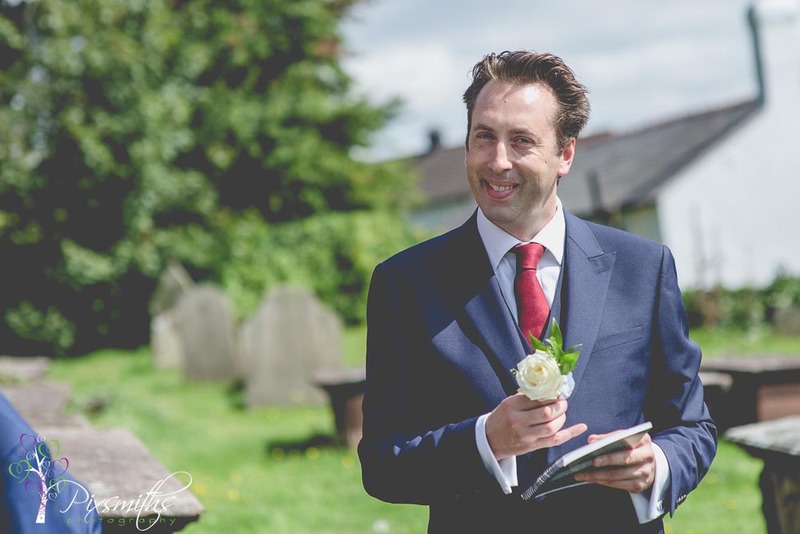 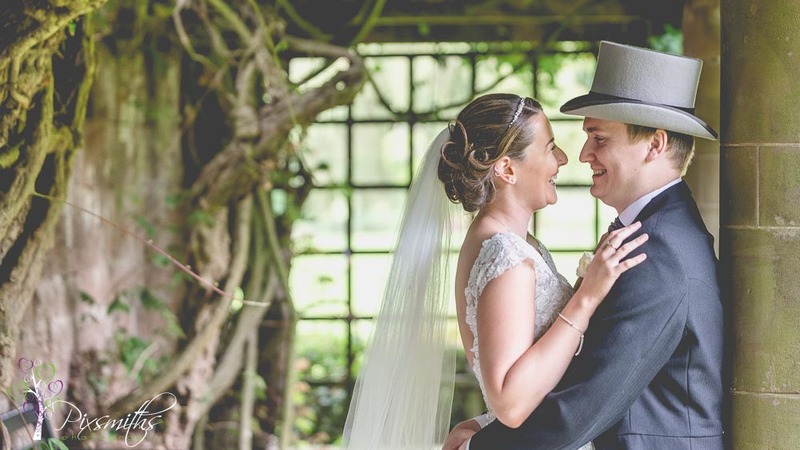 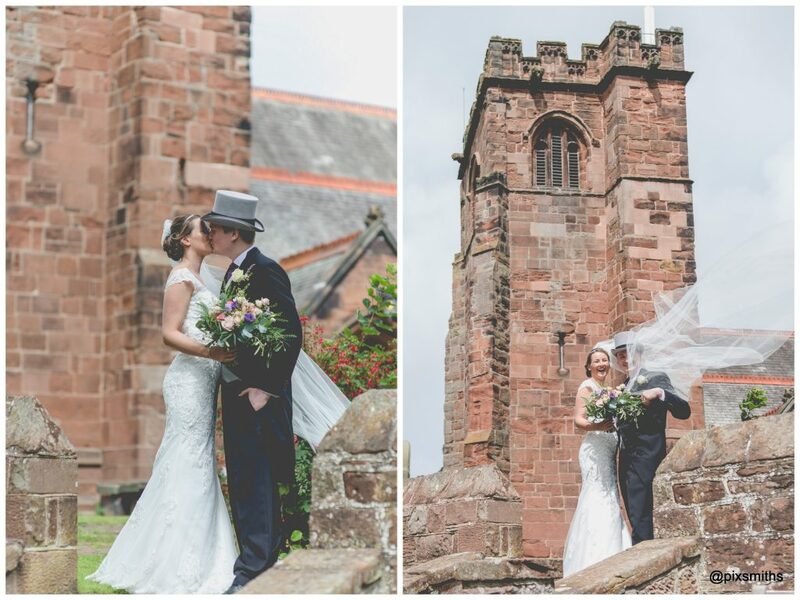 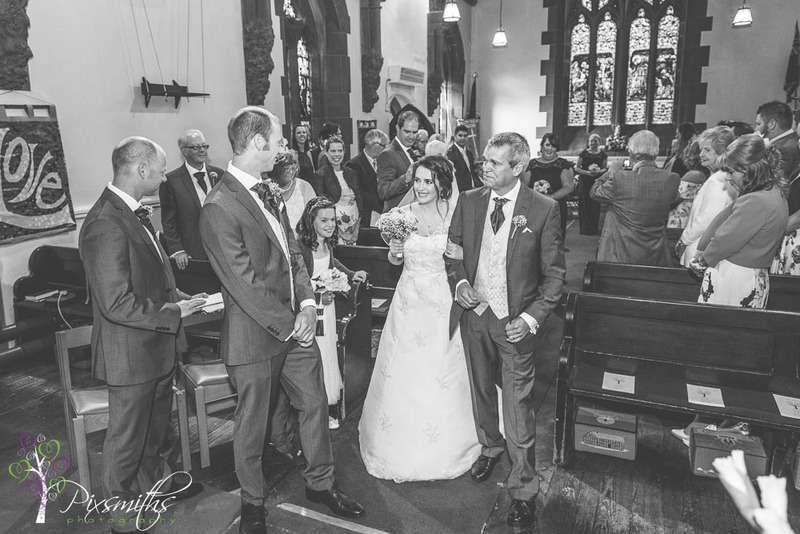 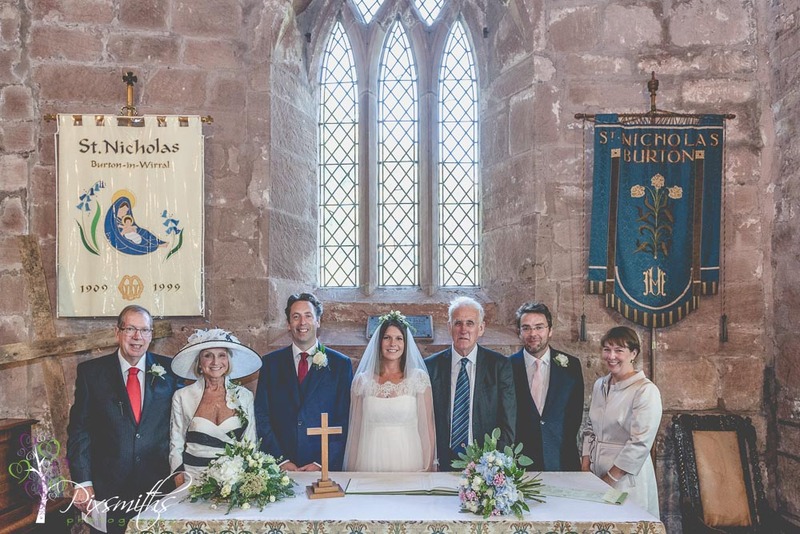 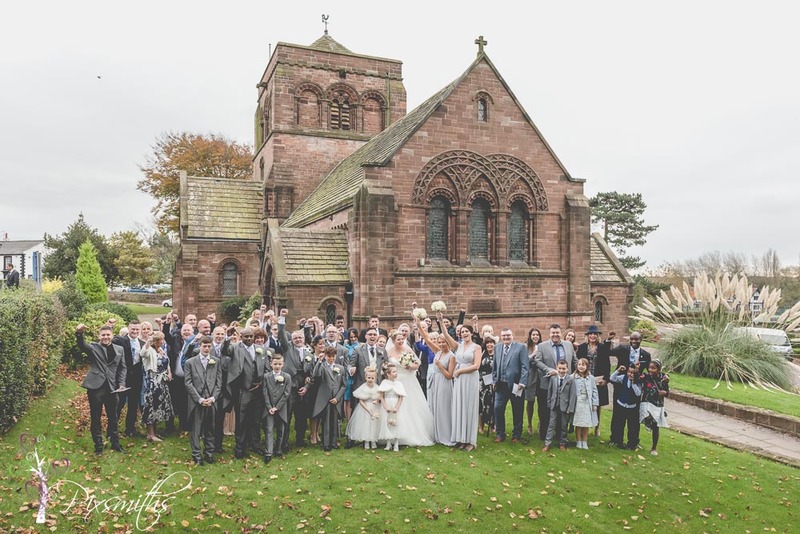 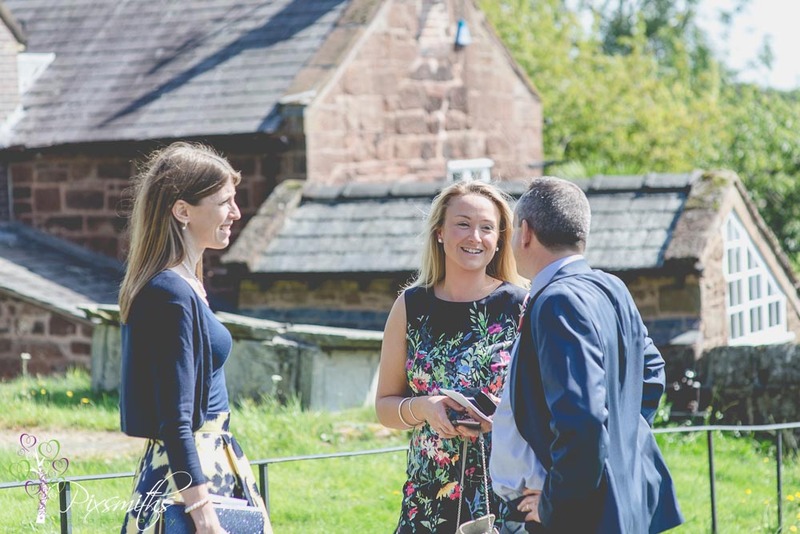 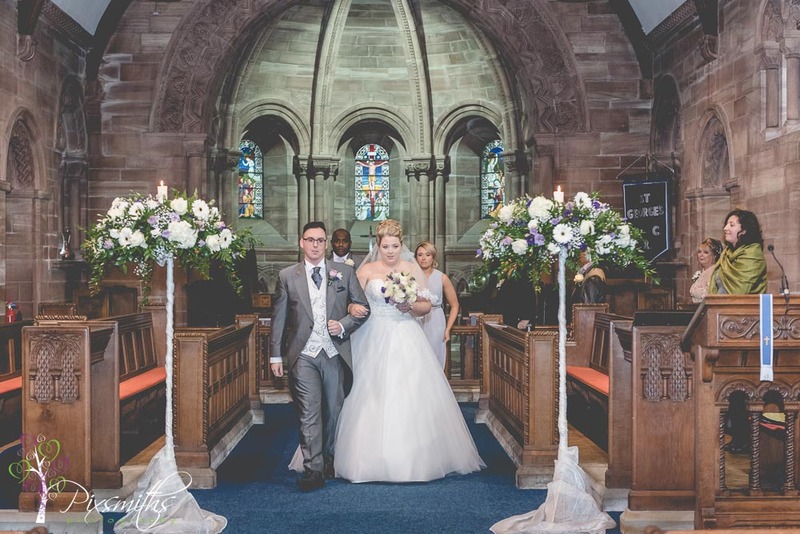 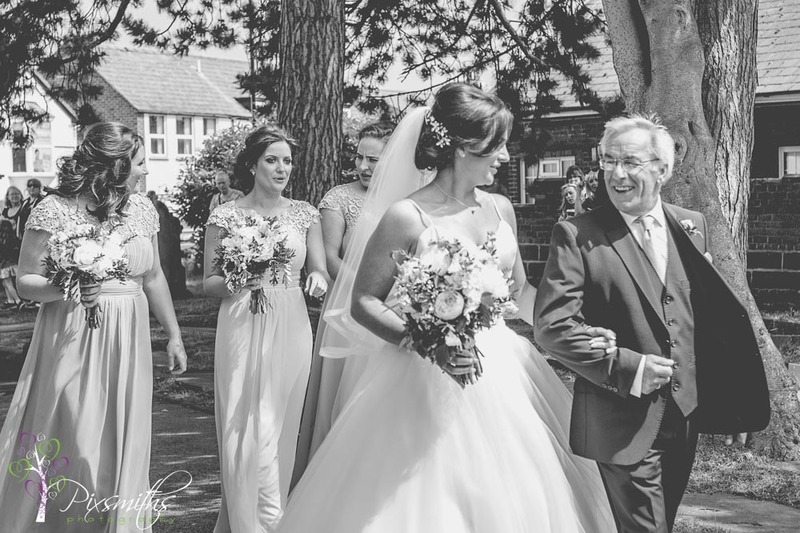 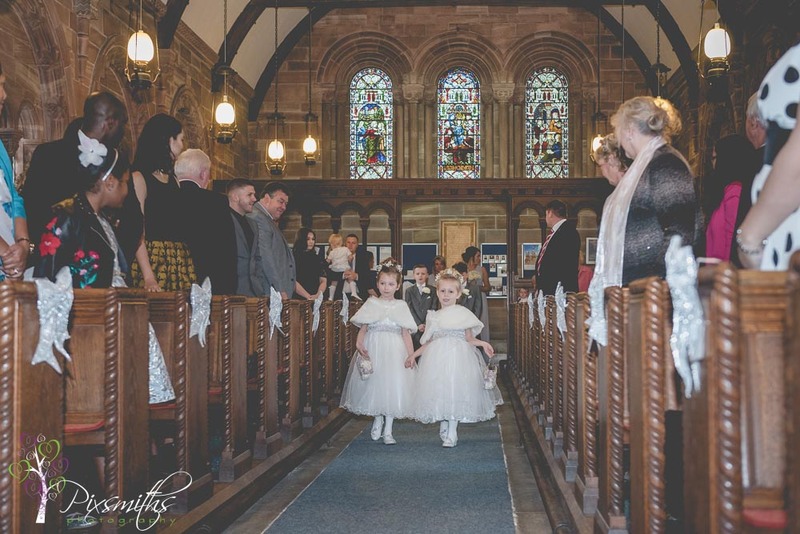 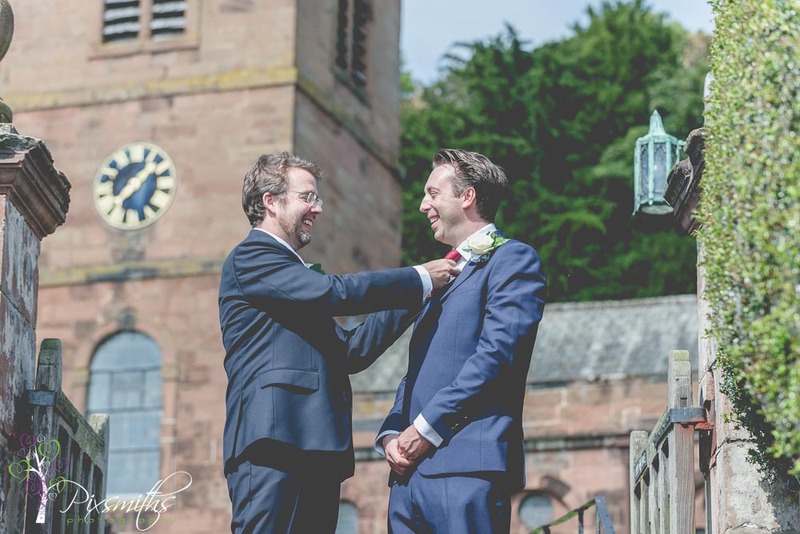 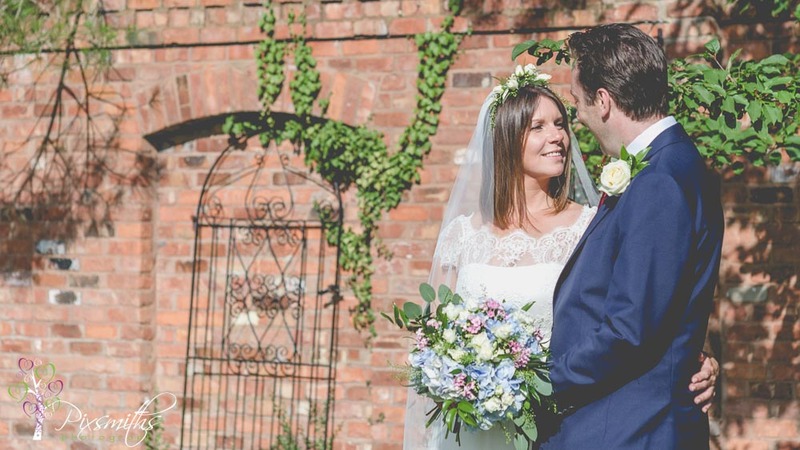 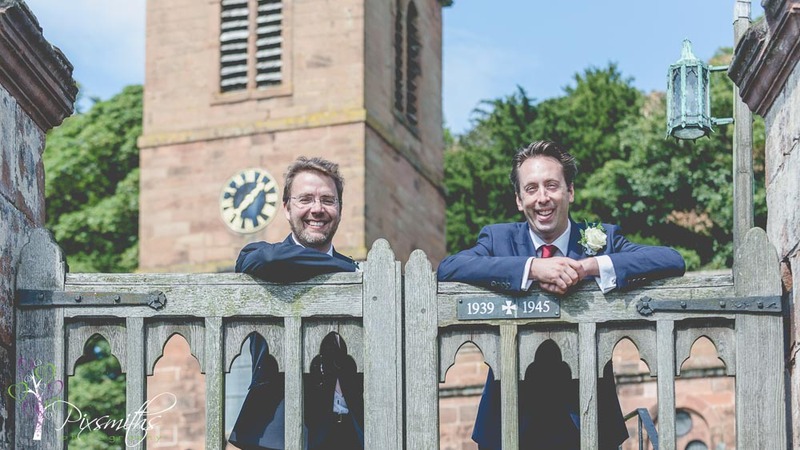 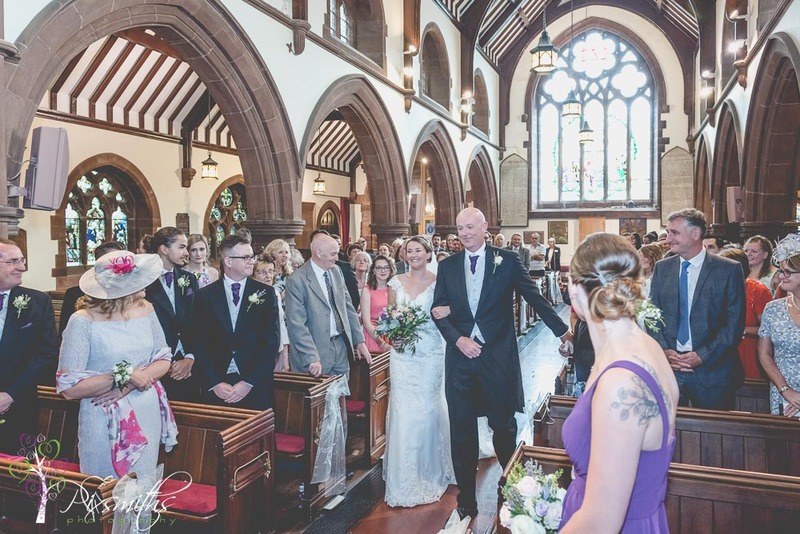 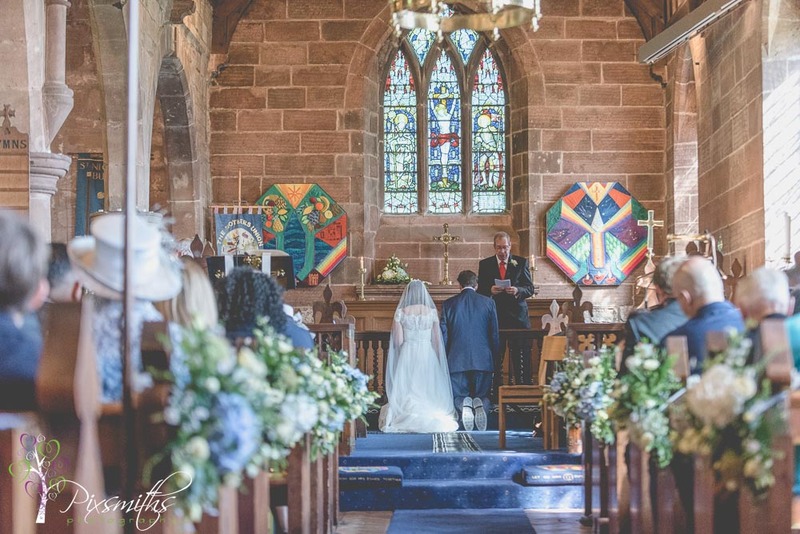 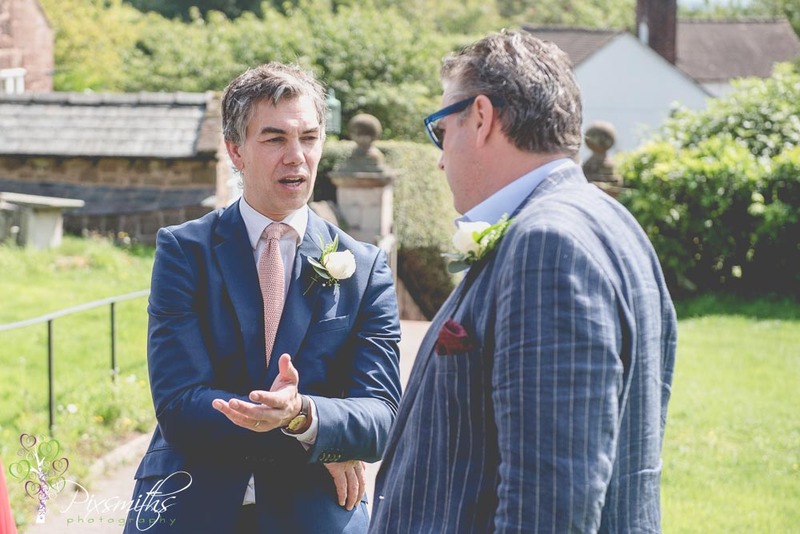 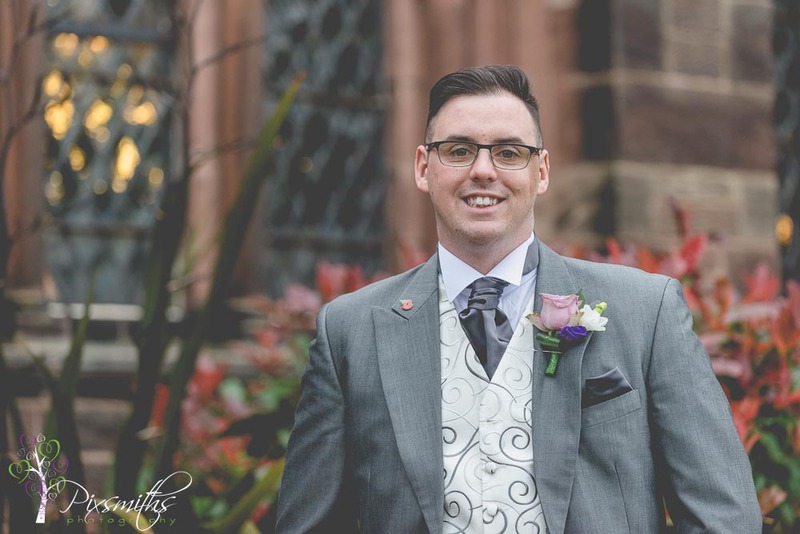 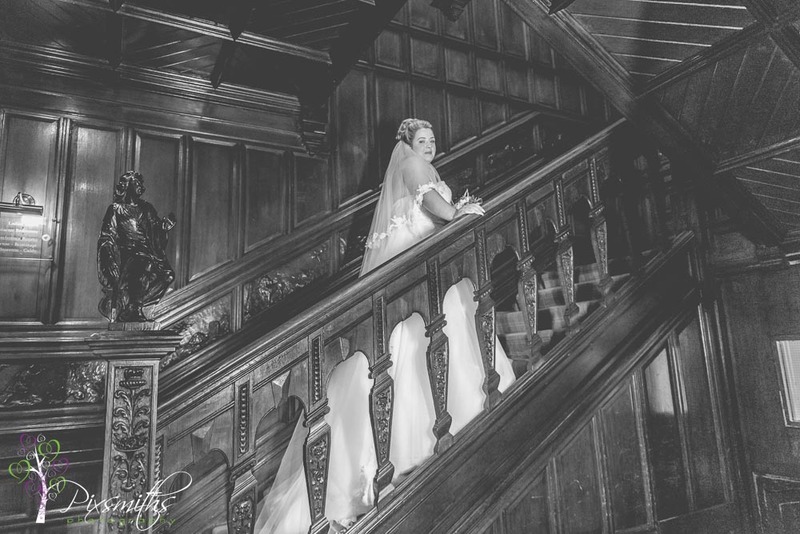 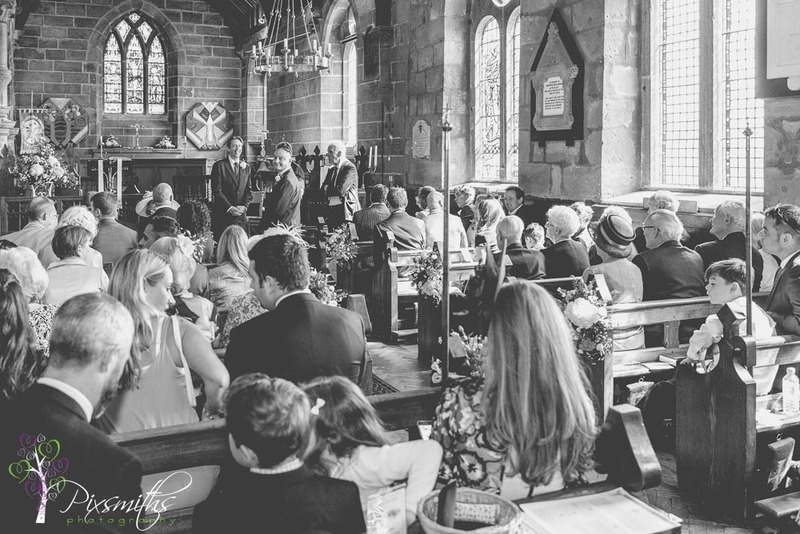 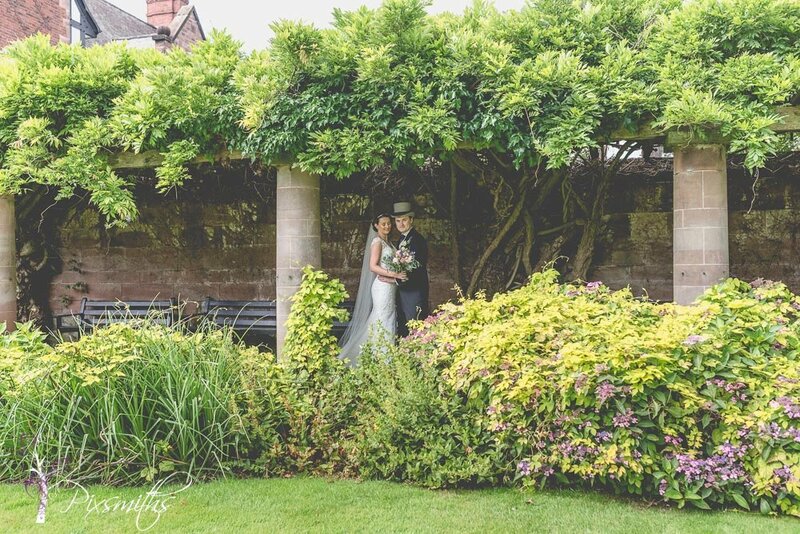 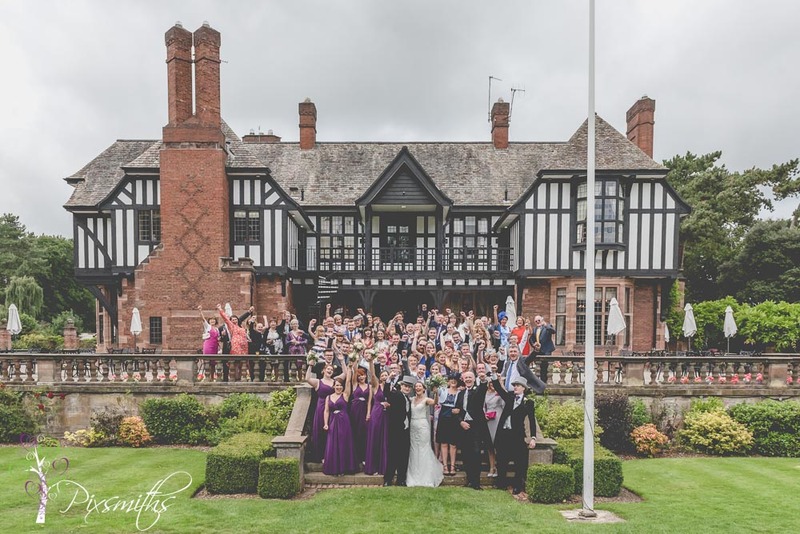 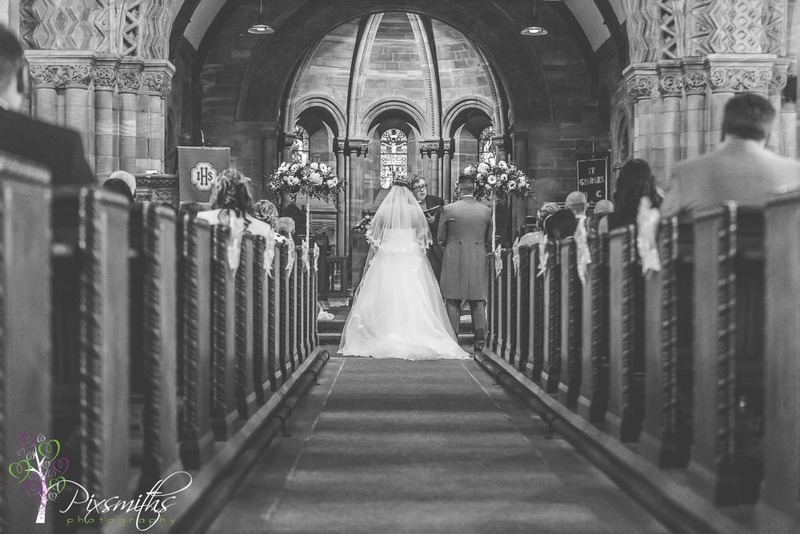 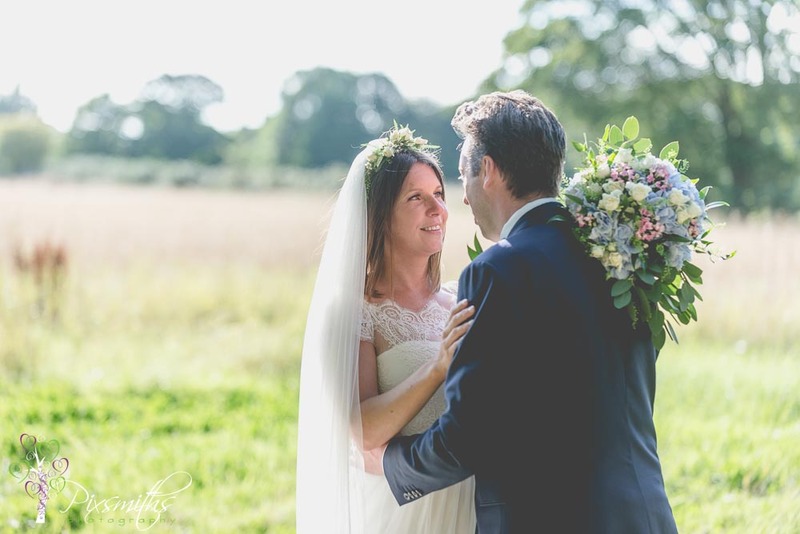 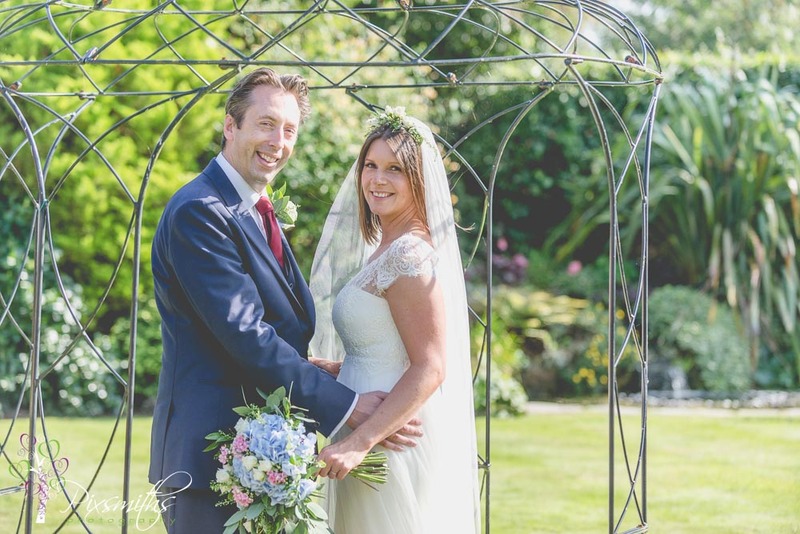 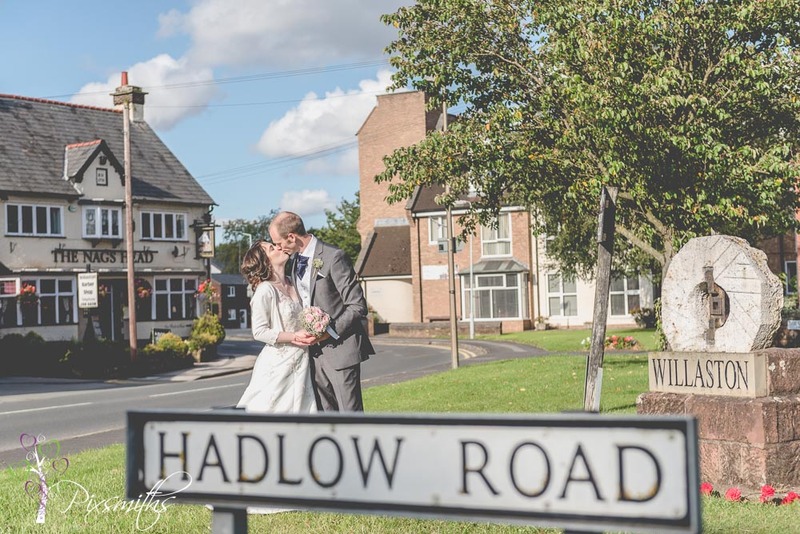 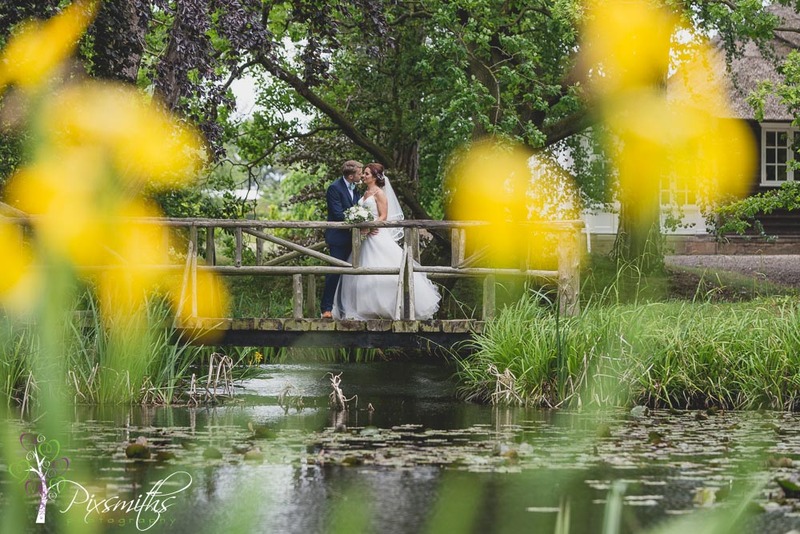 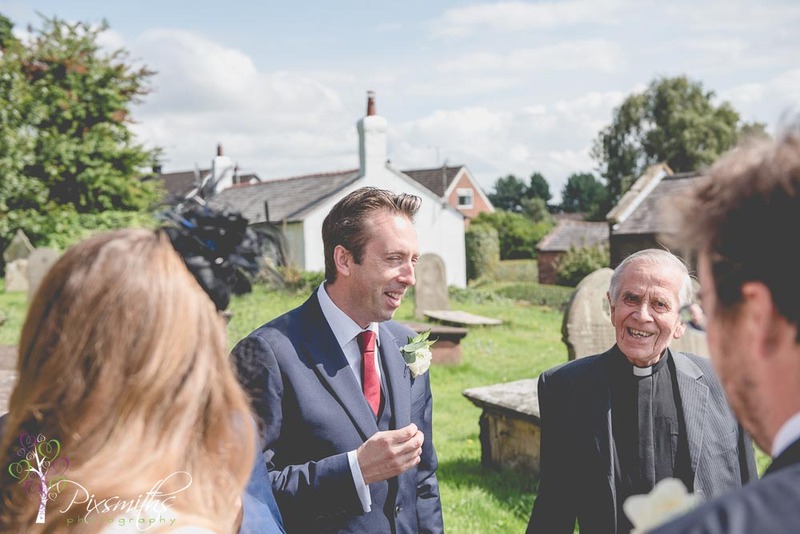 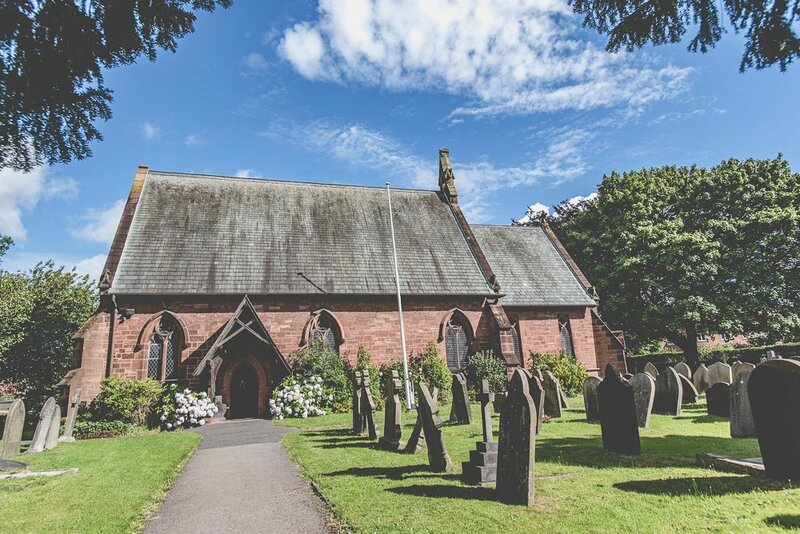 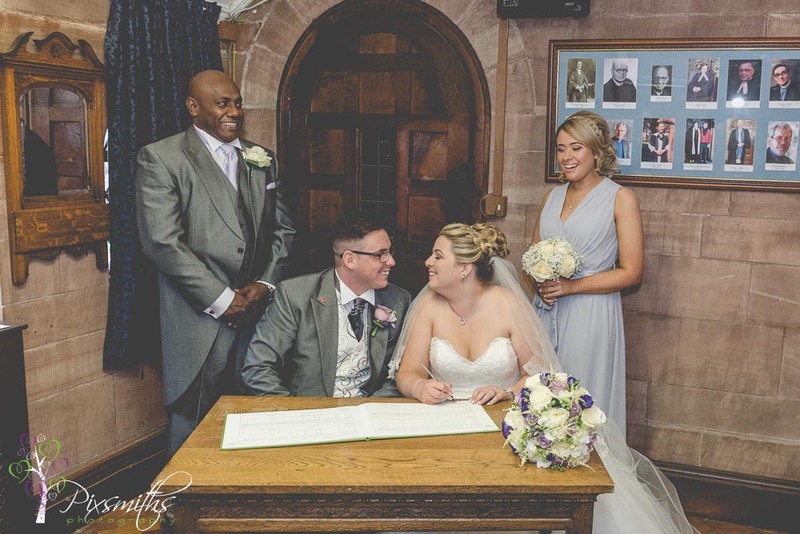 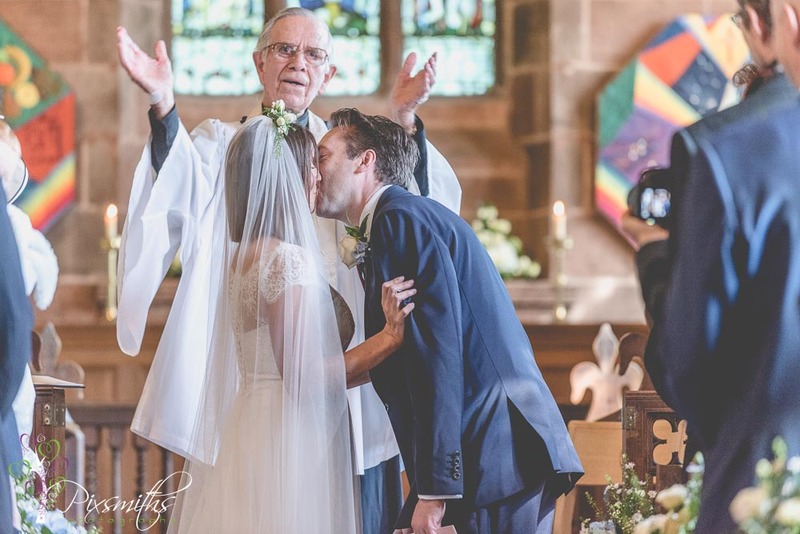 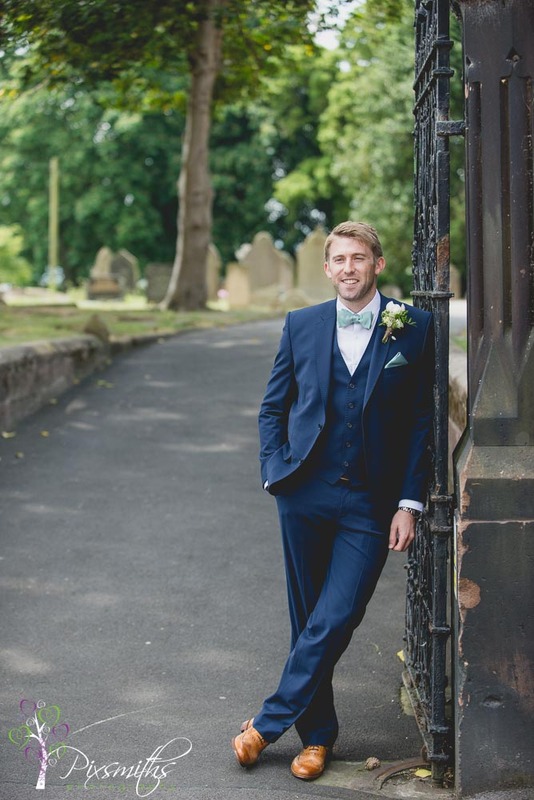 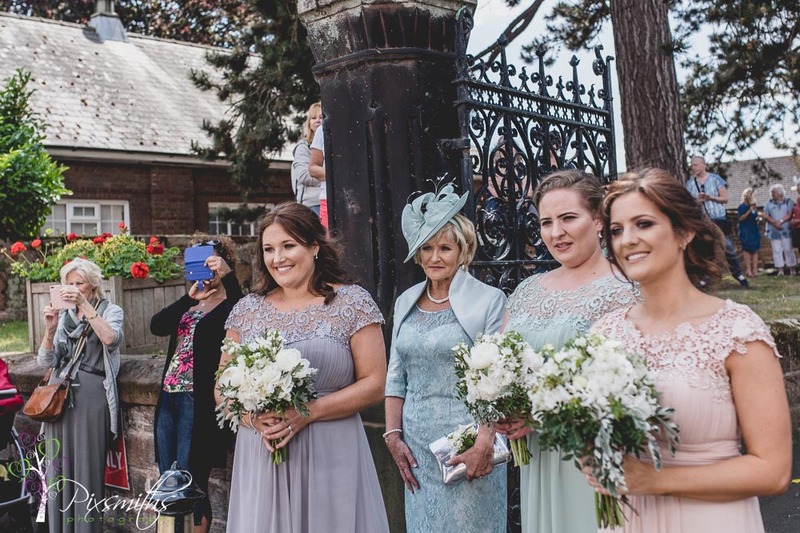 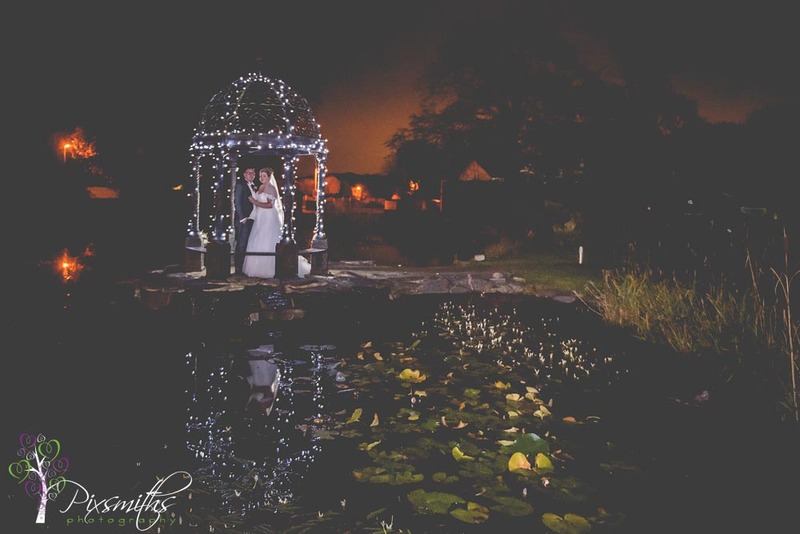 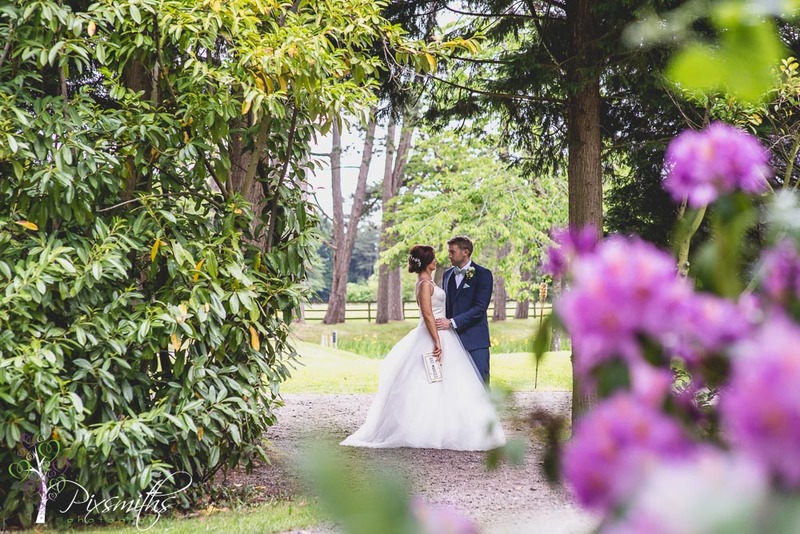 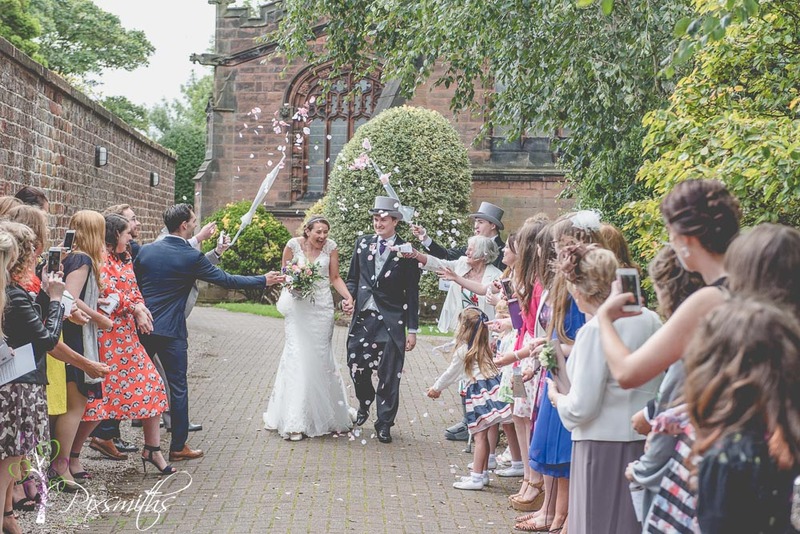 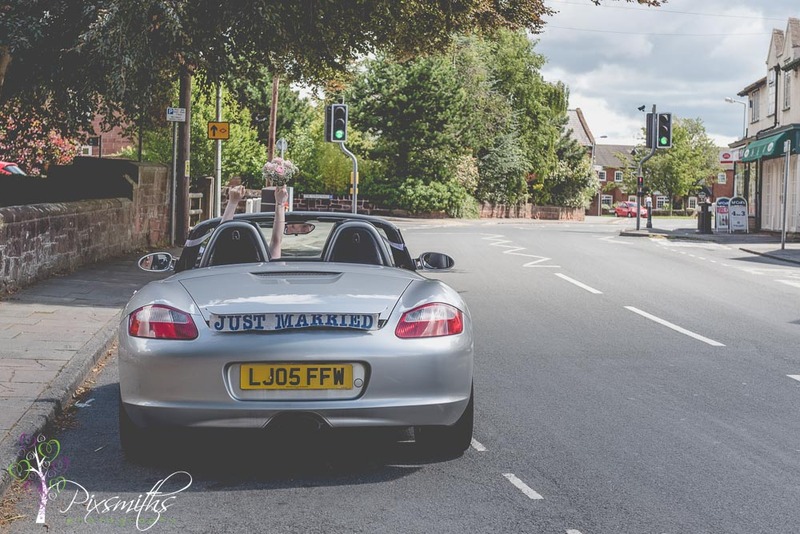 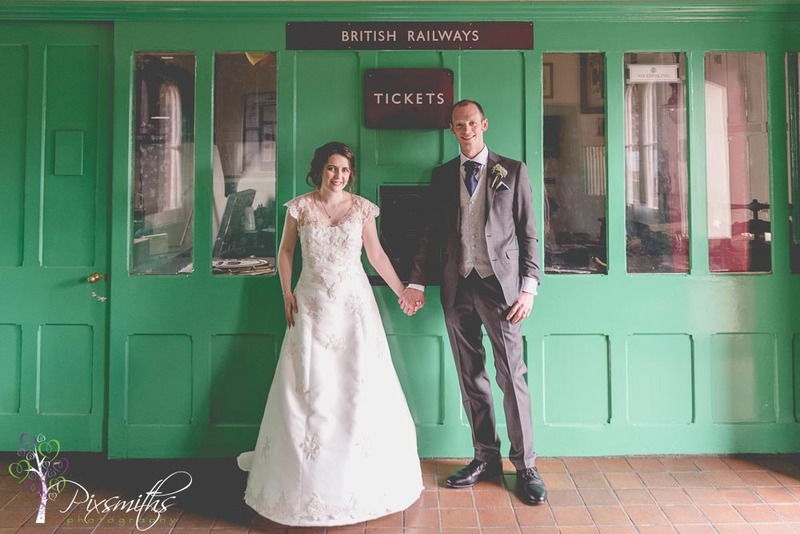 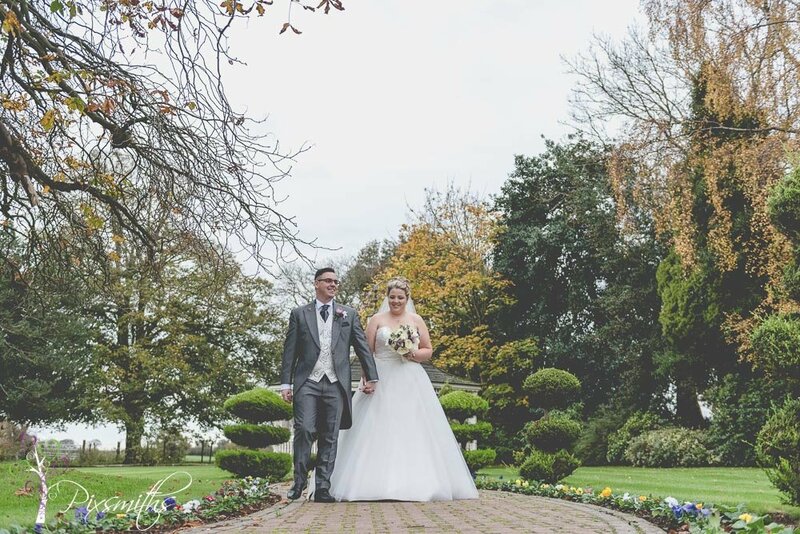 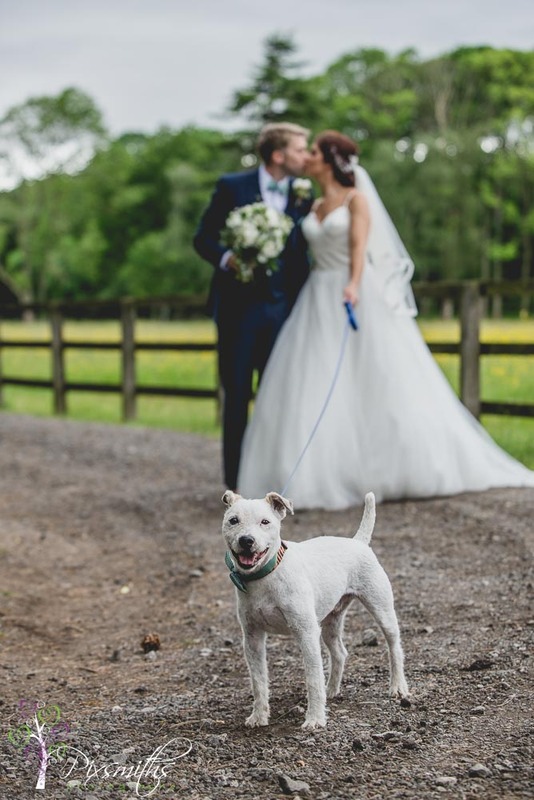 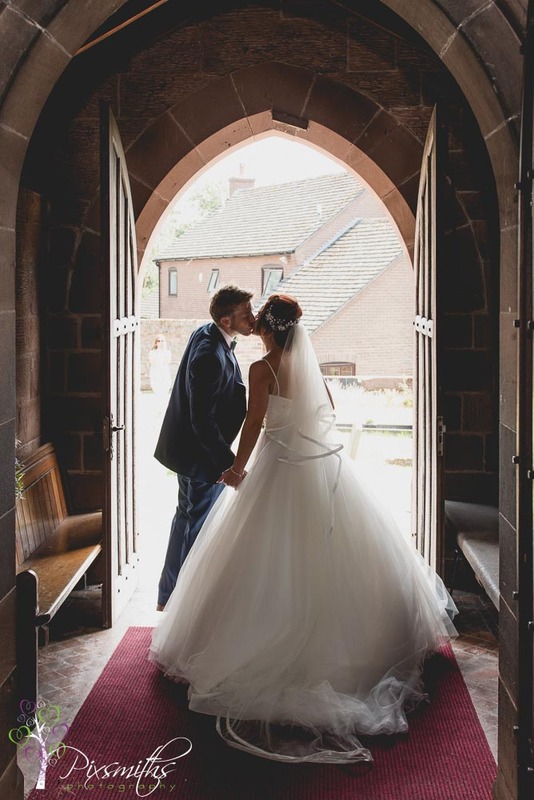 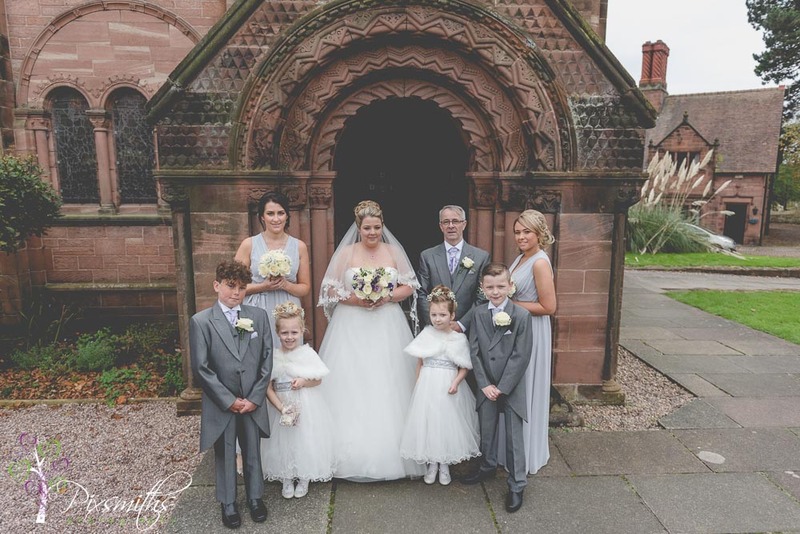 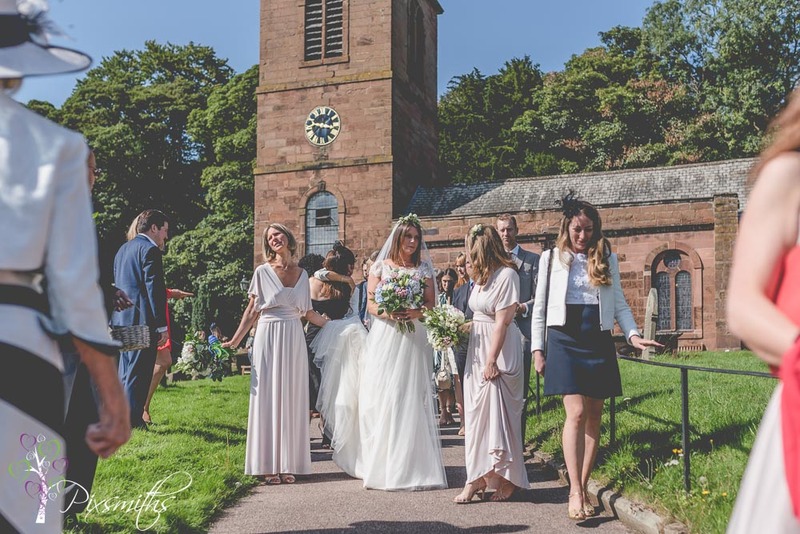 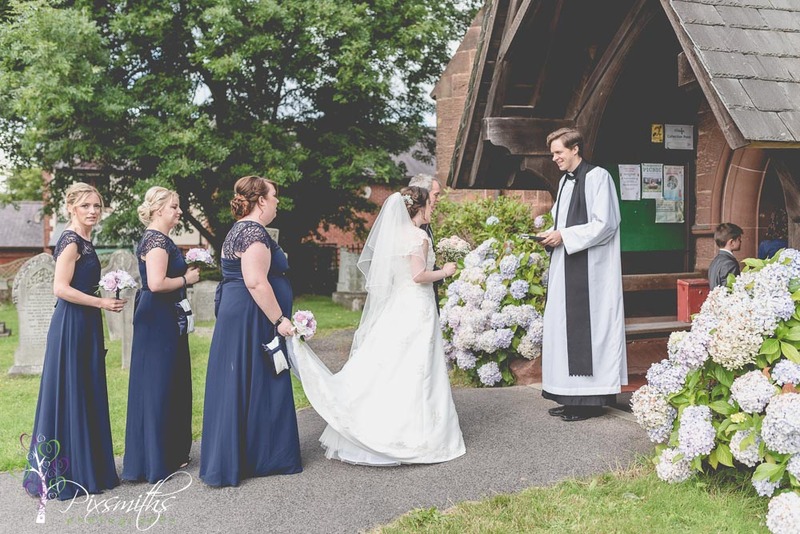 Willaston is a beautiful Cheshire village, renowned for its historic buildings and award winning best kept village so we were delighted when Phil and Stephanie asked us to cover their Willaston Wedding Photography. 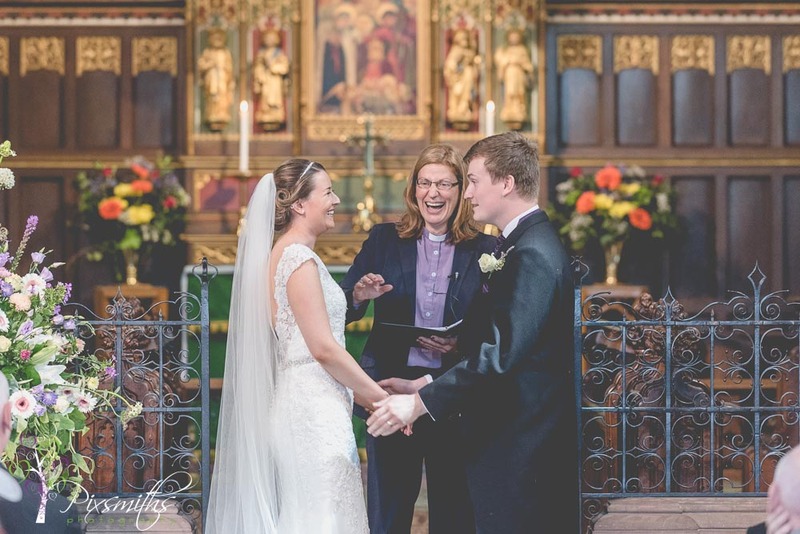 They met at Cambridge university where they were attracted to each other in the Chemistry lab – so true chemistry for these two! 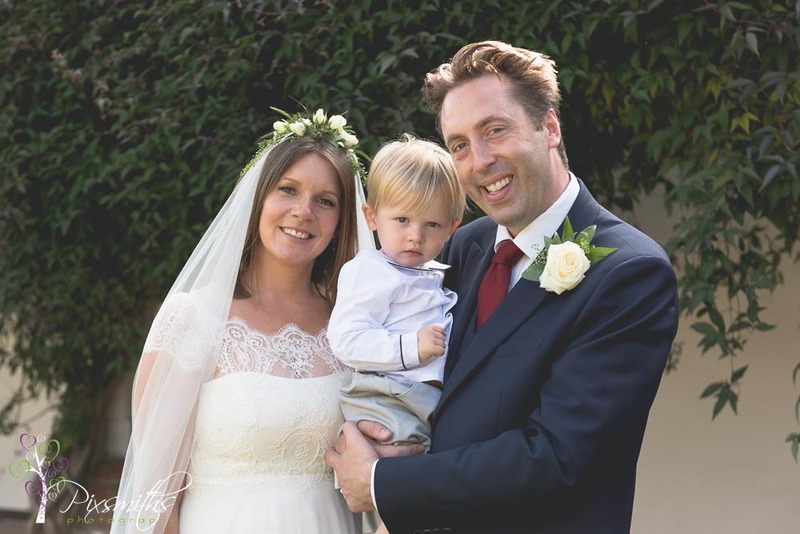 Their relationship was long distance at times with Steph doing her best to follow wherever he had jobs. 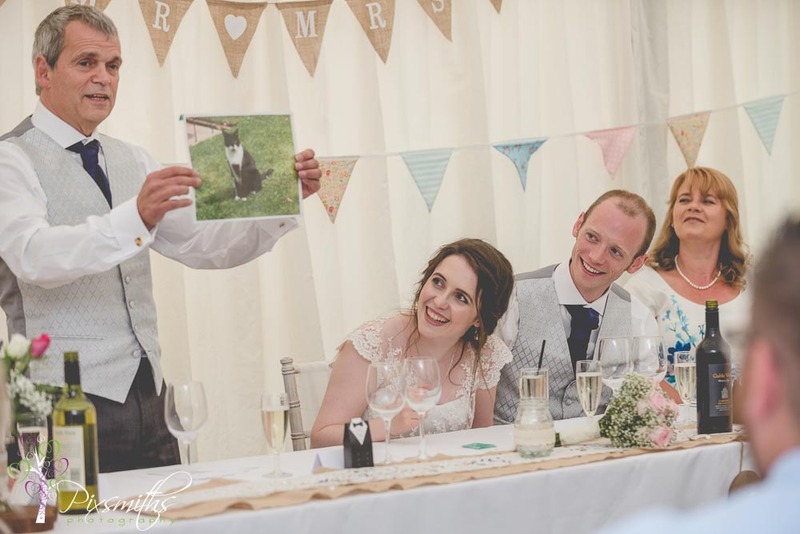 When they got a cat together they knew it was serious! 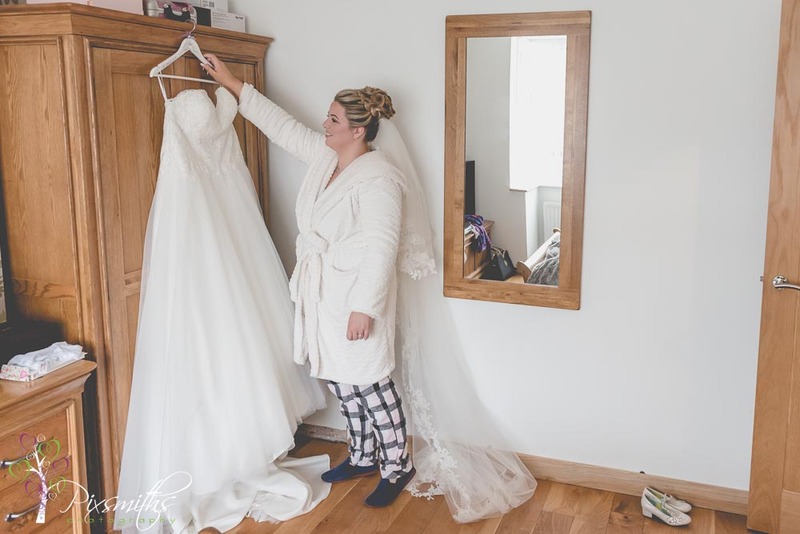 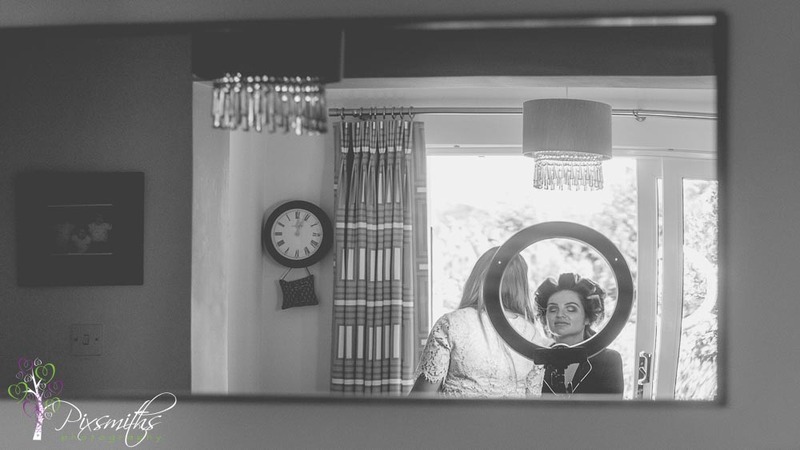 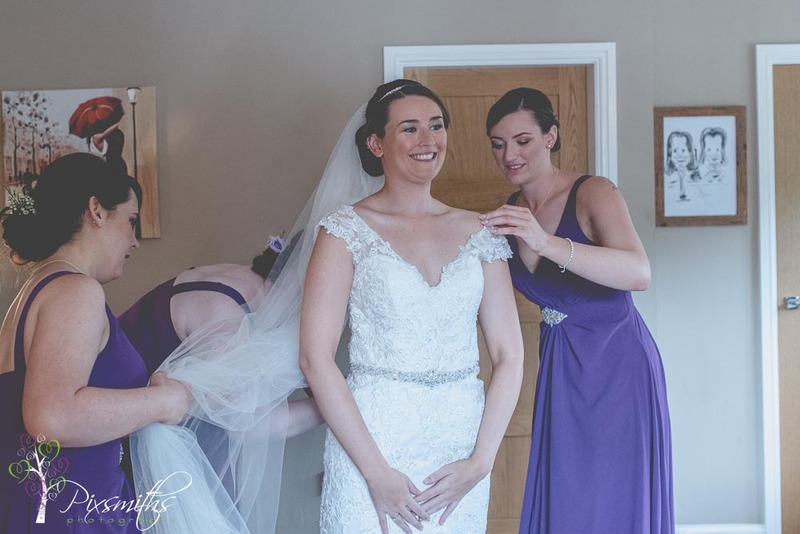 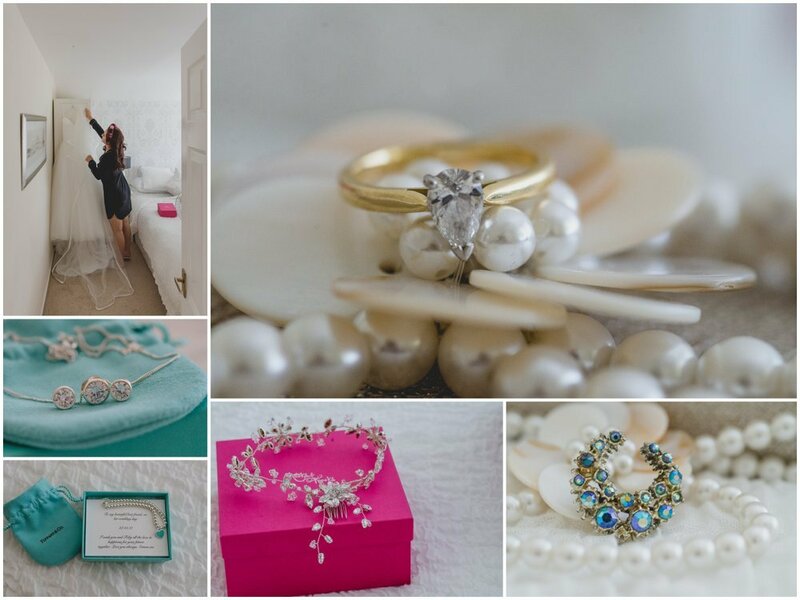 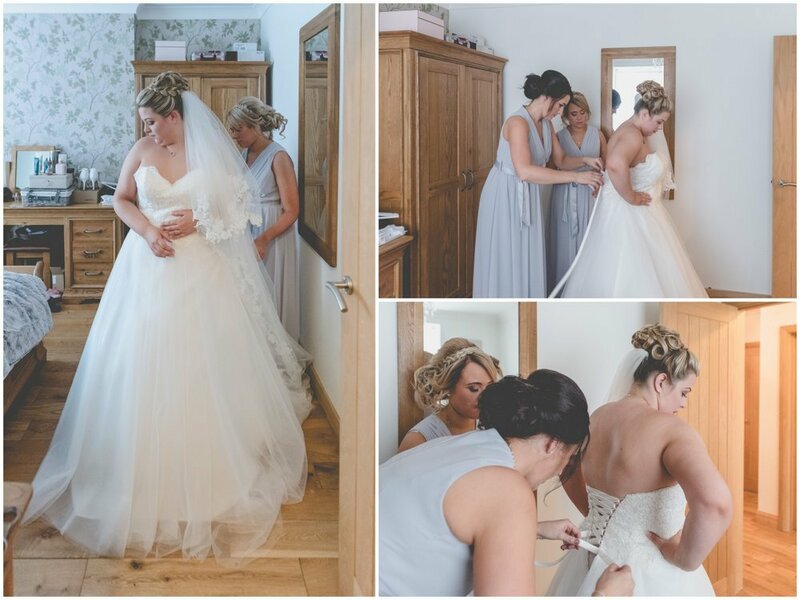 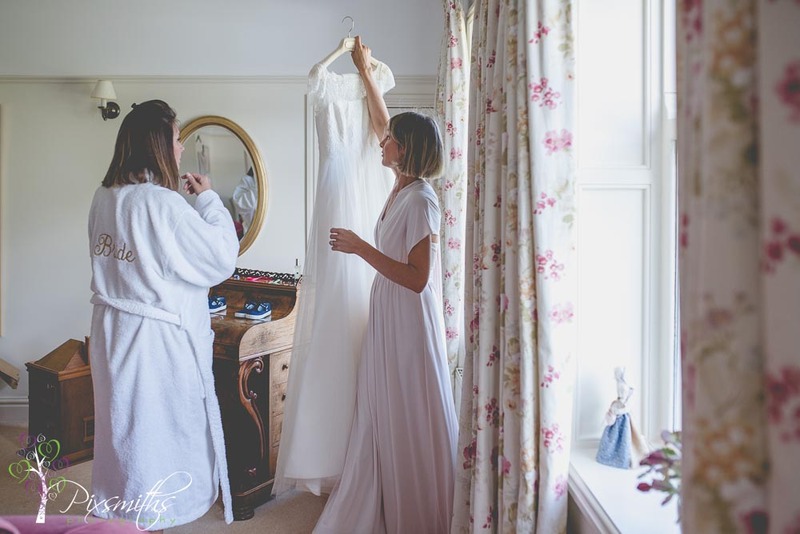 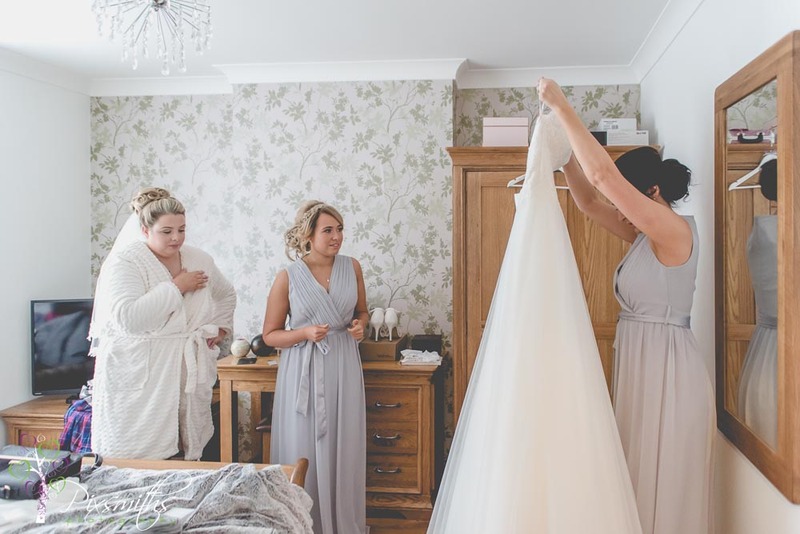 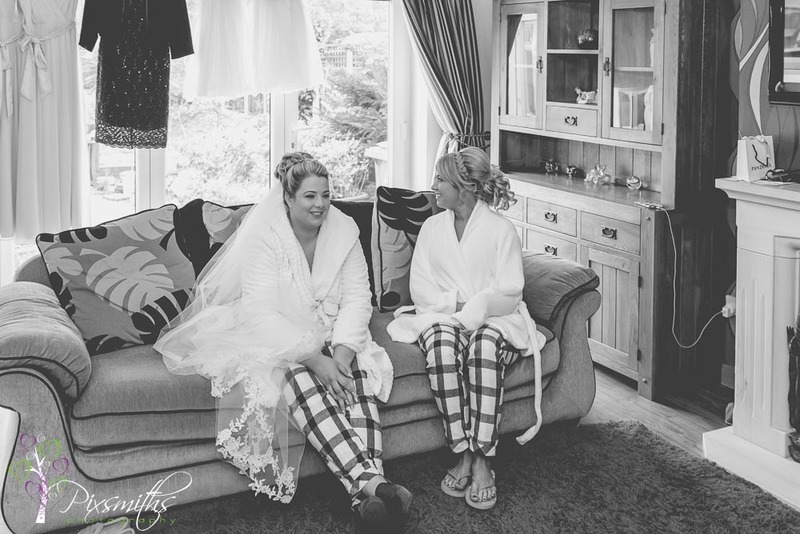 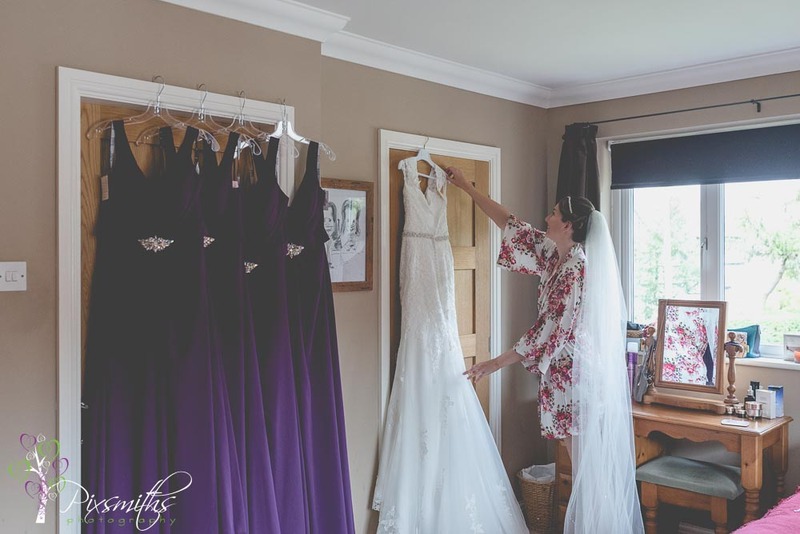 First though bridal preps for Steph at their gorgeous home on Hadlow Road – see a very local Willaston Wedding Photography day! 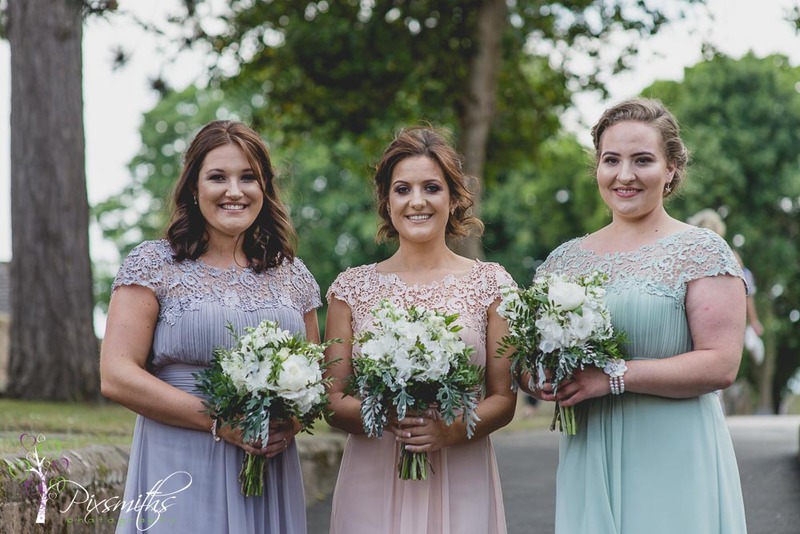 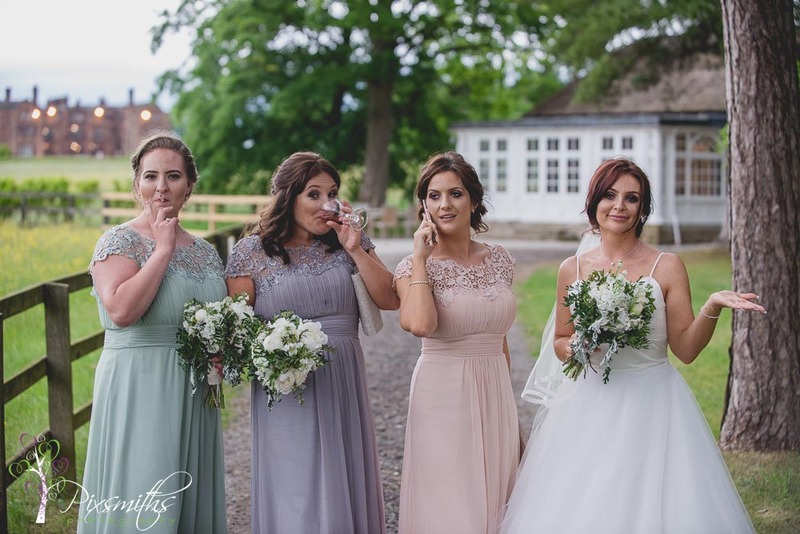 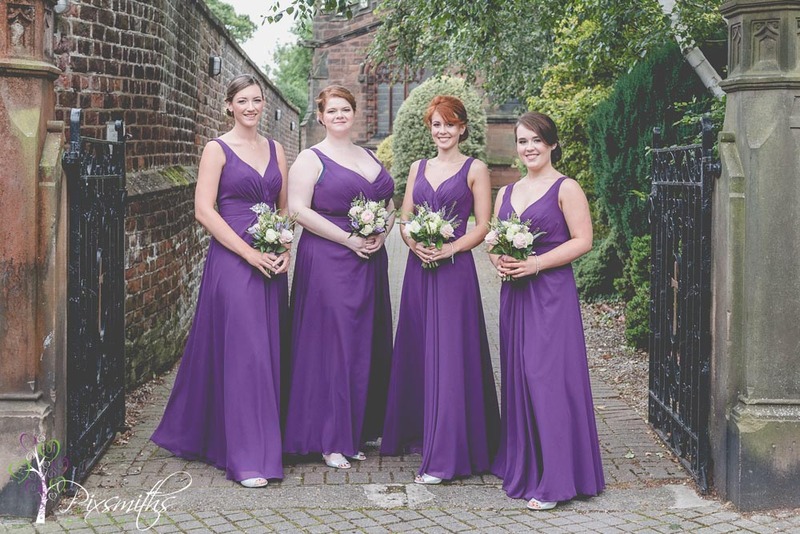 Steph and her bridesmaids were pampered by award winning Cathryn Kerwin Rawlinson MUA and hair by Carol Ellis. 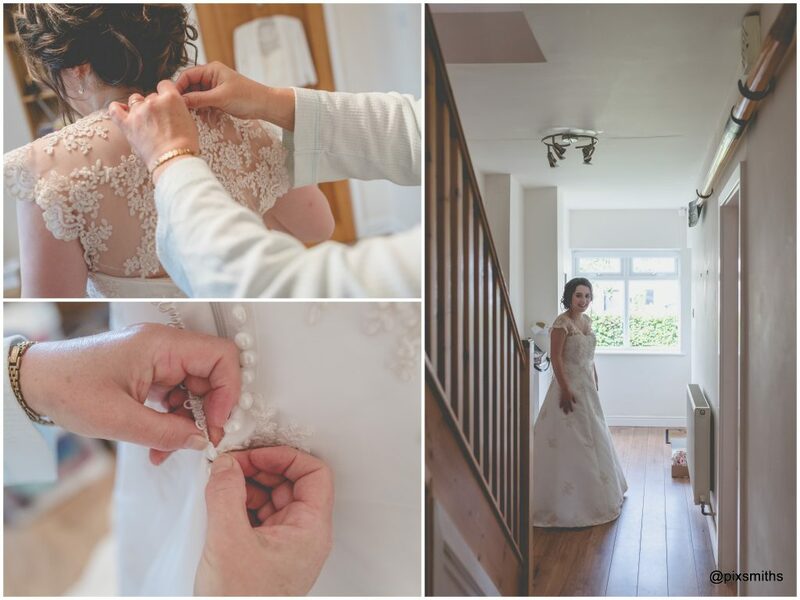 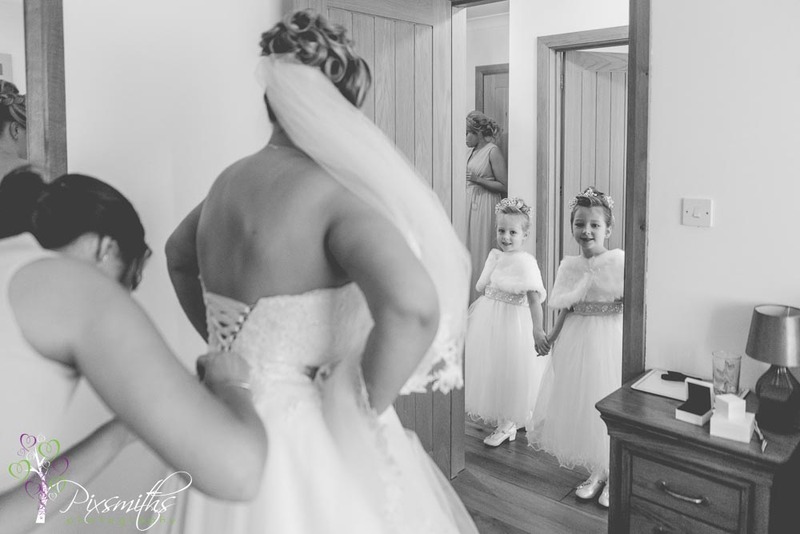 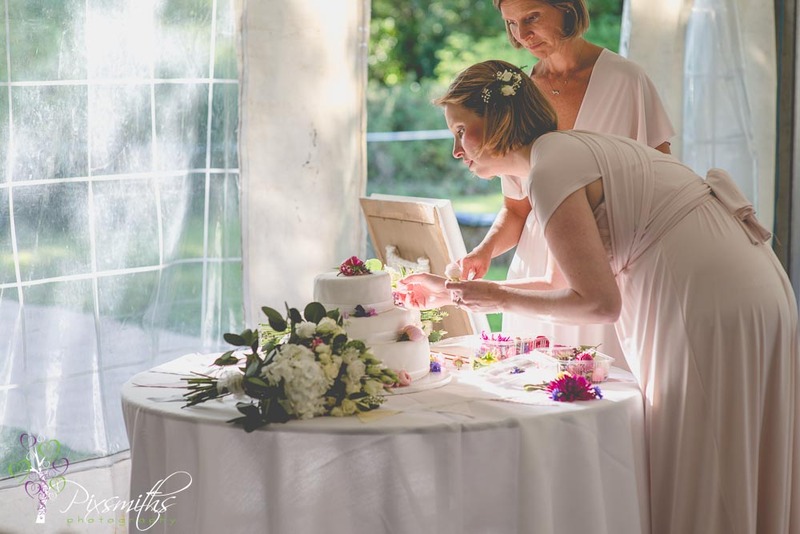 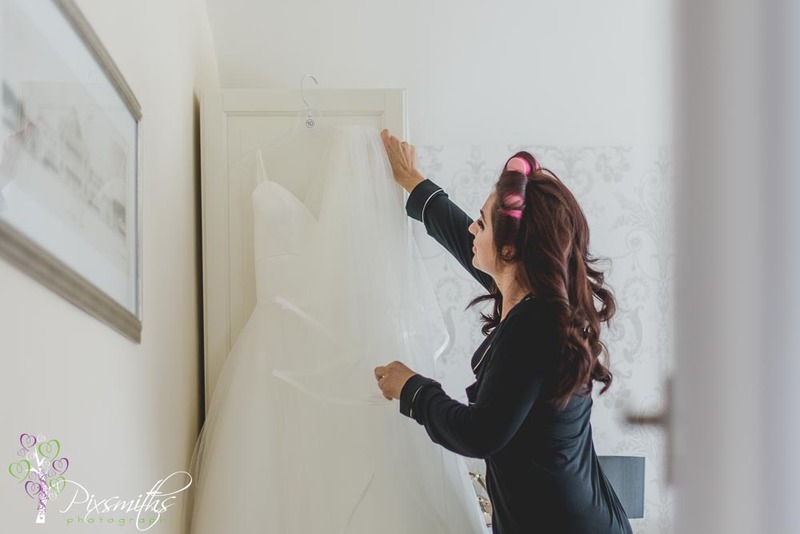 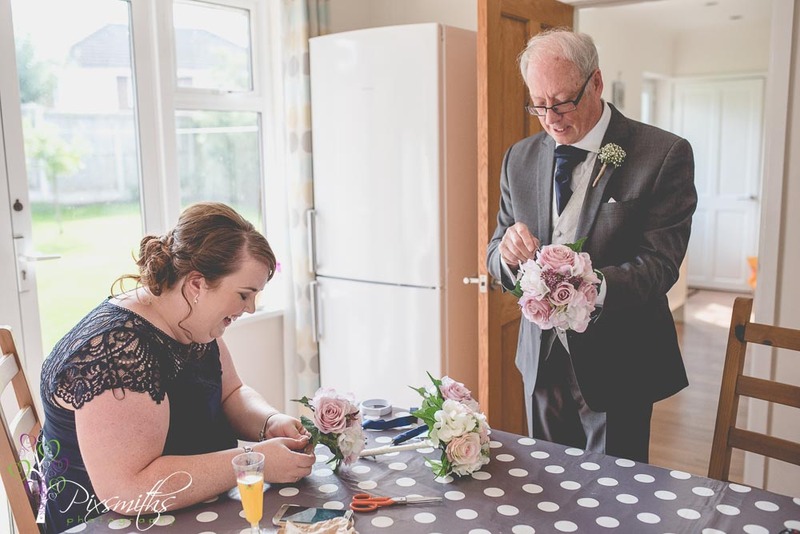 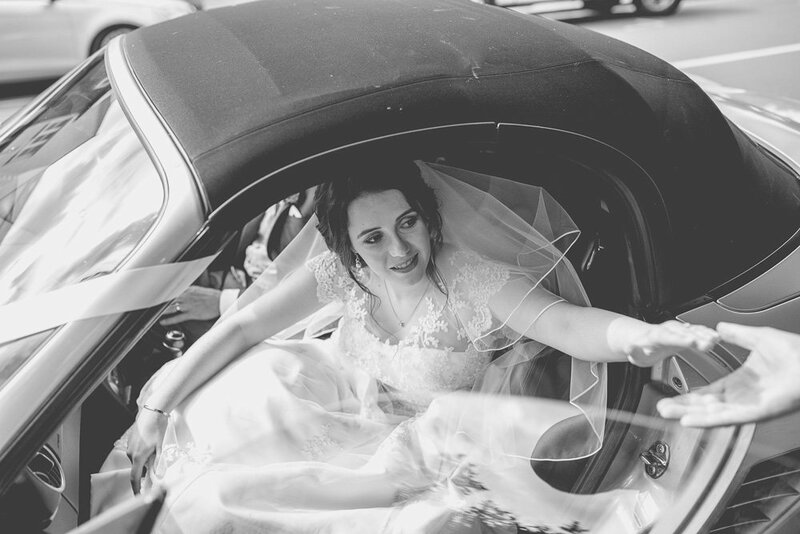 Stephanie and her dressmaker mum had spend many evenings making her own wedding dress – what a labour of love! 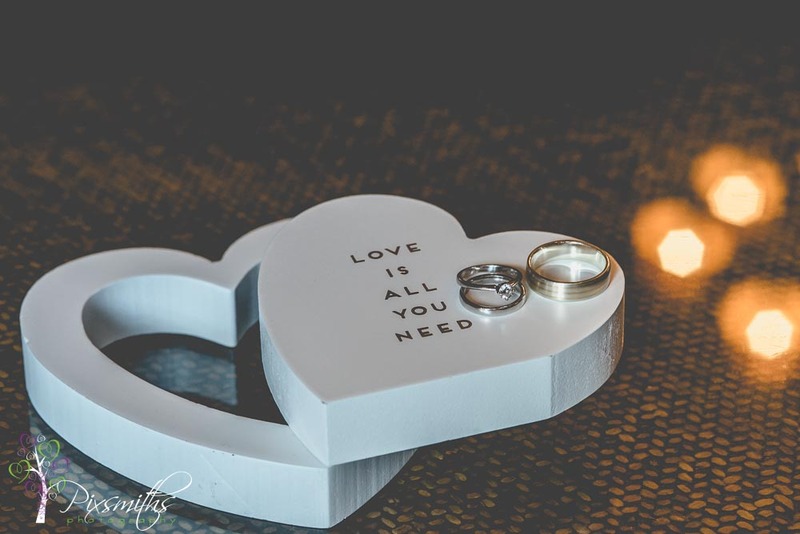 The plaque all you need is love and a cat made a perfect pic for Steph’s engagement ring picture. 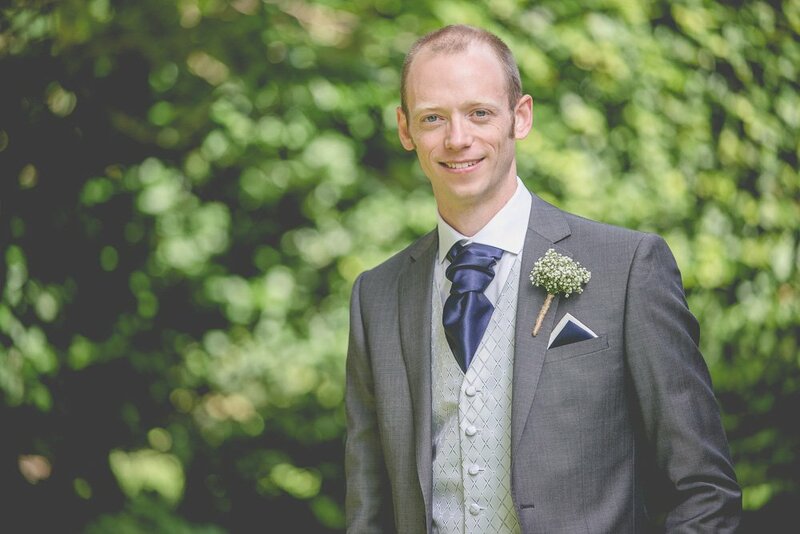 The bridesmaids dresses were hung on the prized rowing oar that Phil proudly displays – a trophy from his Uni days. 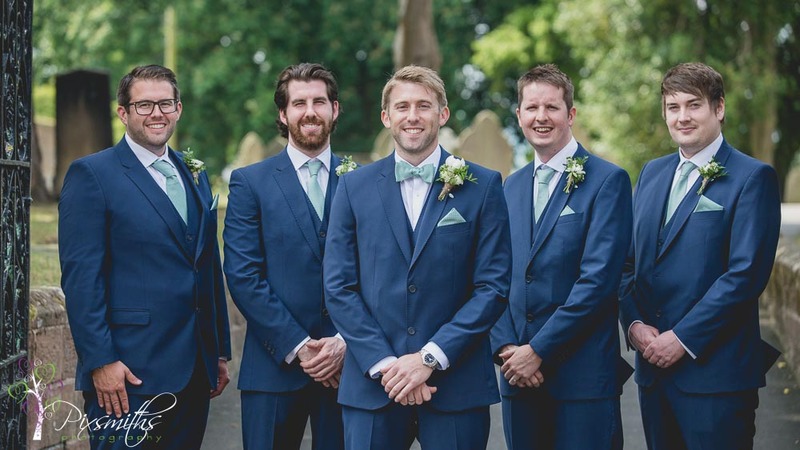 These oars can only be purchased when you have beaten a rower 4 times in a row. 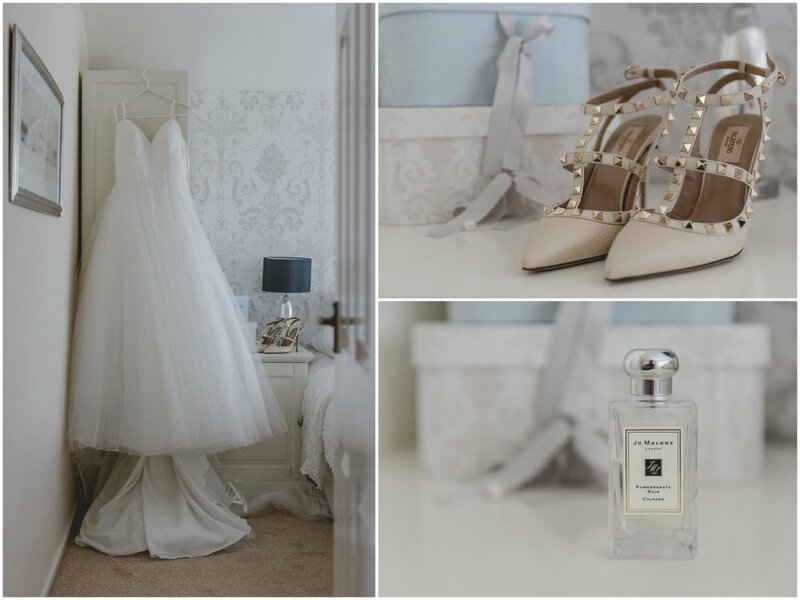 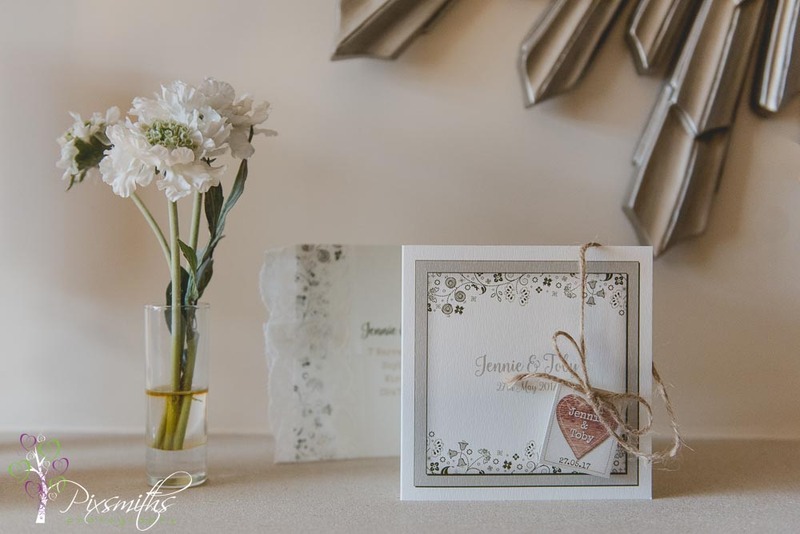 Always love to incorporate personal mementos when doing bridal preps at home. 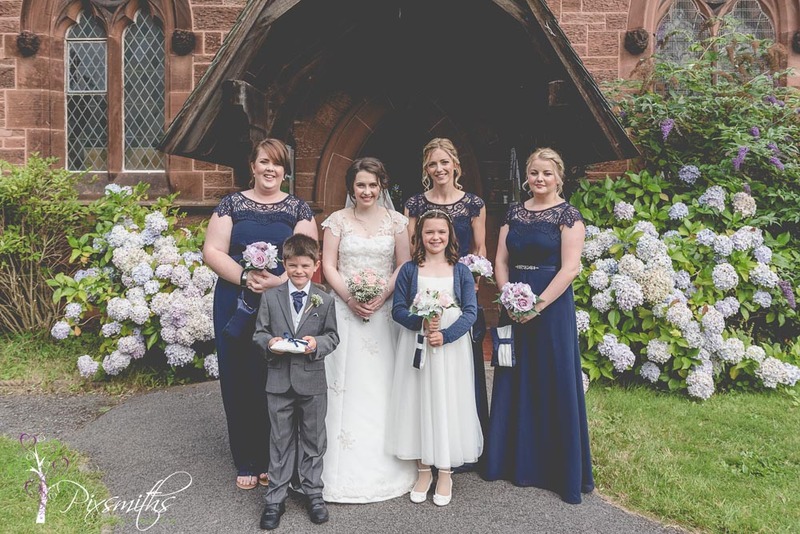 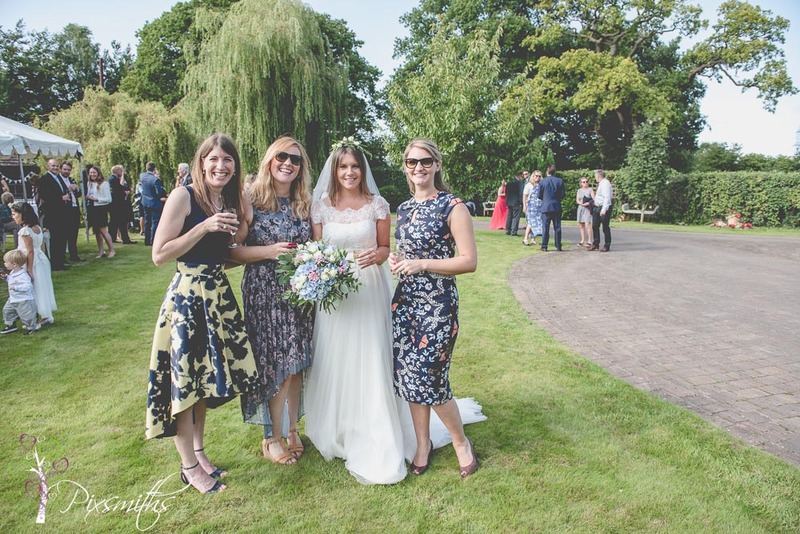 The navy colour of the bridesmaids dresses was picked up in Steph’s blue shoes and little blue earrings. 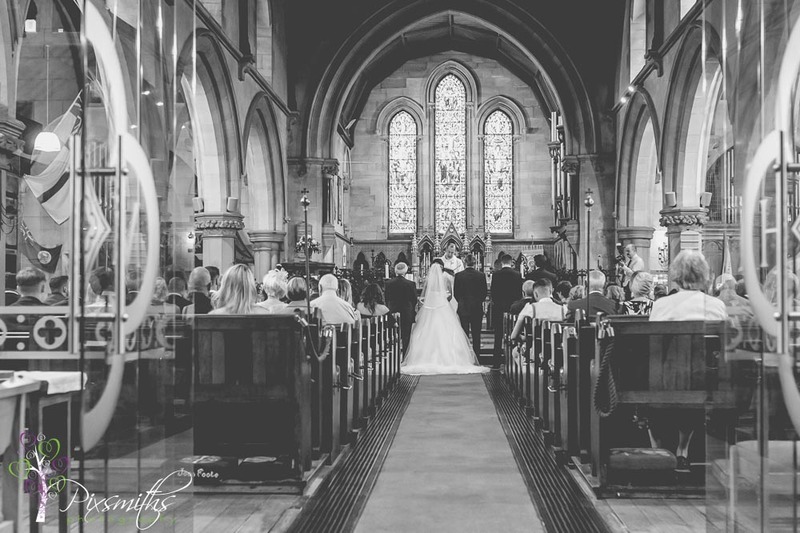 Soon it was time to capture some men shots at the church whilst Step finalised her getting wedding before making the short drive to her waiting groom. 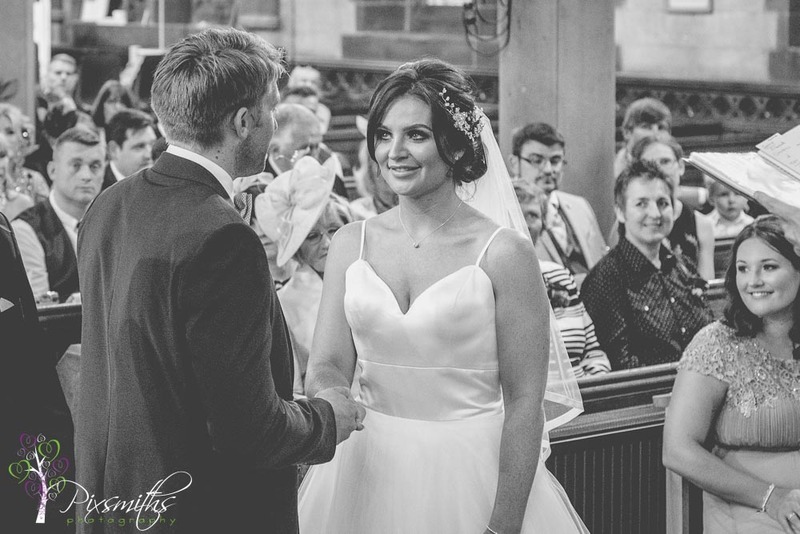 ah the looks they were giving each other melted our hearts! 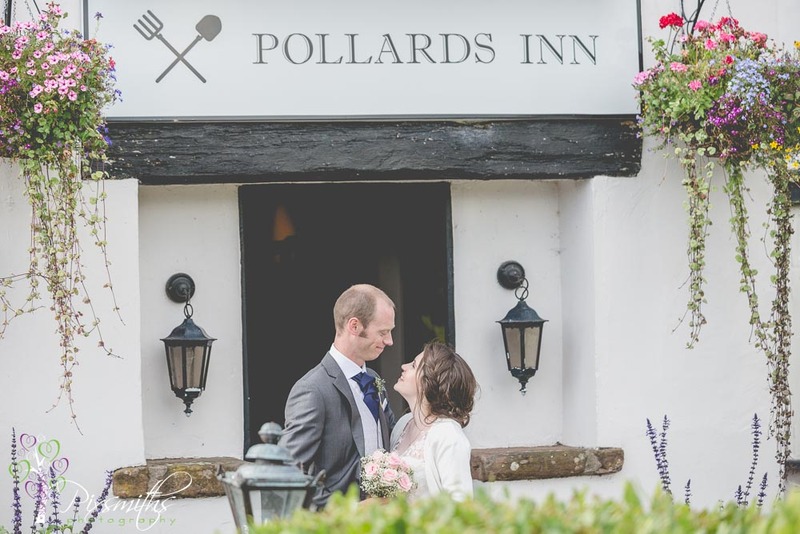 of course the food was amazing and staff were friendly- we really must go back to Pollards for a meal too. 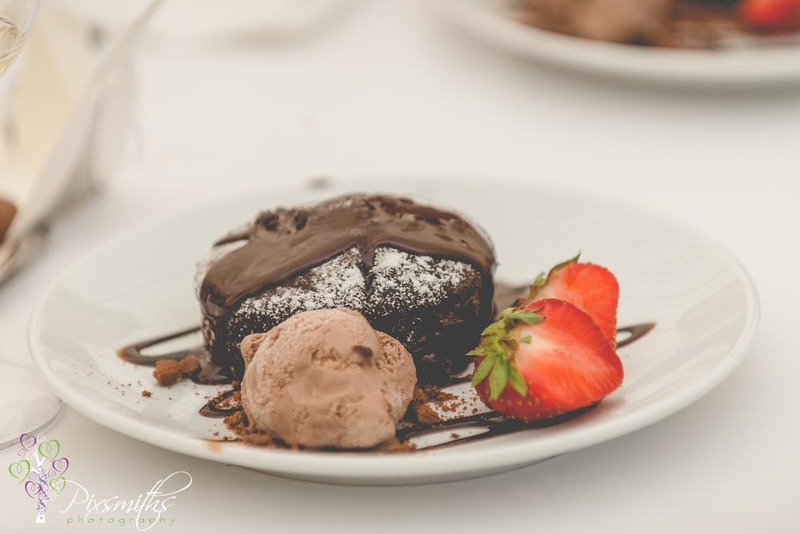 The chocolate pudding was a firm favourite of our couple and we can see and taste why! 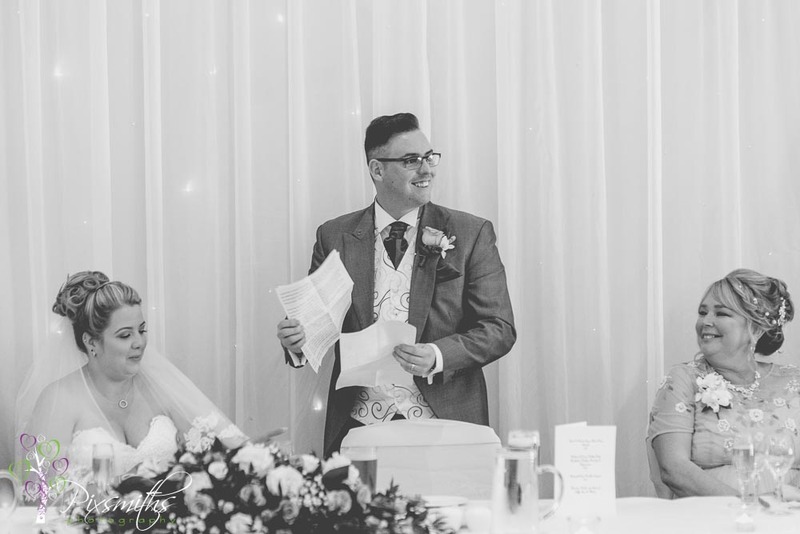 The speeches were so entertaining warm, humorous and sincere. 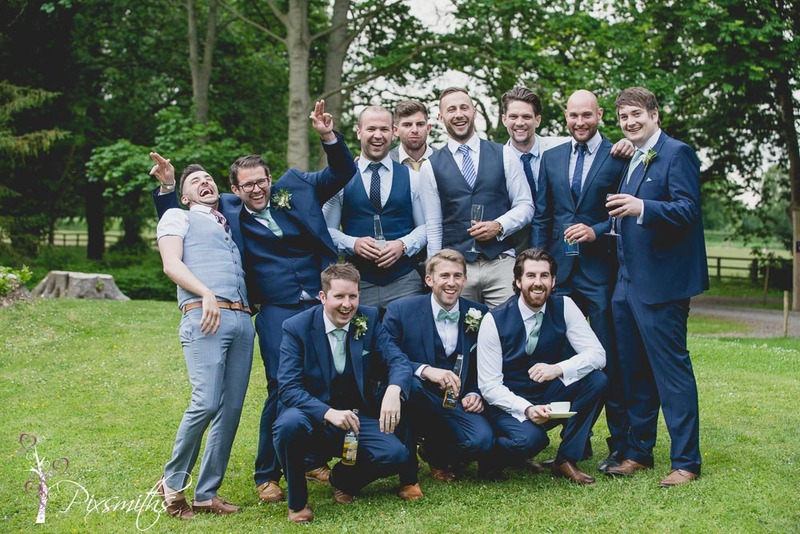 Some of the best we have heard. 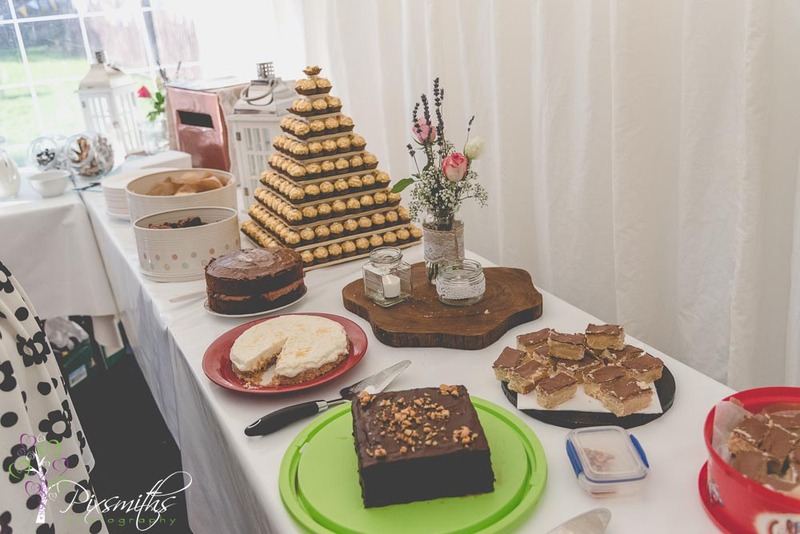 Ah and even more cake – Phil’s sister make the cake complete with a bunting topper with their names to match the bunting in the marquee. 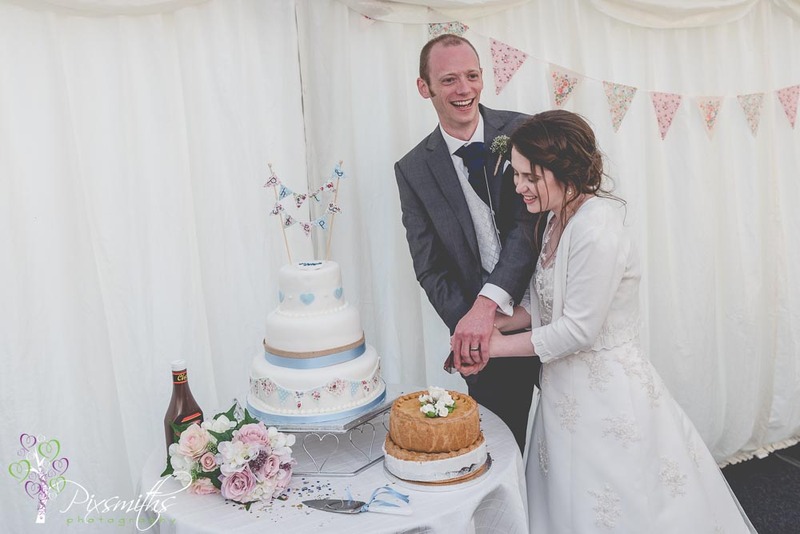 Later a family friend provided them with a pork pie cake to cut too. 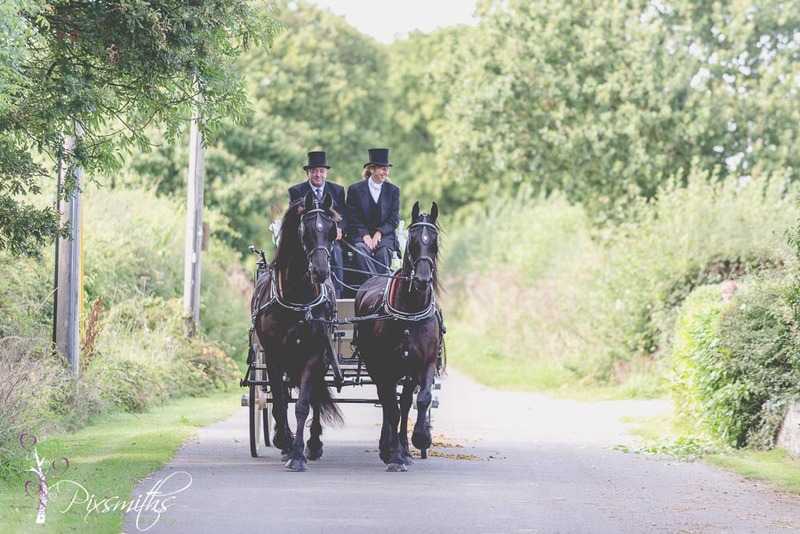 We love things a bit different! 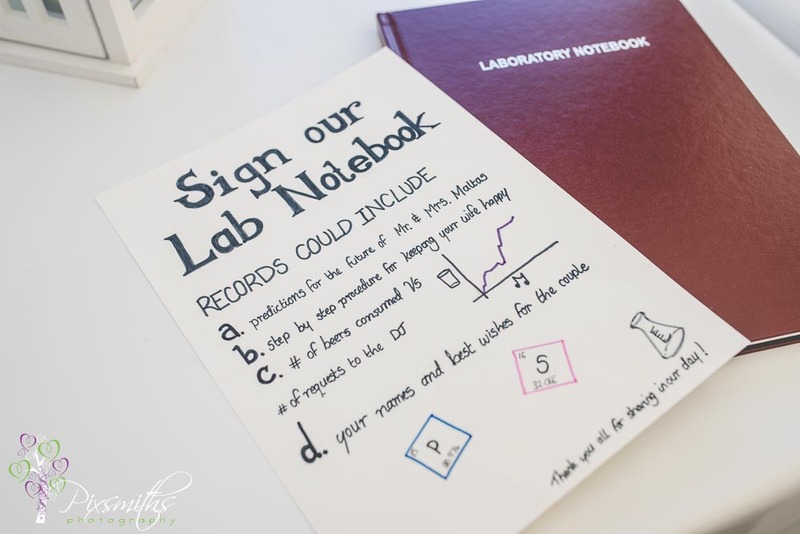 Plenty of home made cakes to enjoy Fab touch with a laboratory book for their guest book – a novel and personal touch. 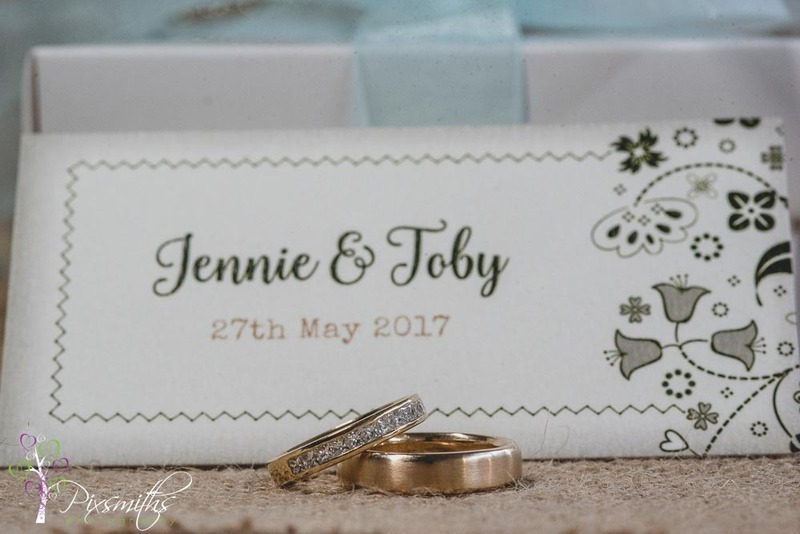 The blog you have just put up is wonderful! 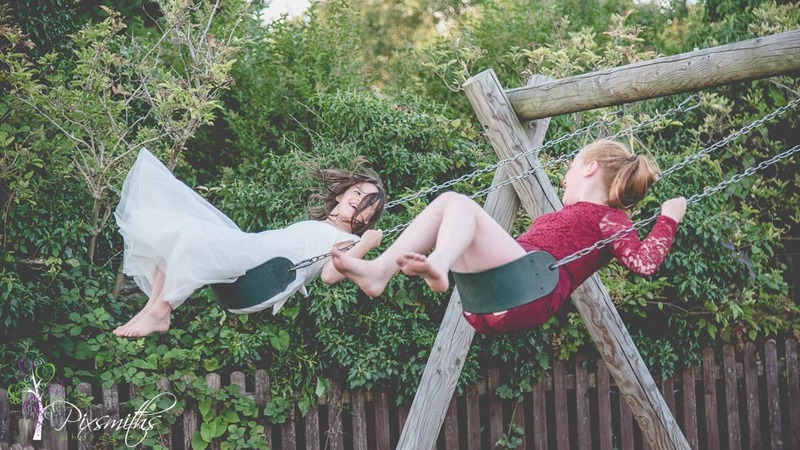 It’s like re-living the day. 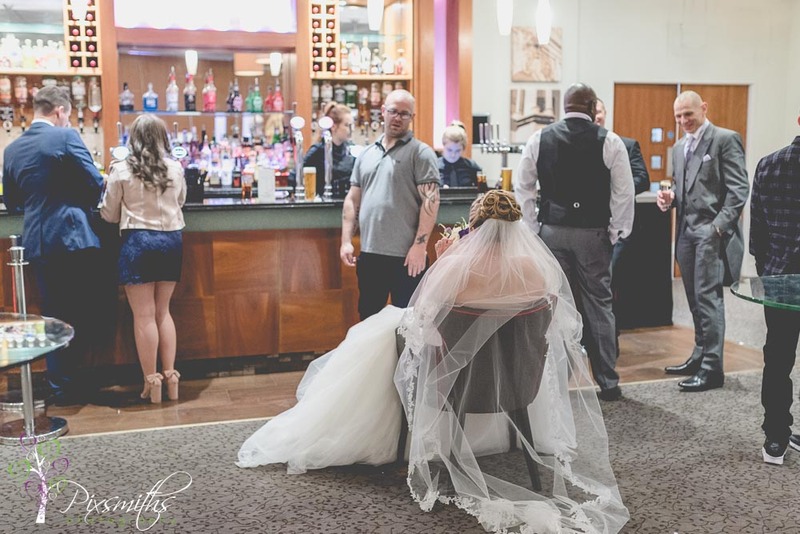 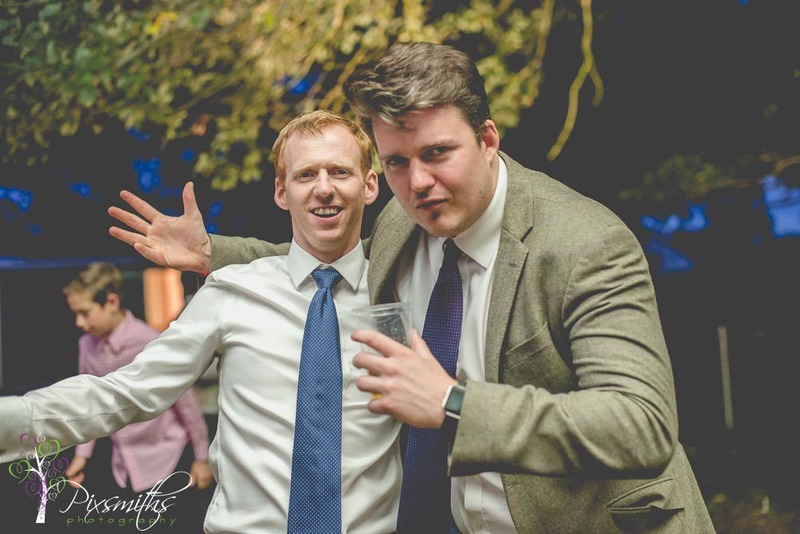 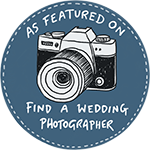 We picked you to do our wedding photographs because you filled us with so much confidence and promised to get un-staged action shots – and you really didn’t disappoint! 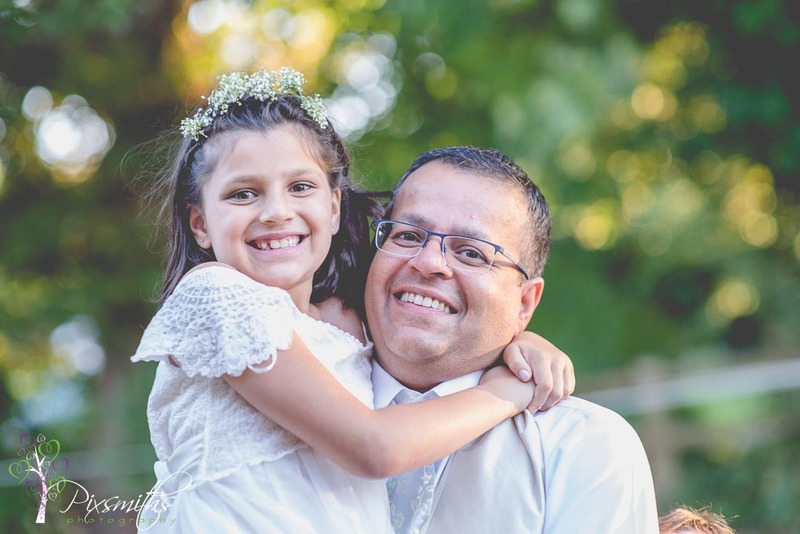 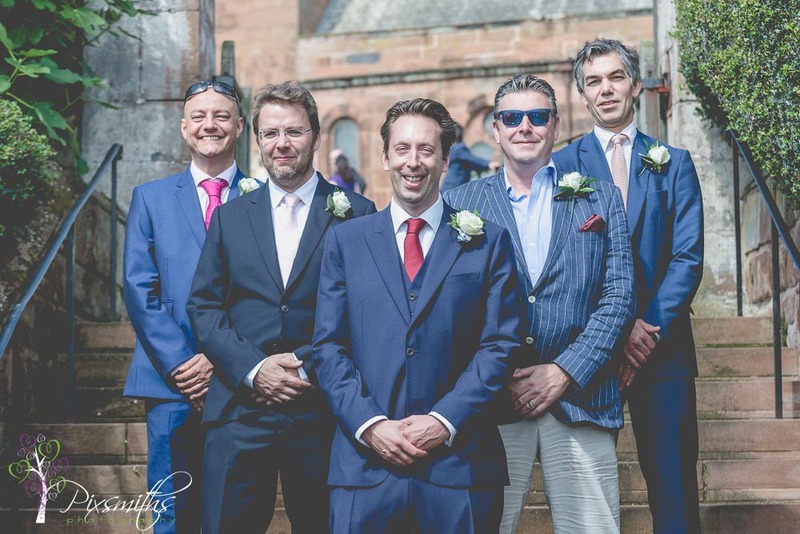 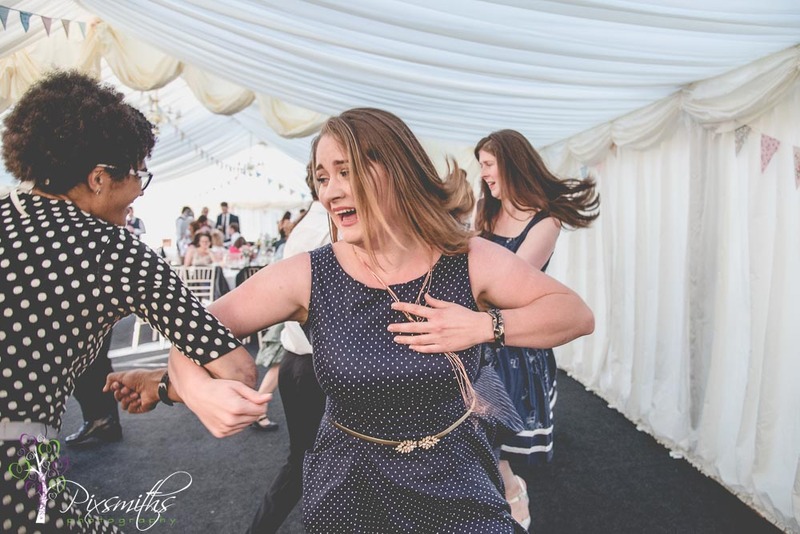 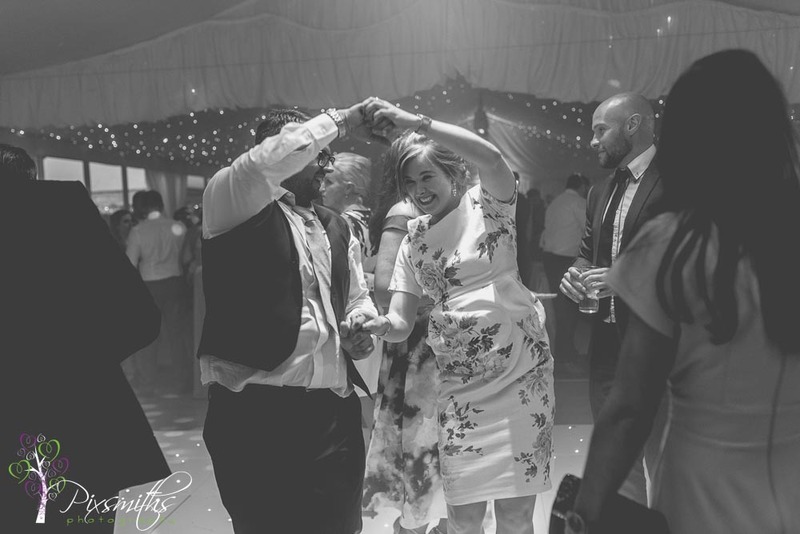 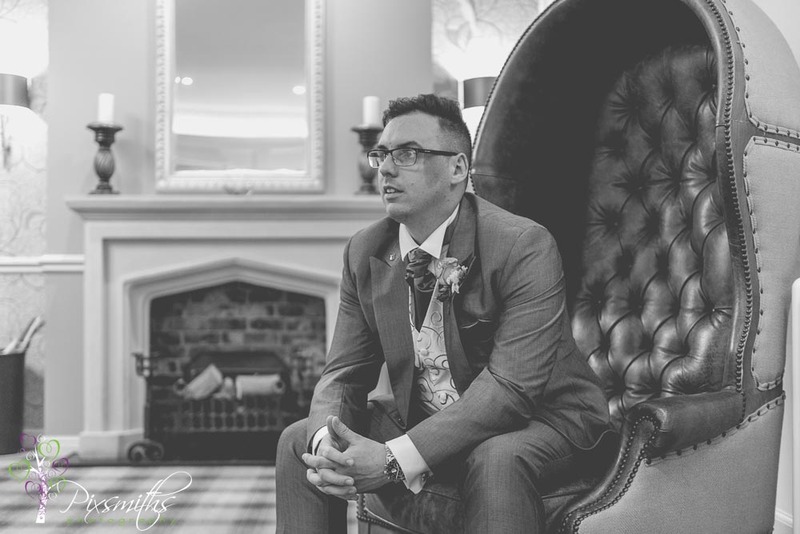 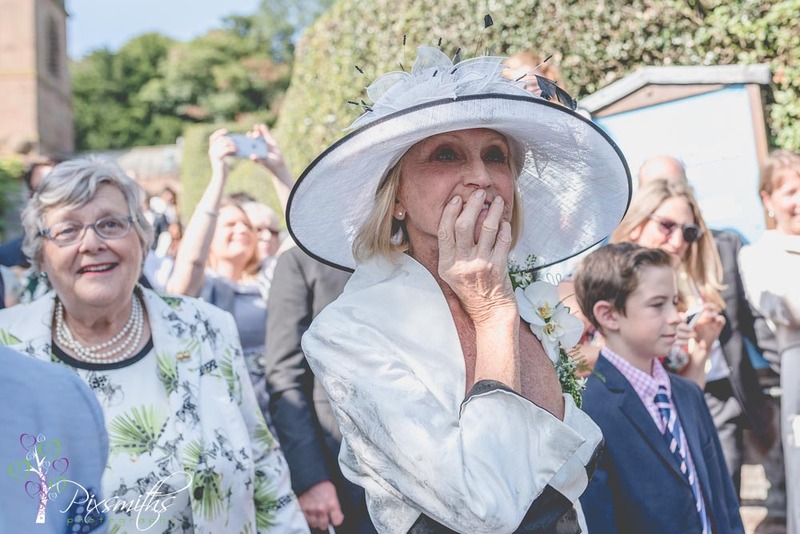 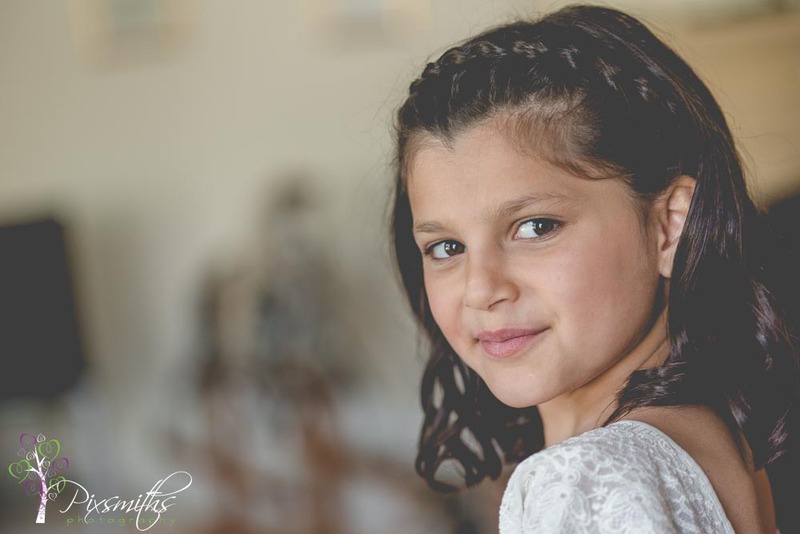 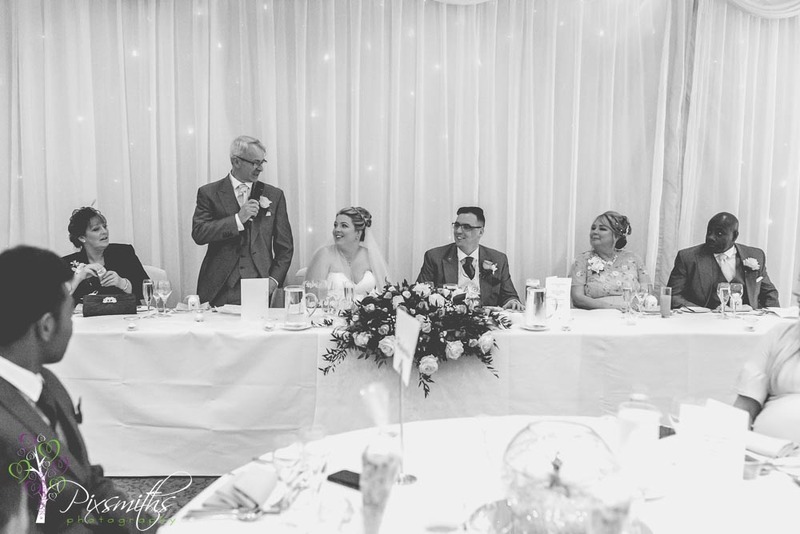 The shots you have contain so much energy and capture the personalities of our guests so well I will be excited to look at them time and time again (and I generally avoid looking at photos I’ve been in!). 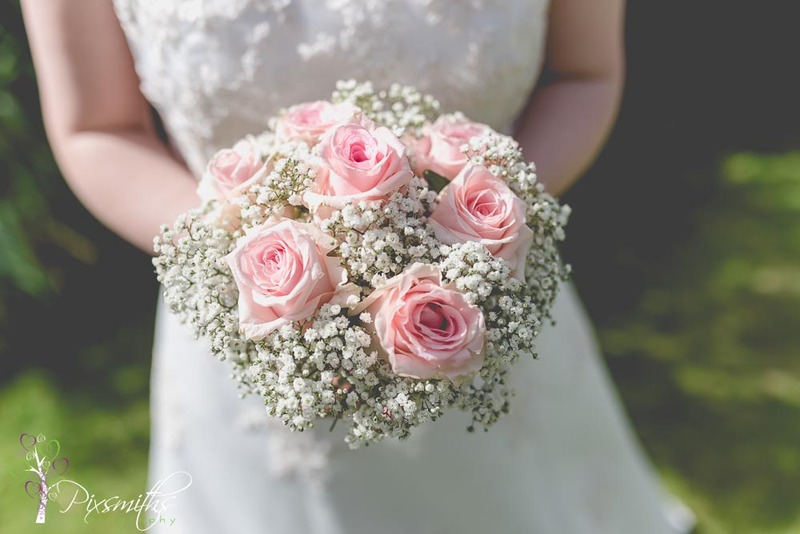 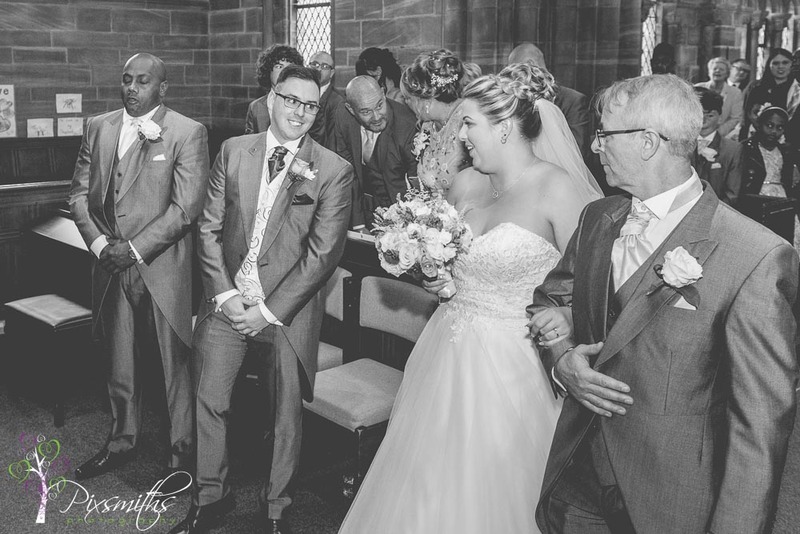 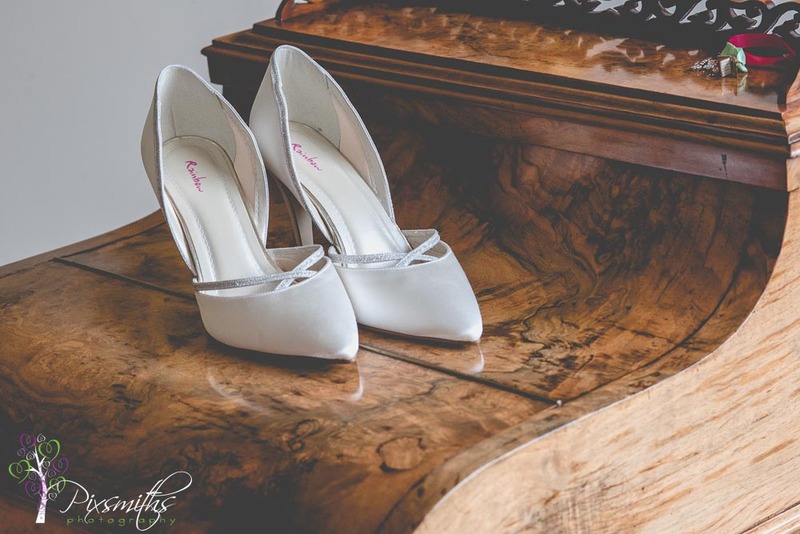 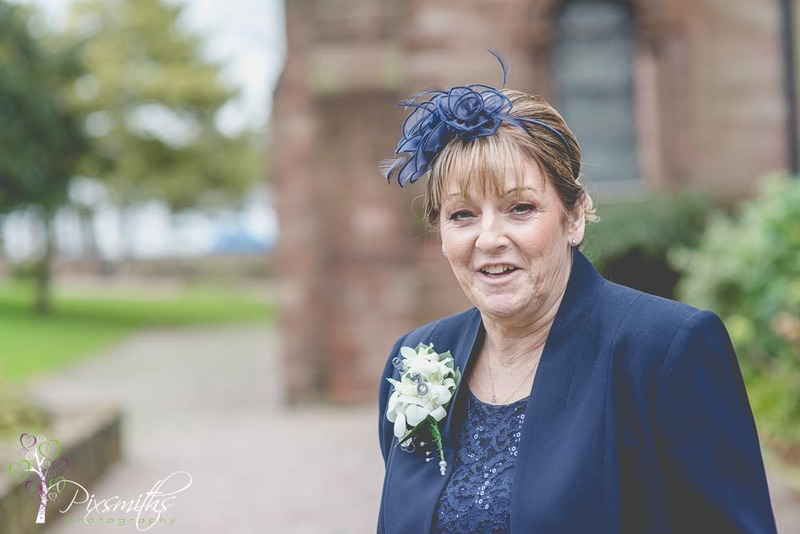 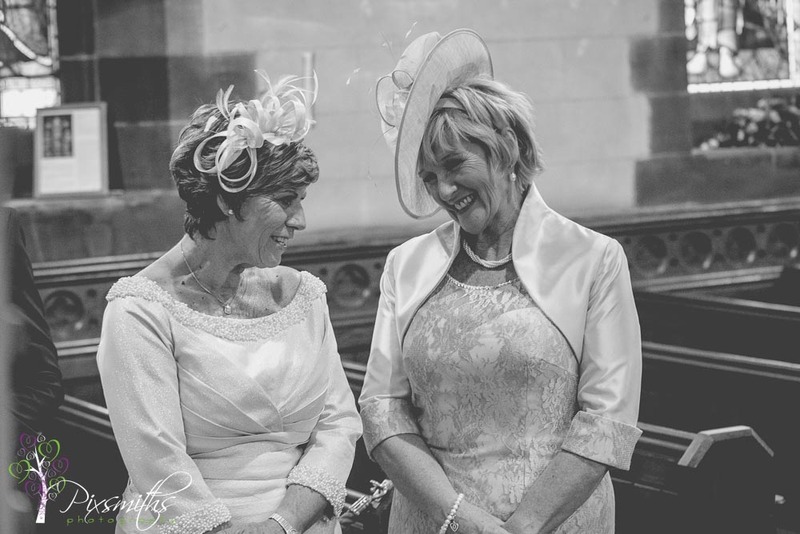 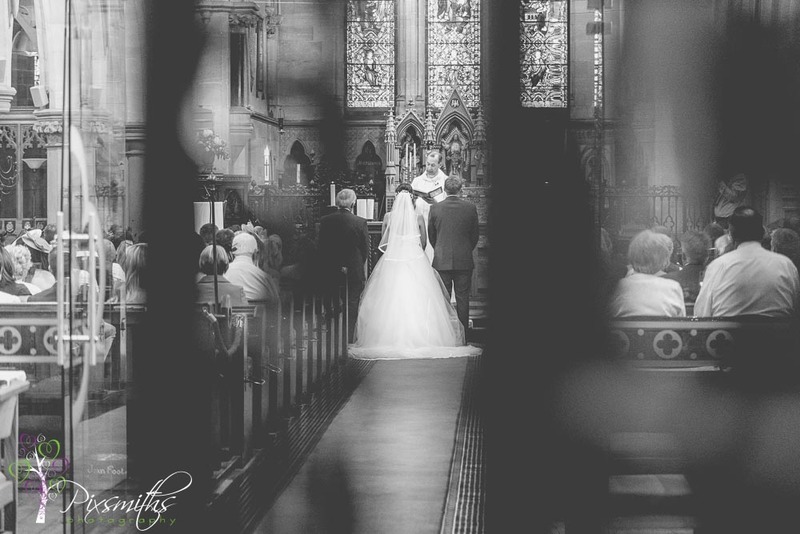 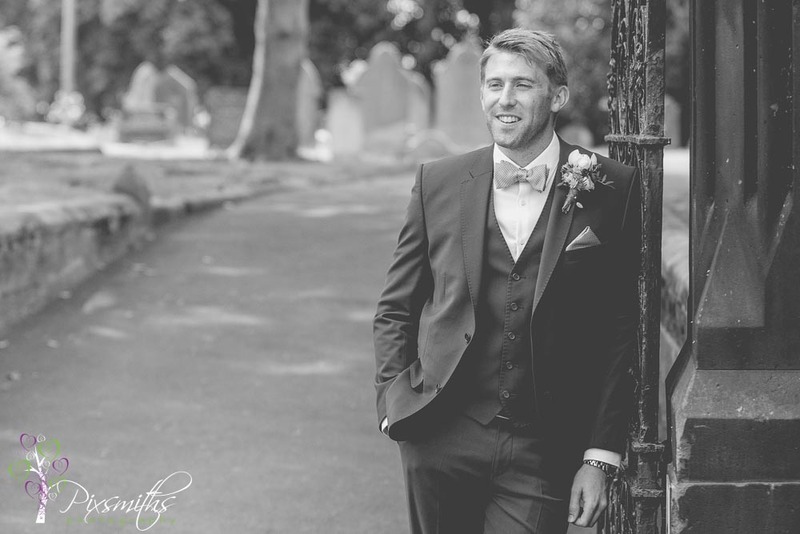 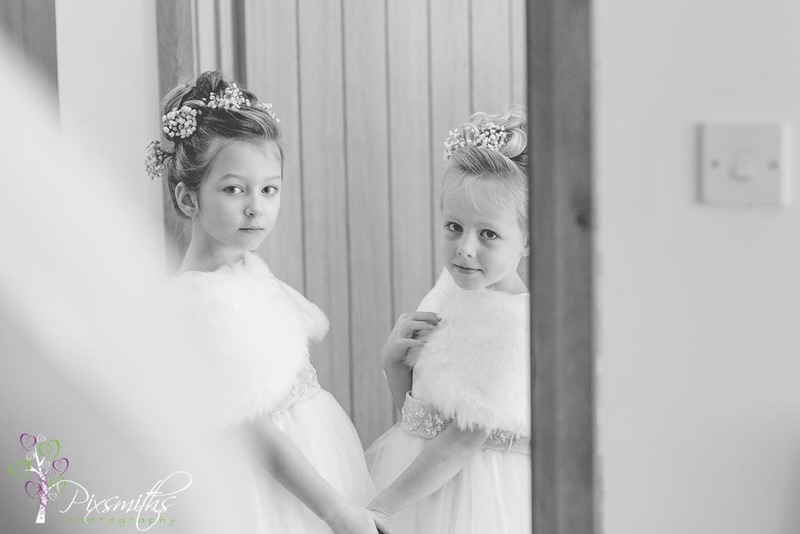 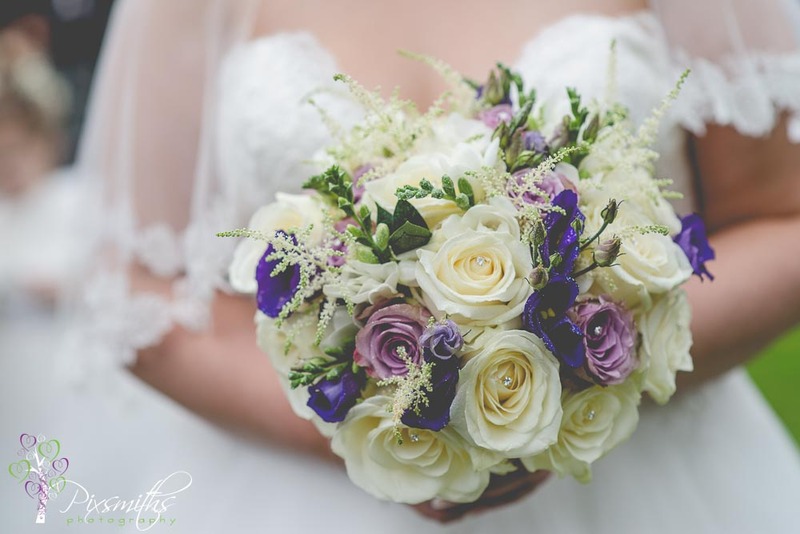 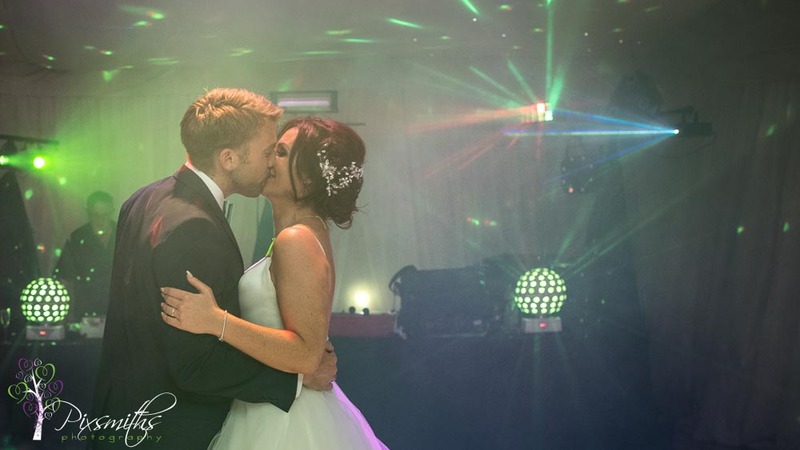 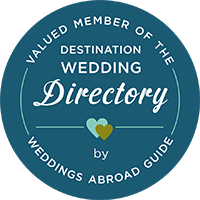 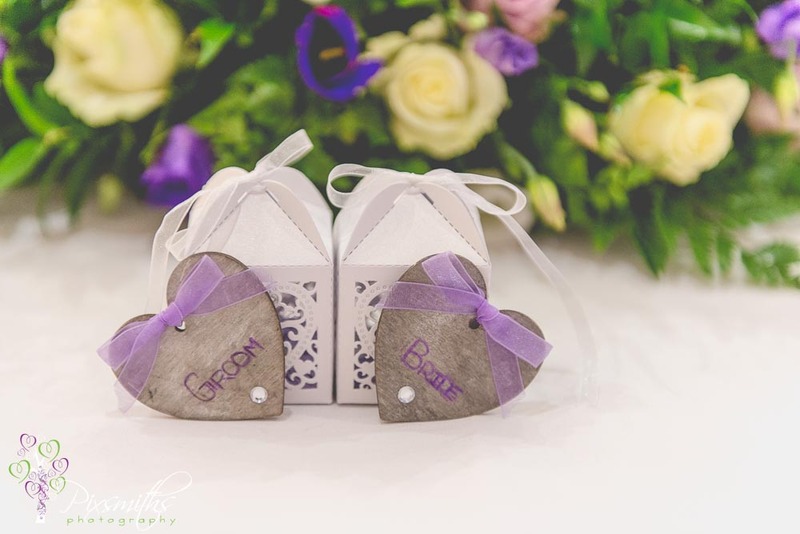 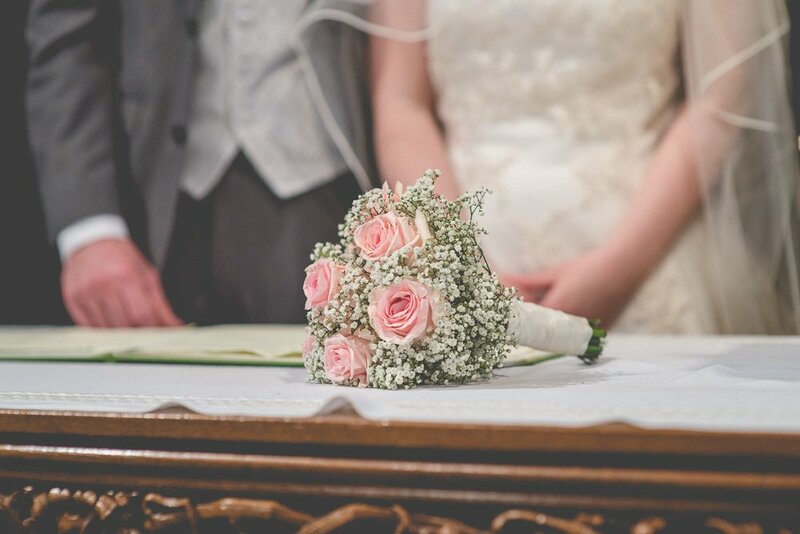 looking for a local Wirral wedding photographer? 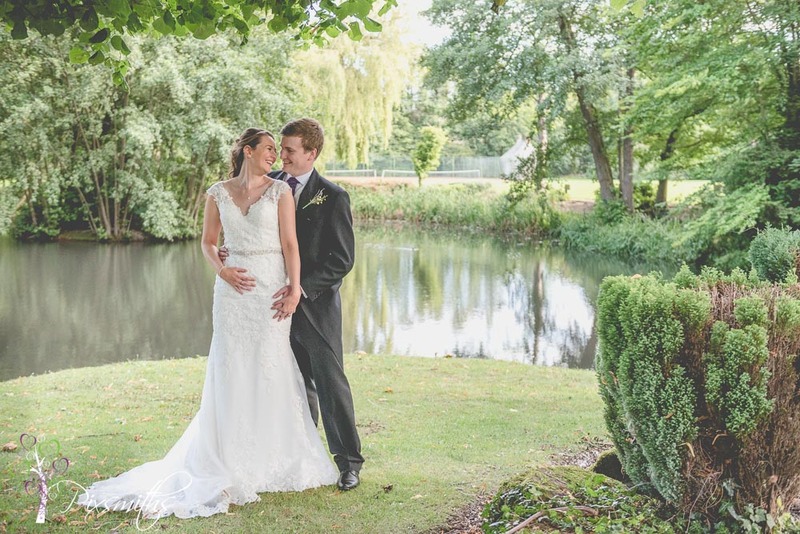 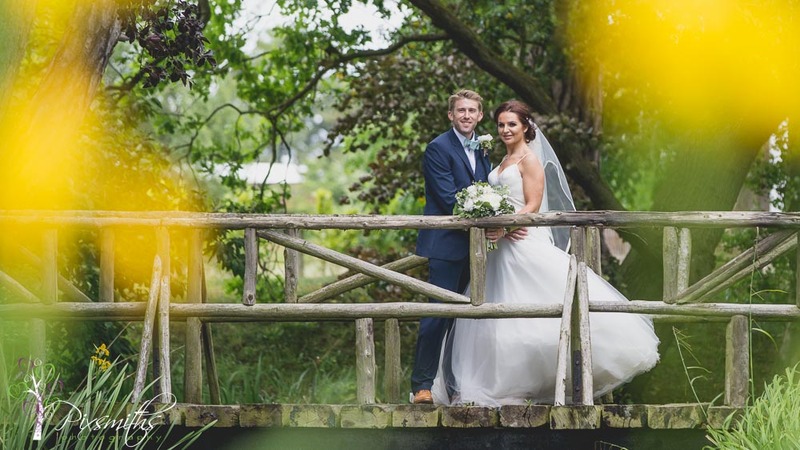 A church wedding and reception at the idyllic Thornton Manor Waterside Pavilion were the chosen locations for Jennie and Toby’s wedding The smaller of the lake settings at Thornton Manor but lovely grounds with the bridges and lake views A tinder match made in heaven for Toby and Jennie ..their 3 year anniversary marked was their wedding day. 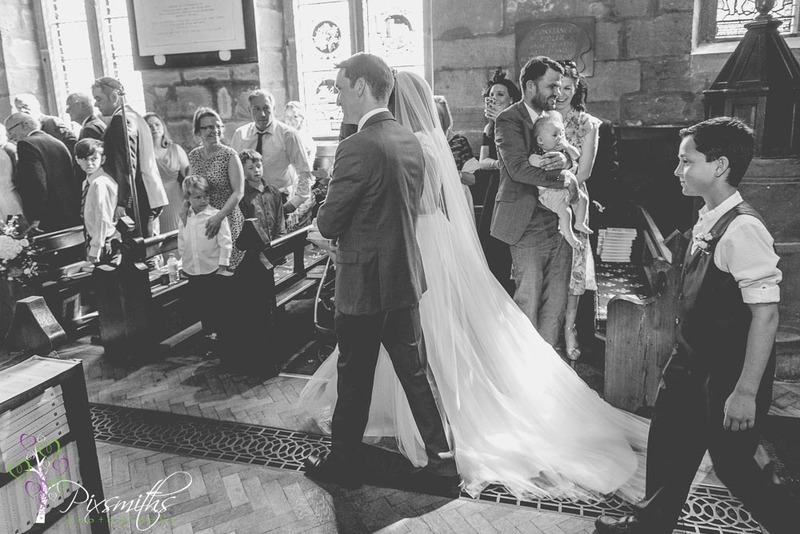 The ceremony took place at St Mary’s and St Helens parish church Neston, a beautiful historic church with exhibits from the Viking age inside A few nervous looks from Toby and great to see his Best men supporting him and giving reassurance Of course Jennie being devoted to her pooch Oliver had a poem read out especially about how to love her favoured 4 legged friend …and Oliver did make an appearance later on in the day, unsurprisingly. 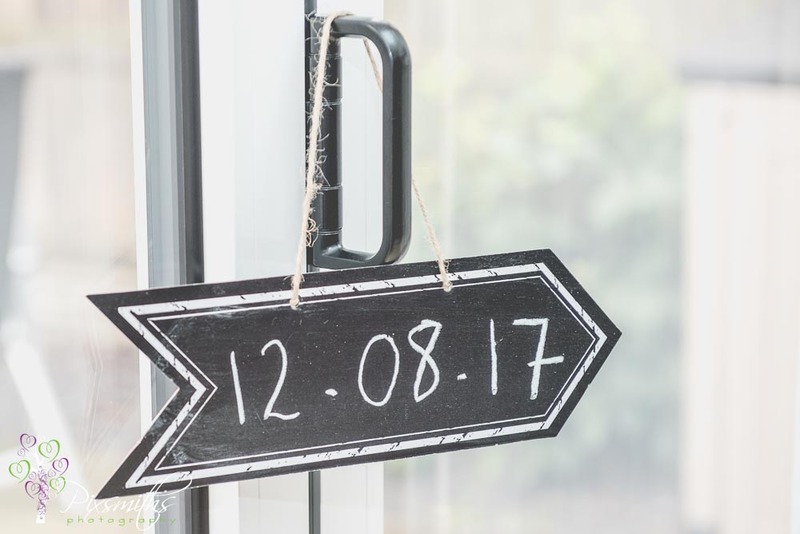 The threatened thunderstorms did not appear, a little rain in the morning freshened things up after the heat of the previous day and did not reappear til late in the evening. 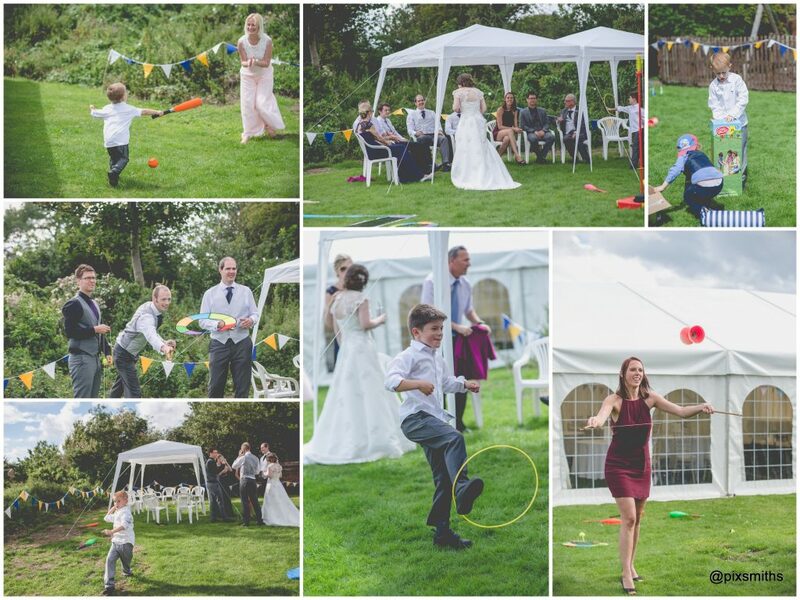 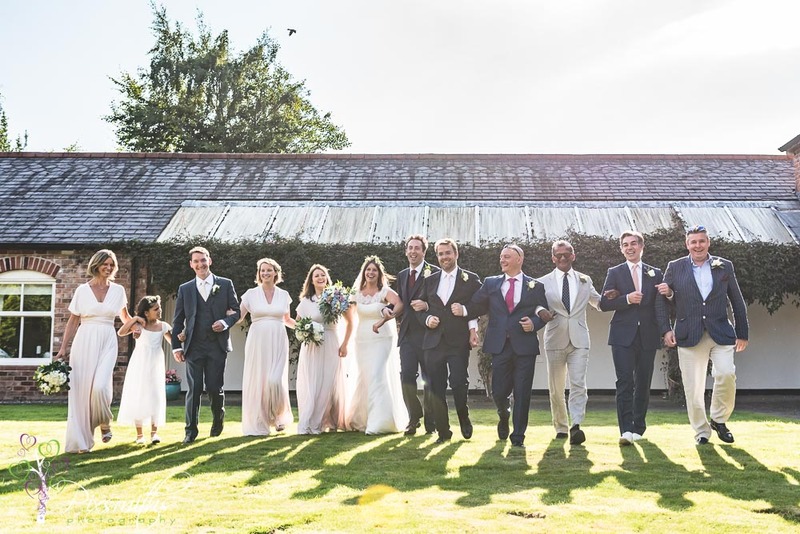 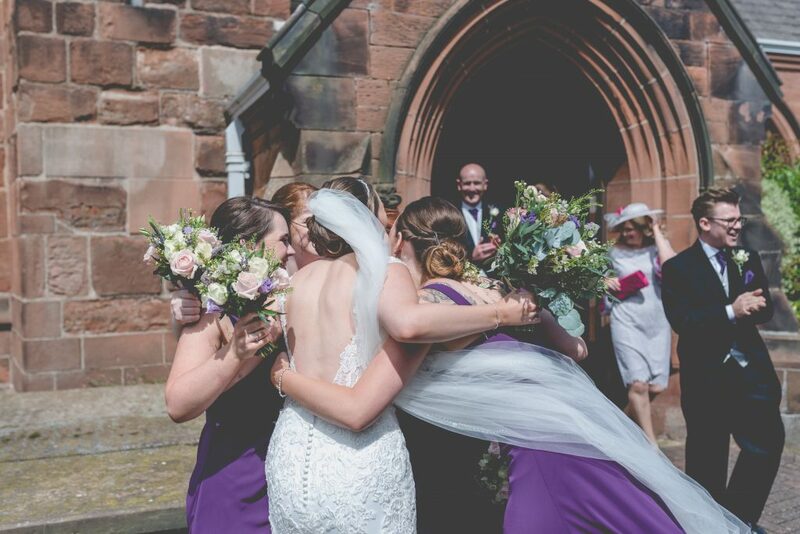 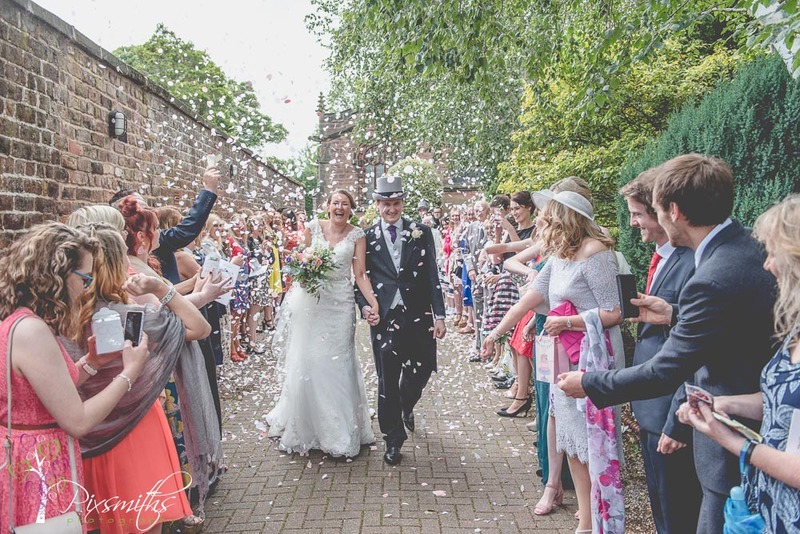 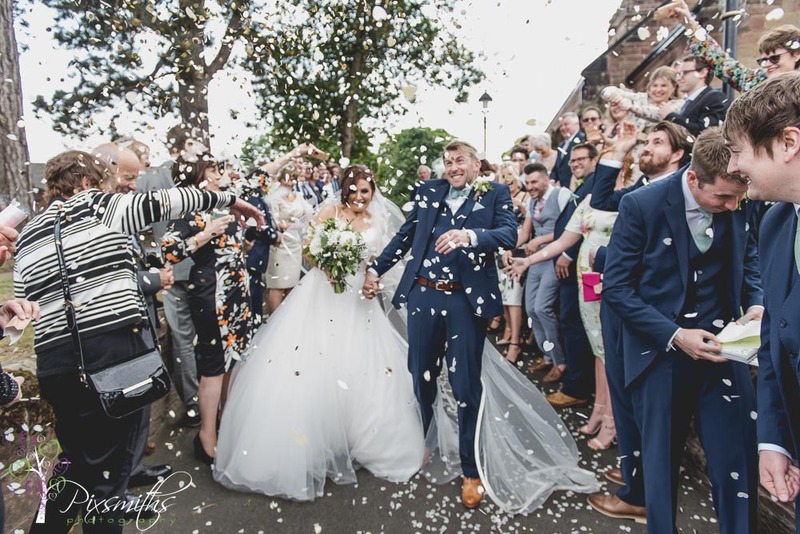 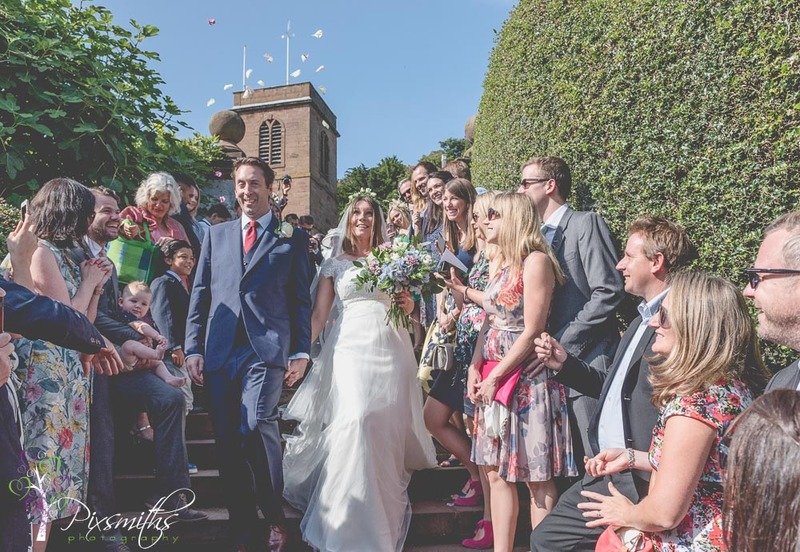 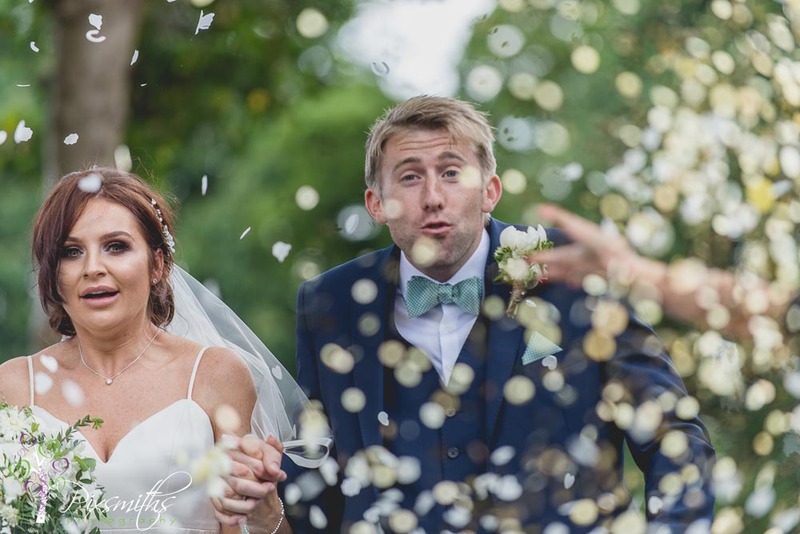 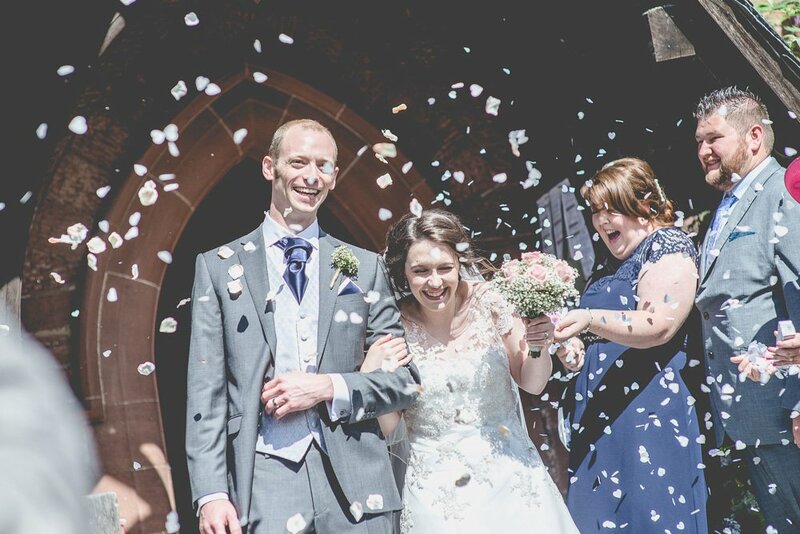 Perfect weather for all as they came out to a confetti tunnel – the mini canons totally surprising them! 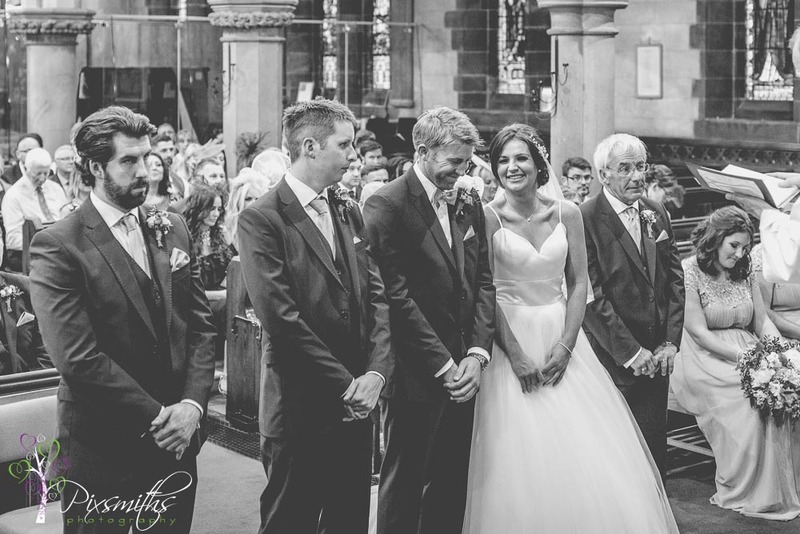 That look on Toby’s face!